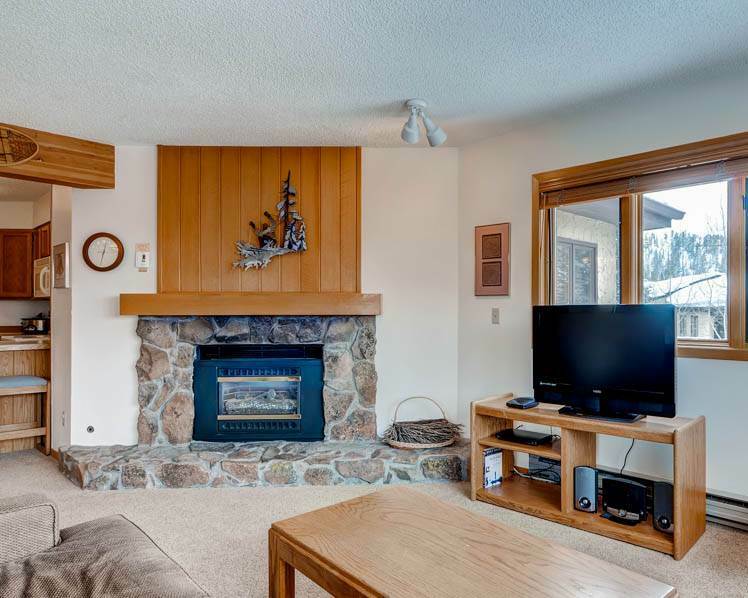 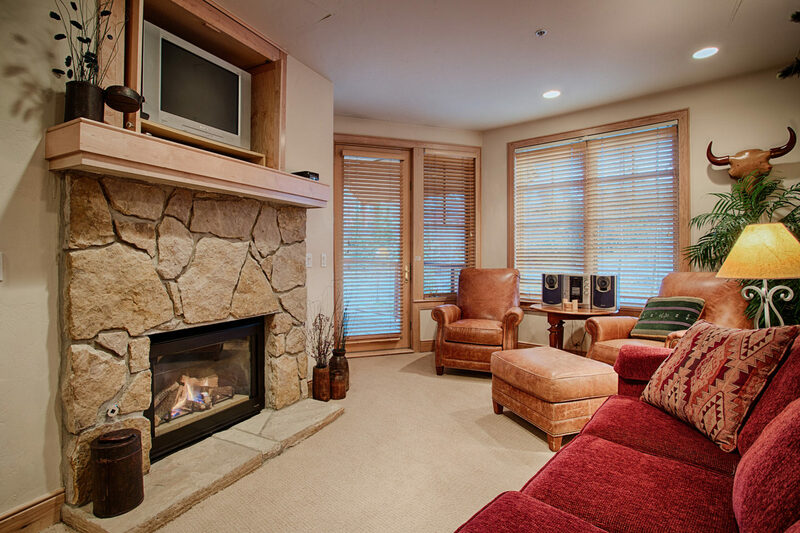 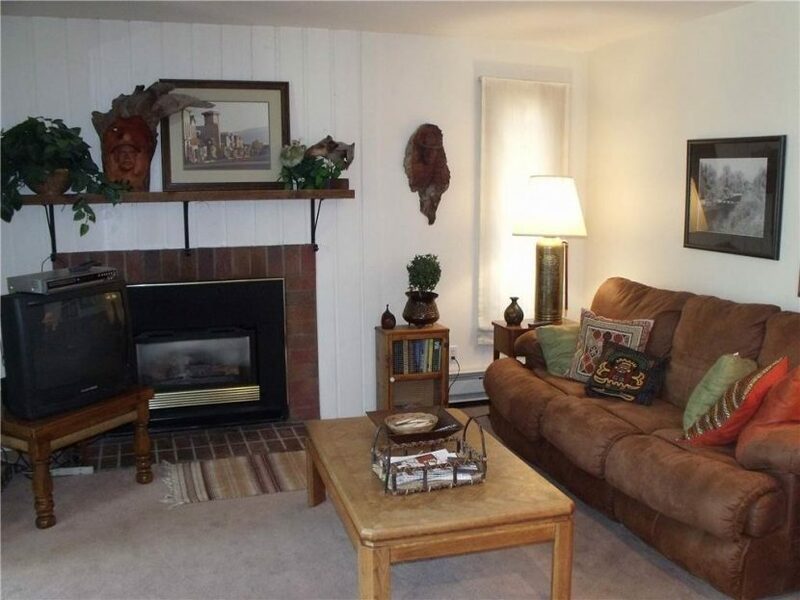 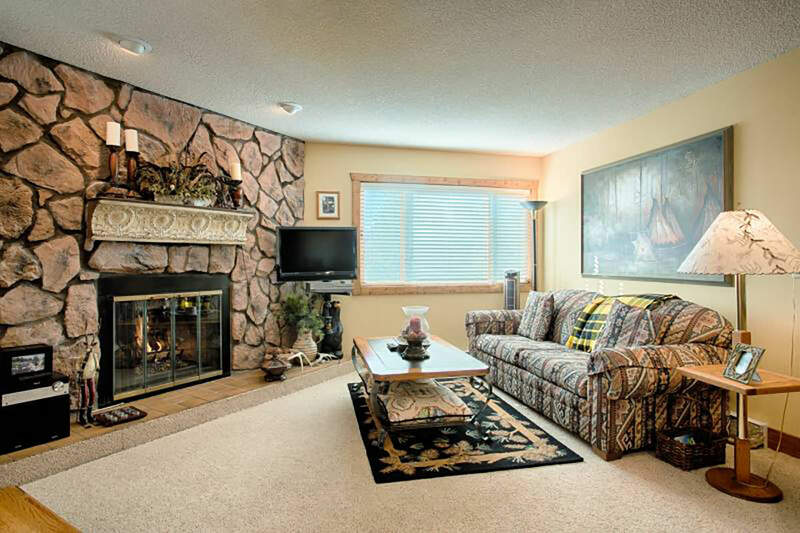 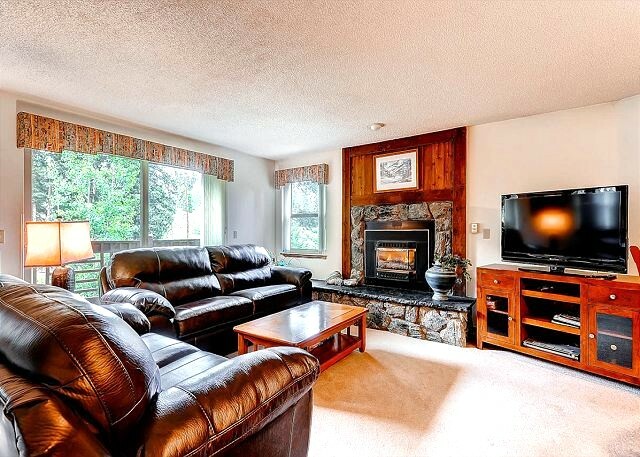 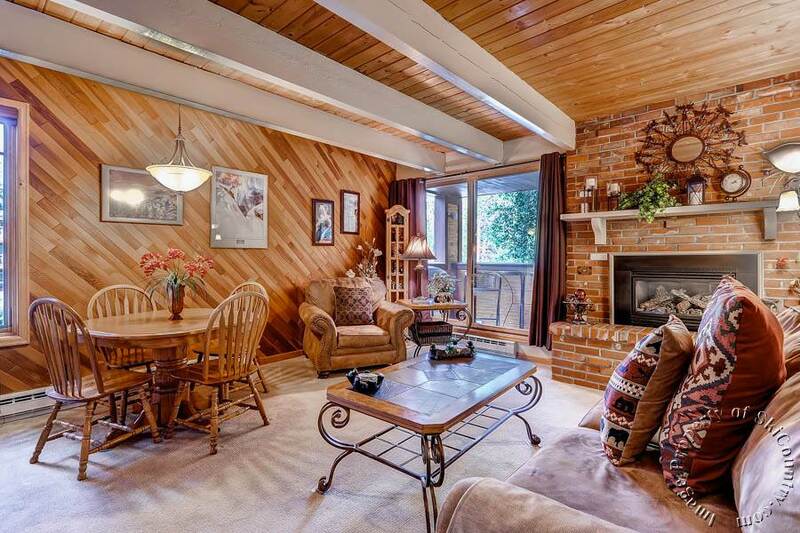 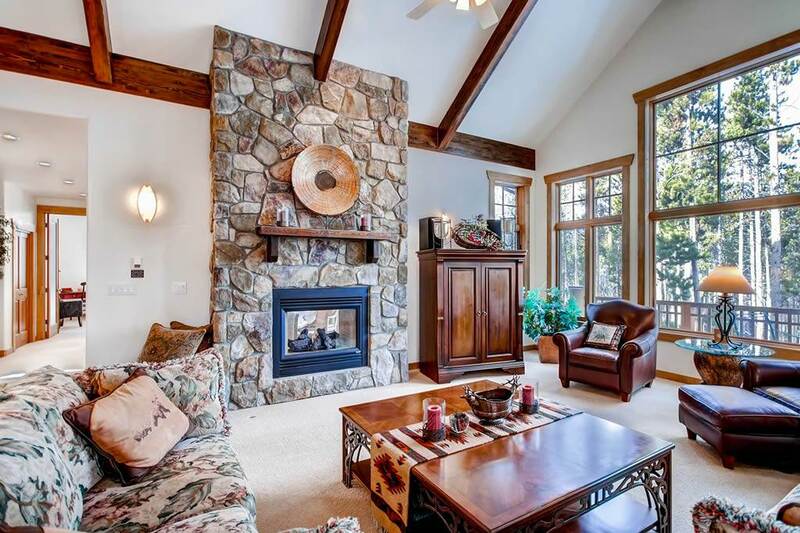 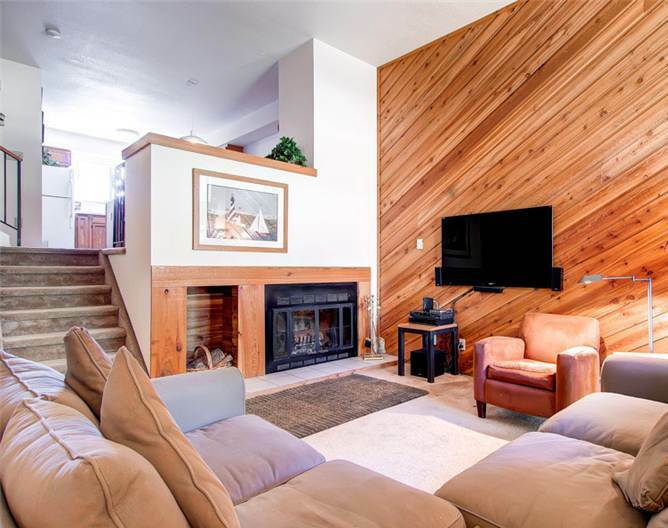 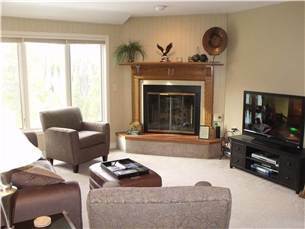 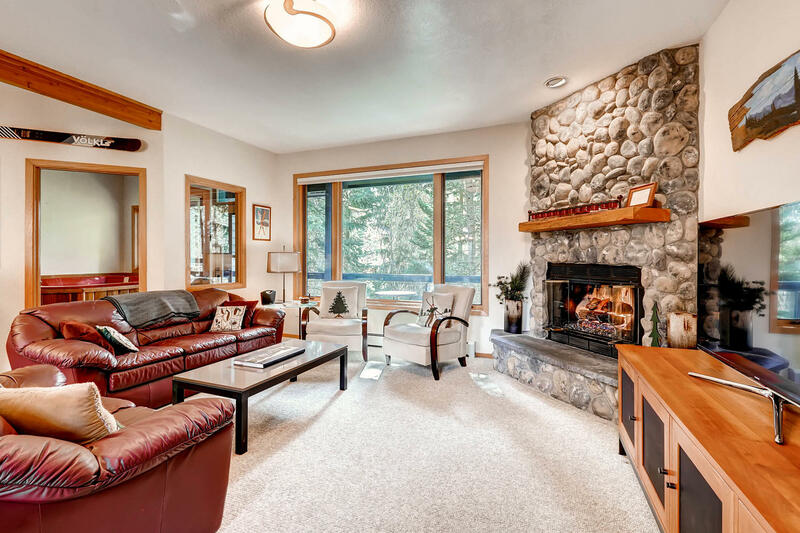 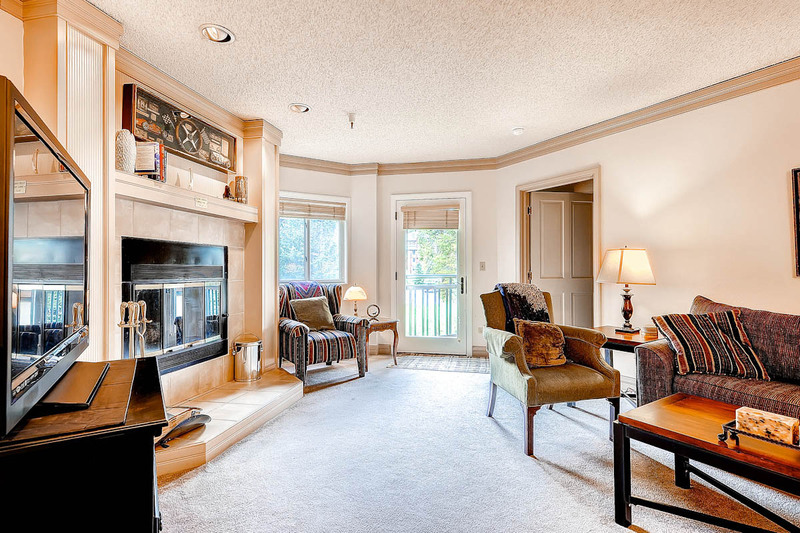 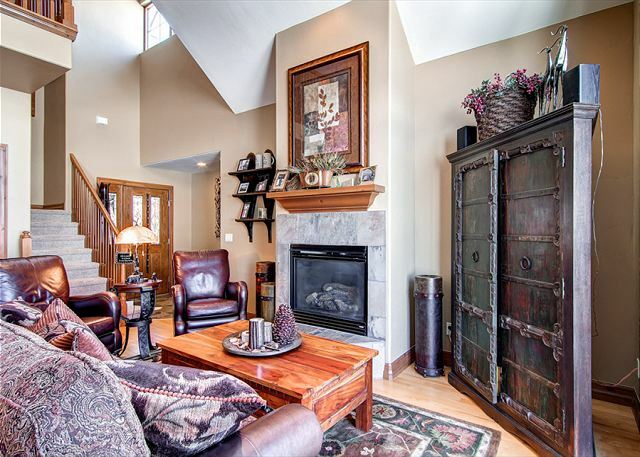 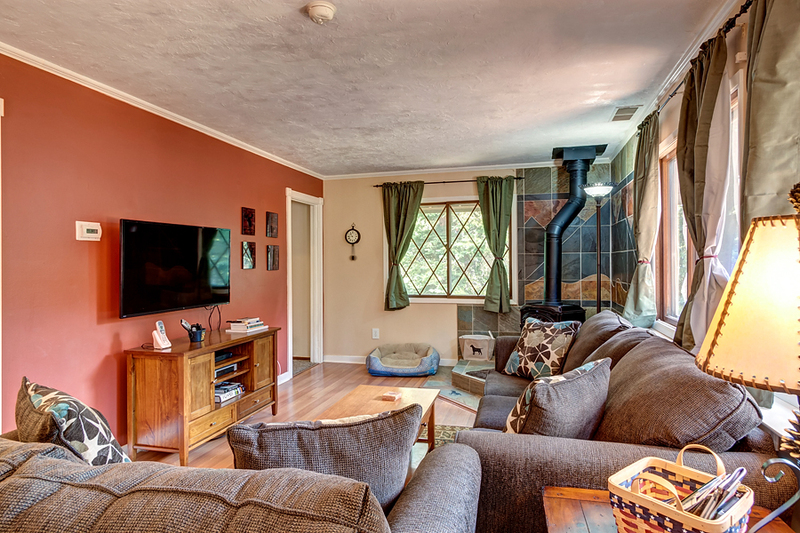 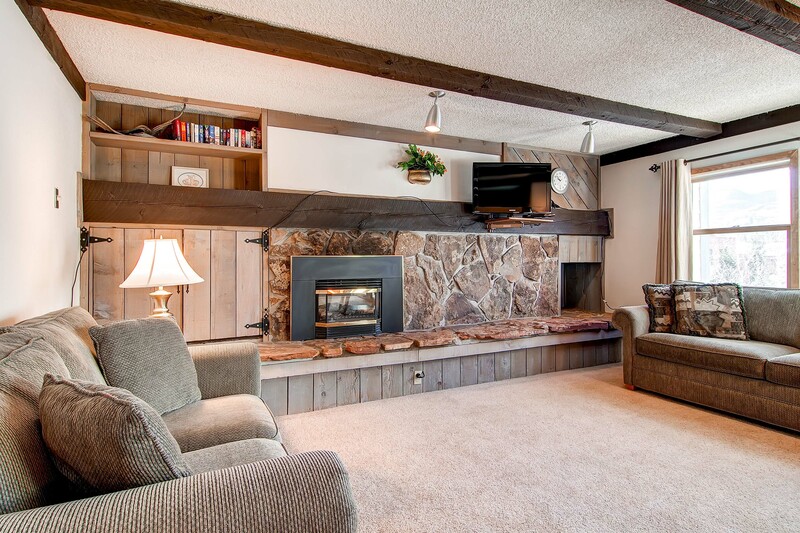 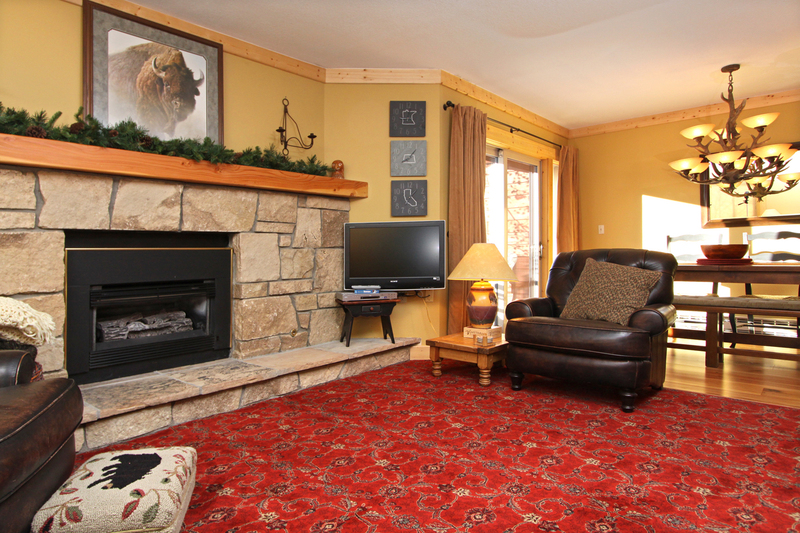 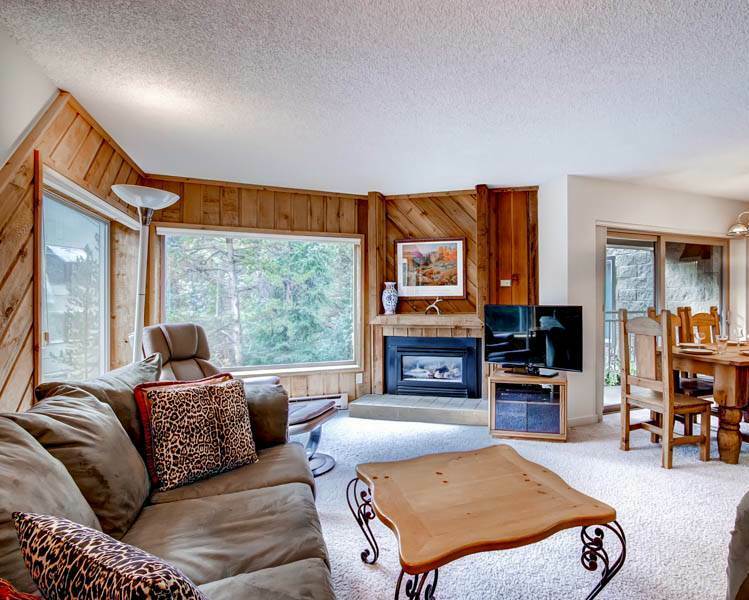 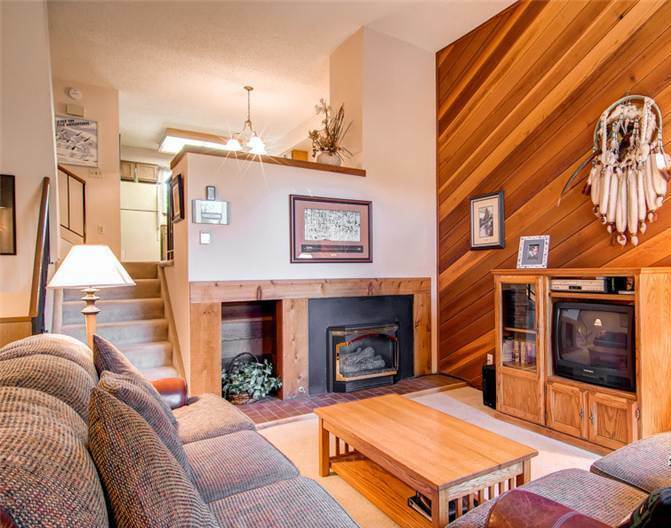 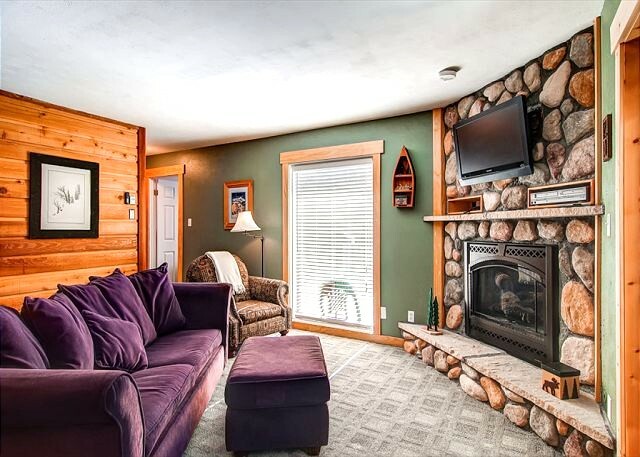 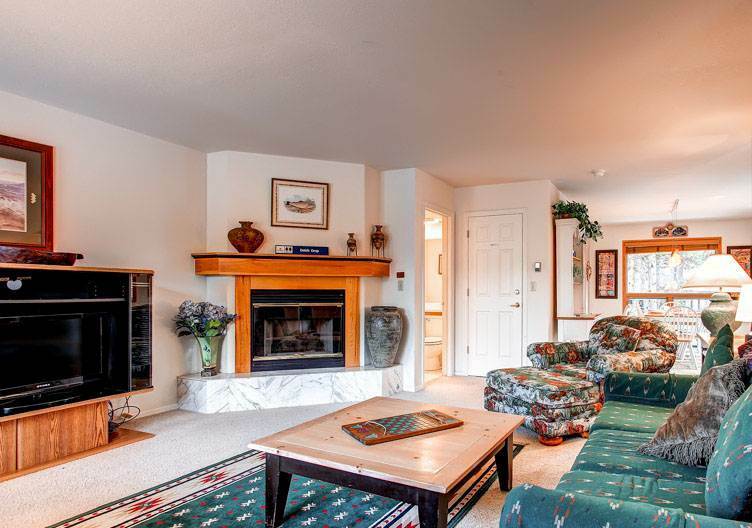 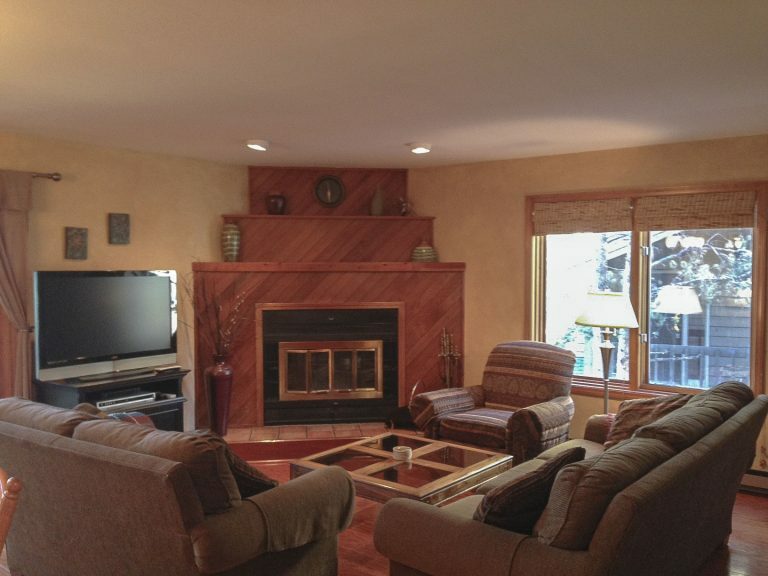 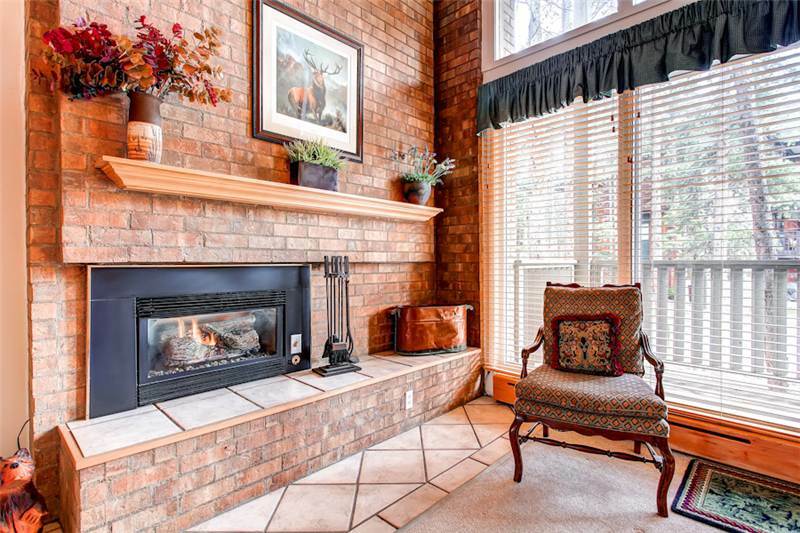 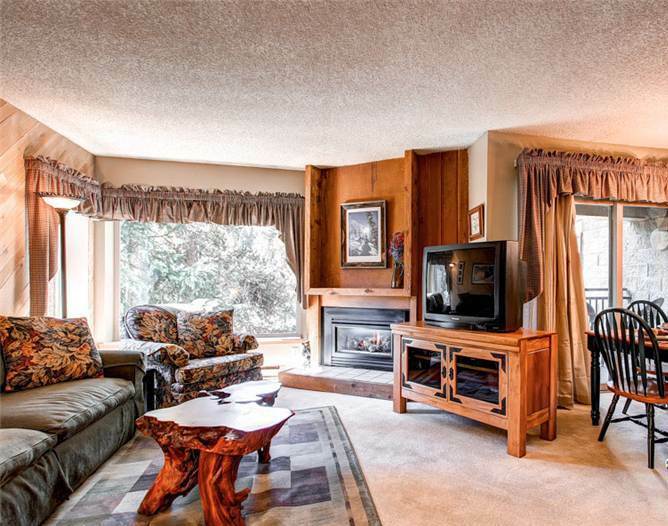 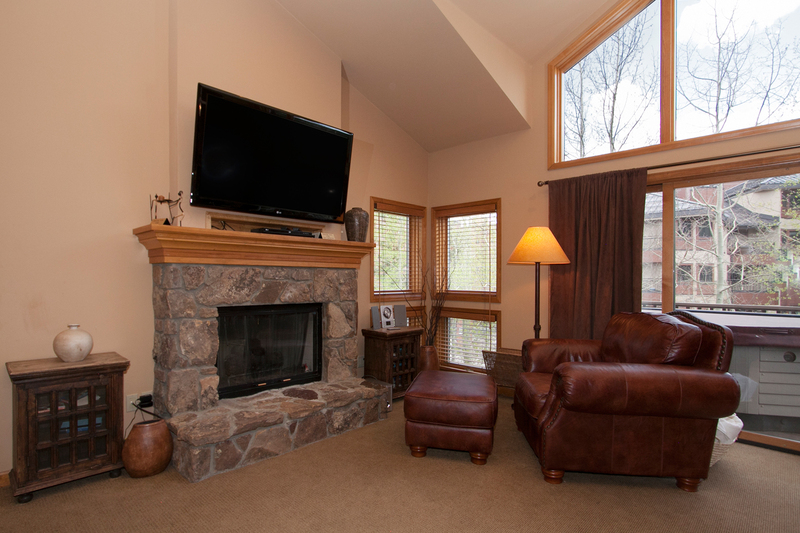 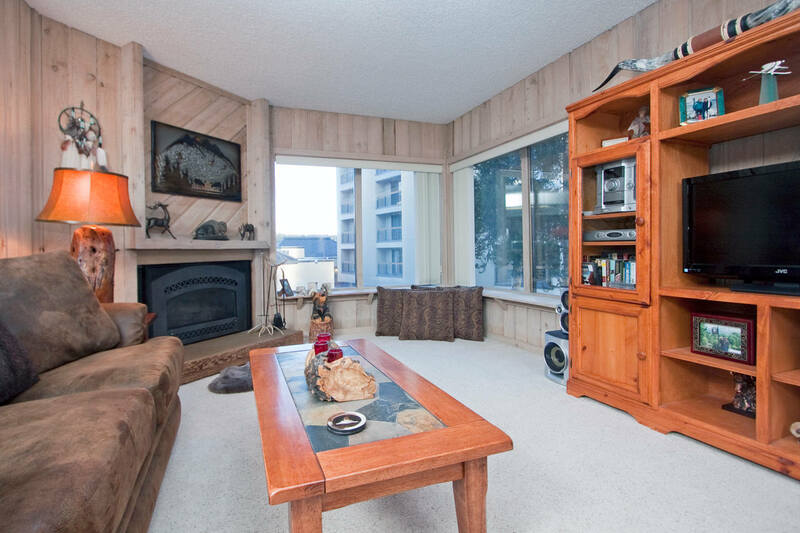 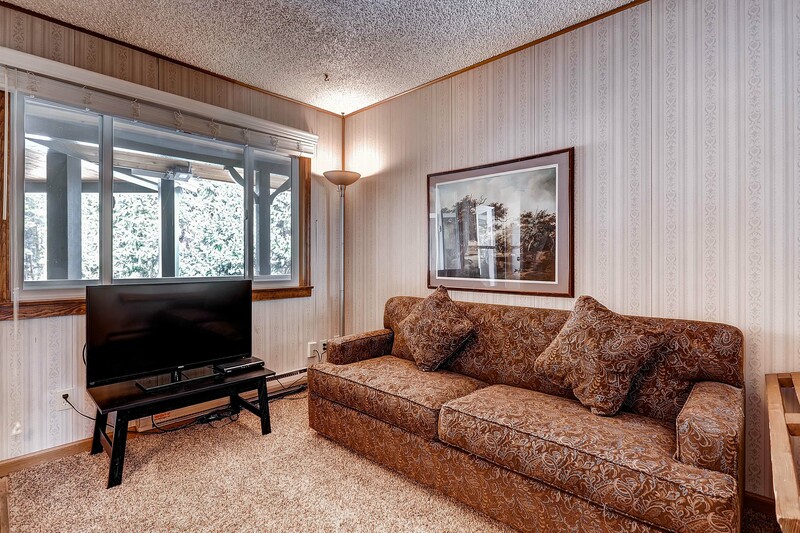 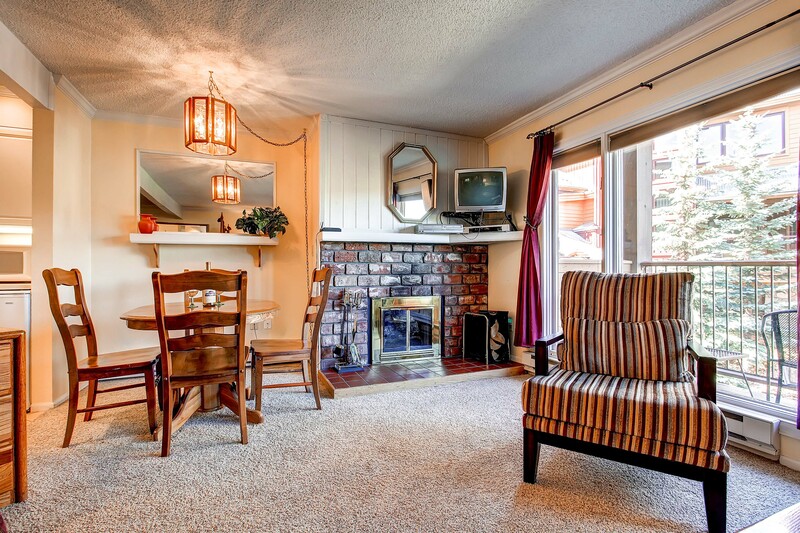 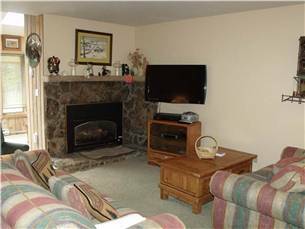 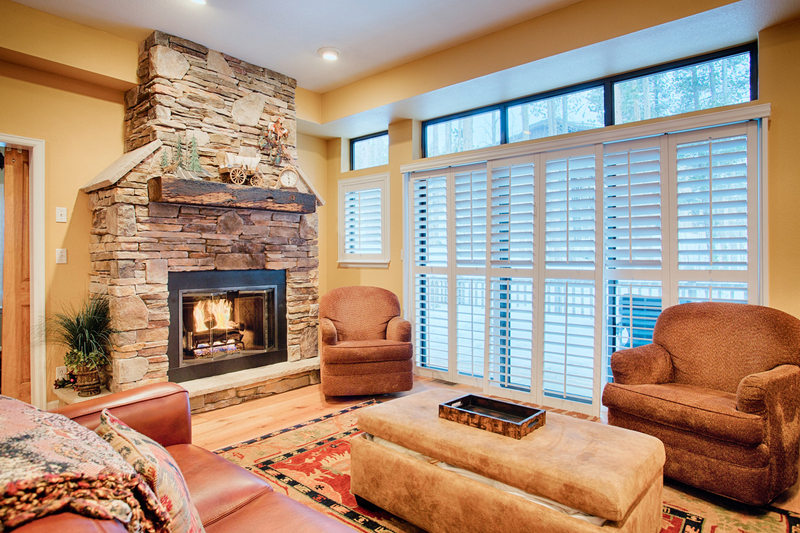 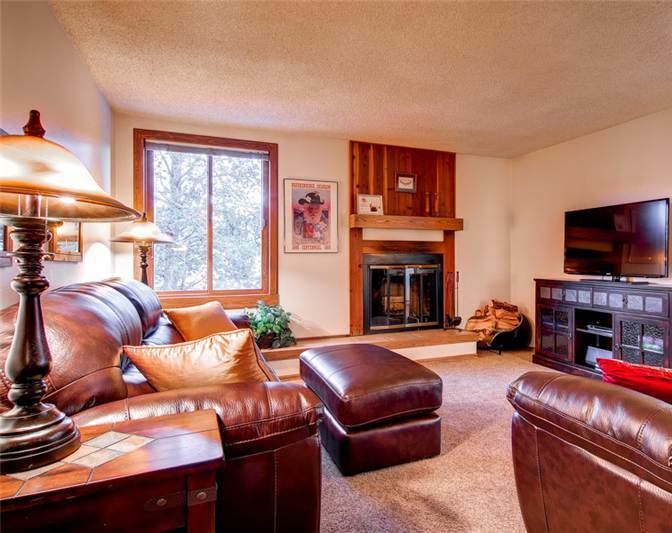 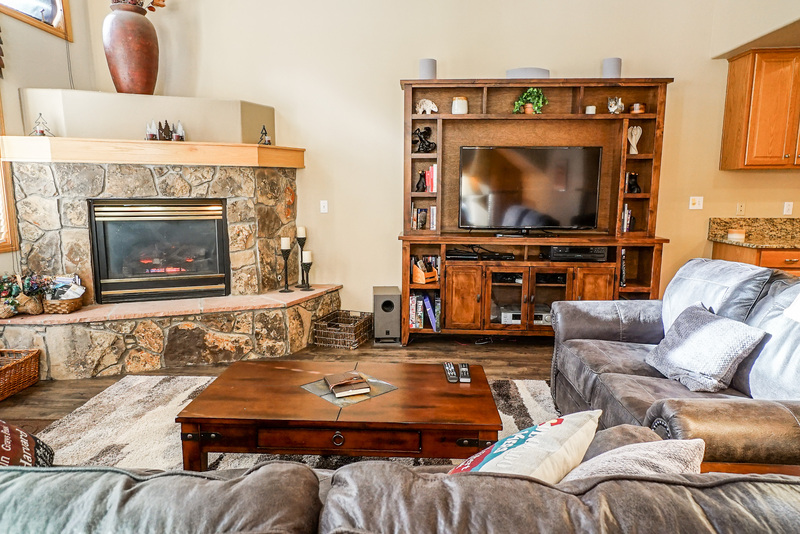 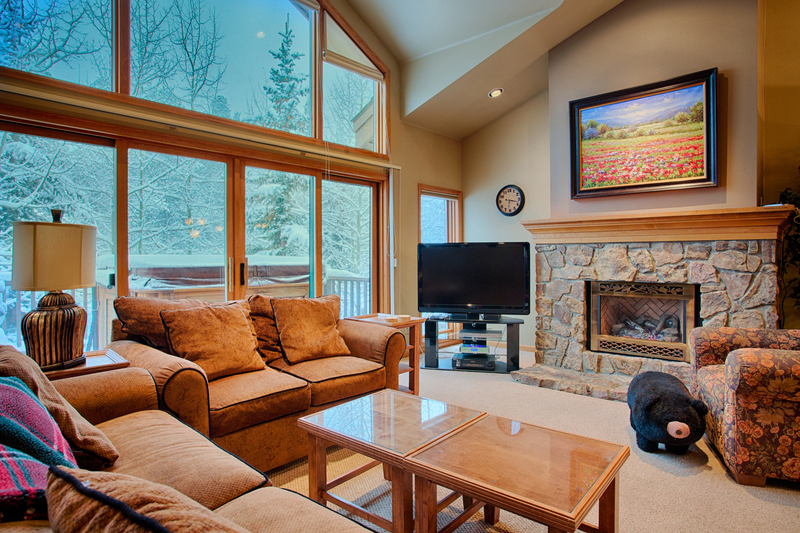 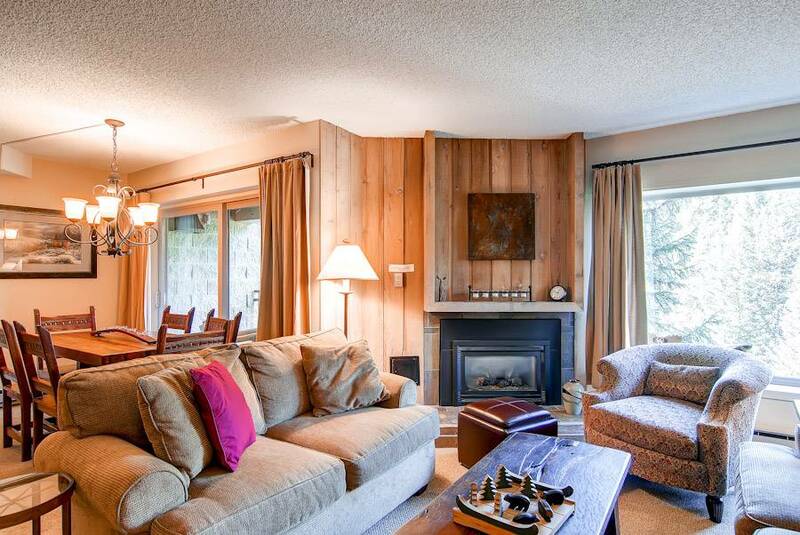 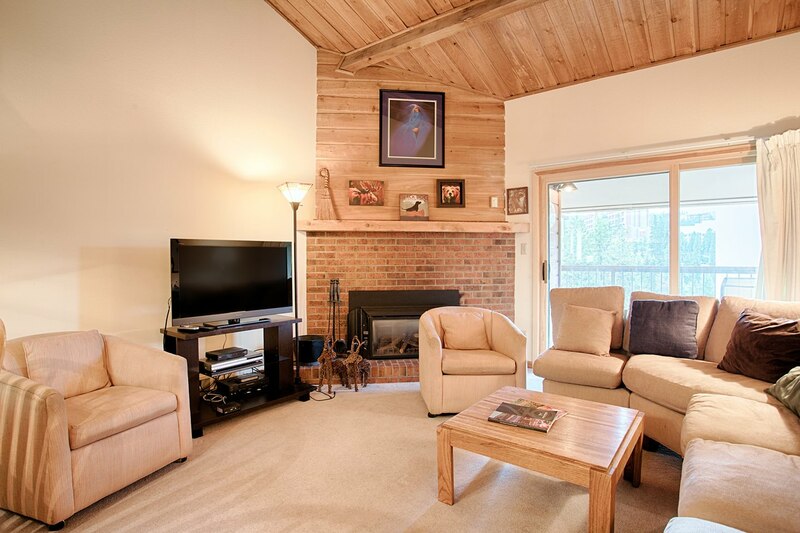 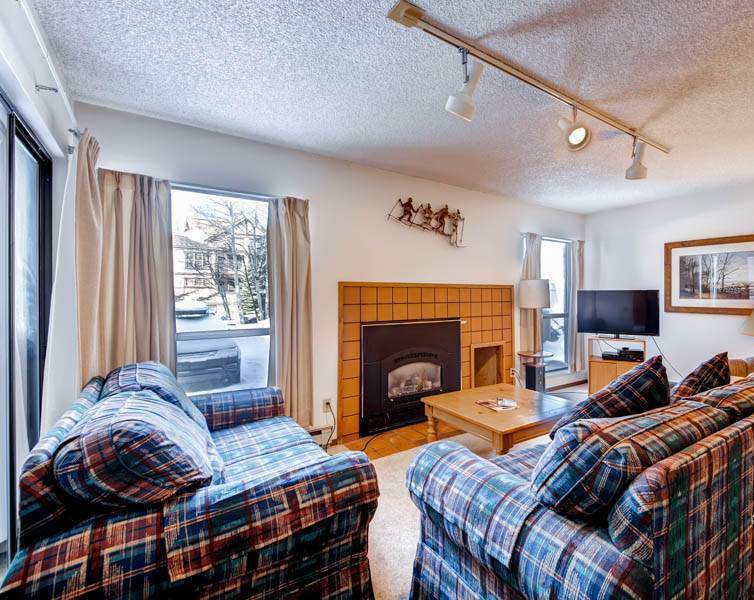 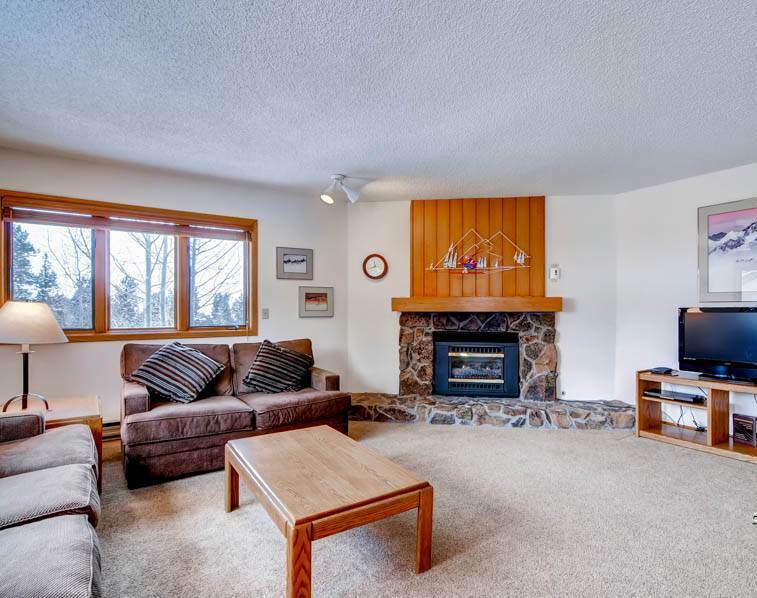 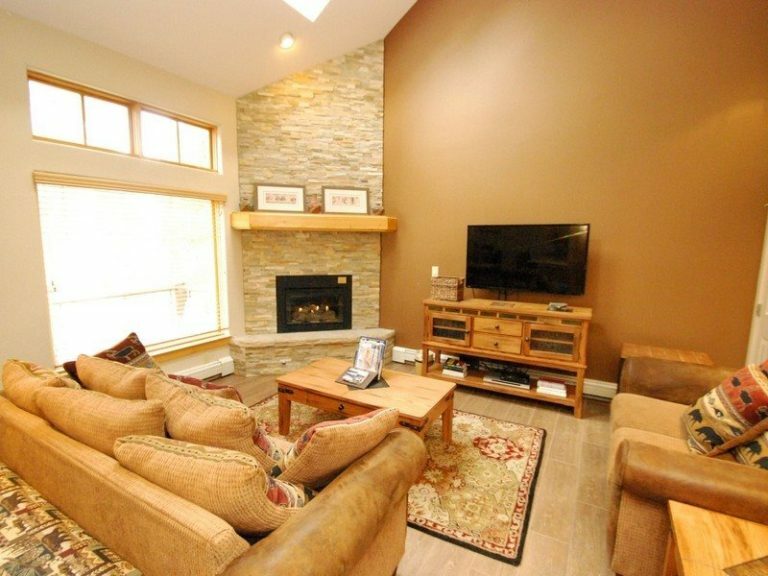 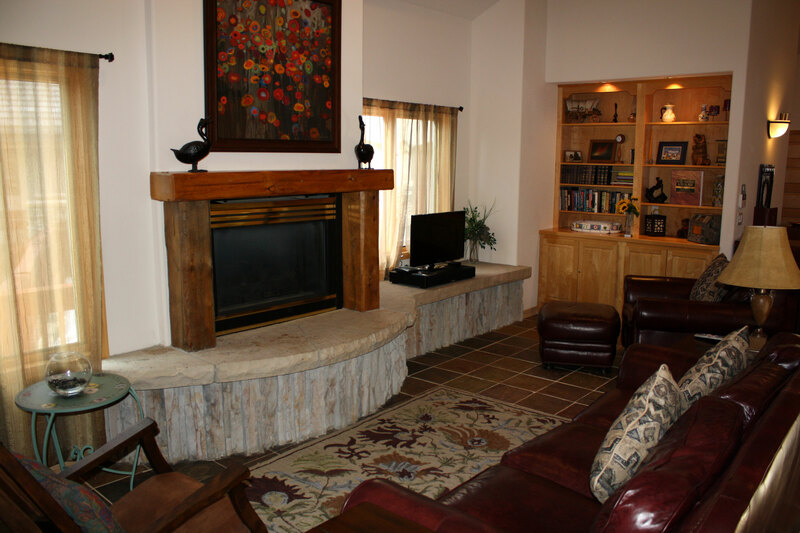 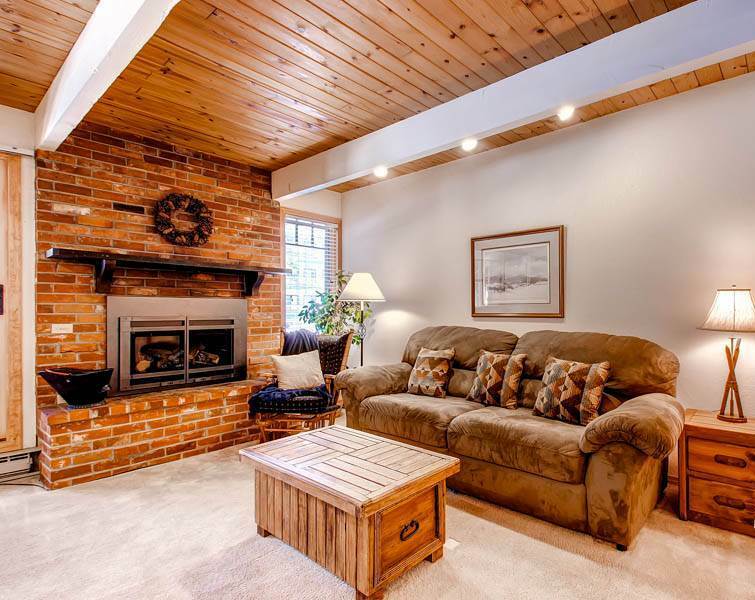 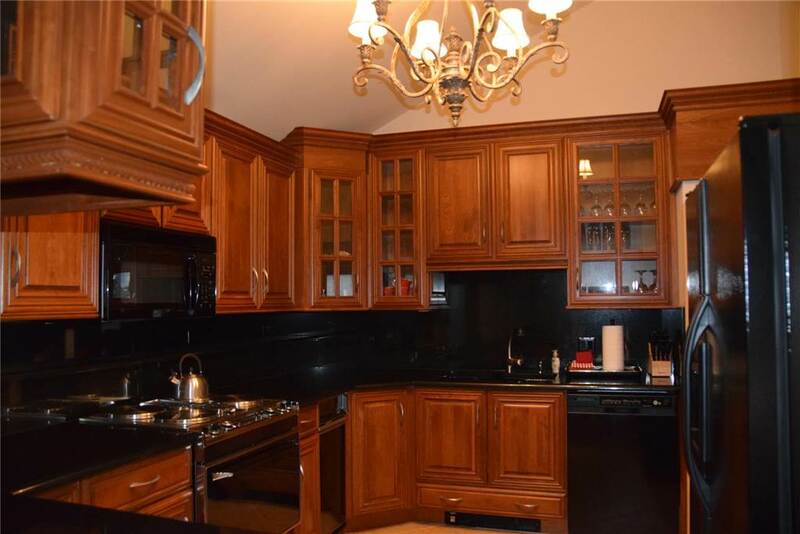 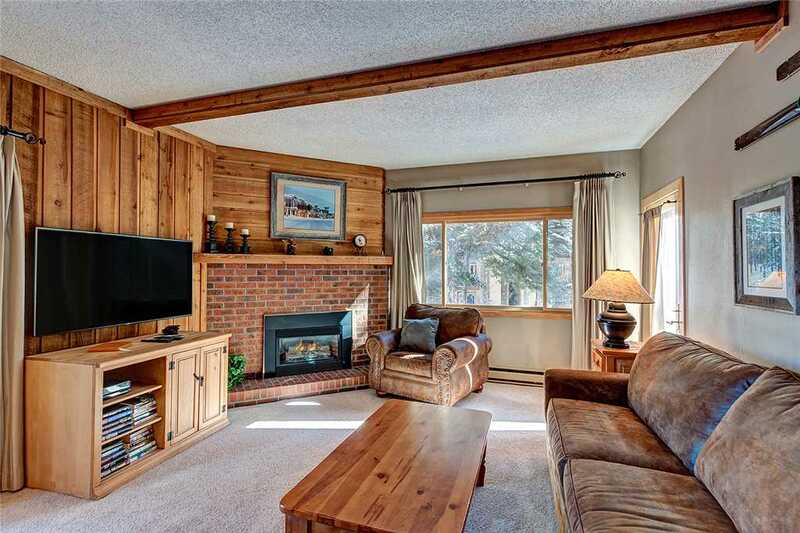 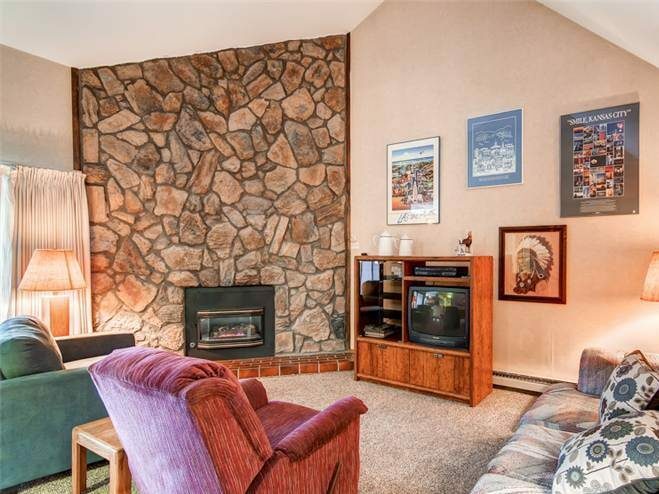 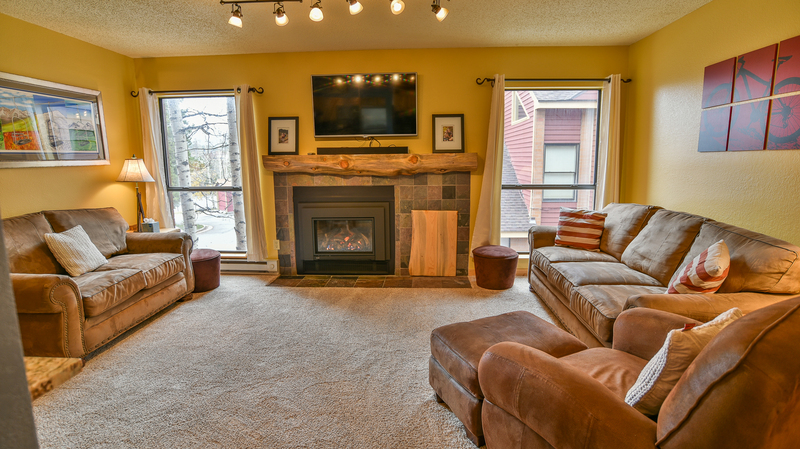 Comfortable furnishings and precise decorations compliment warm wood trims and a gas fireplace to create a cozy atmosphere that the whole family will enjoy. 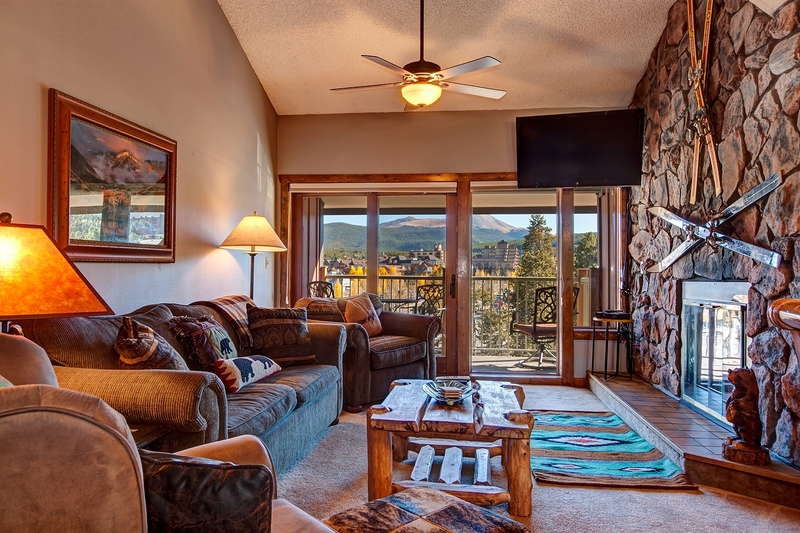 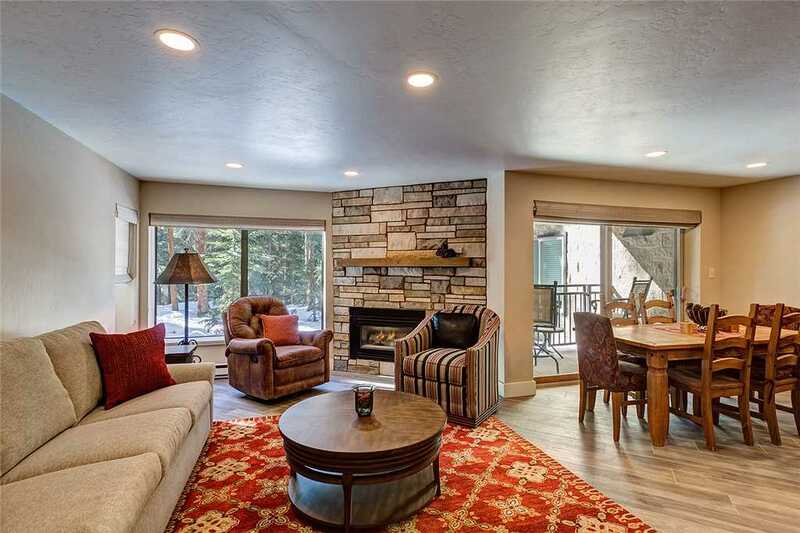 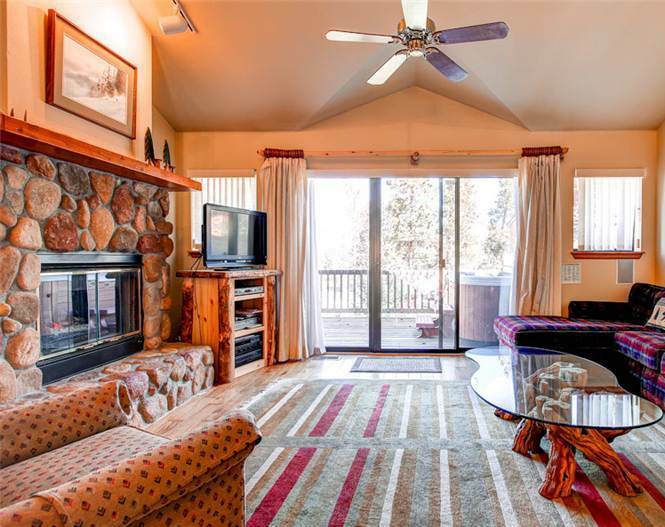 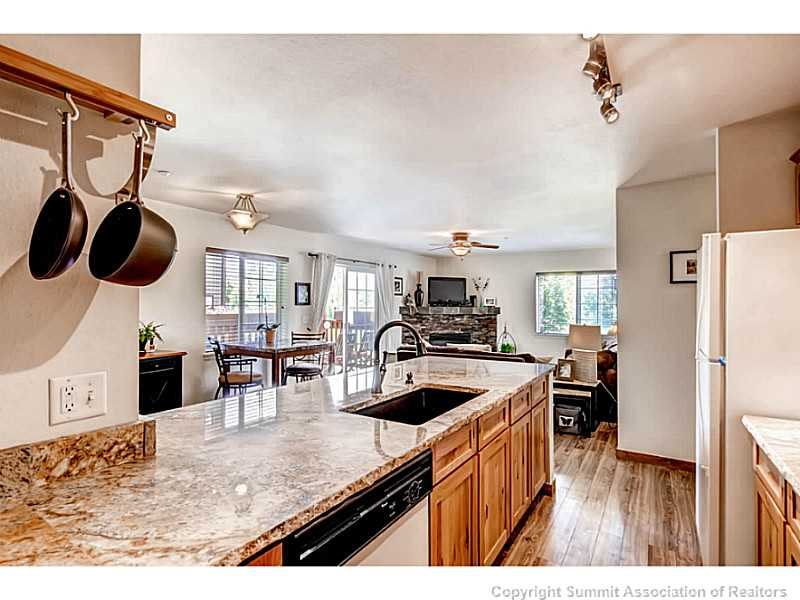 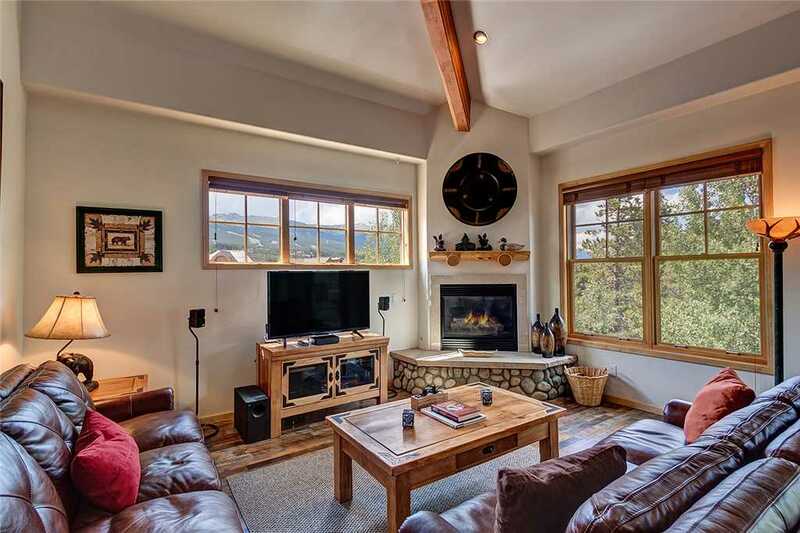 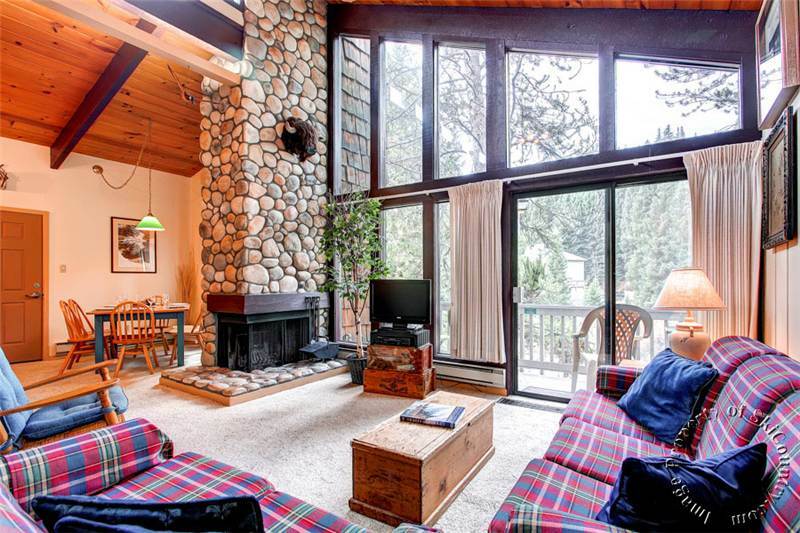 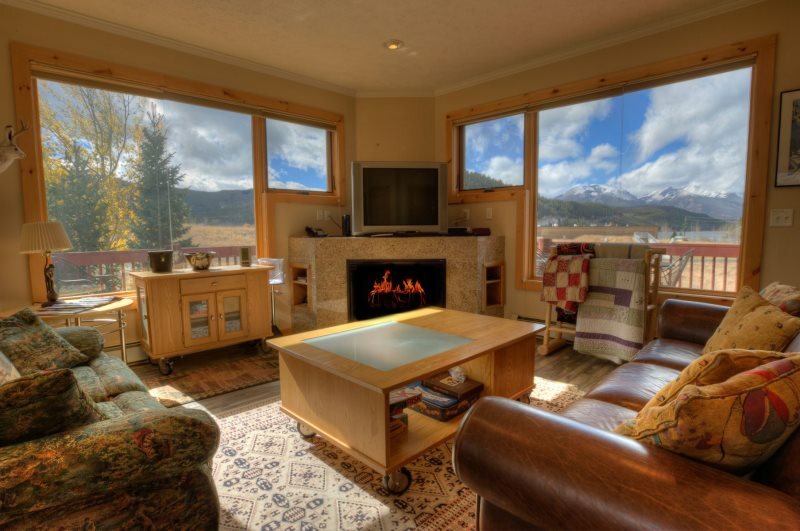 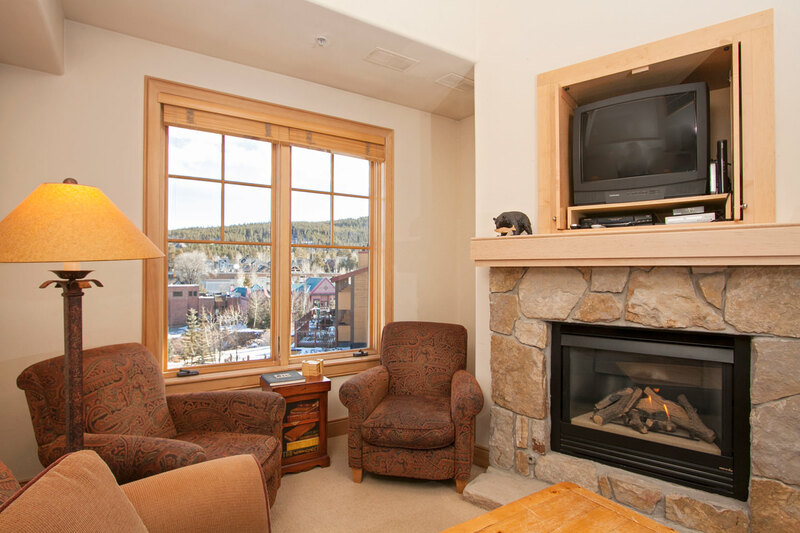 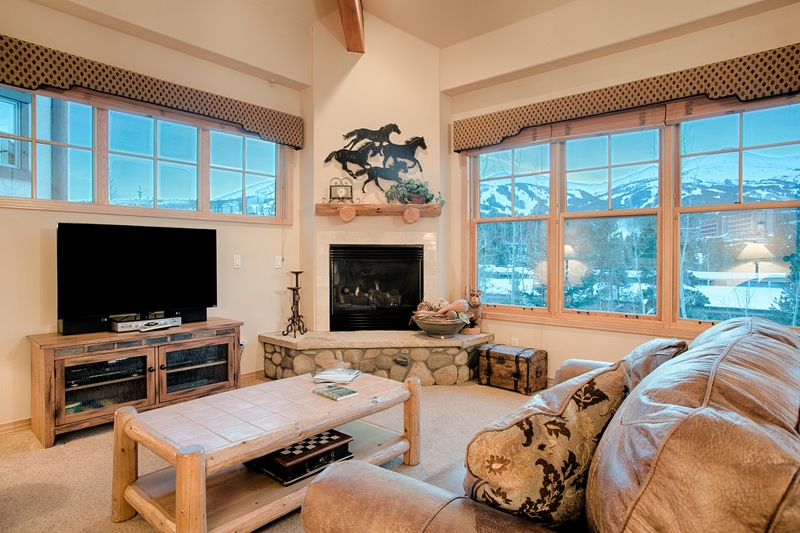 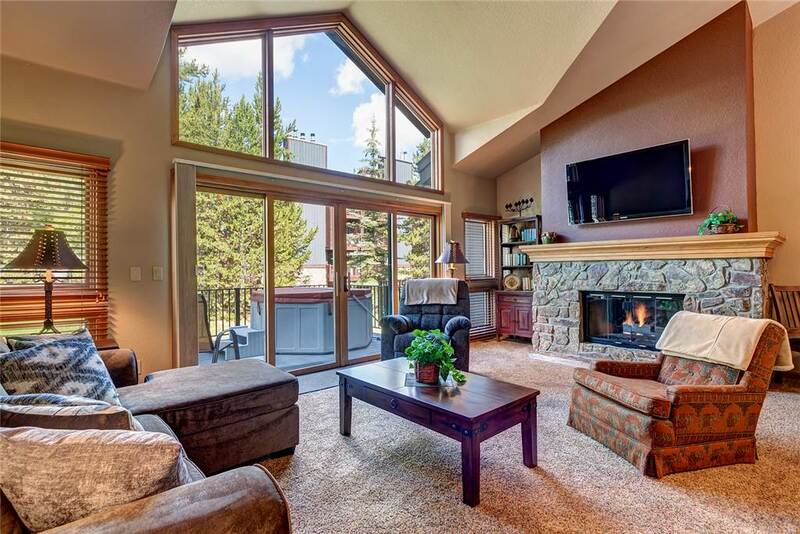 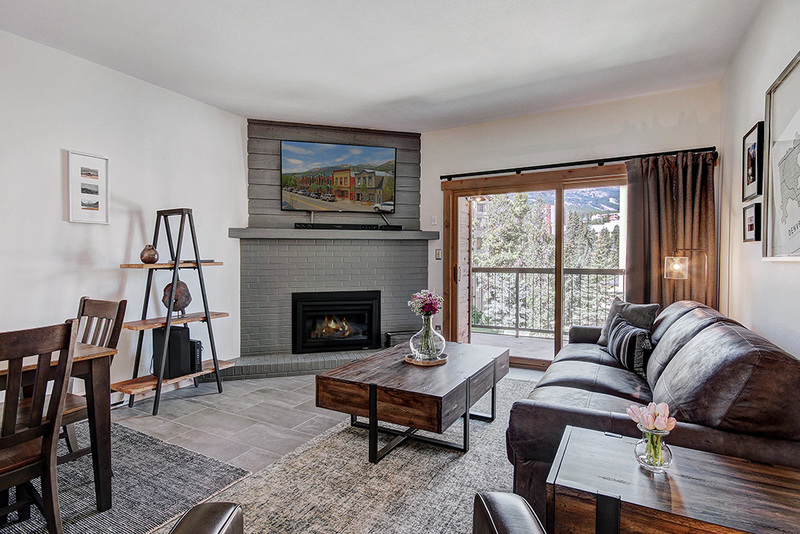 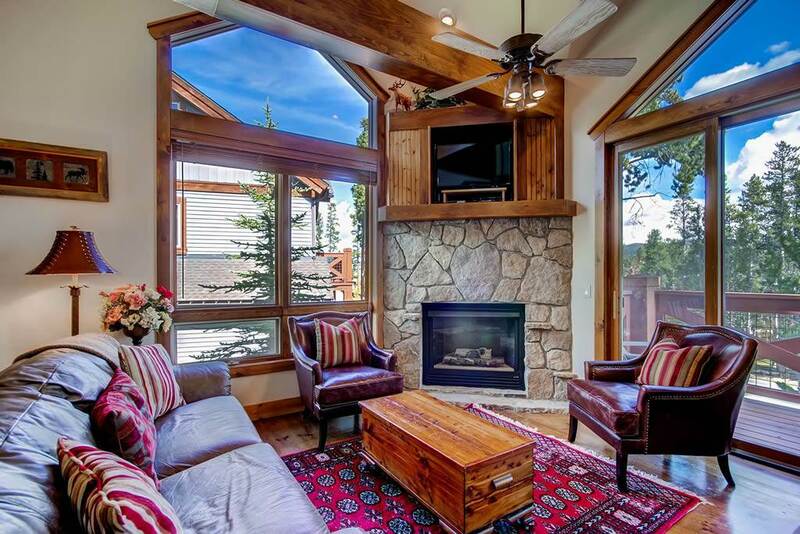 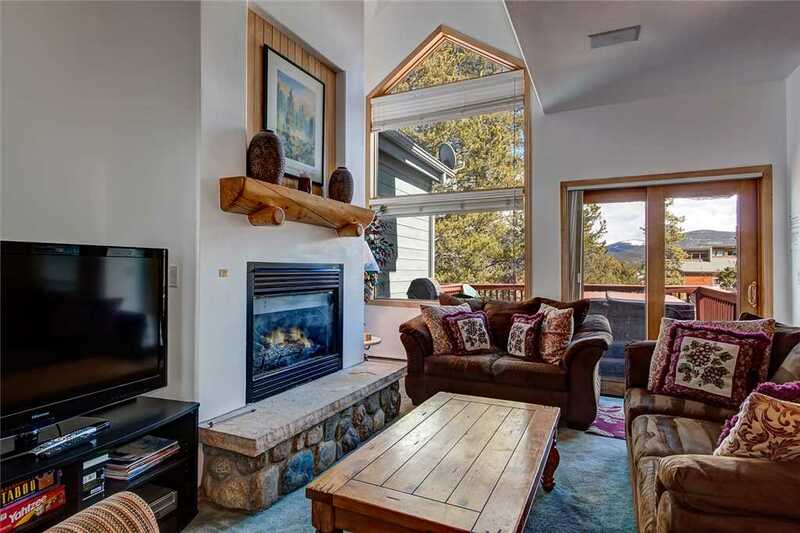 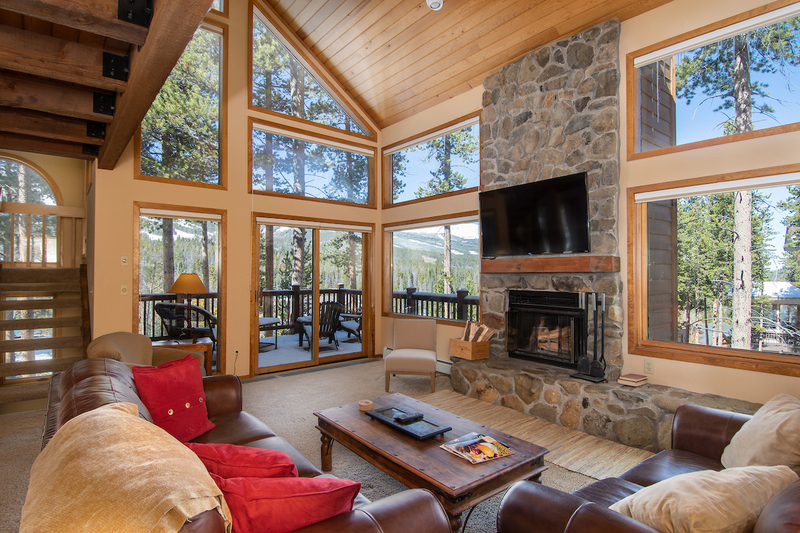 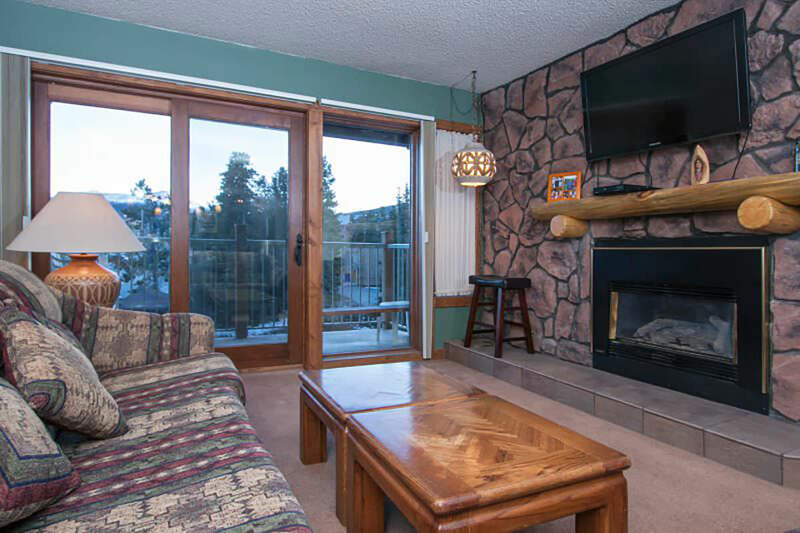 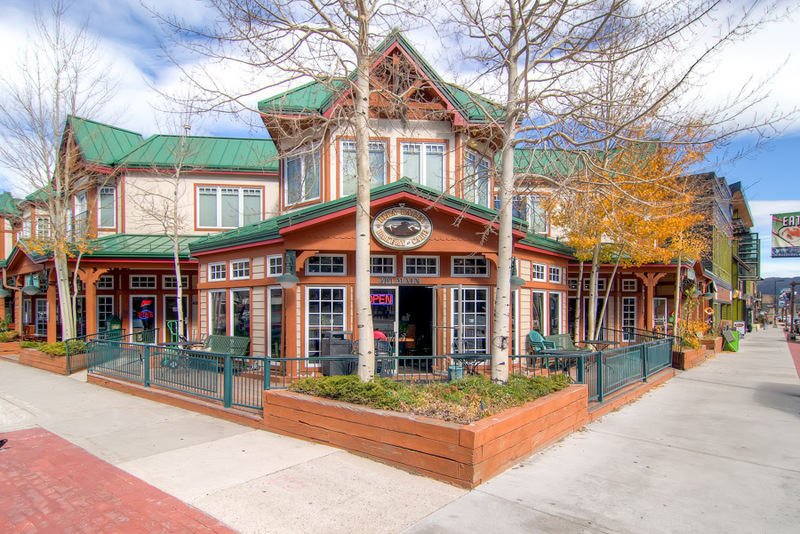 The garden level patio overlooks historic downtown Breckenridge with expansive views of Baldy Mountain. 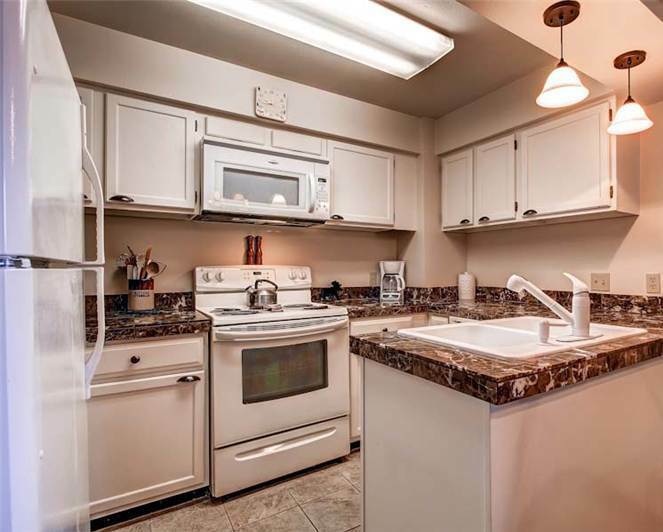 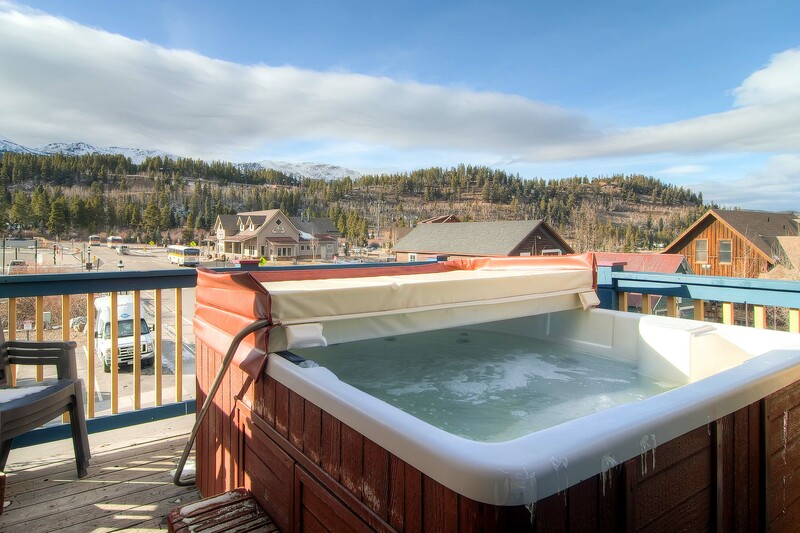 Guests also have access to the complex’s hot tubs, heated pool and exercise room to stretch out those sore muscles after shredding the gnar all day. 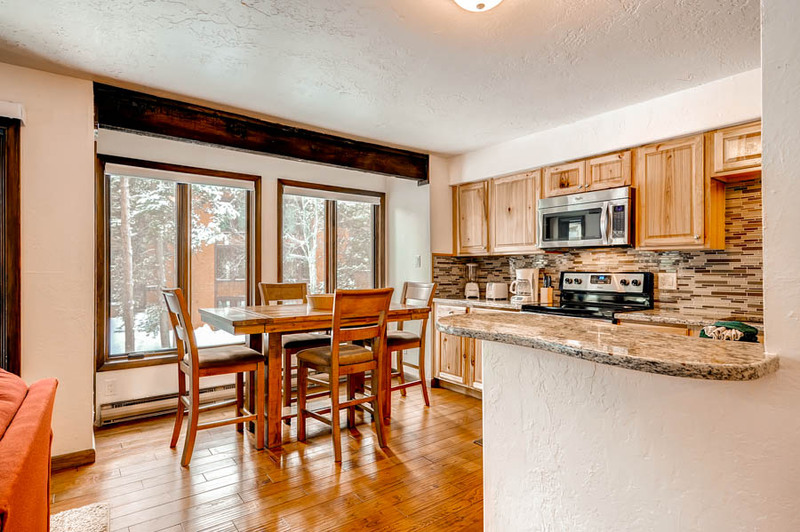 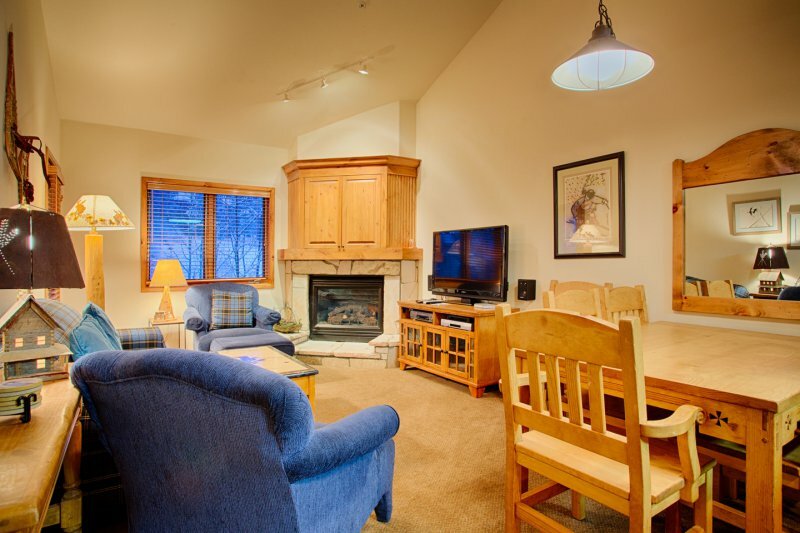 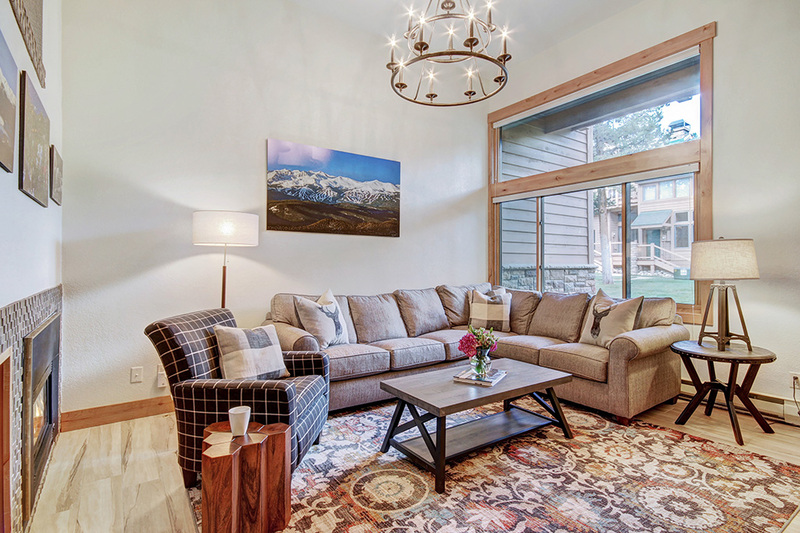 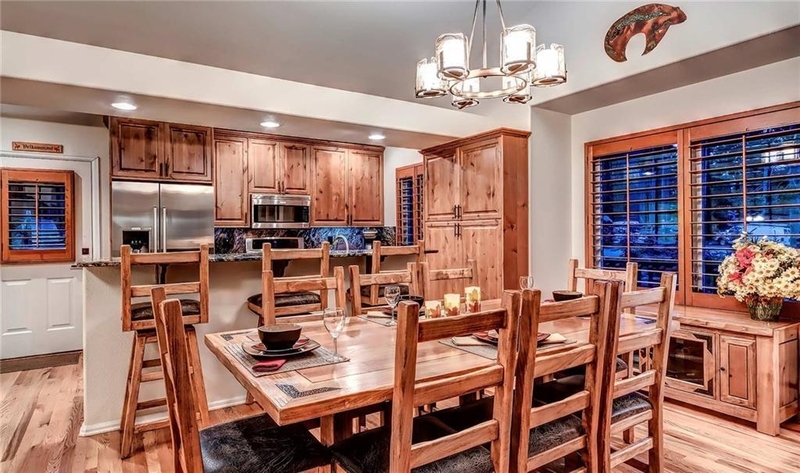 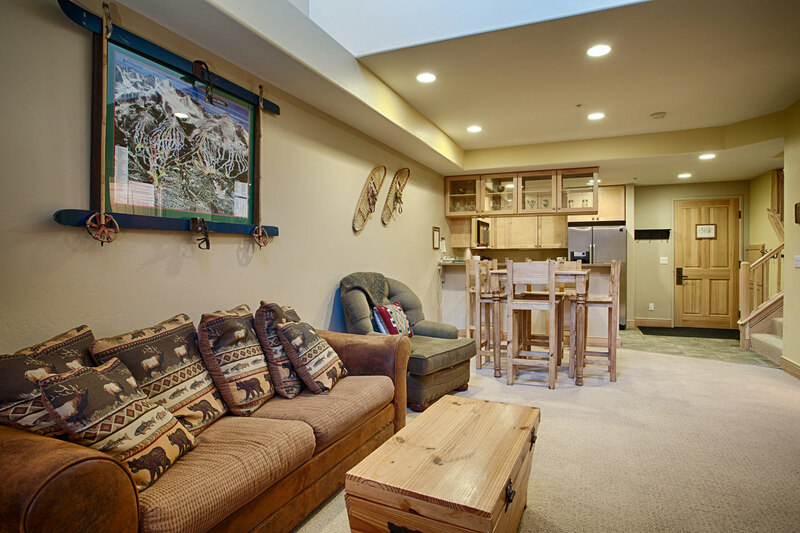 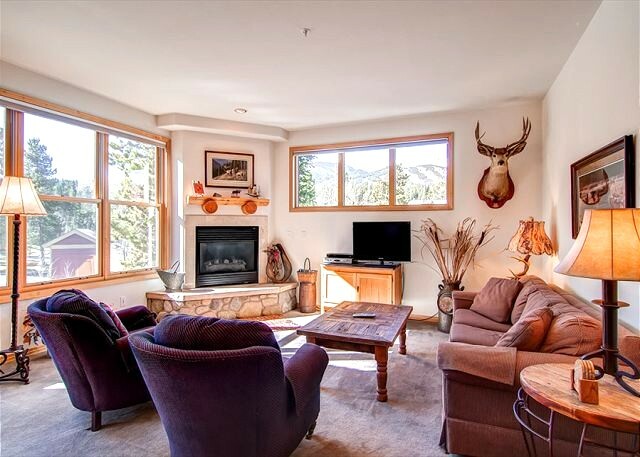 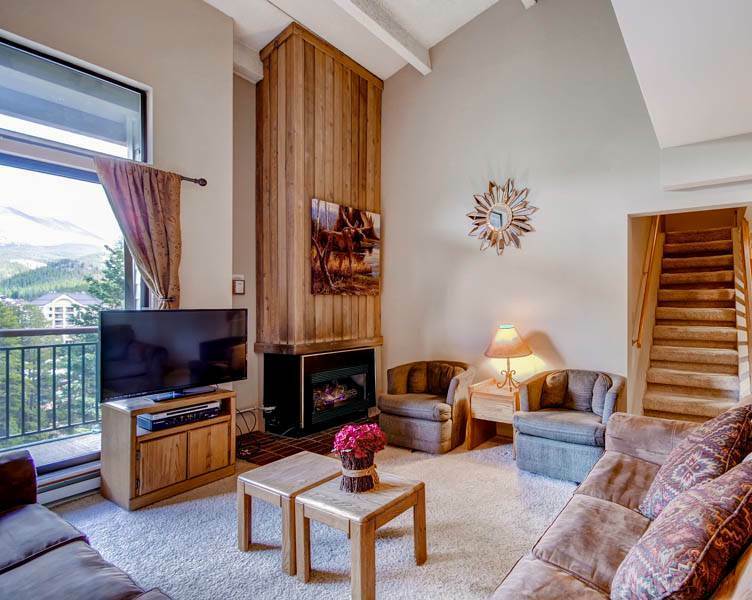 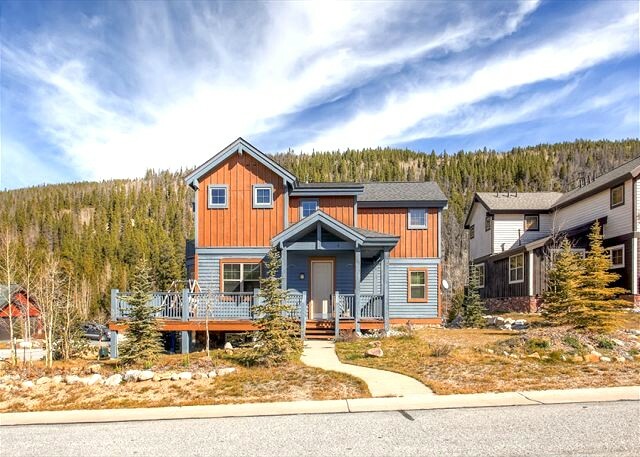 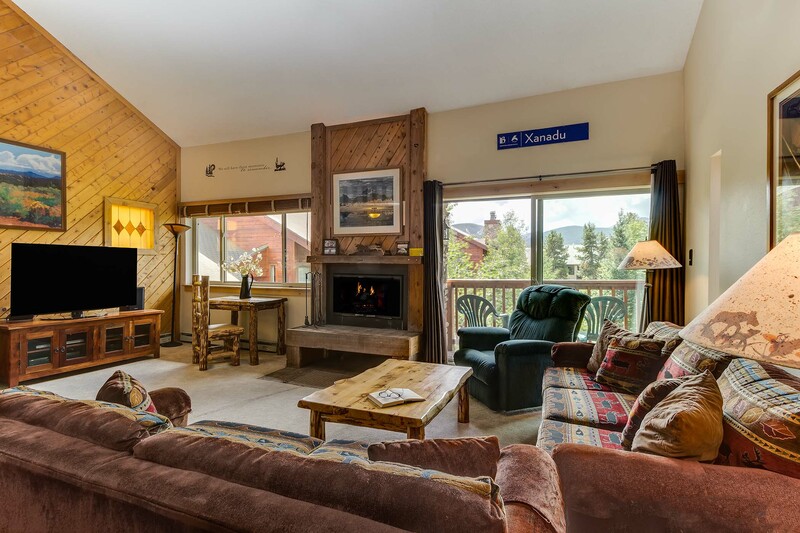 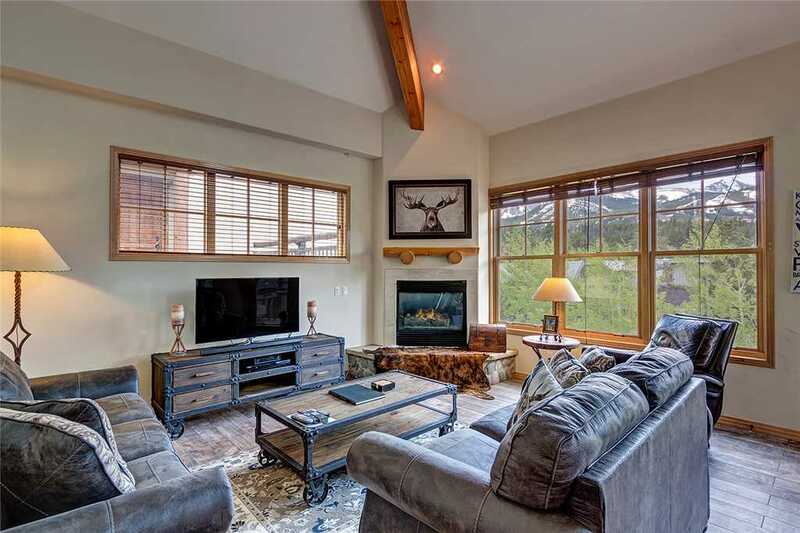 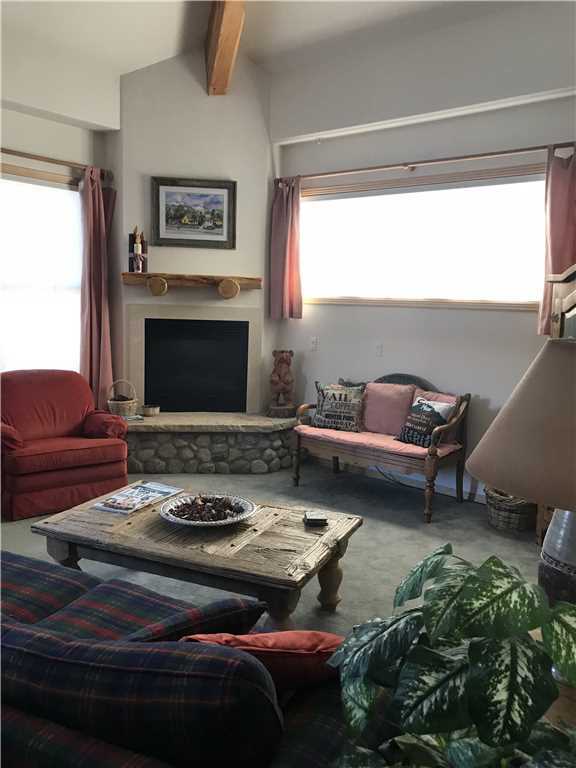 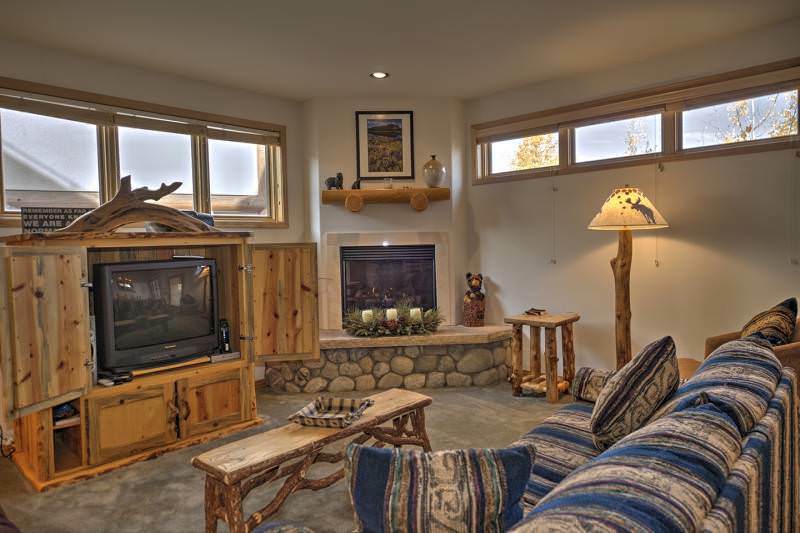 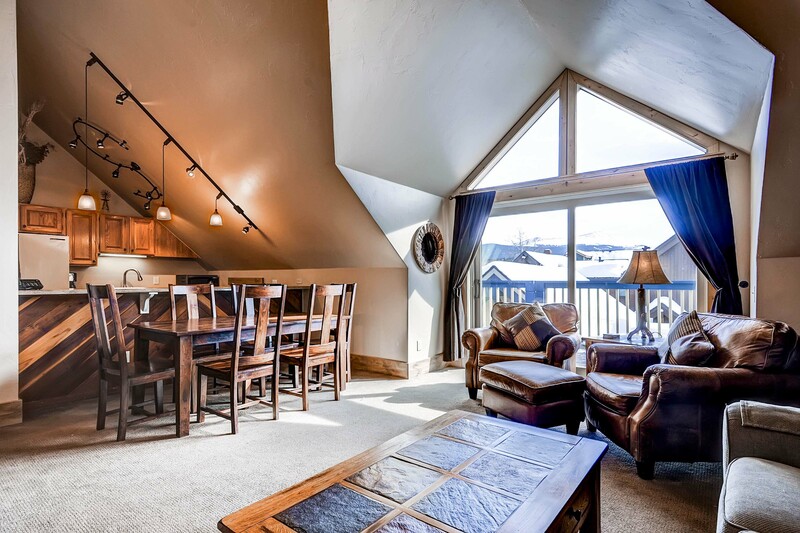 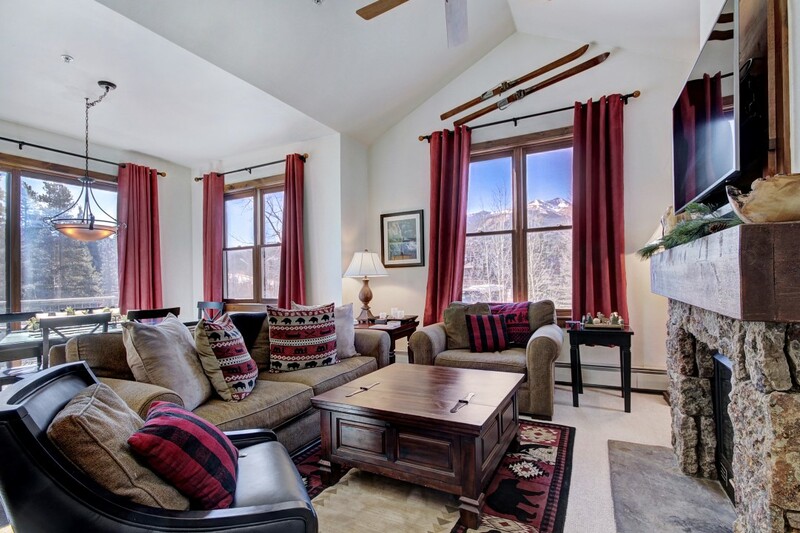 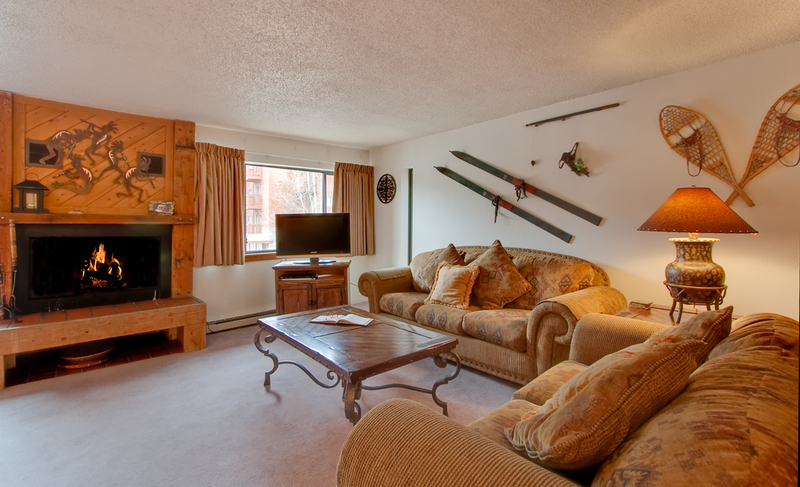 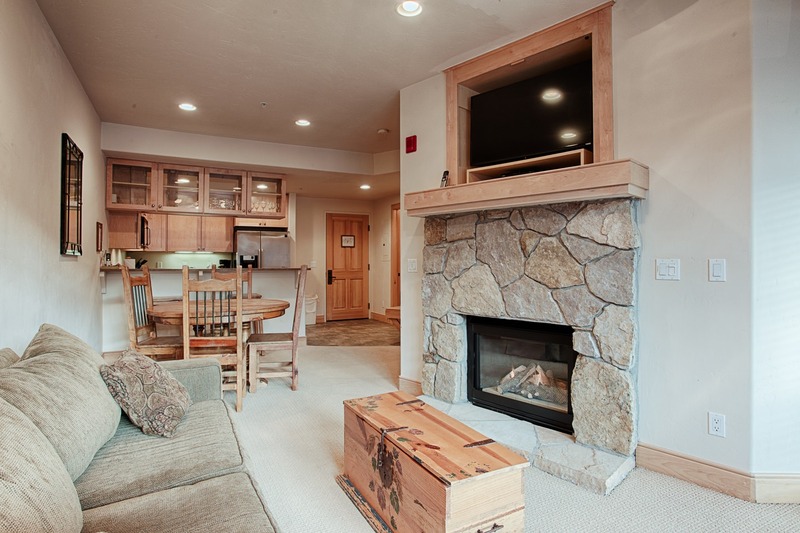 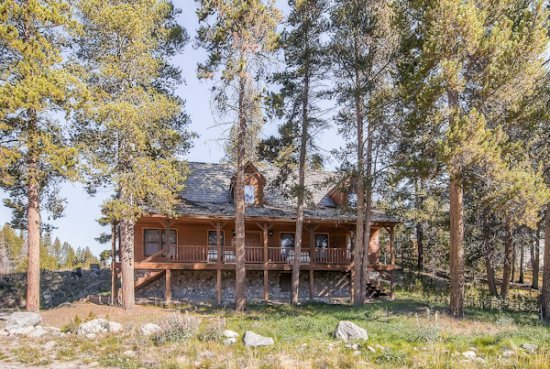 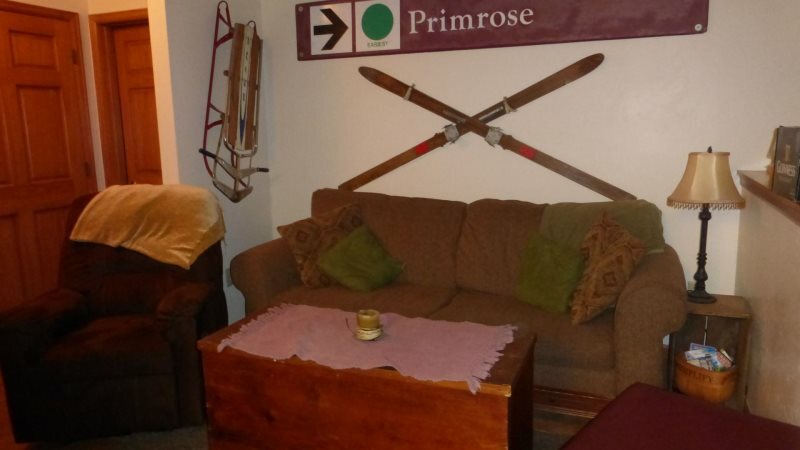 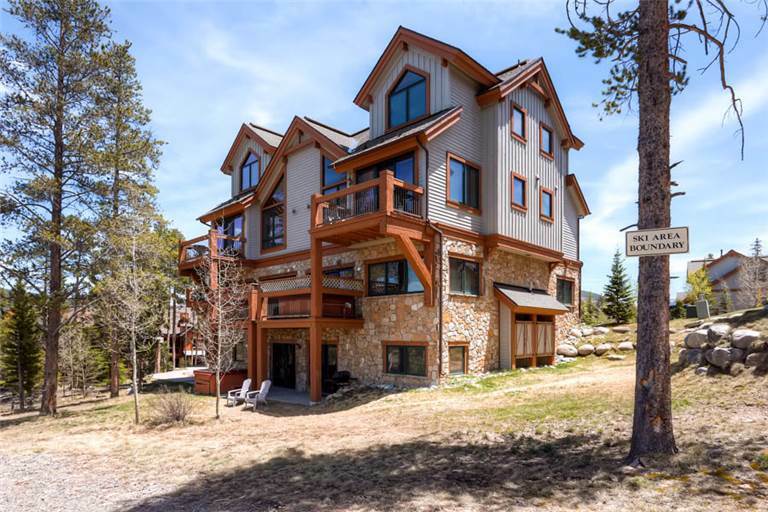 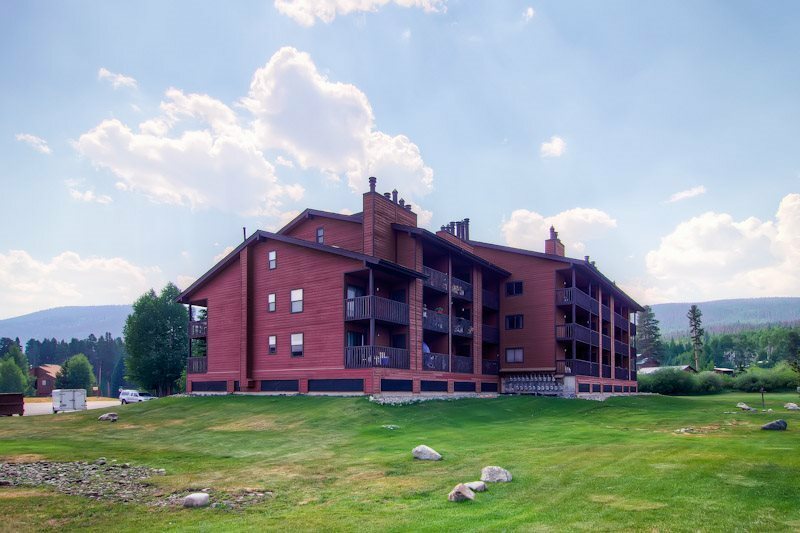 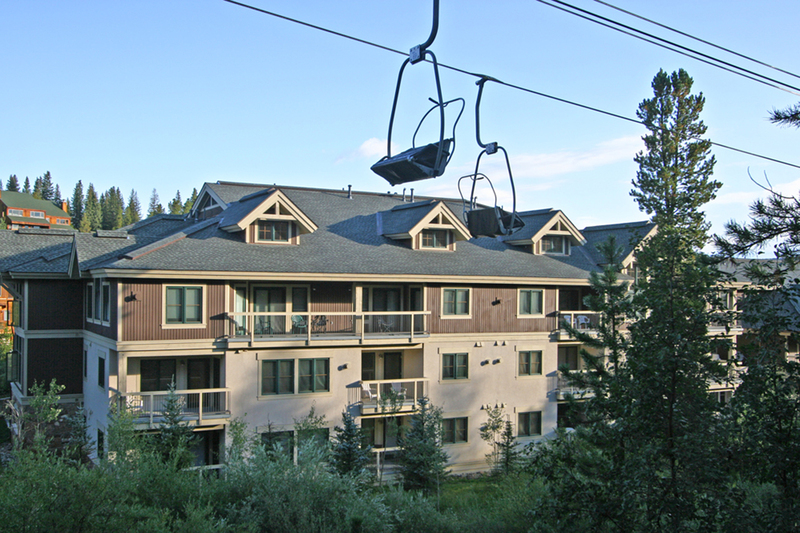 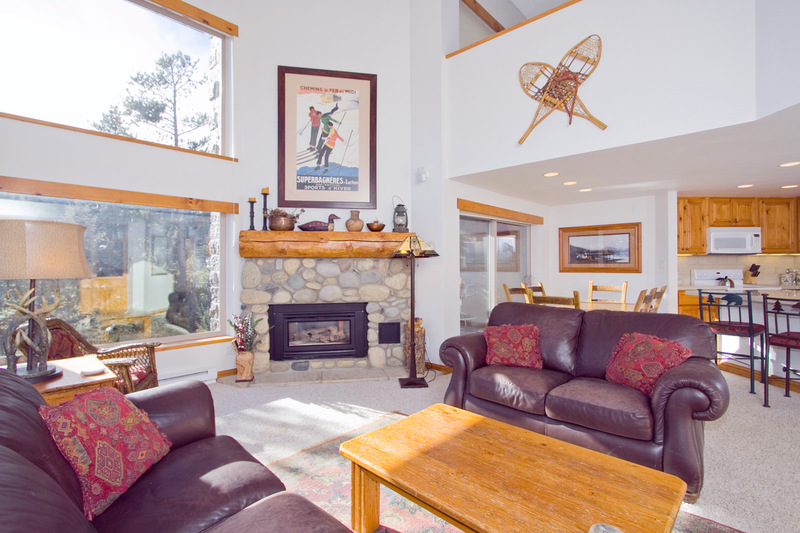 Mountain Thunder is just a quick walk to the BreckConnect Gondola and (conditions permitting) the Lower Four O’clock Ski Run will drop you just a few yards away from your door! 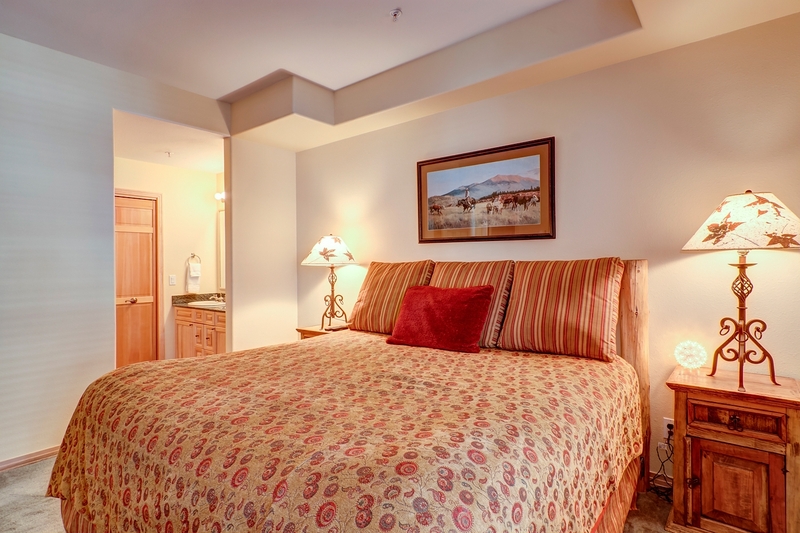 Guests also have access to the complimentary shuttle service that will take you anywhere in town! 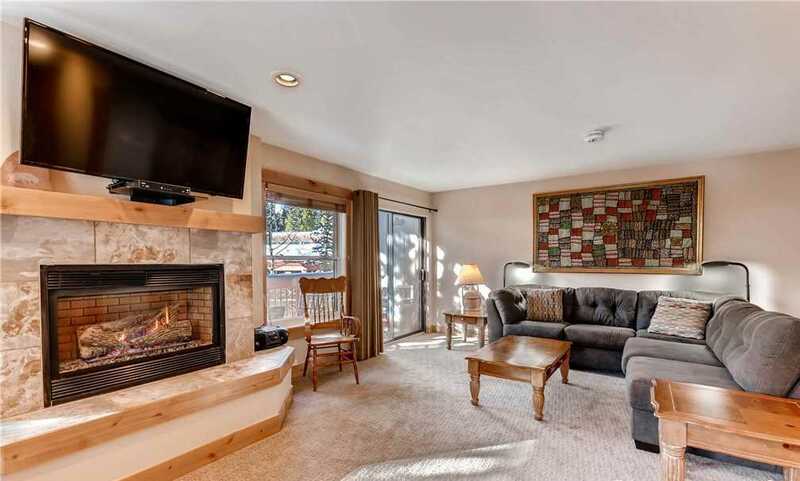 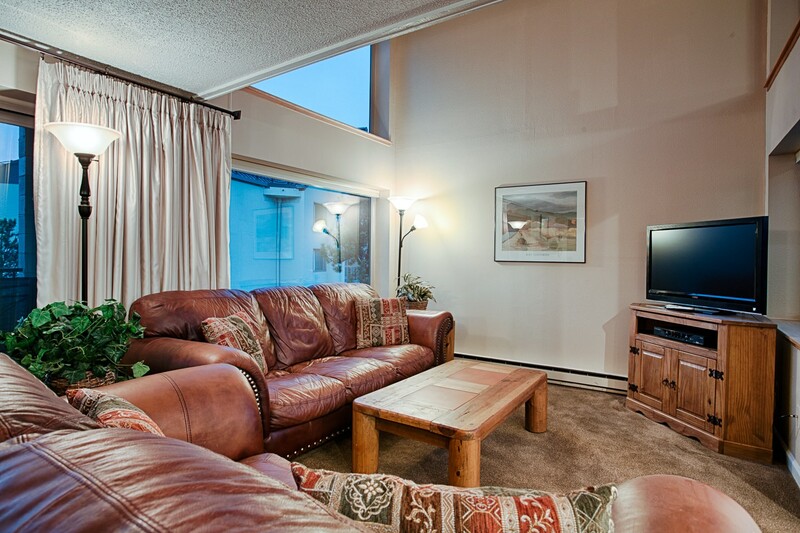 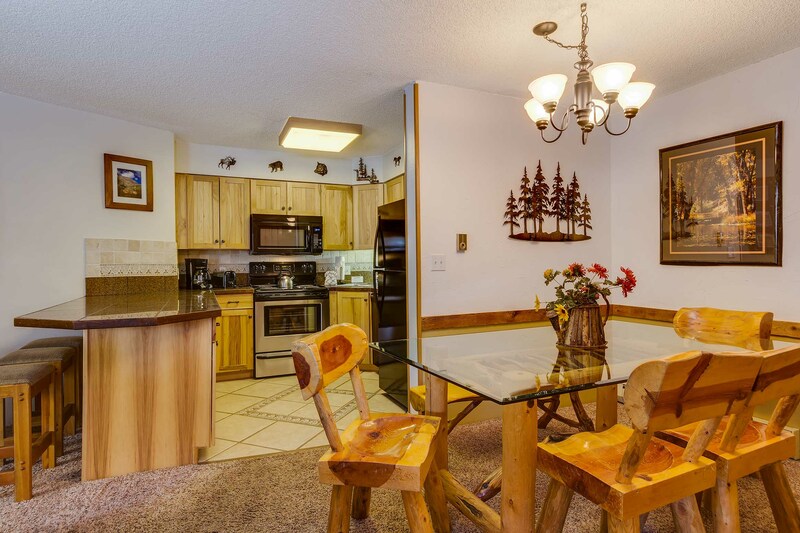 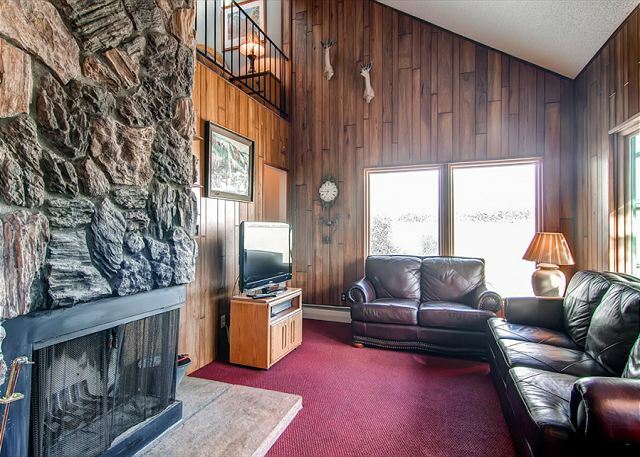 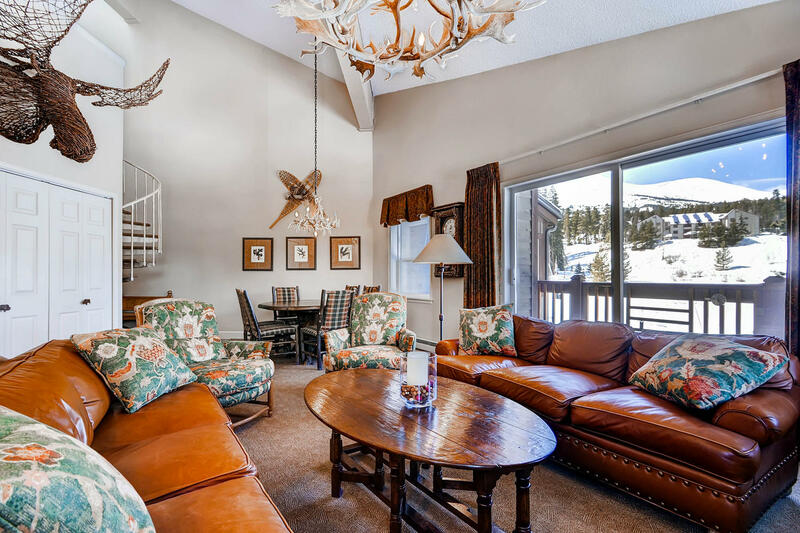 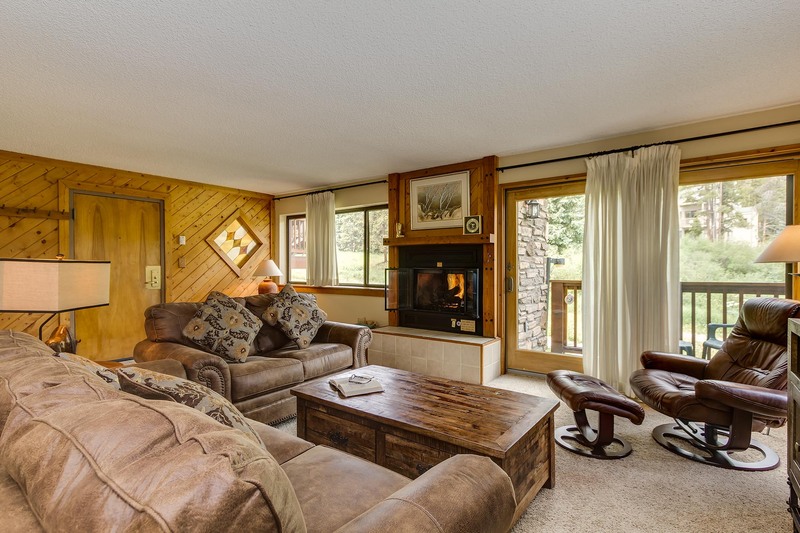 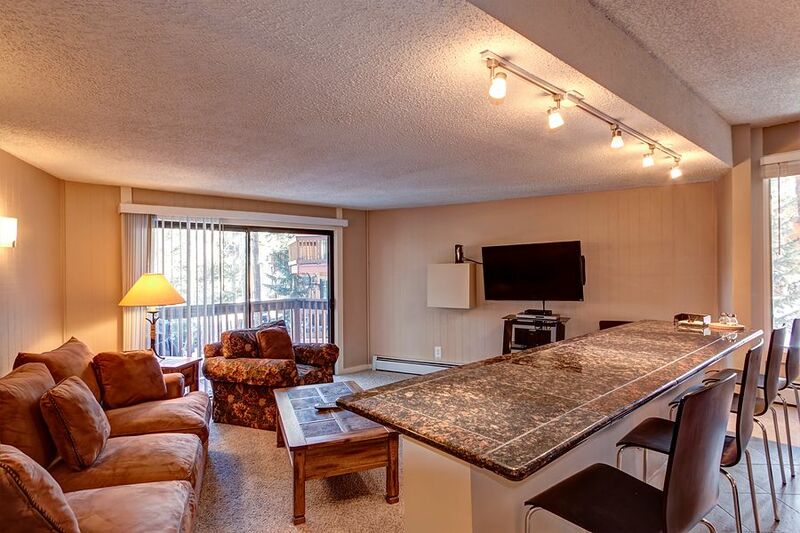 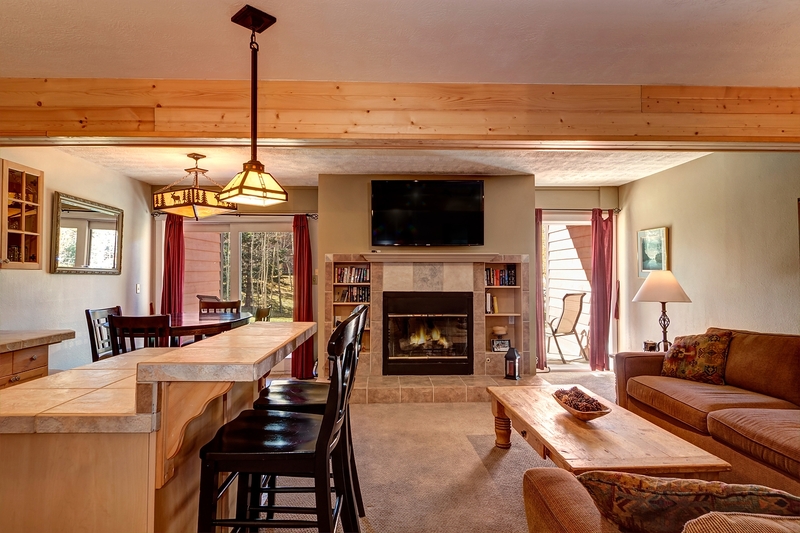 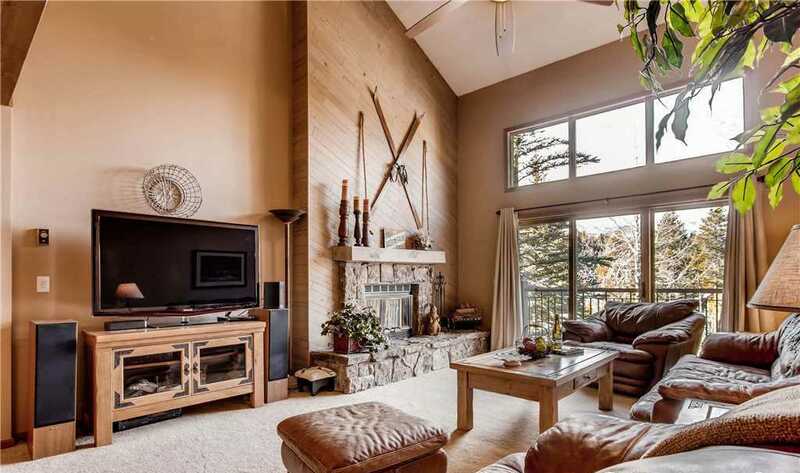 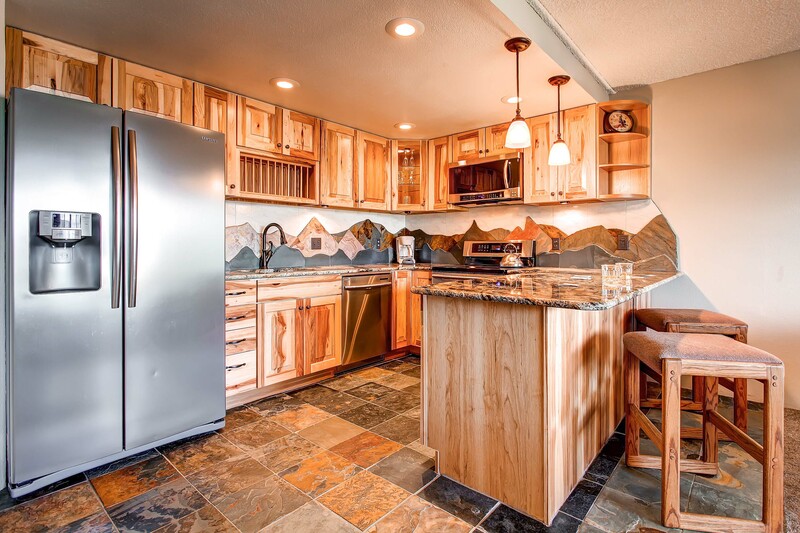 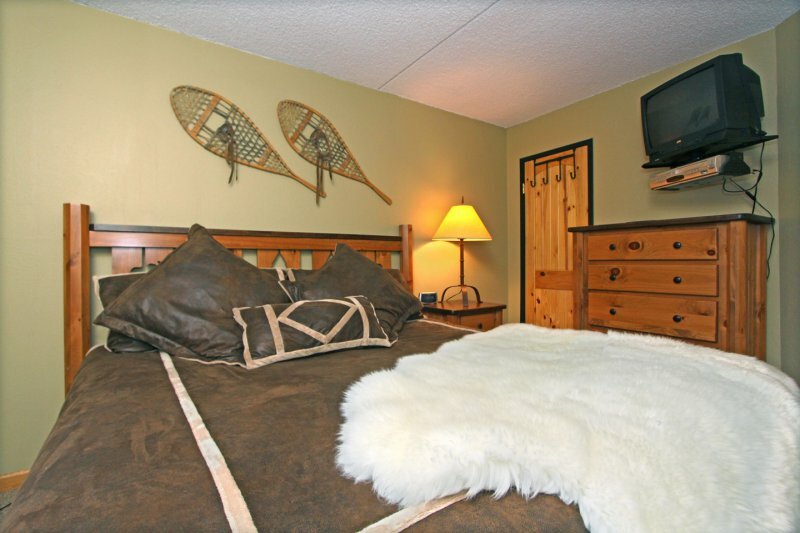 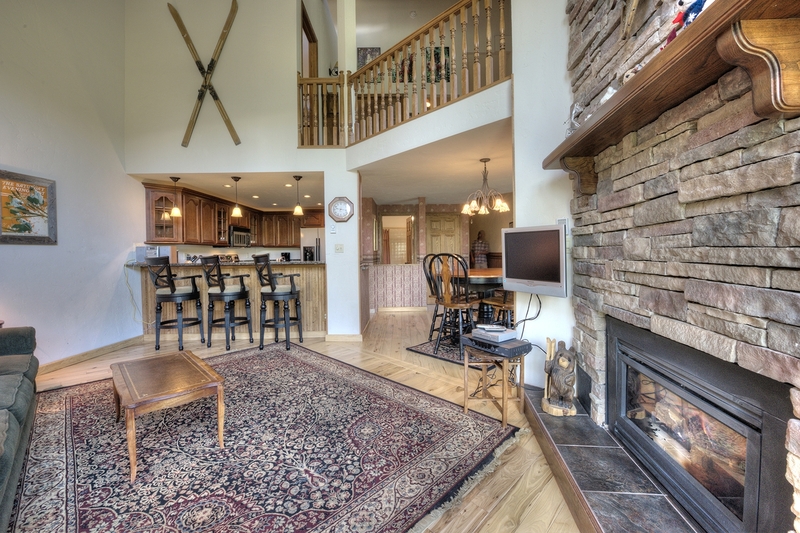 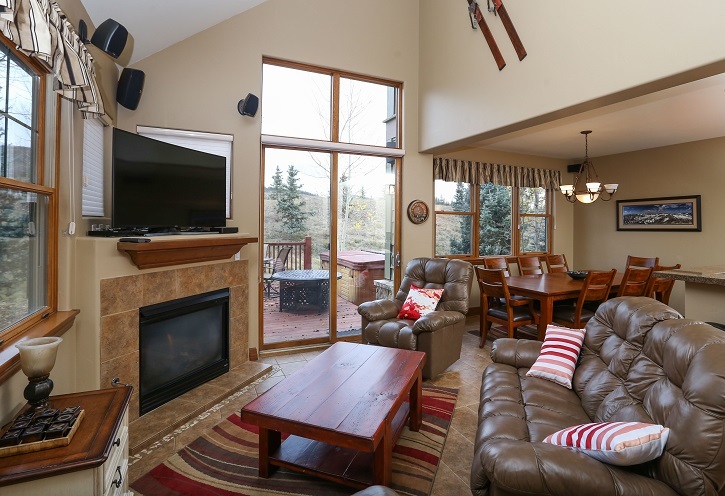 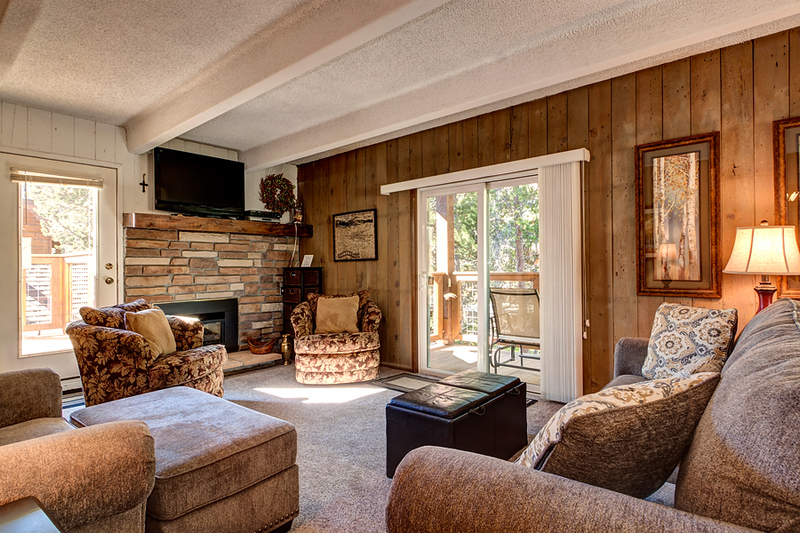 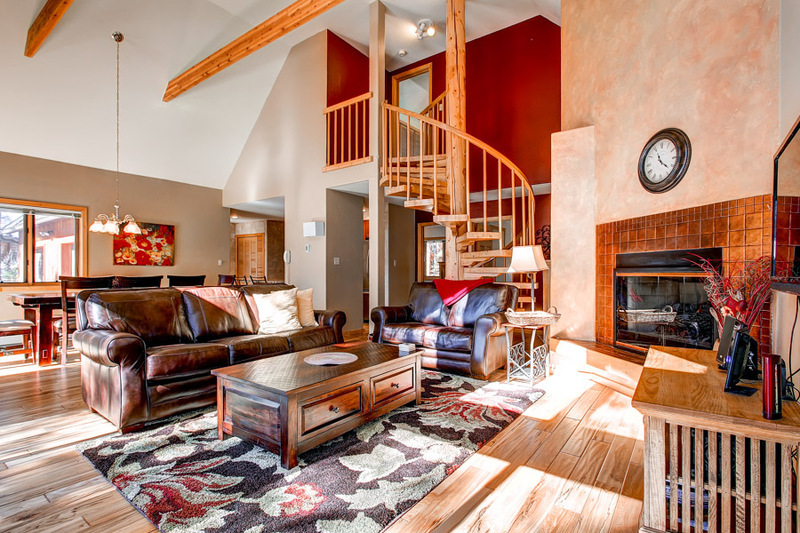 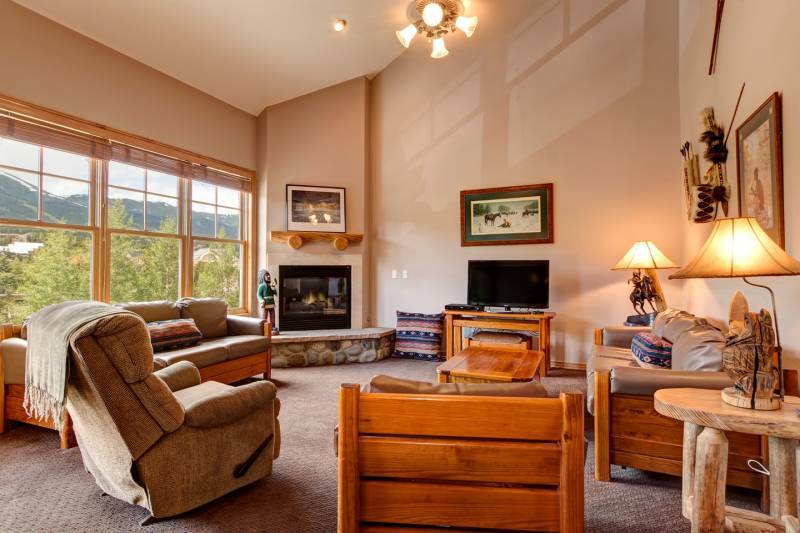 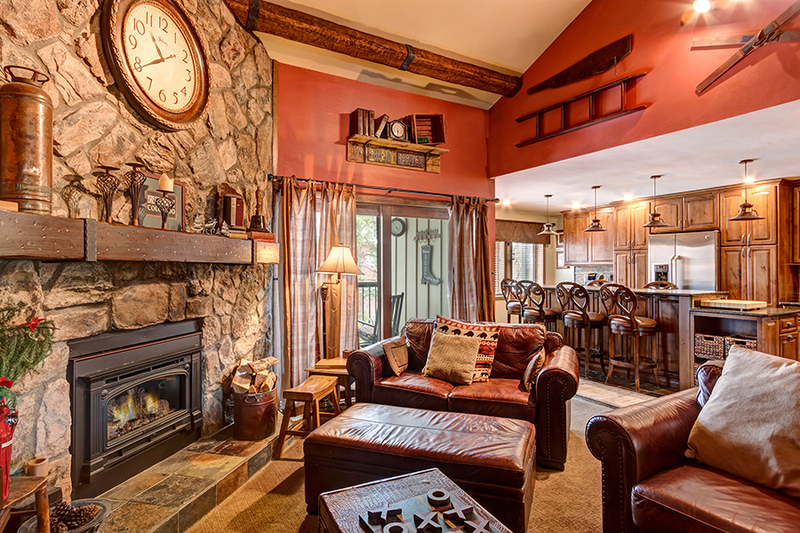 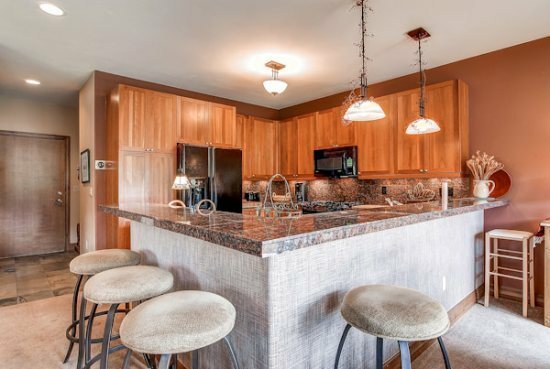 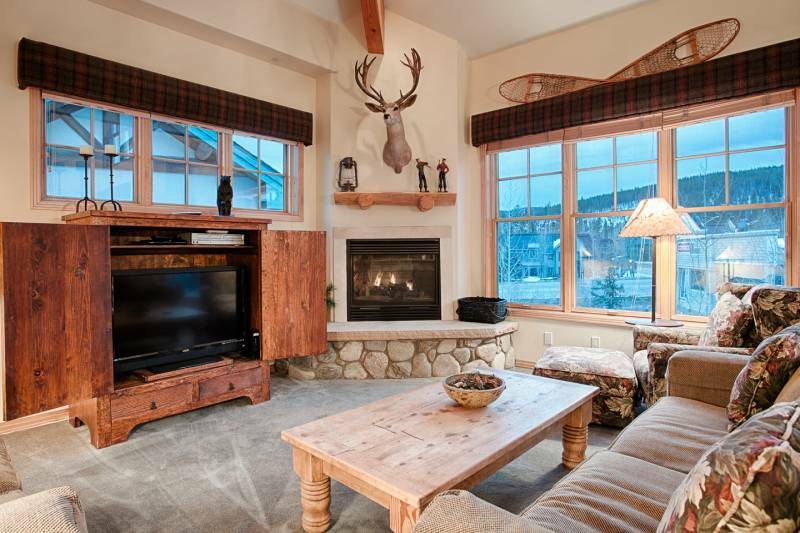 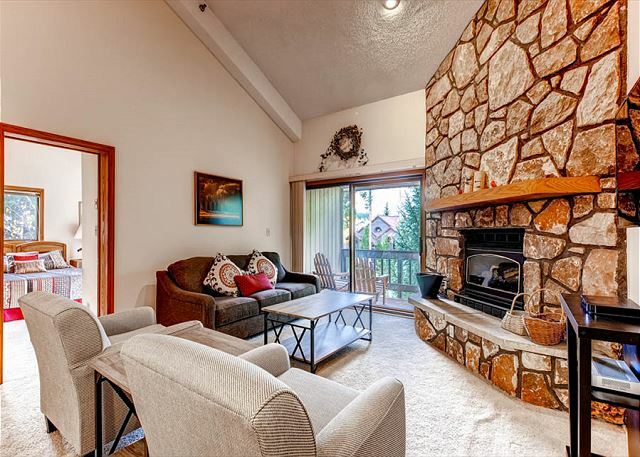 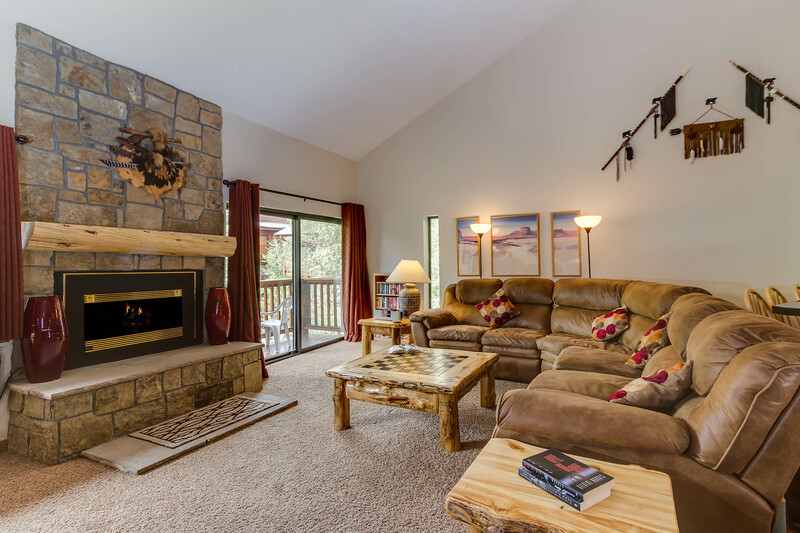 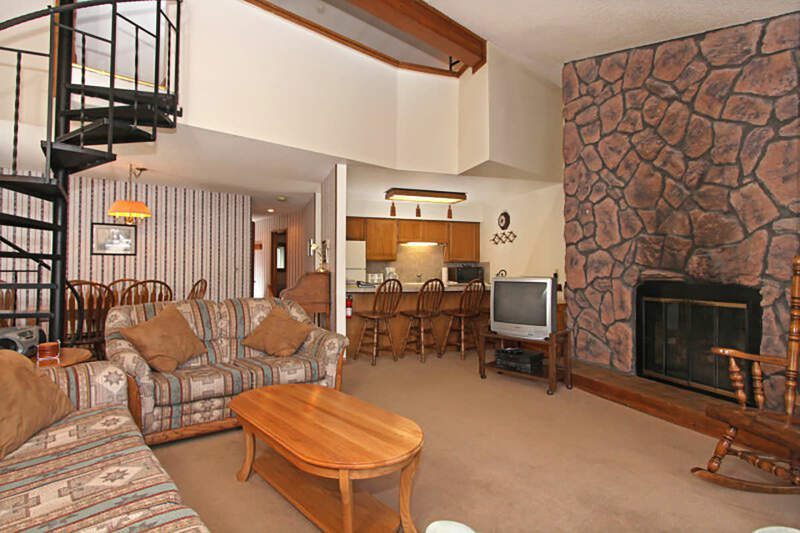 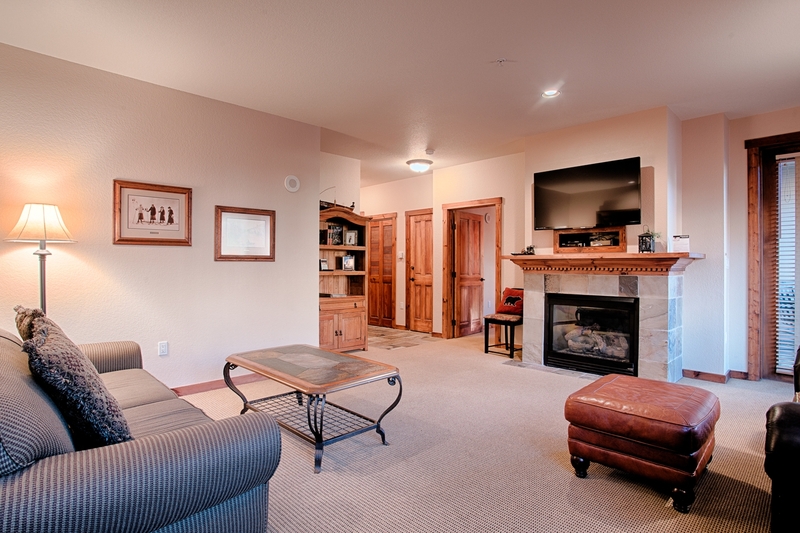 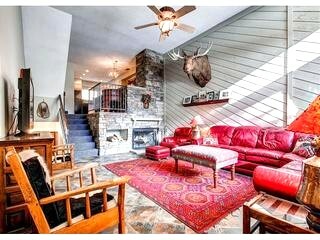 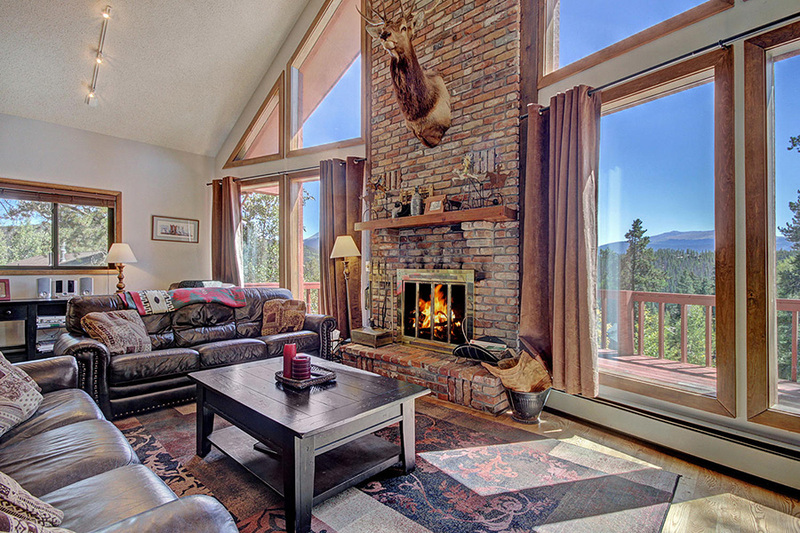 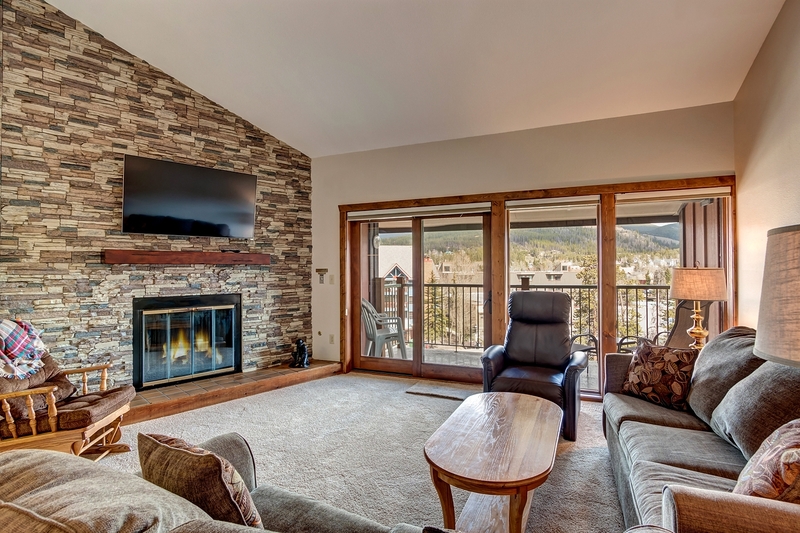 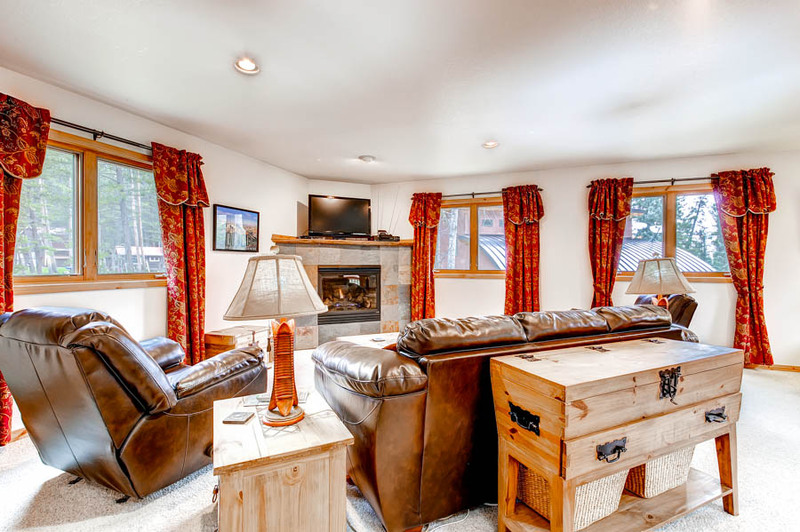 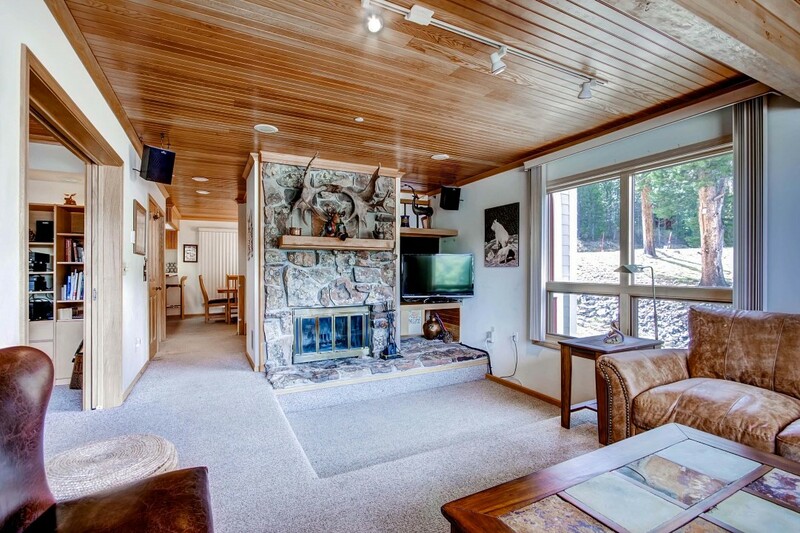 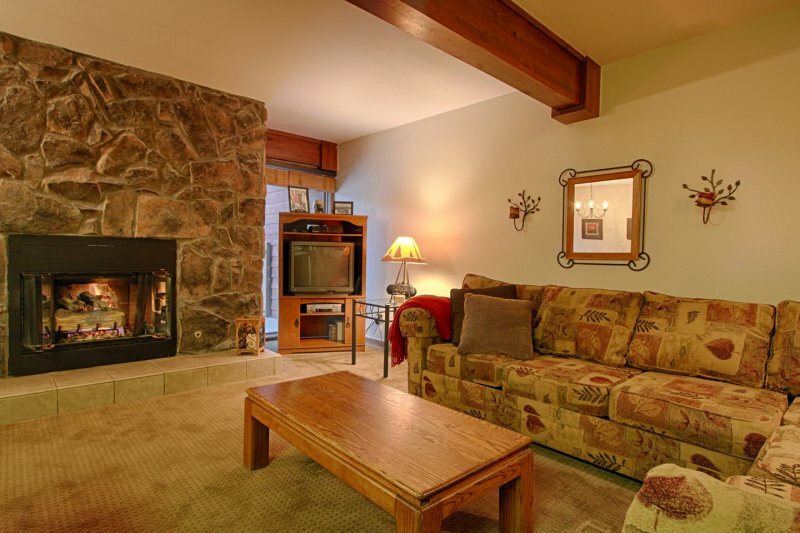 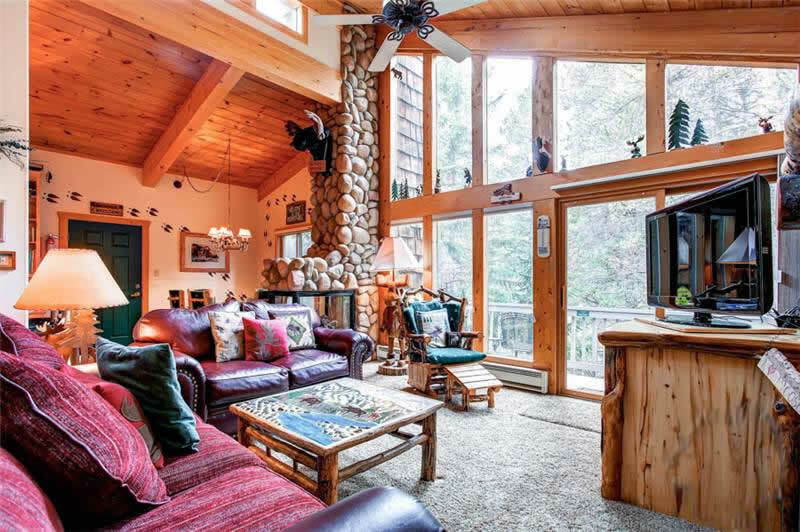 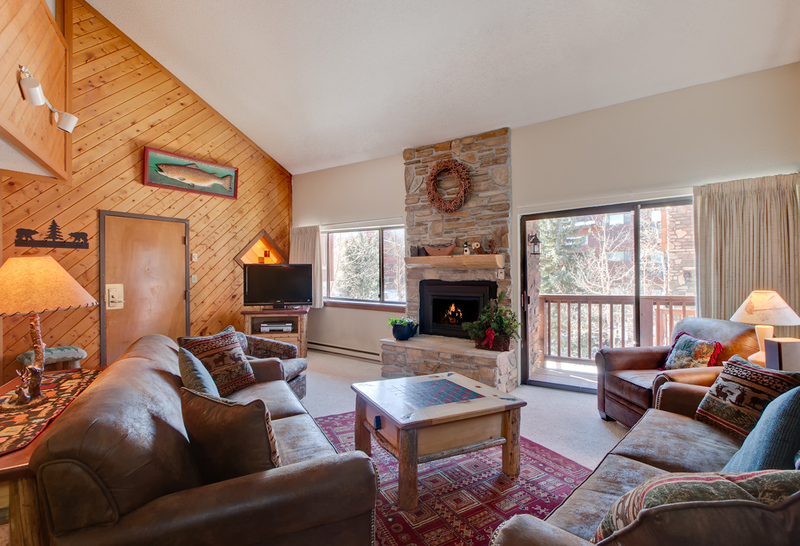 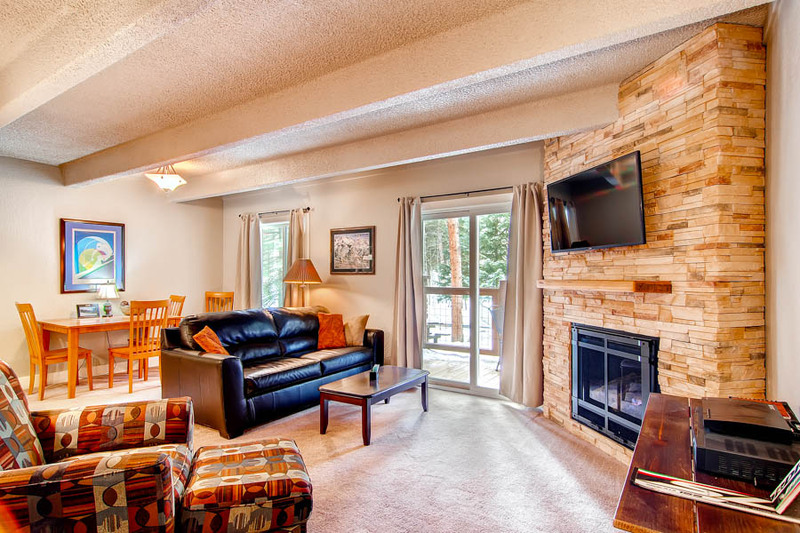 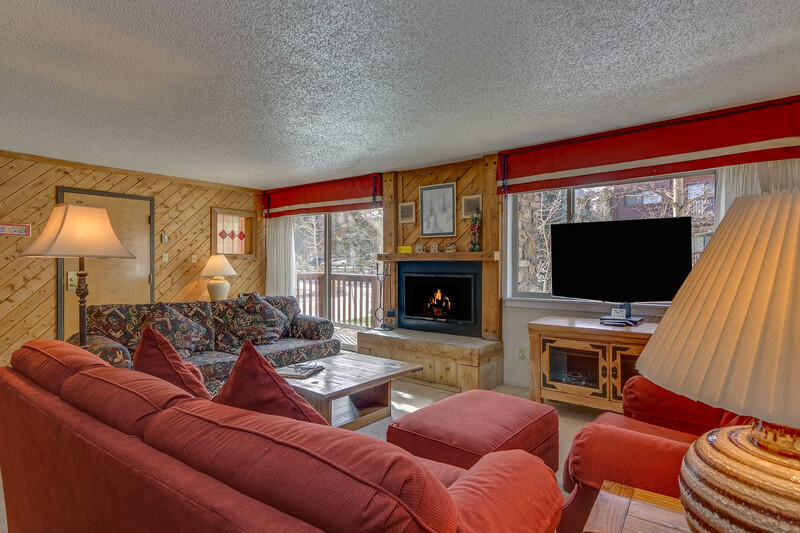 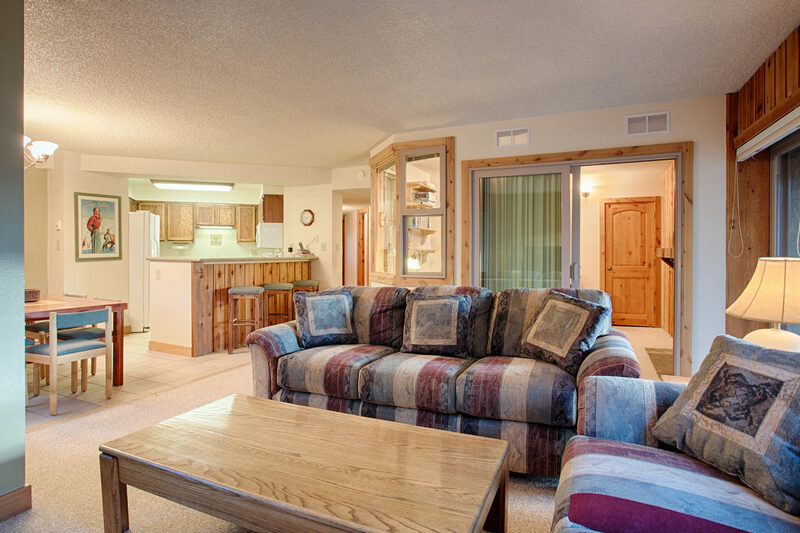 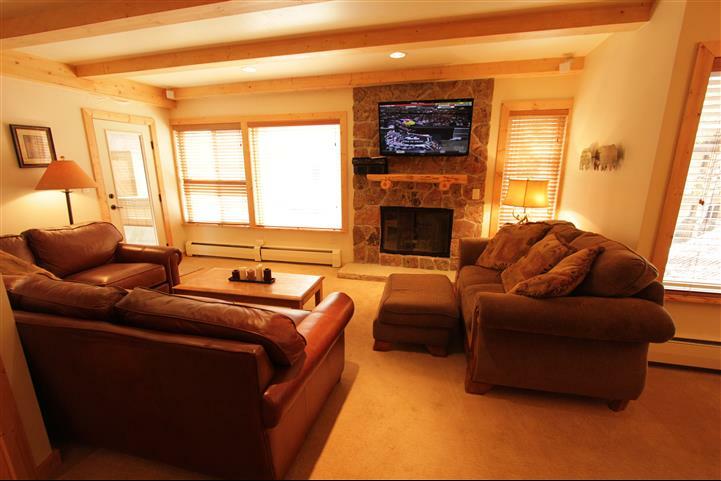 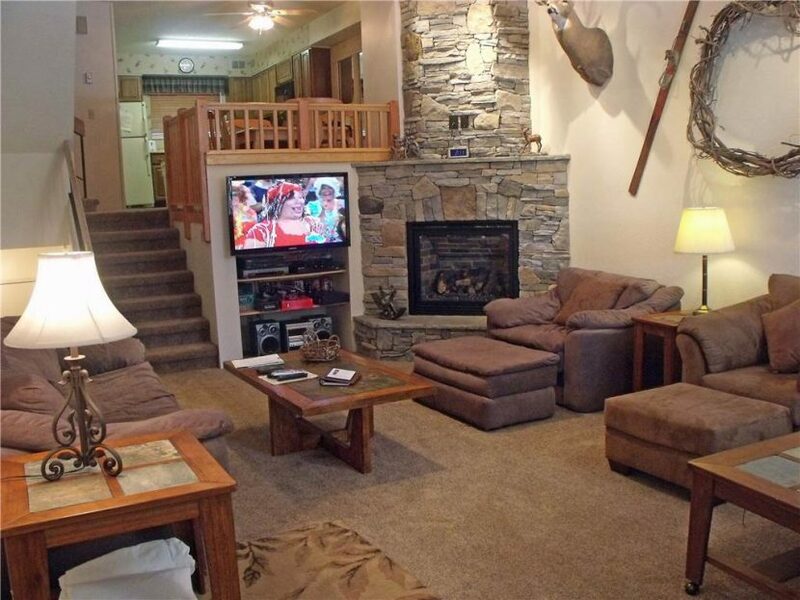 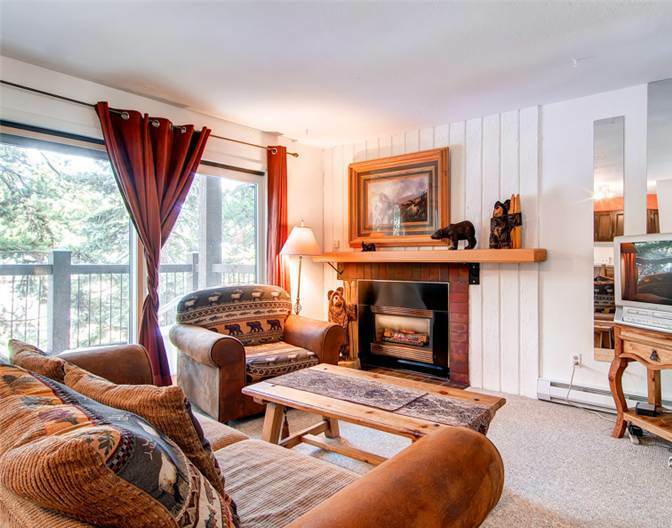 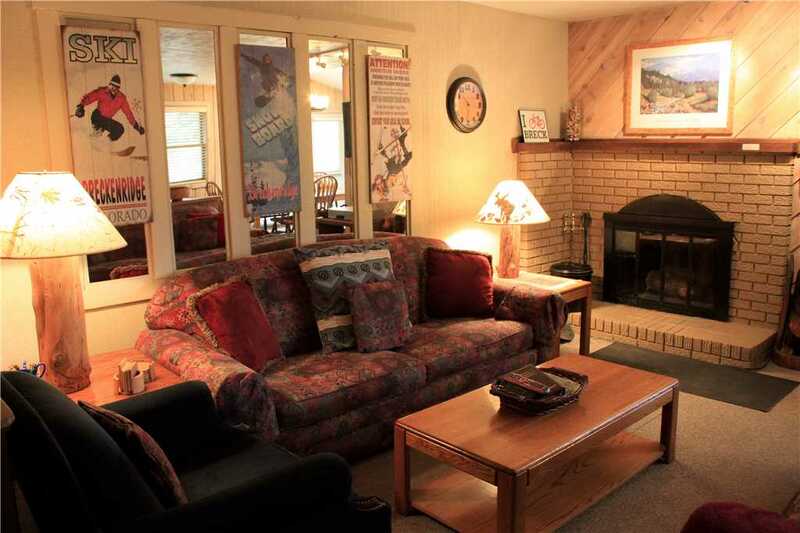 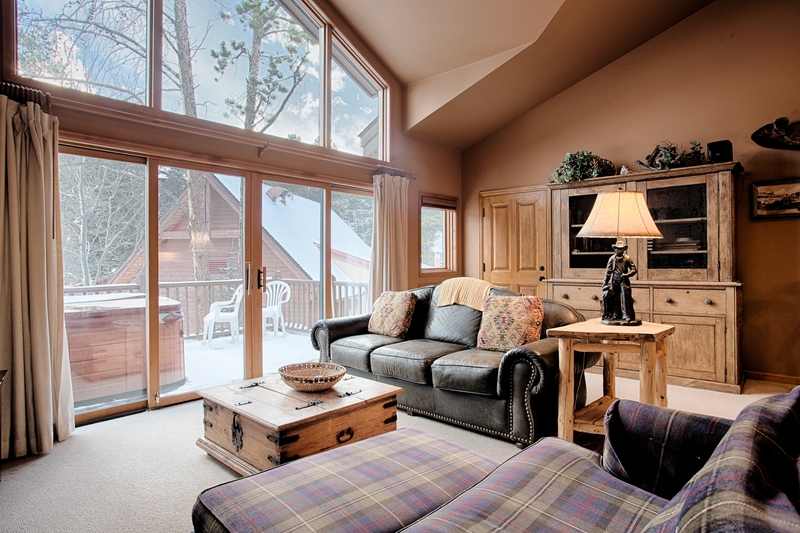 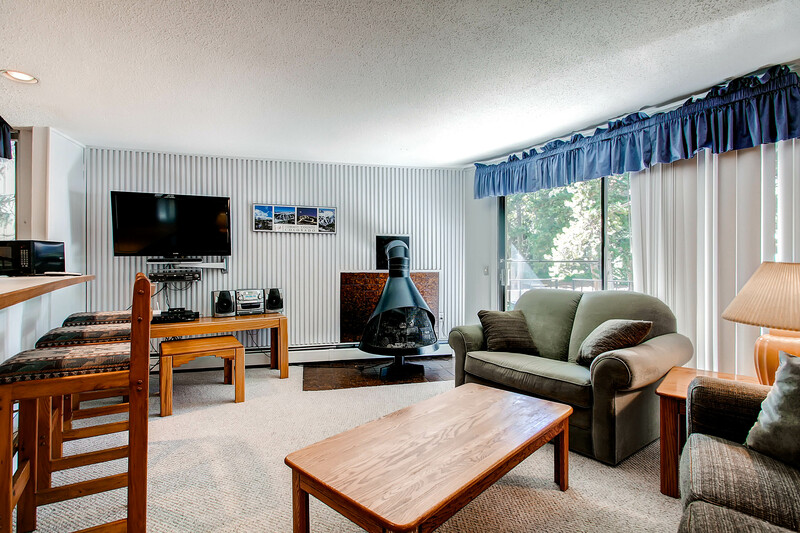 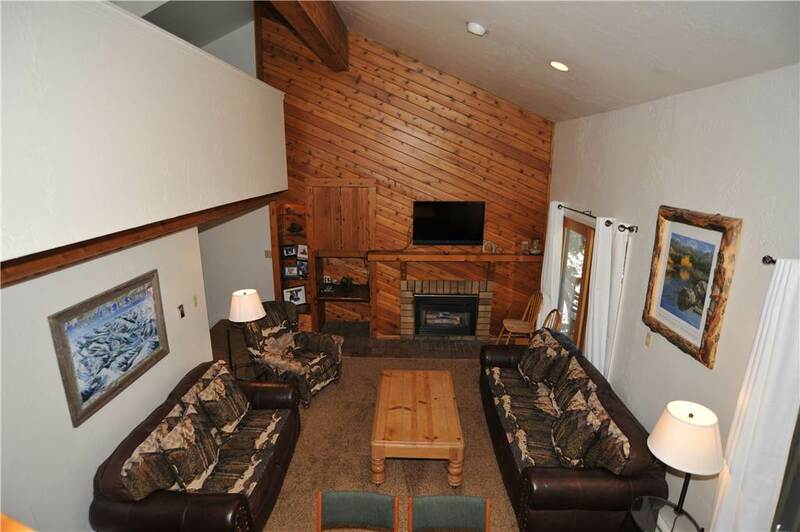 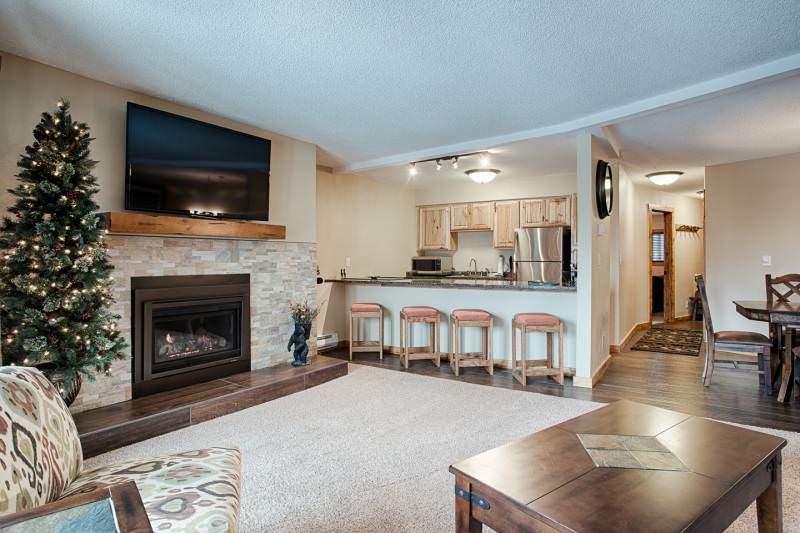 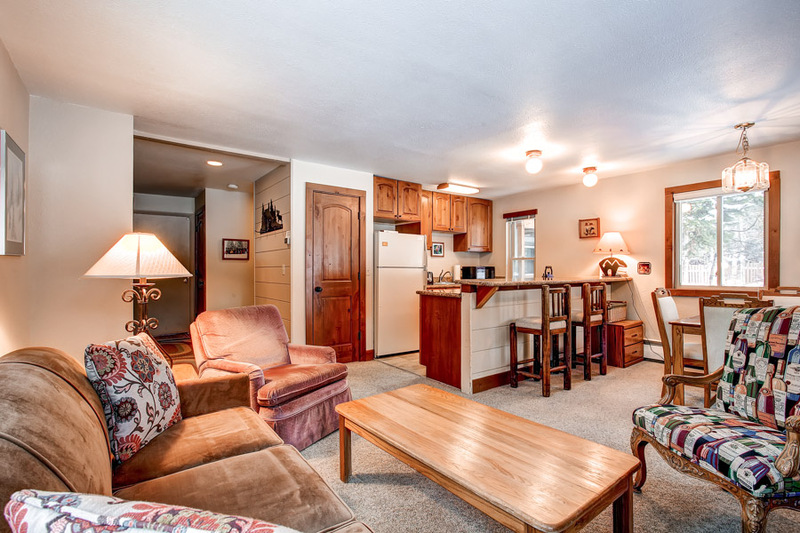 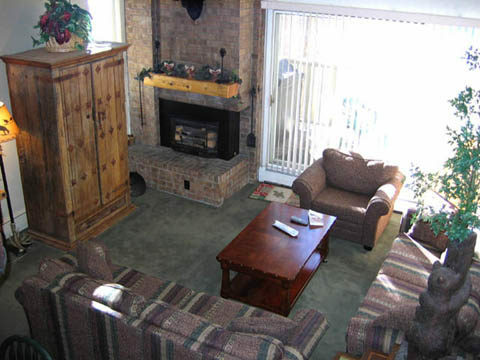 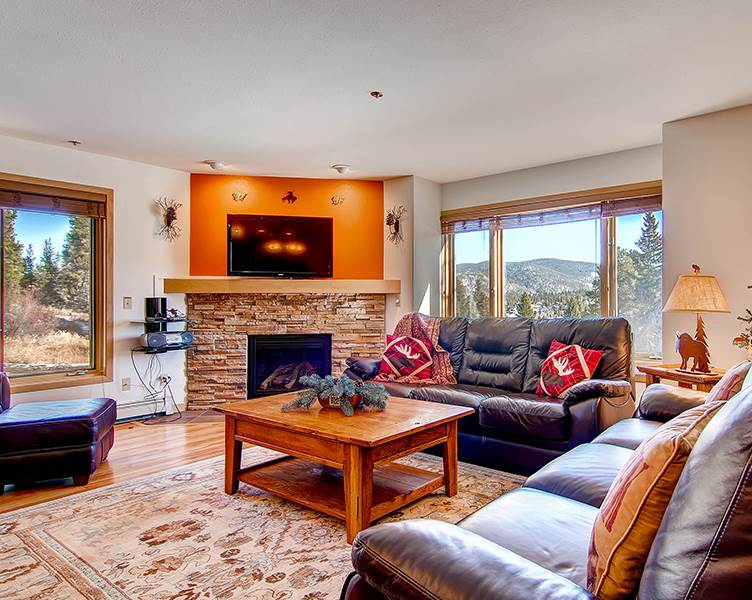 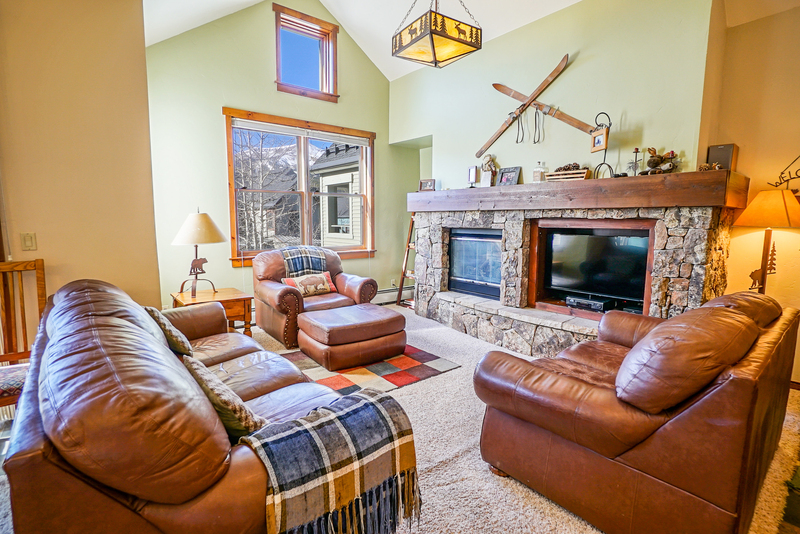 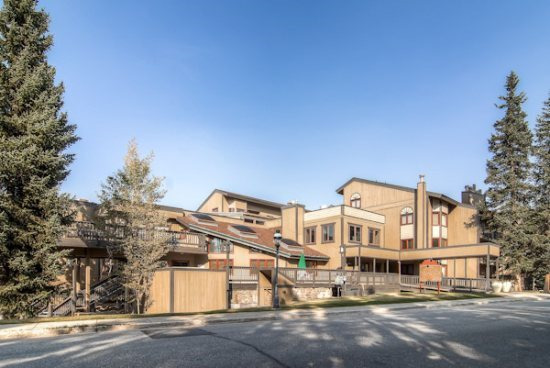 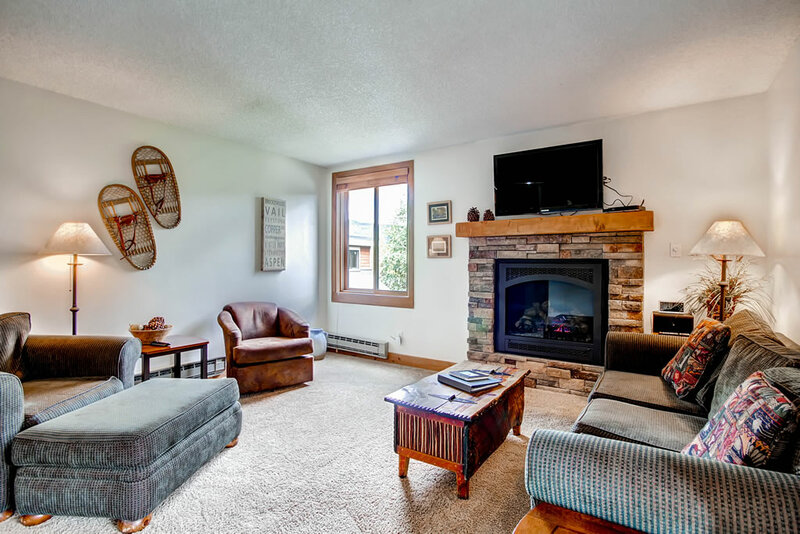 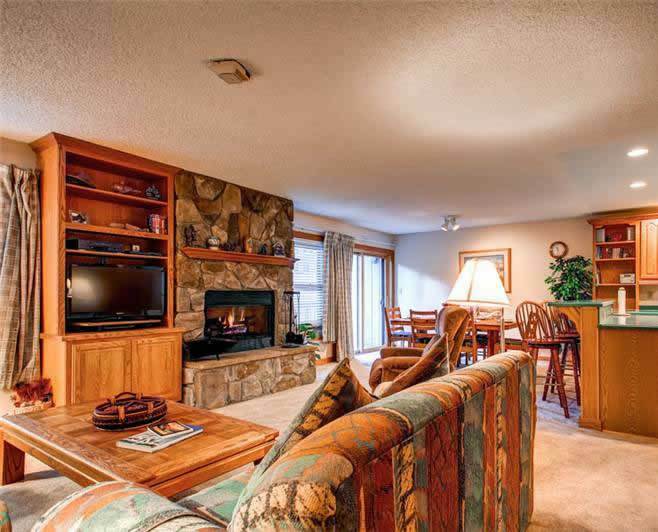 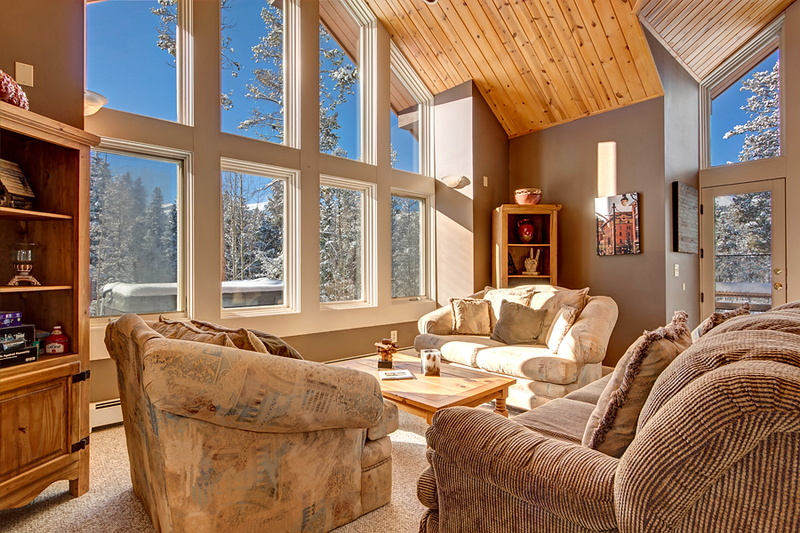 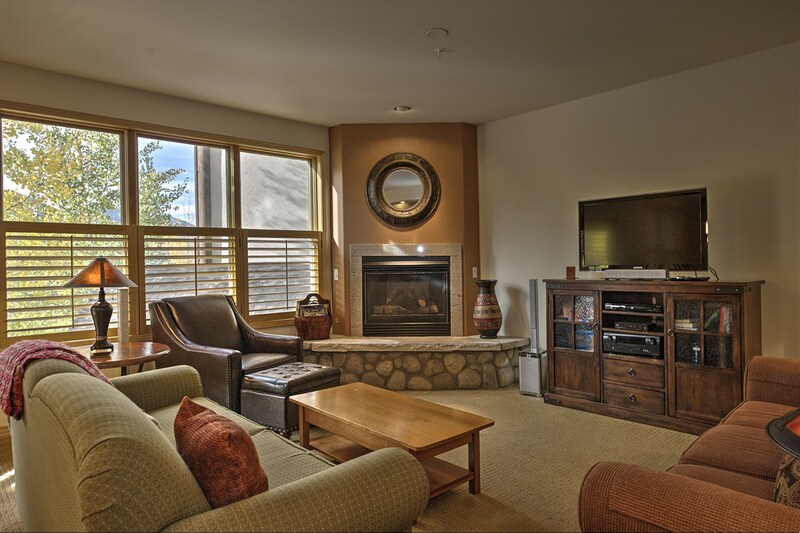 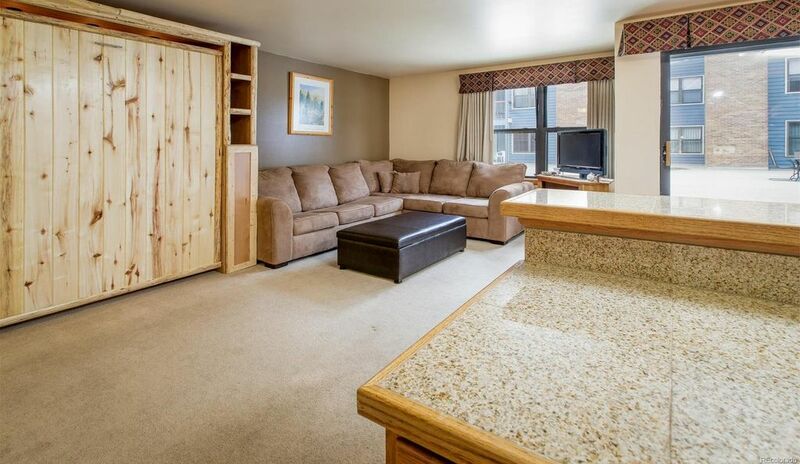 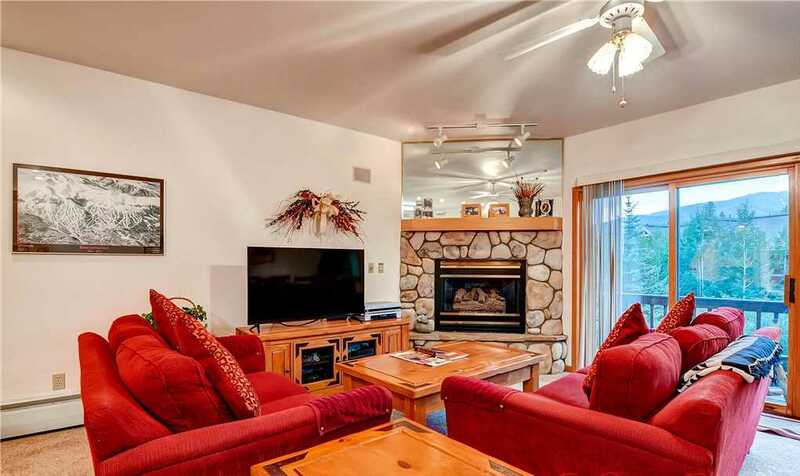 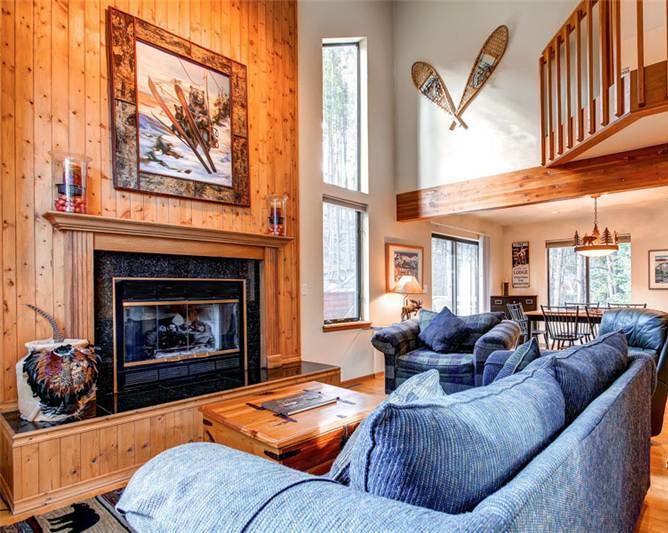 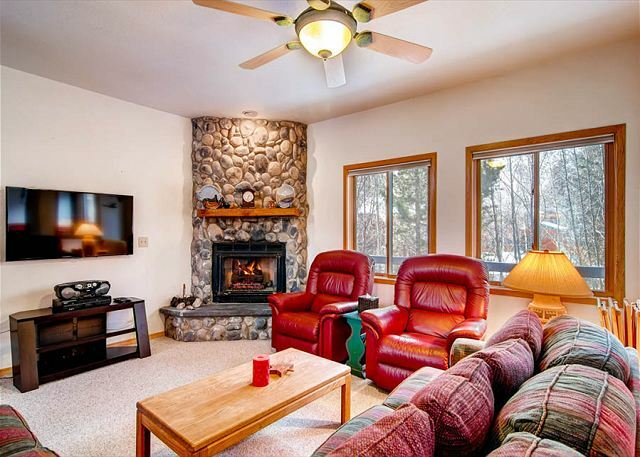 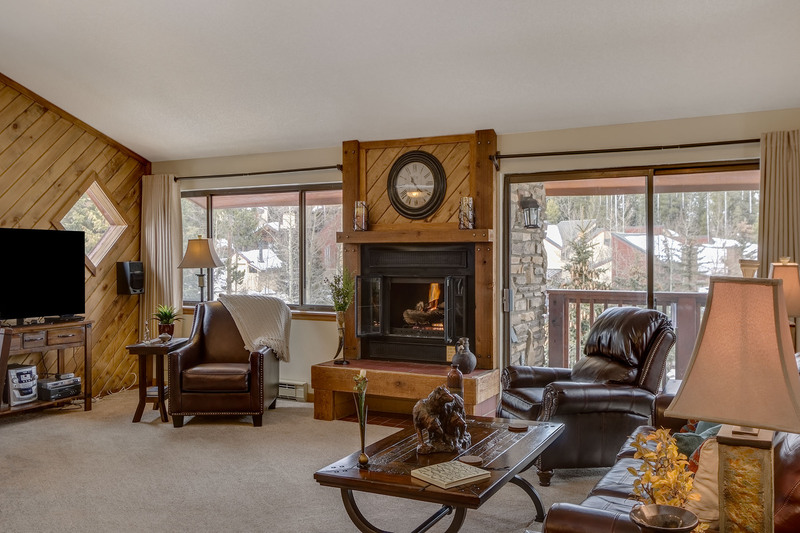 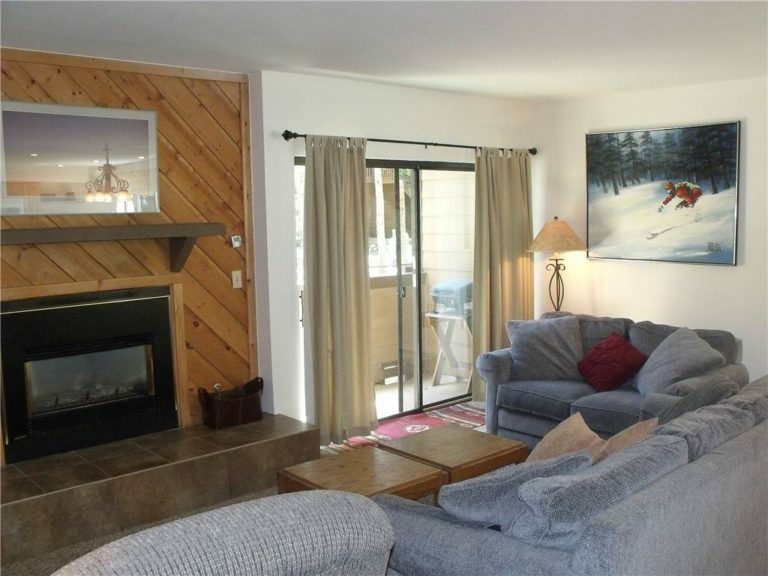 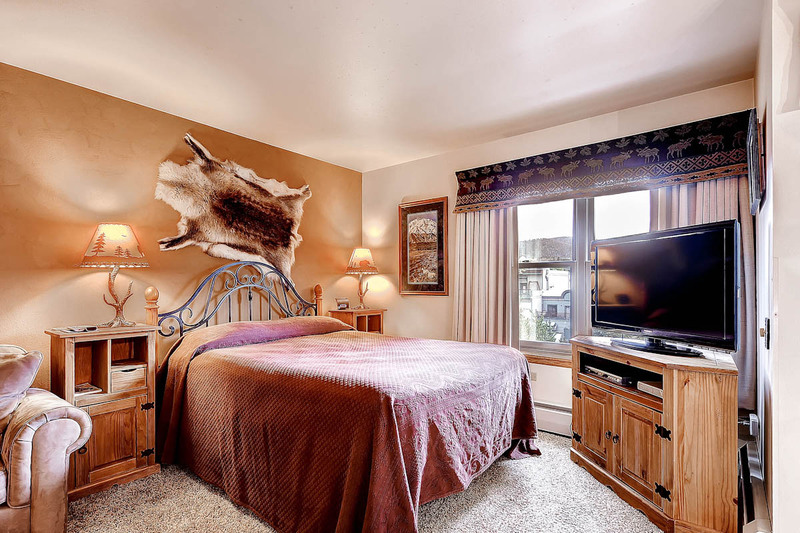 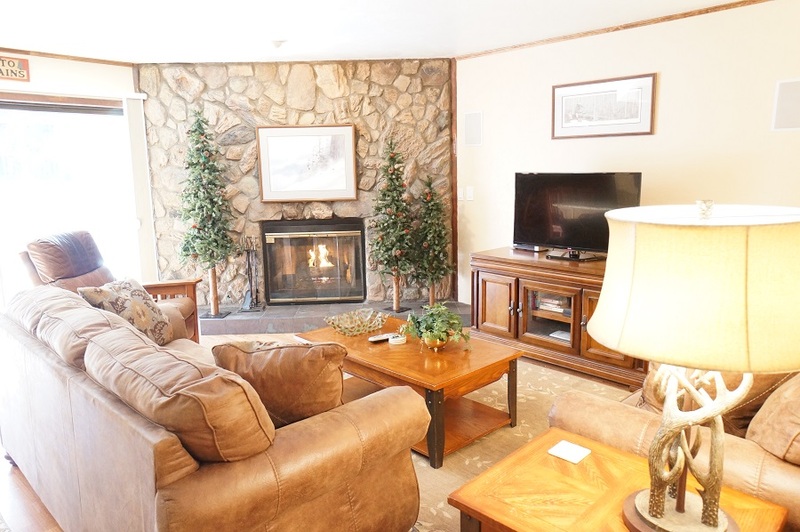 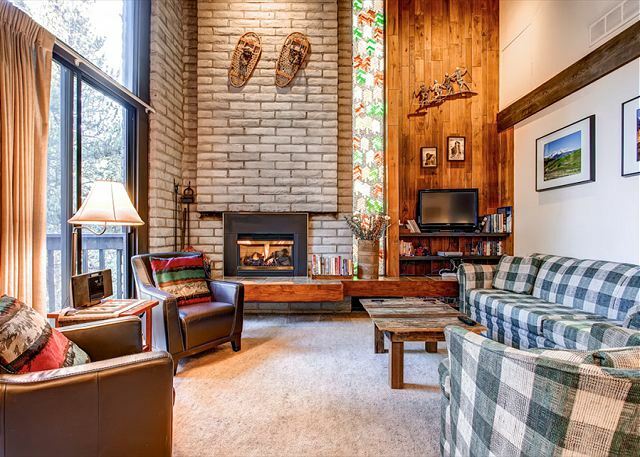 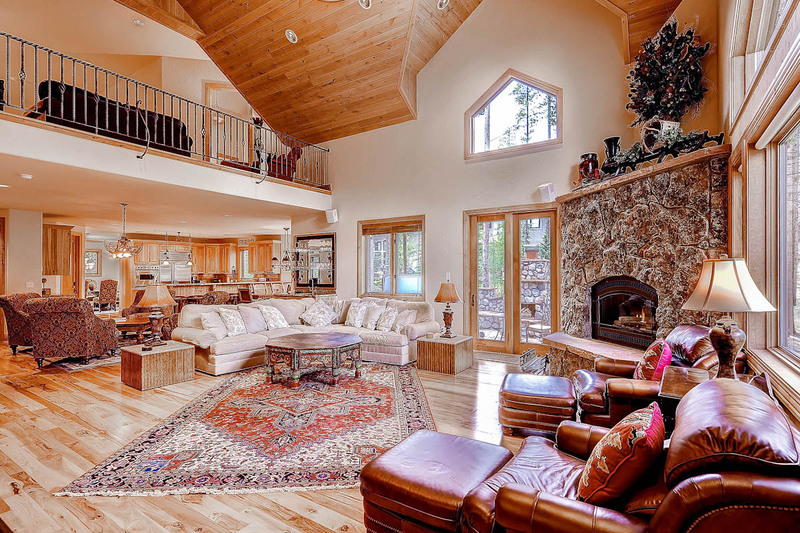 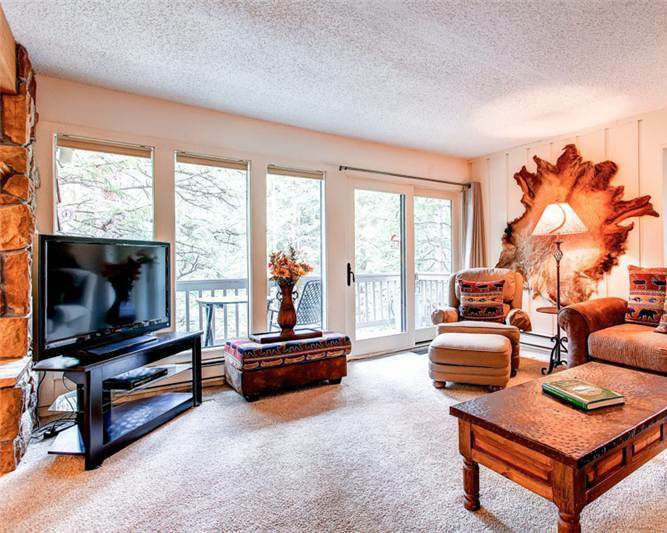 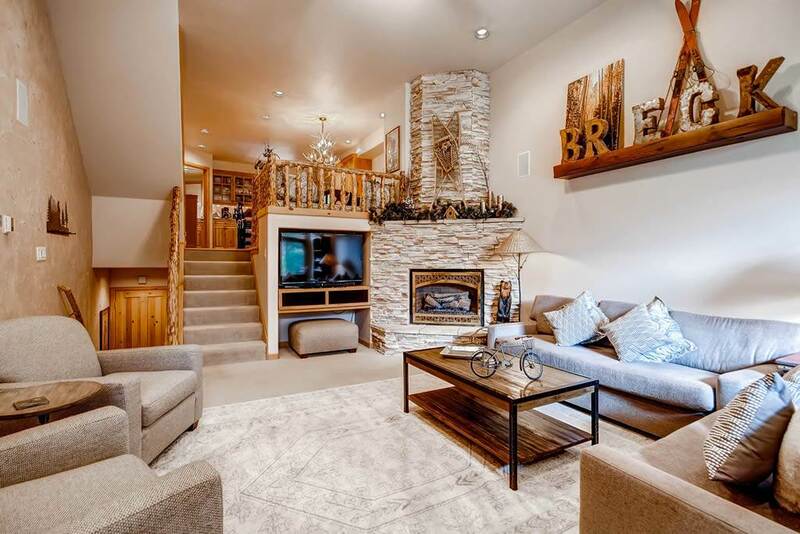 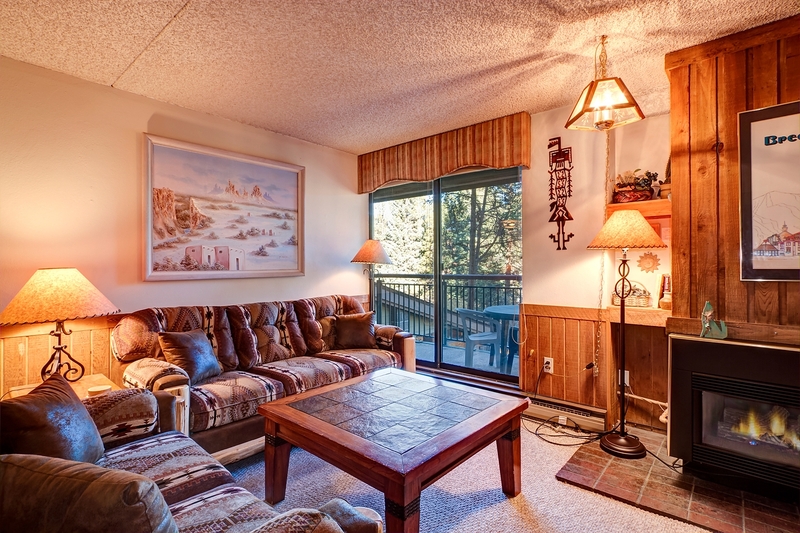 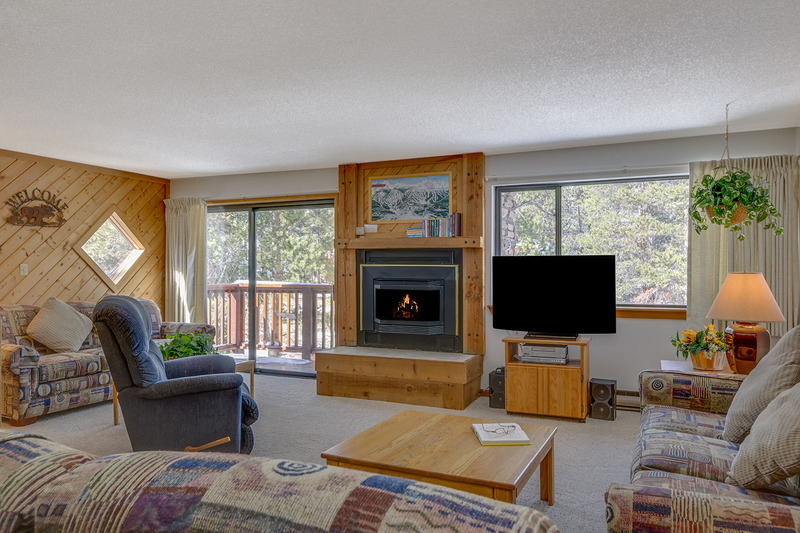 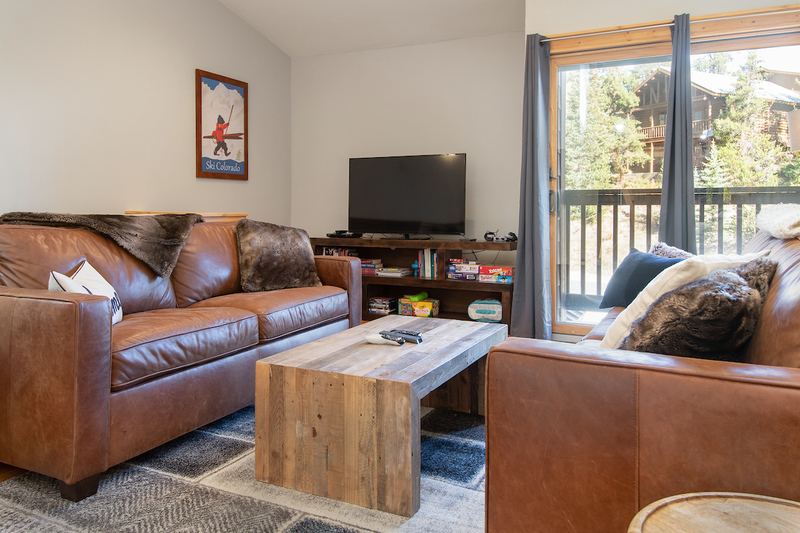 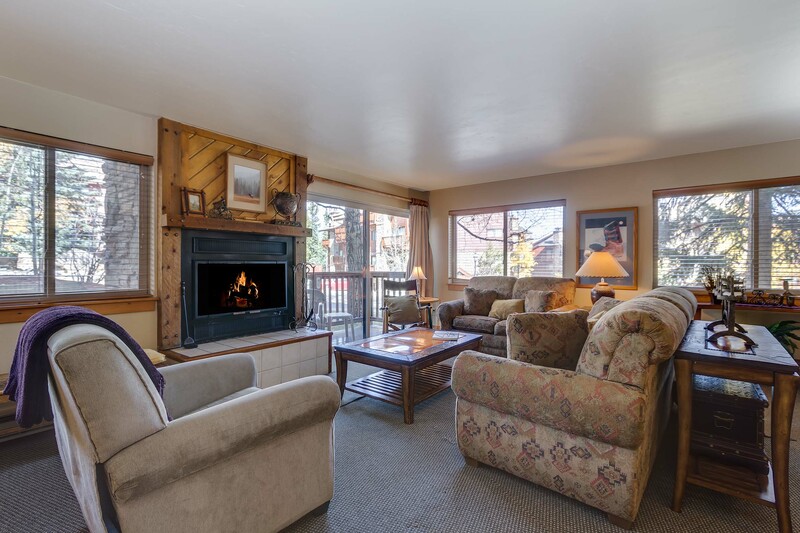 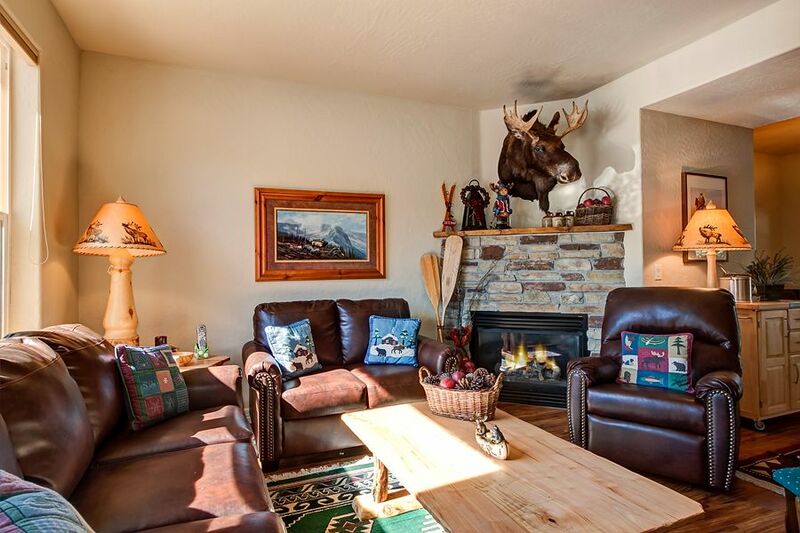 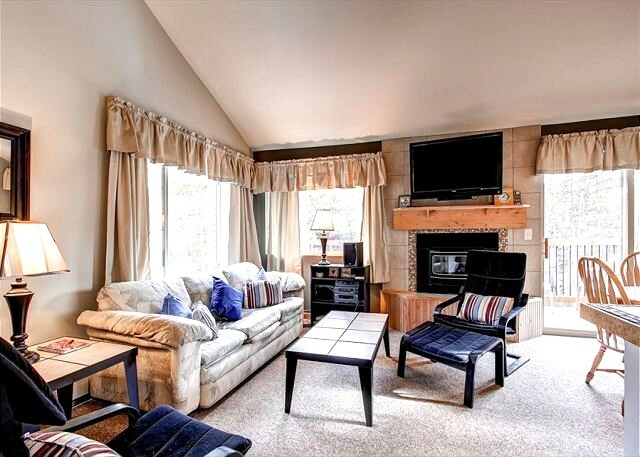 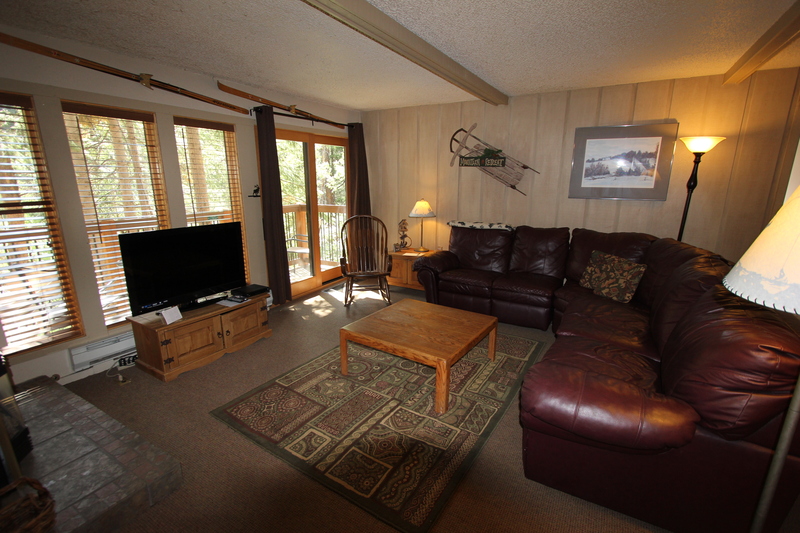 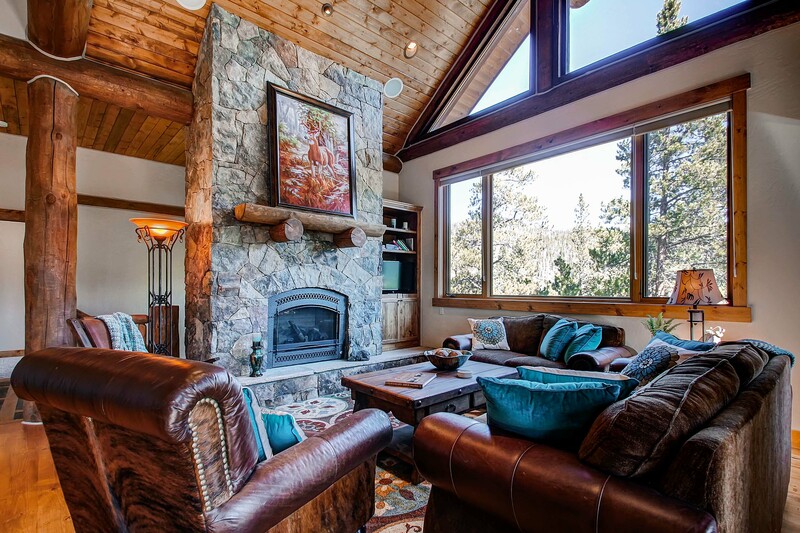 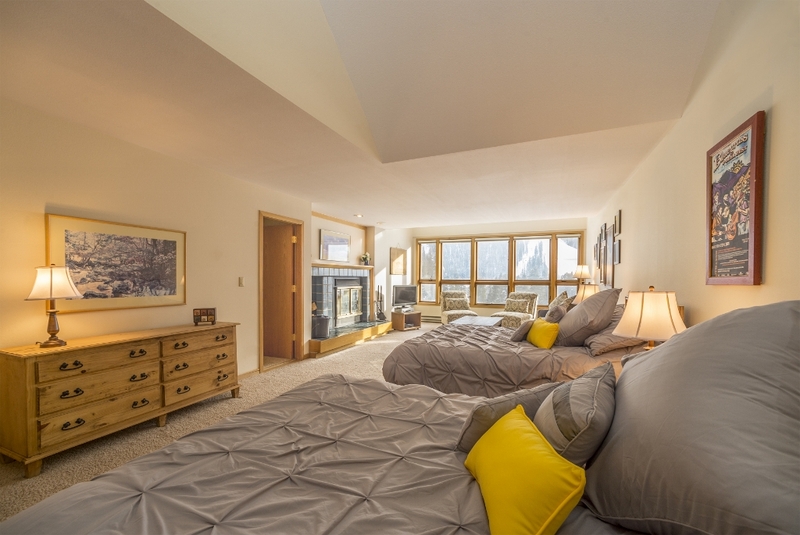 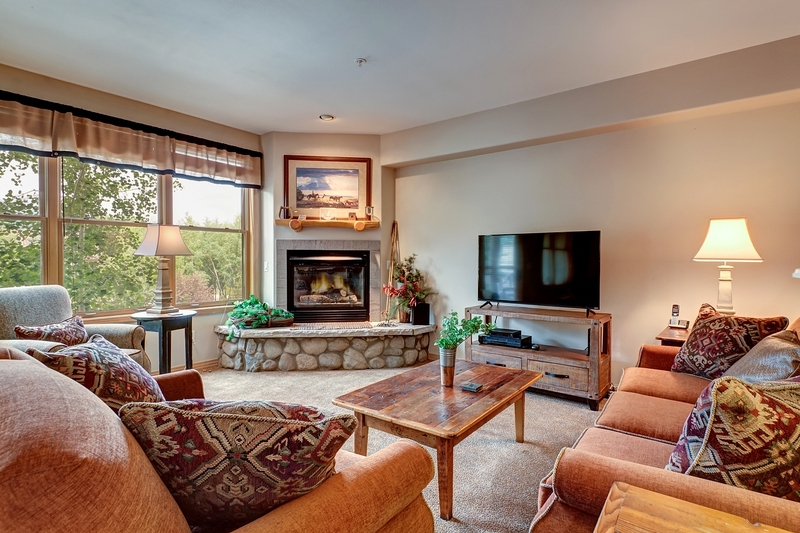 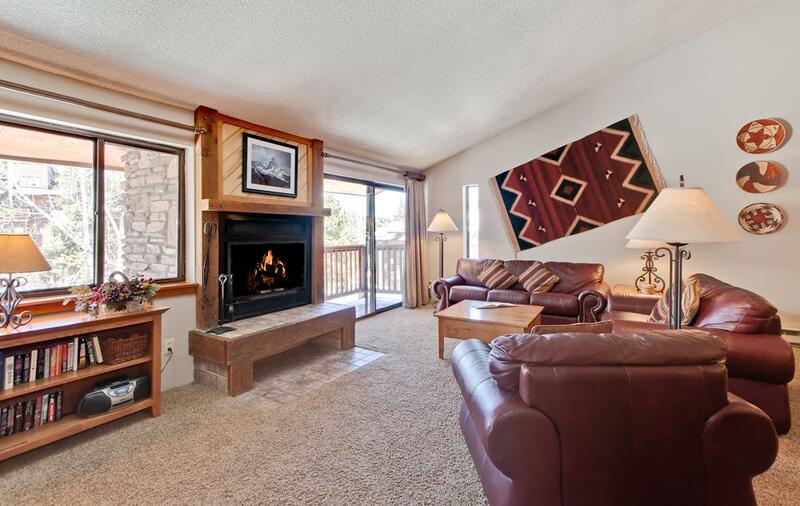 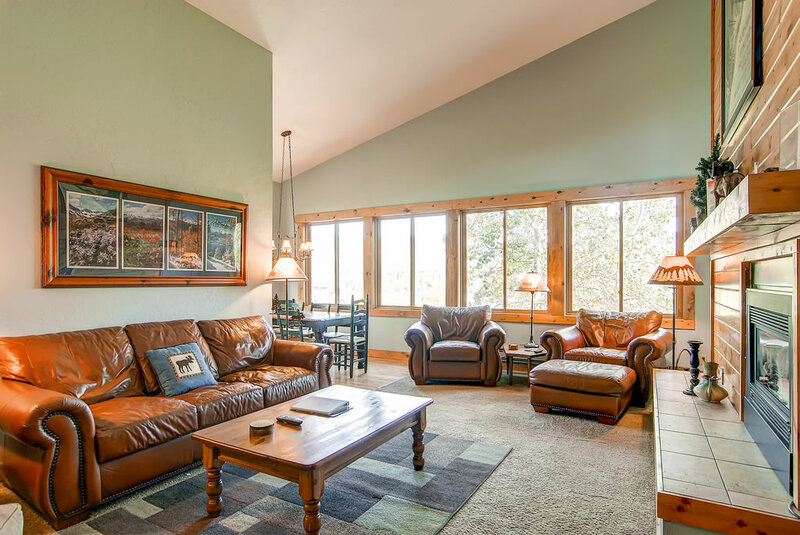 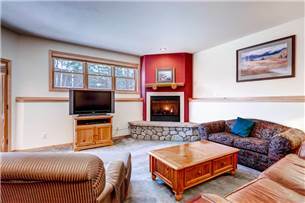 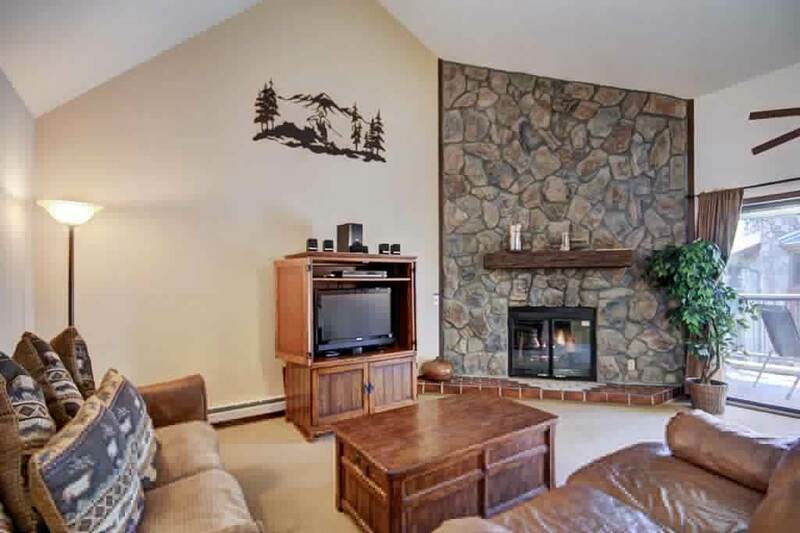 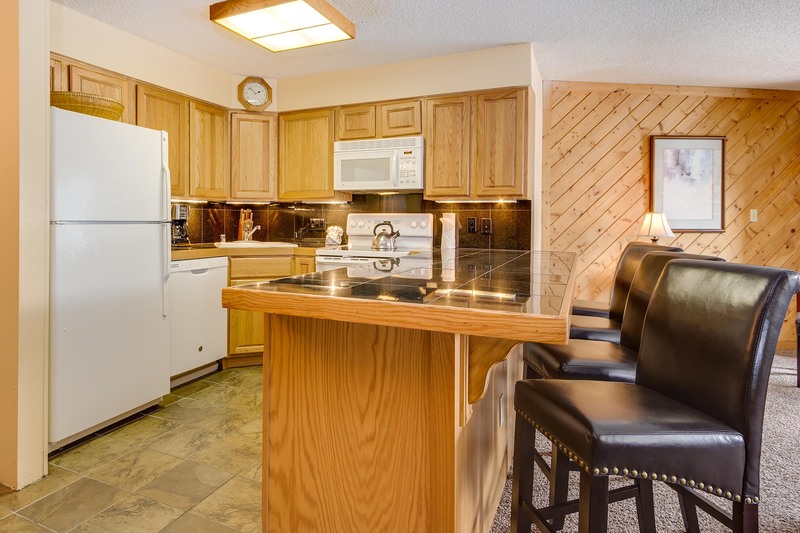 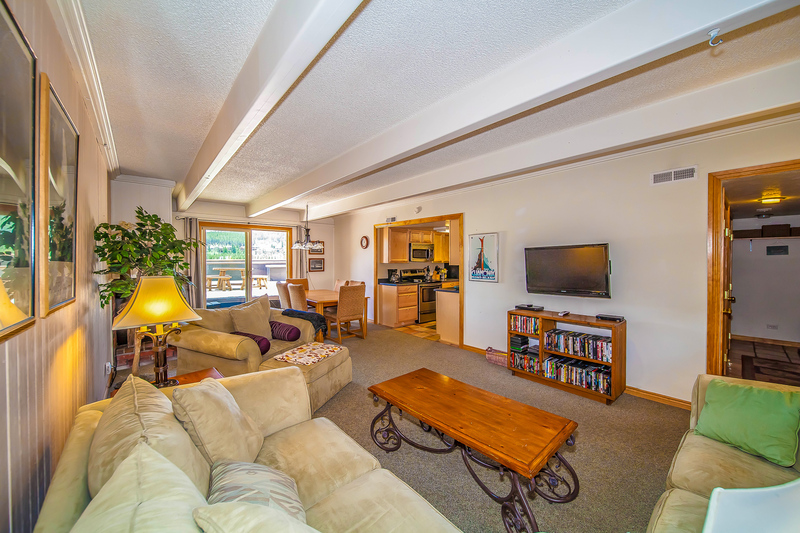 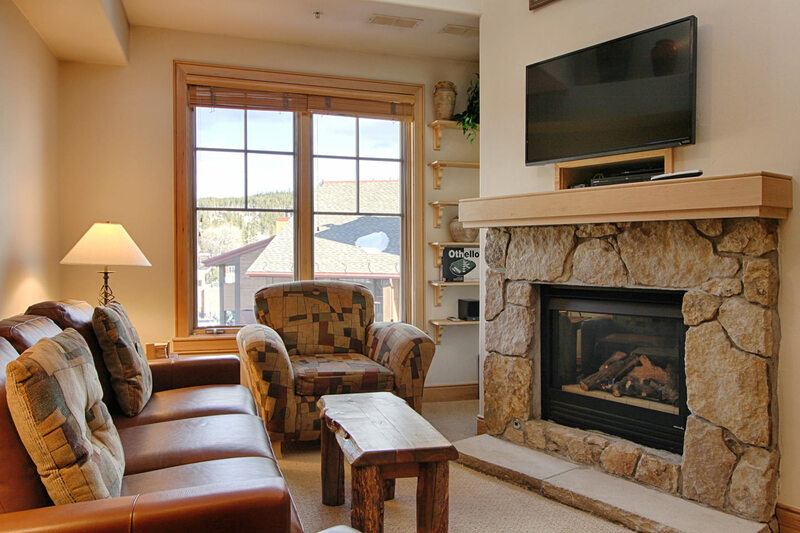 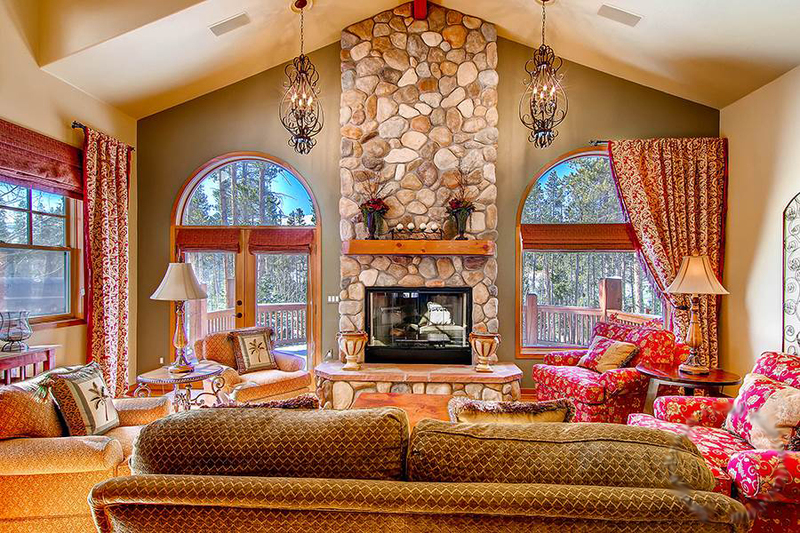 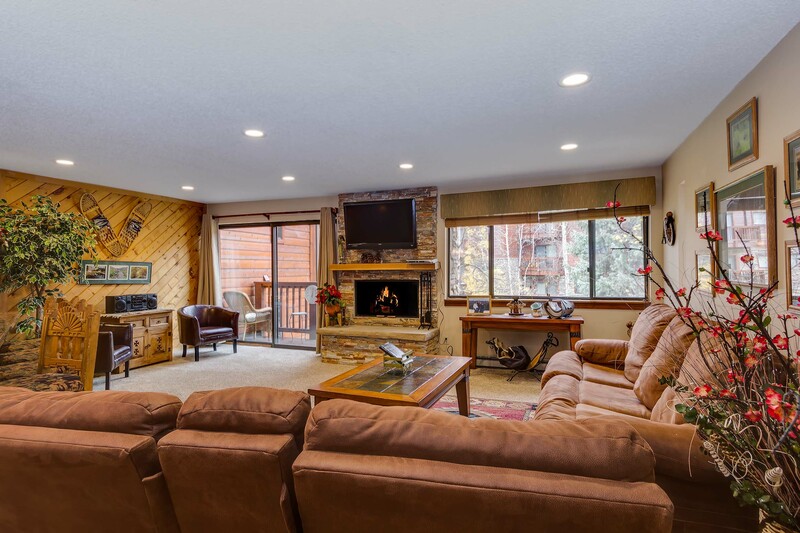 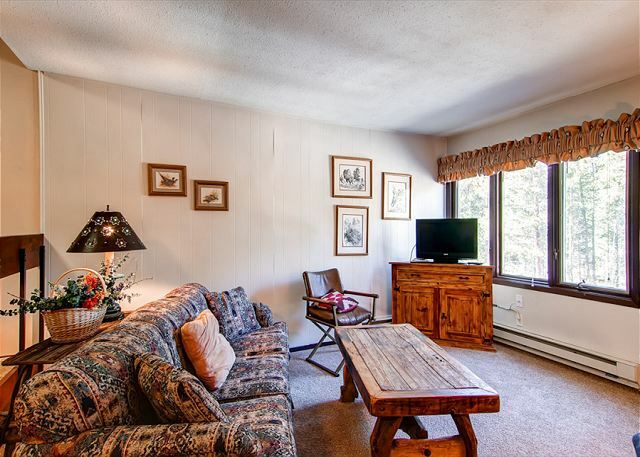 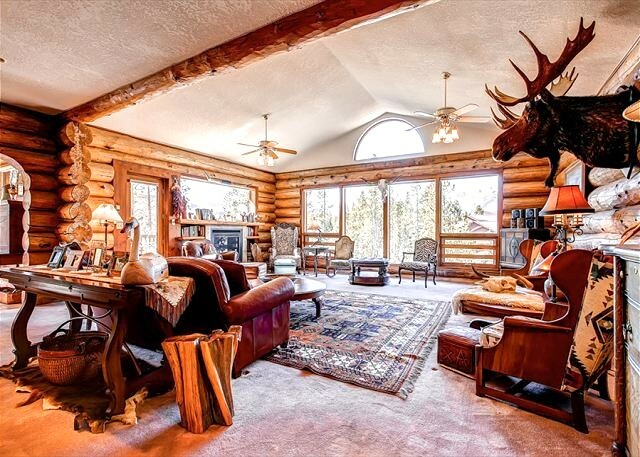 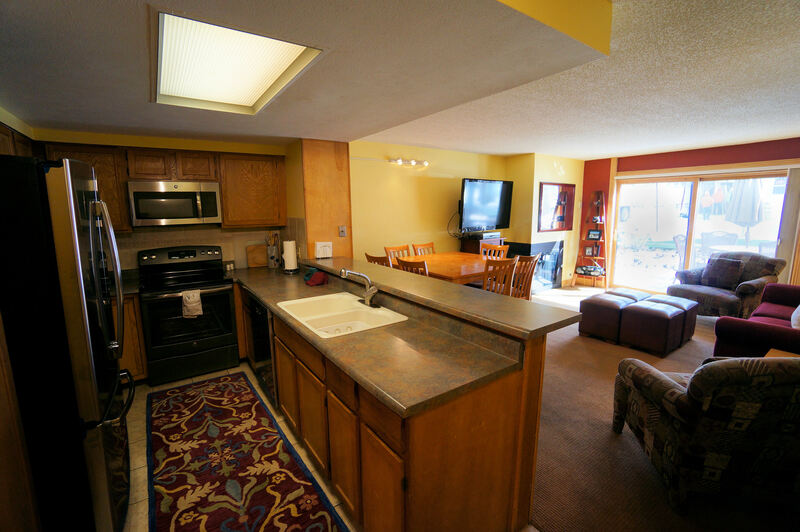 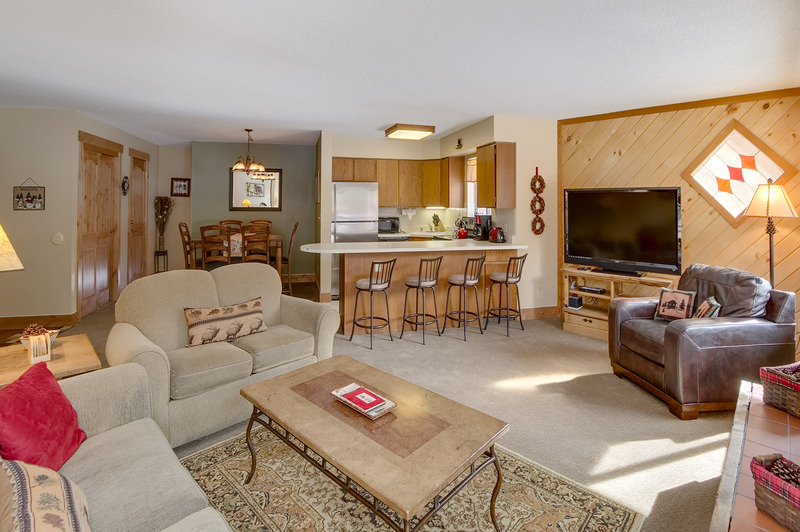 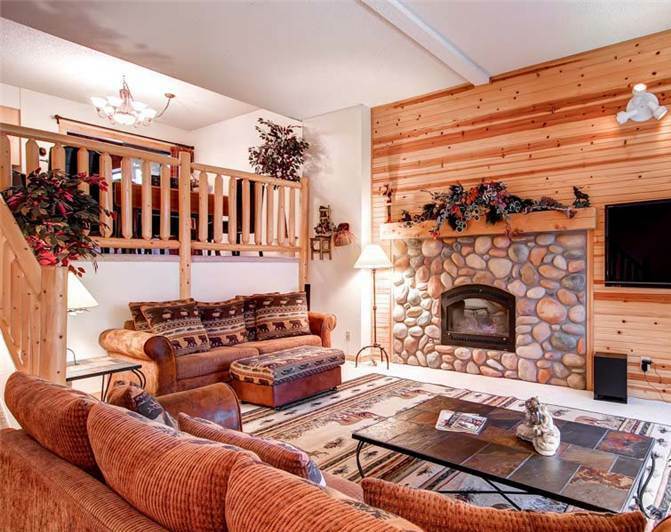 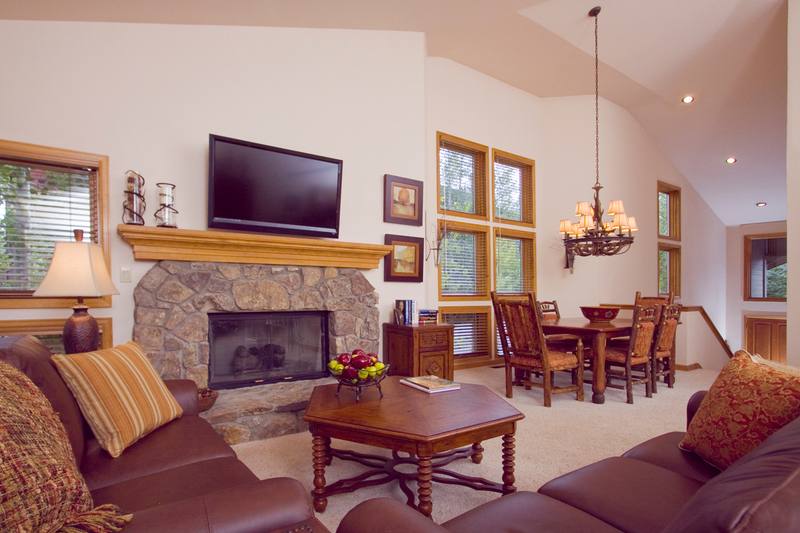 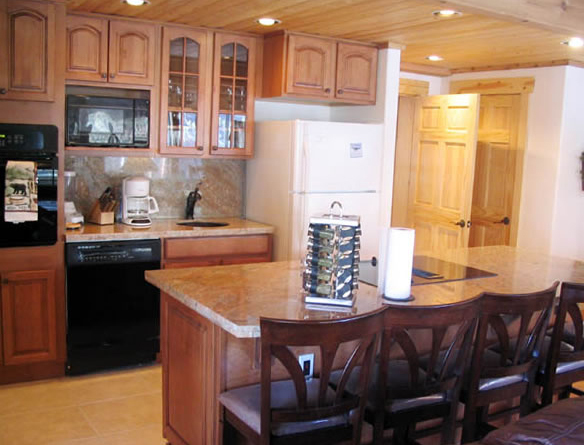 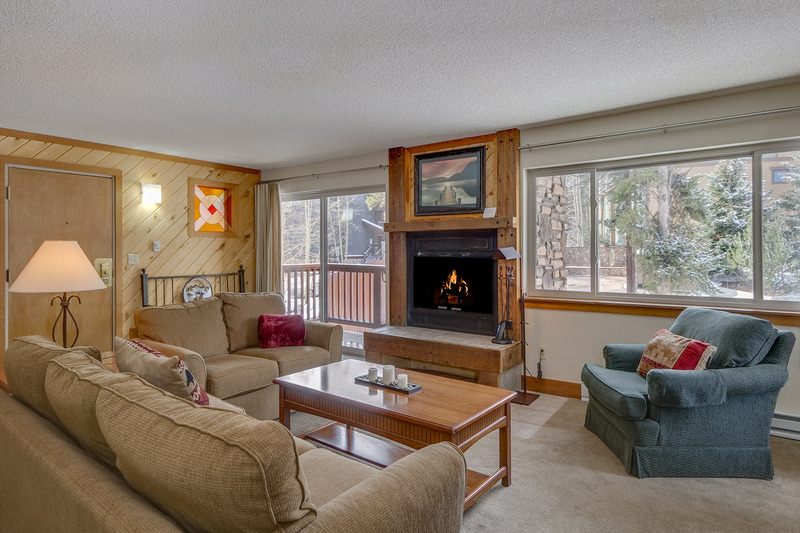 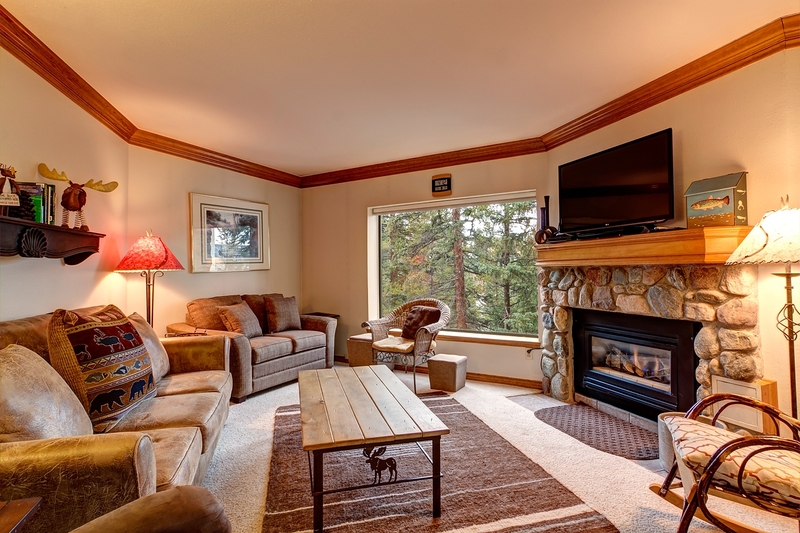 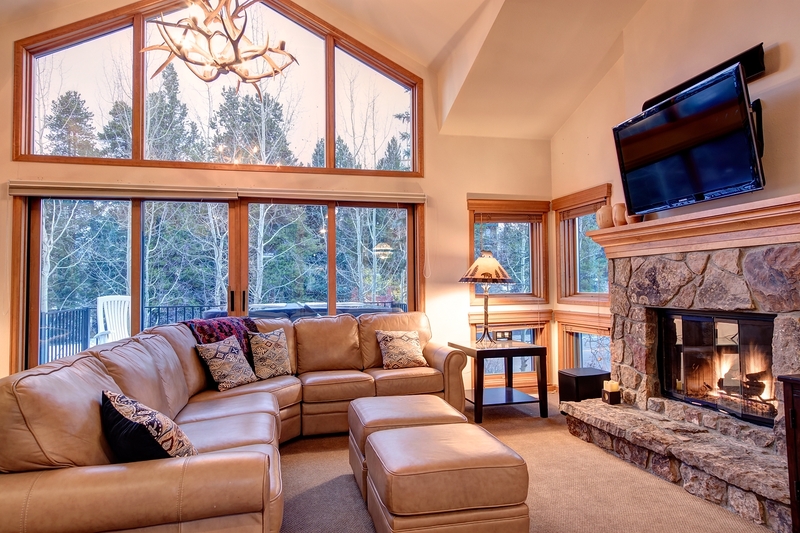 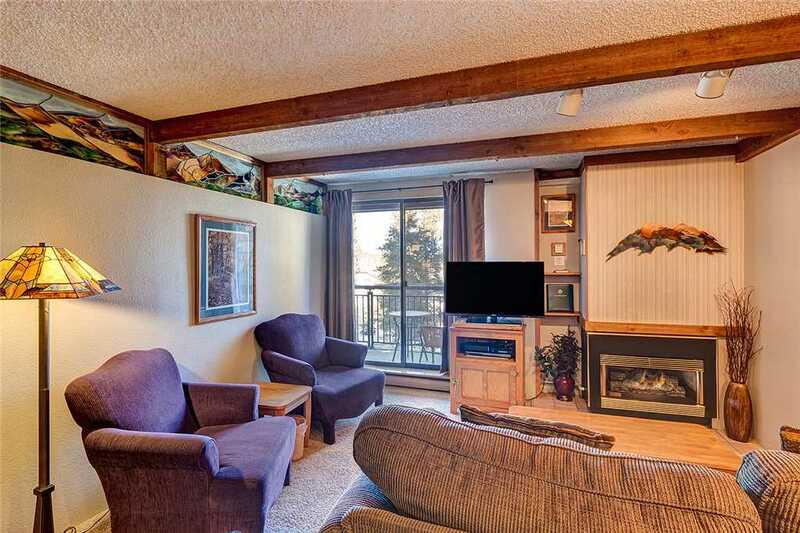 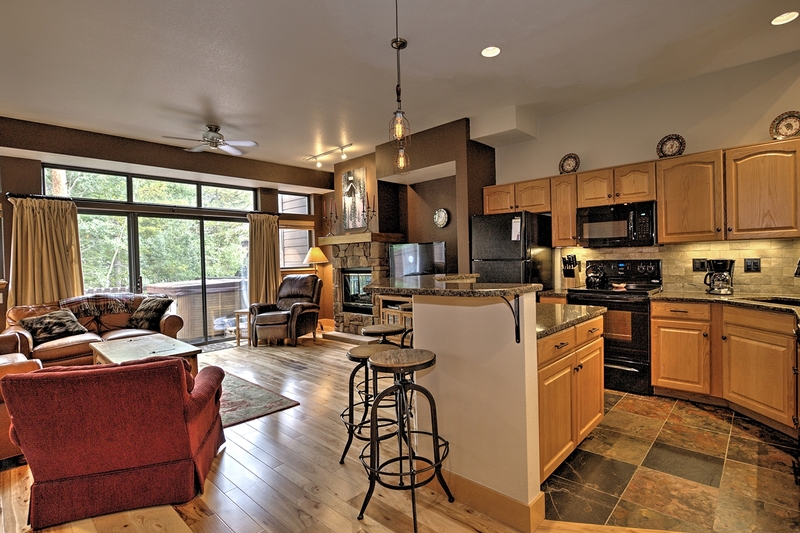 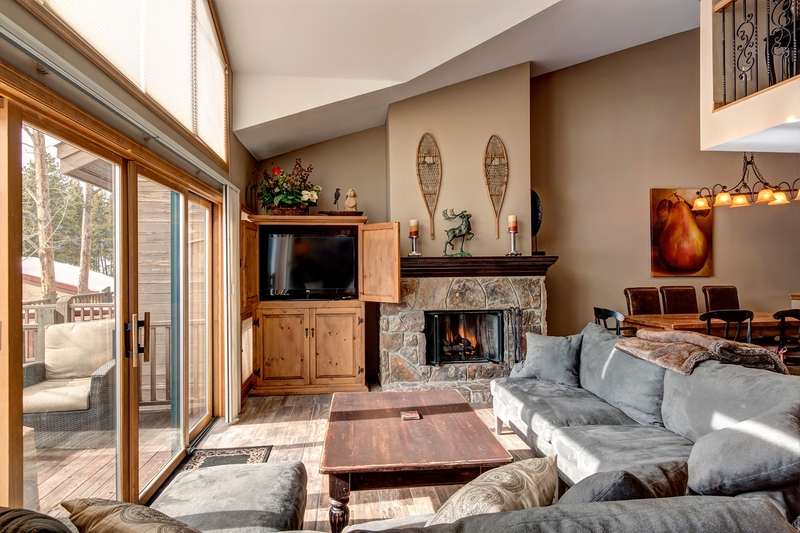 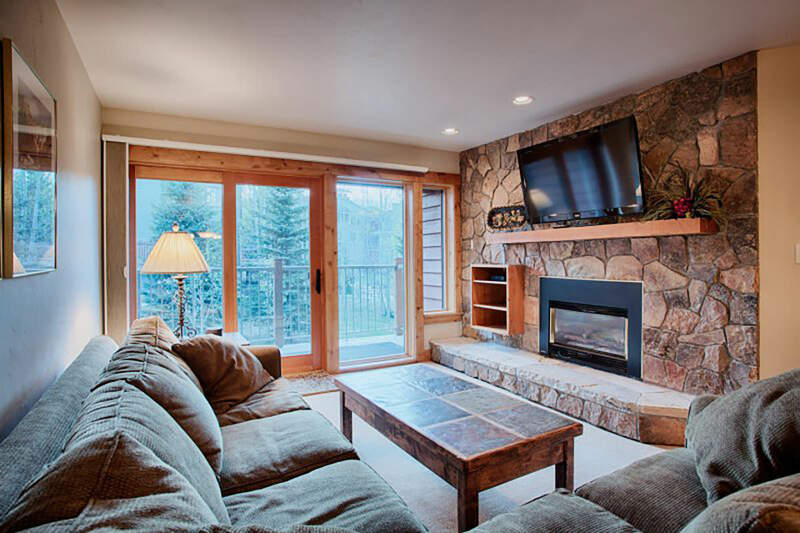 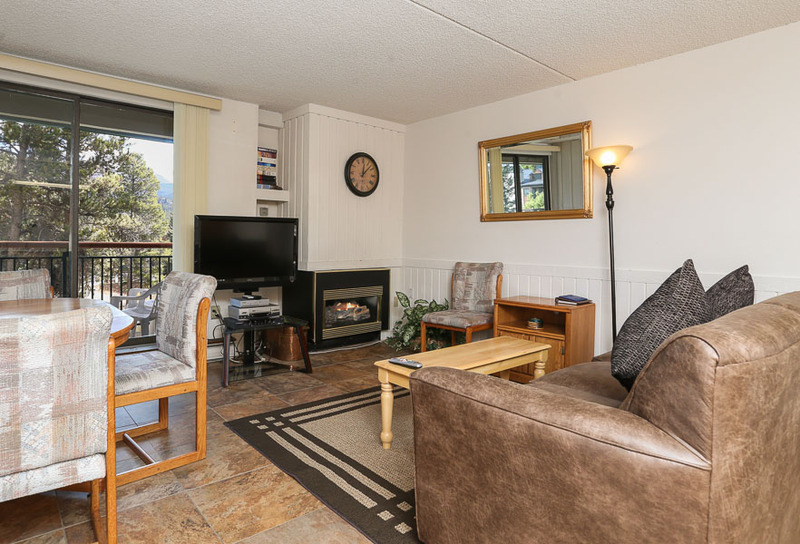 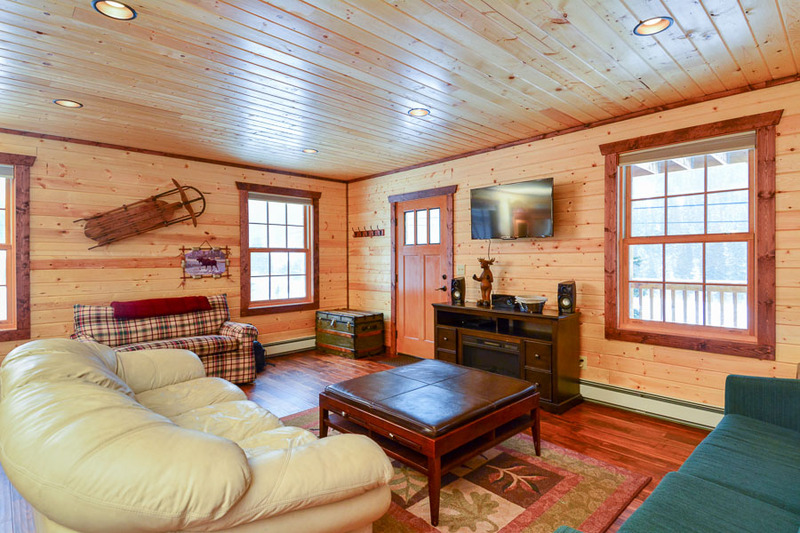 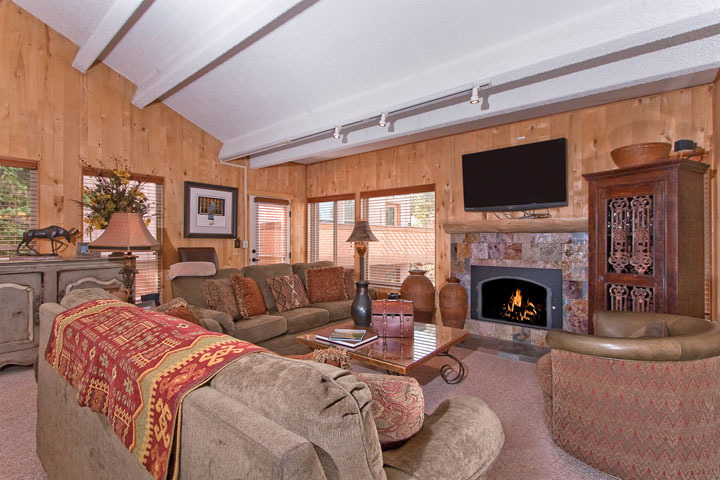 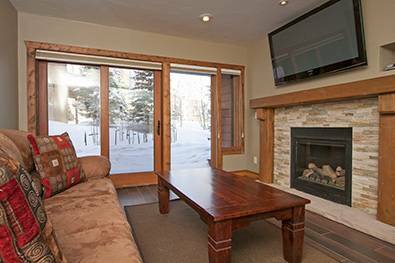 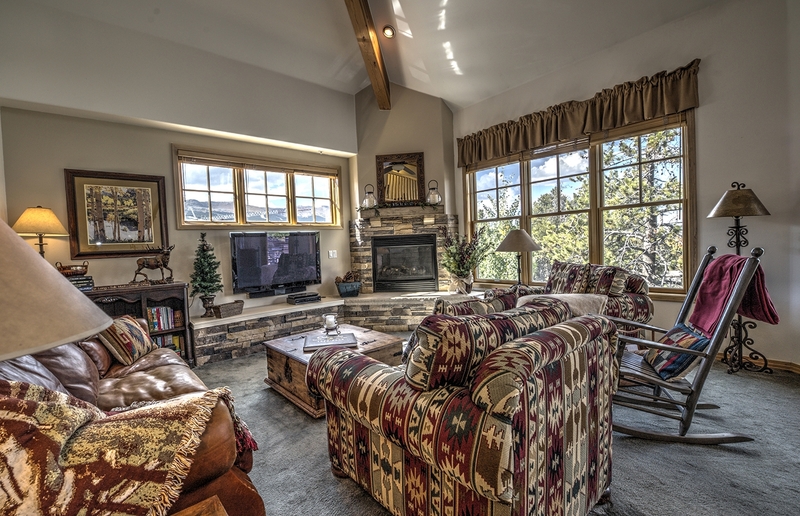 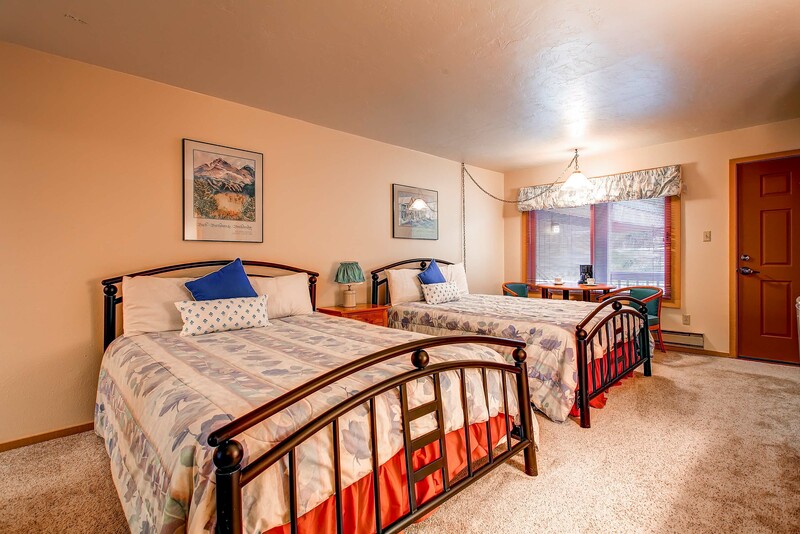 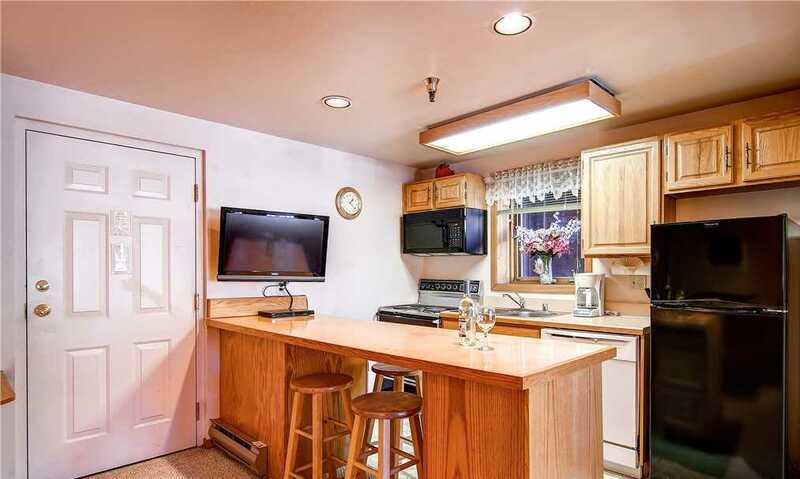 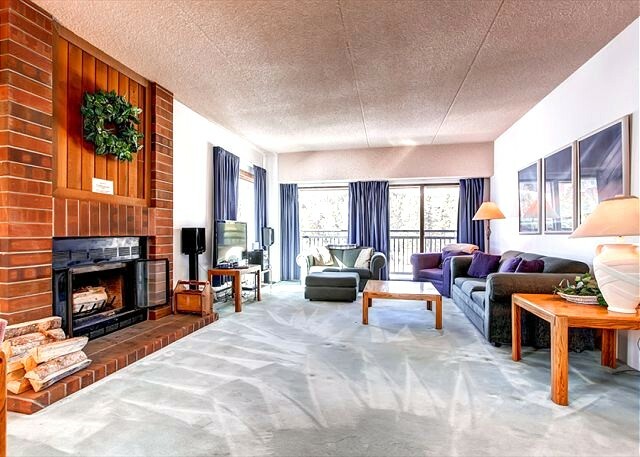 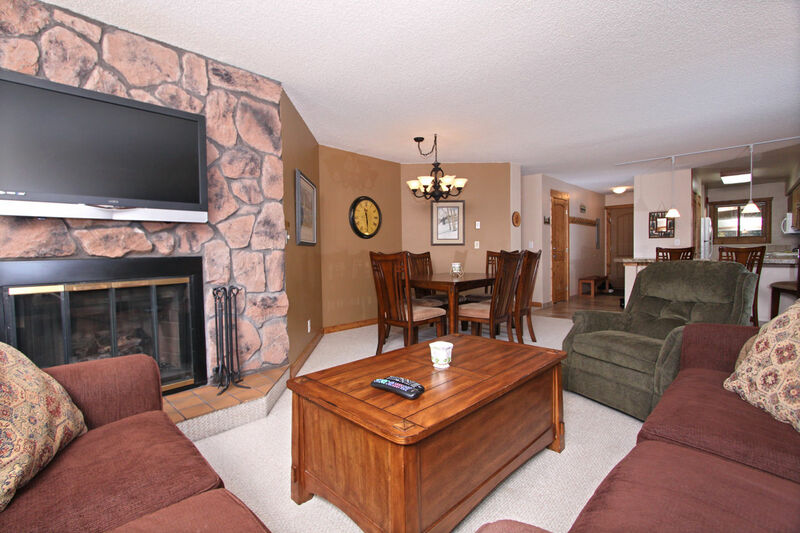 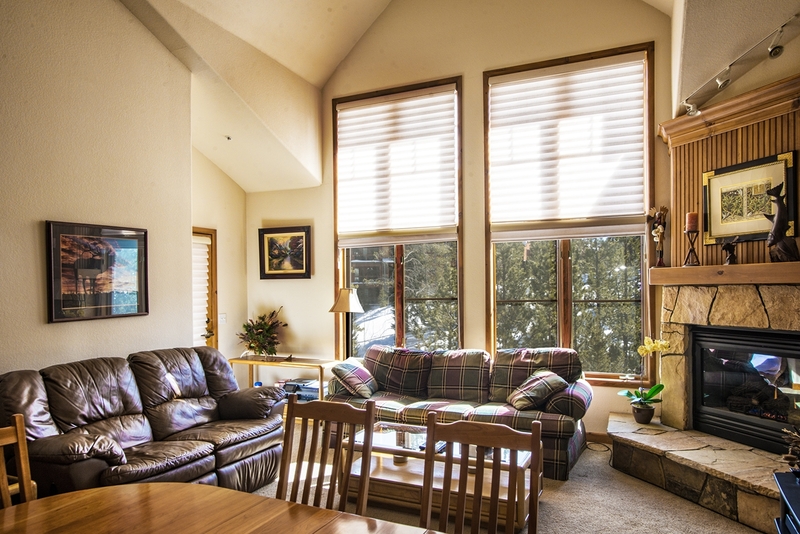 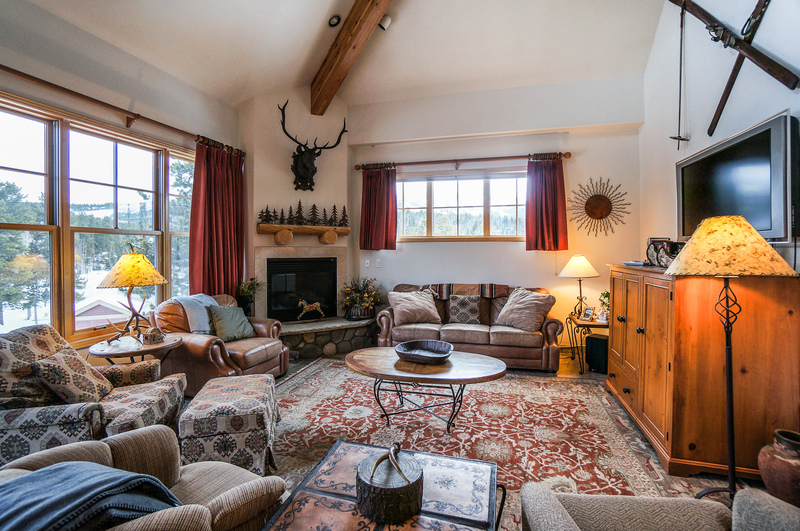 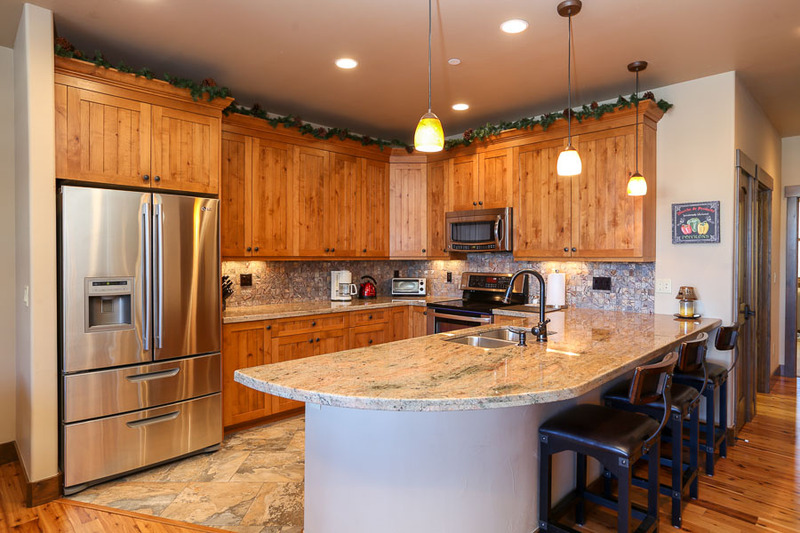 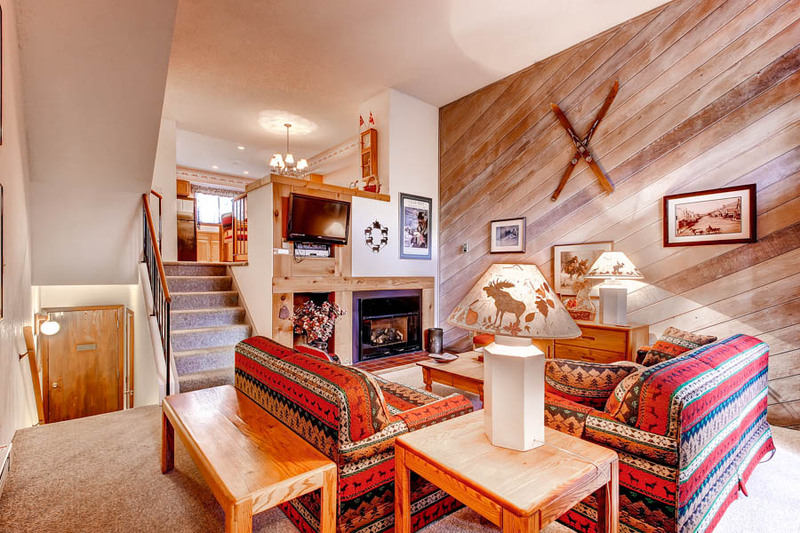 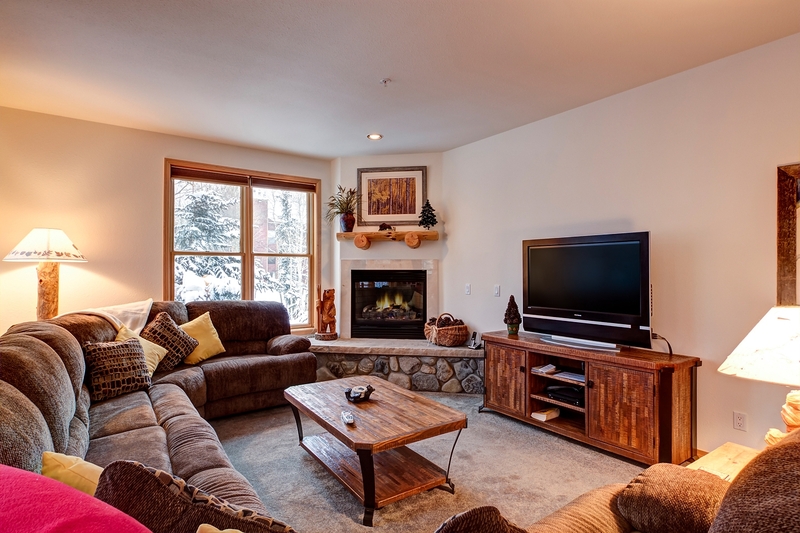 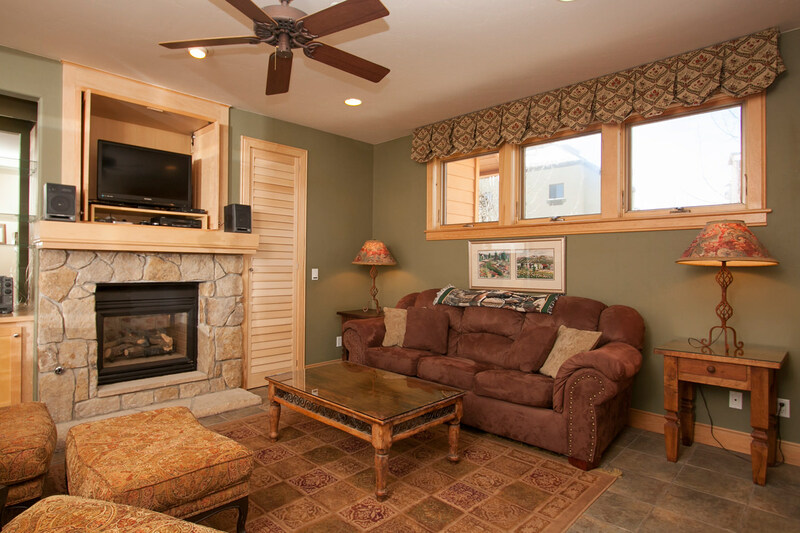 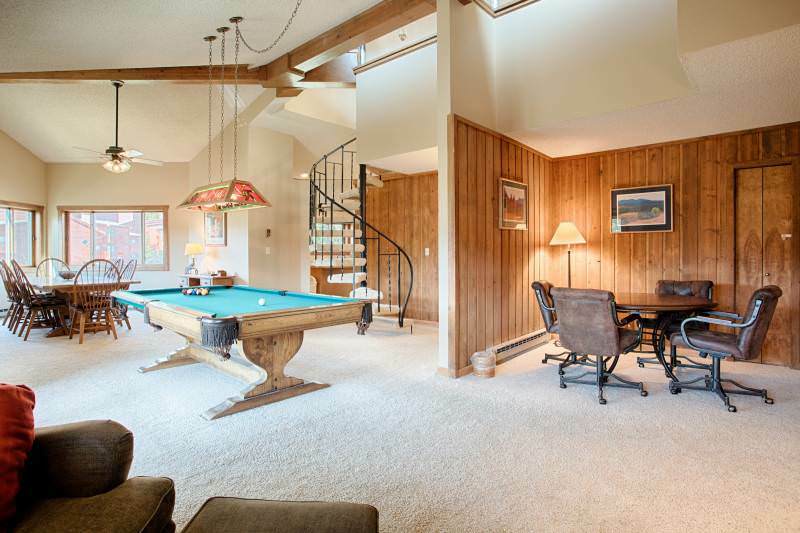 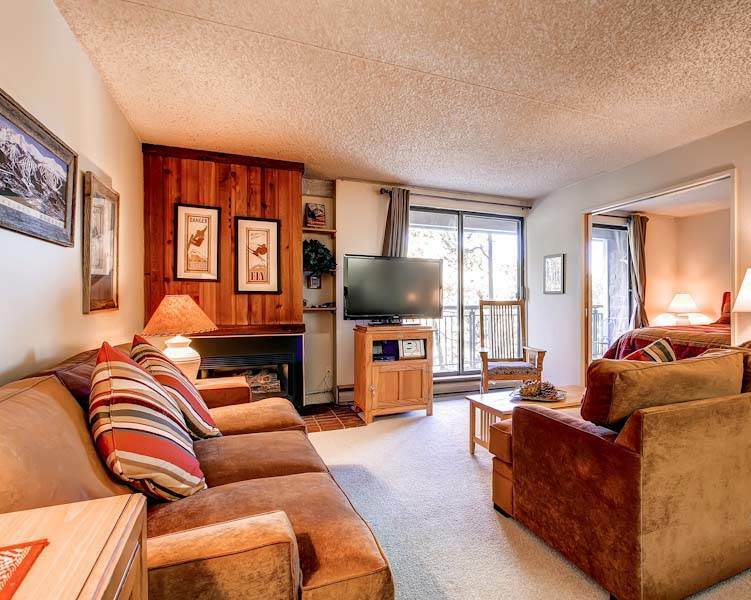 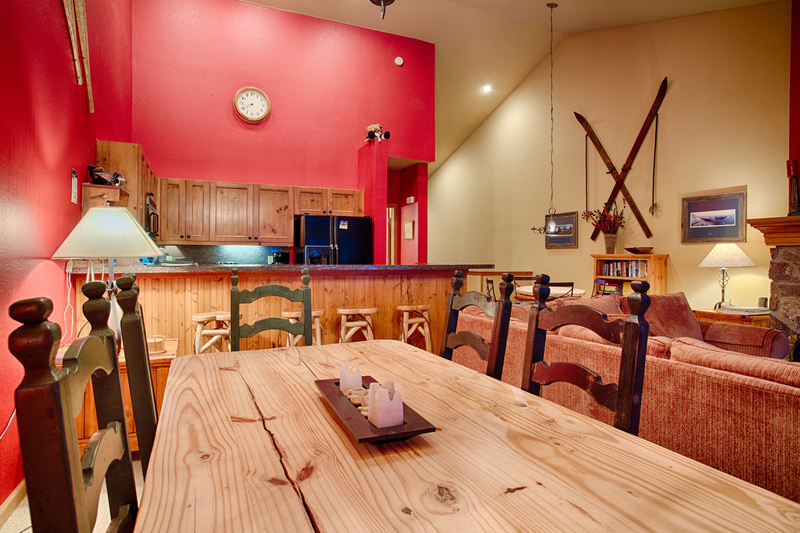 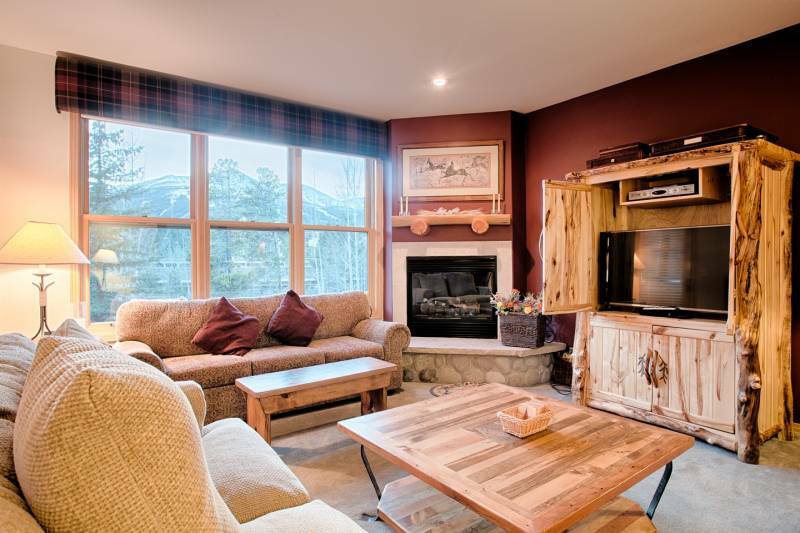 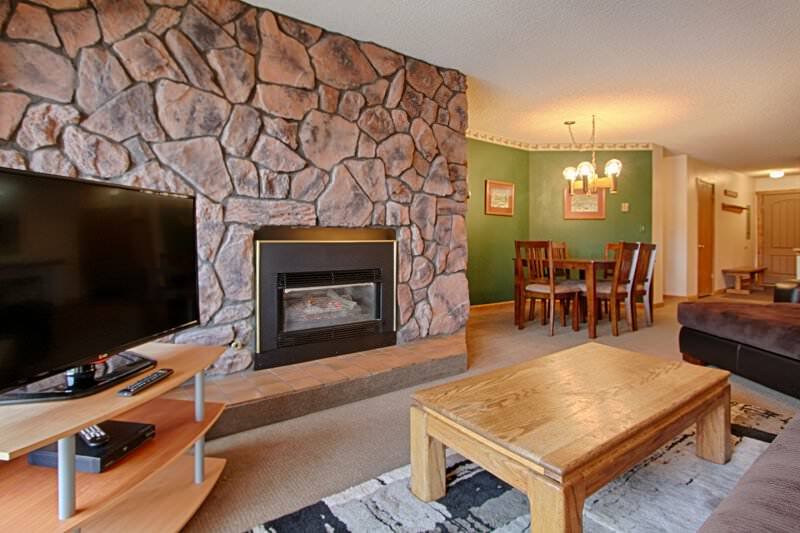 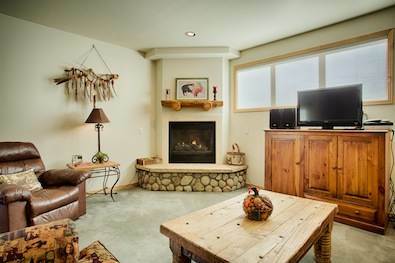 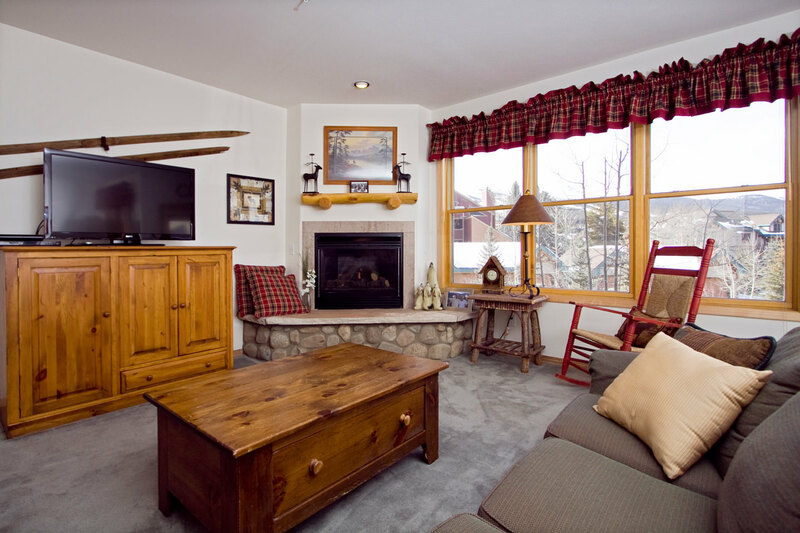 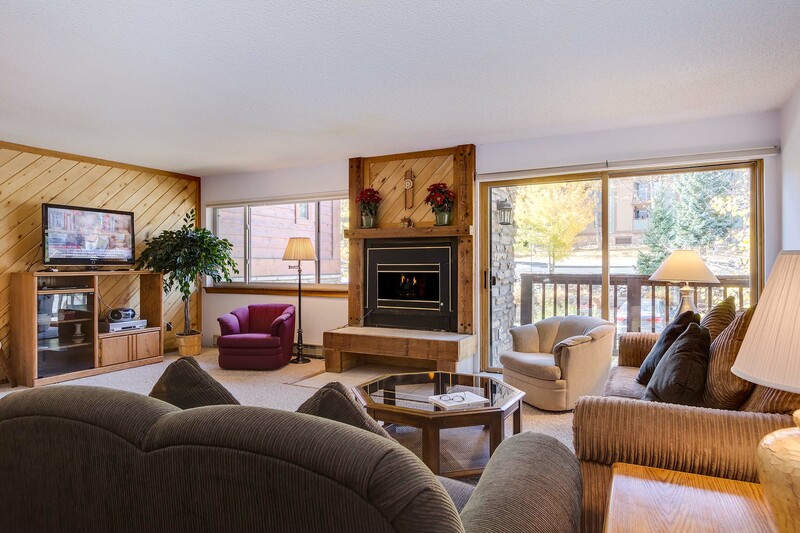 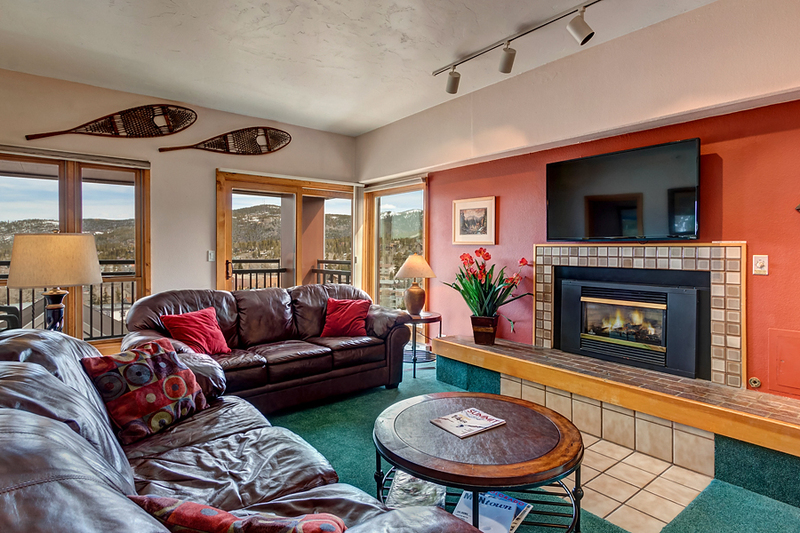 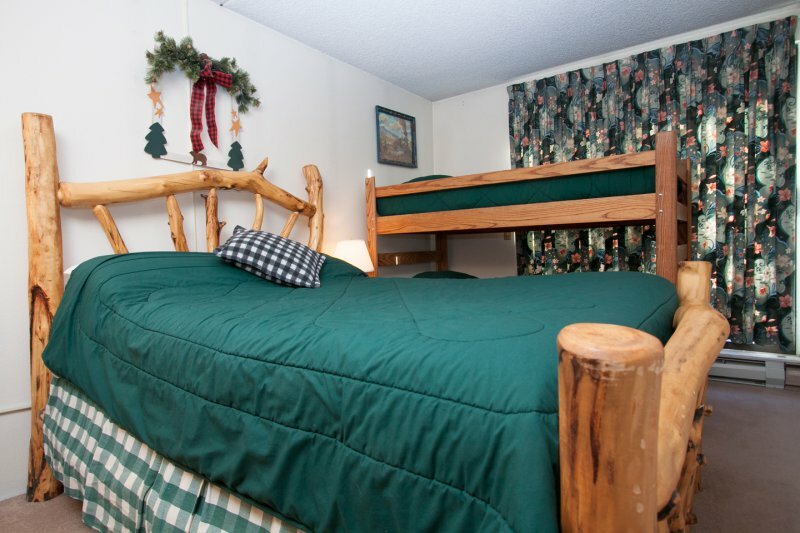 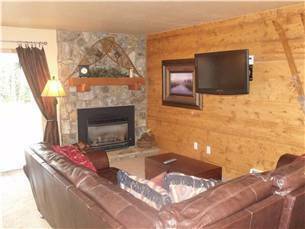 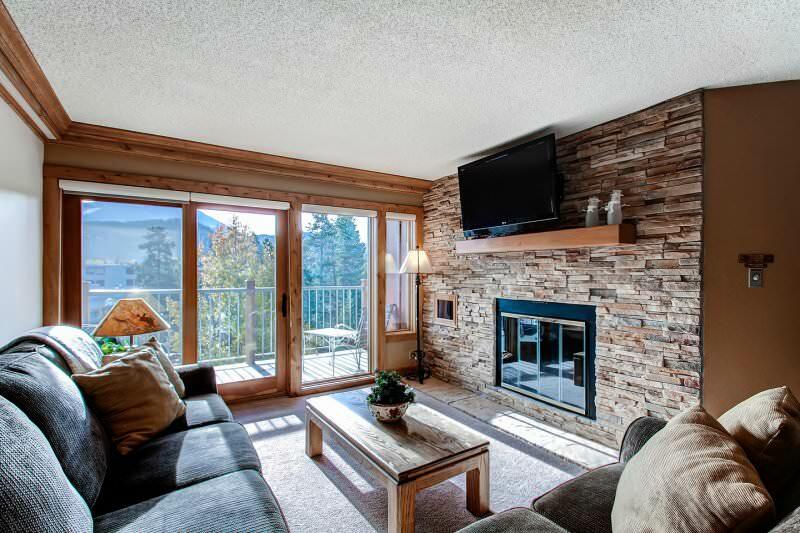 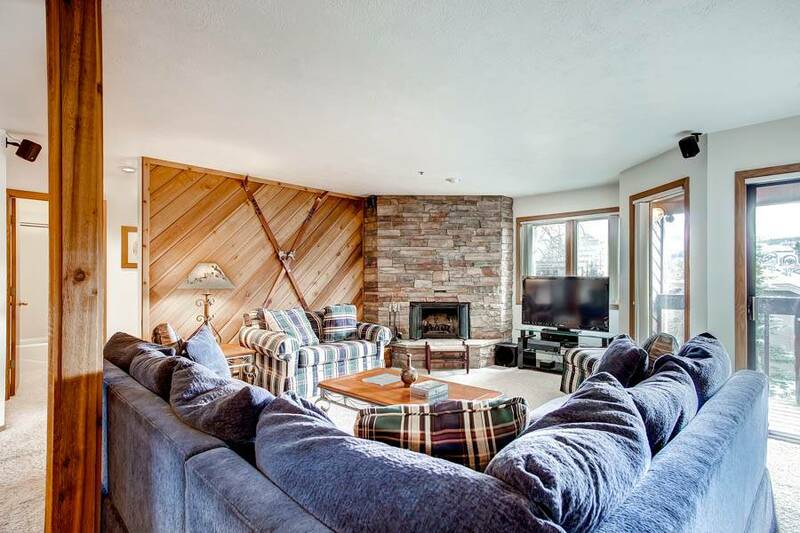 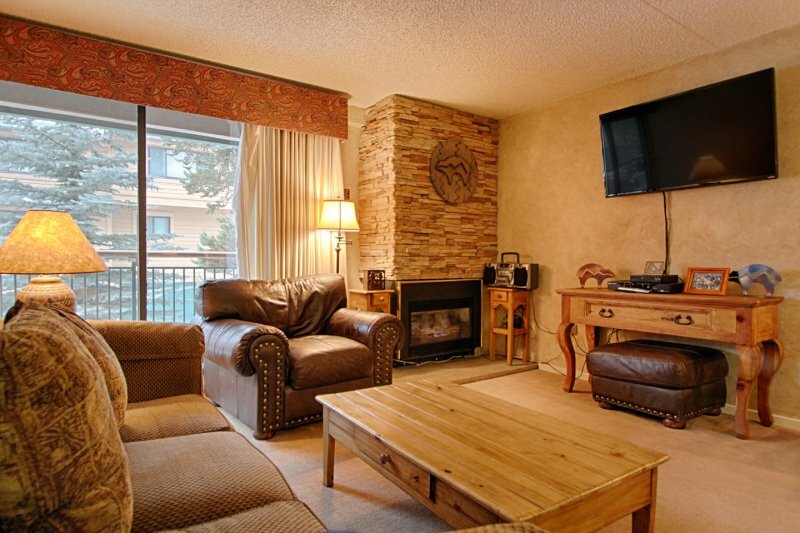 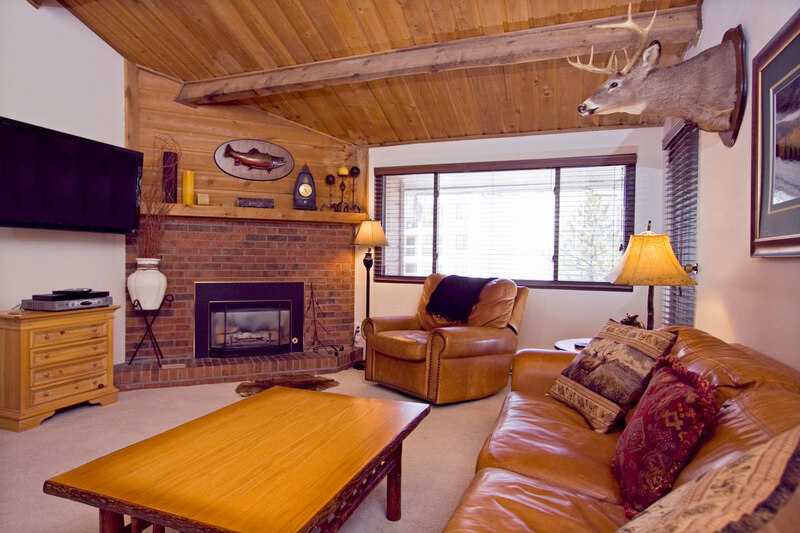 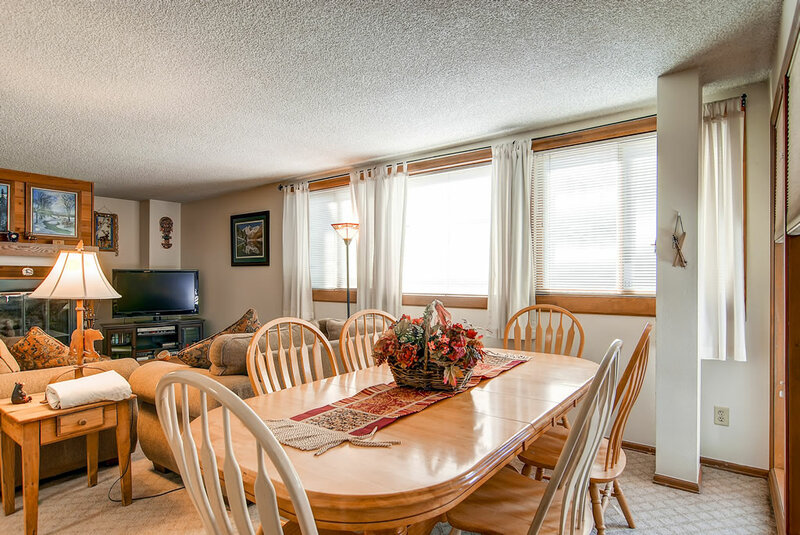 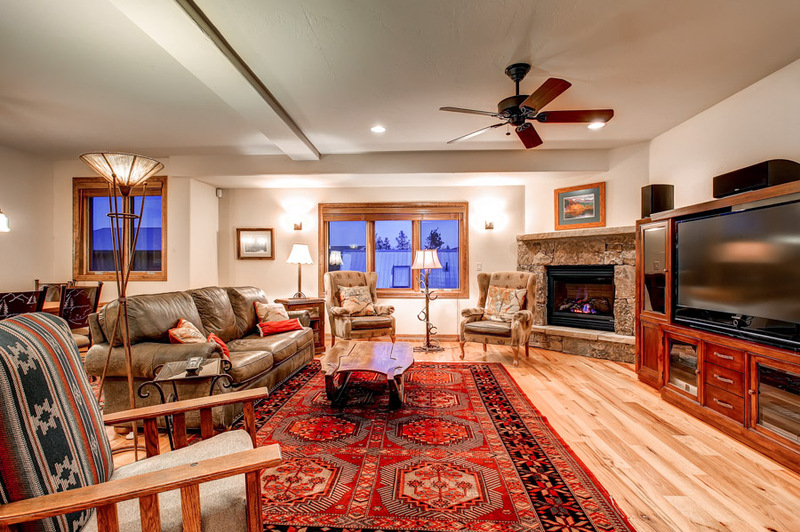 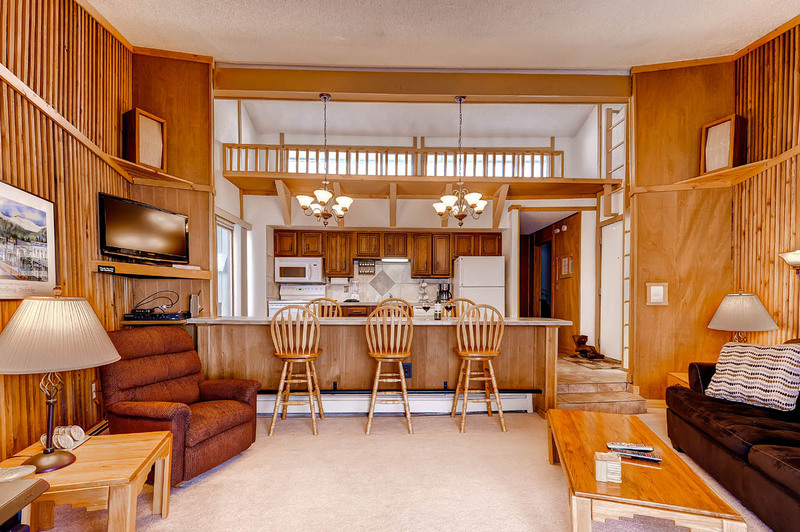 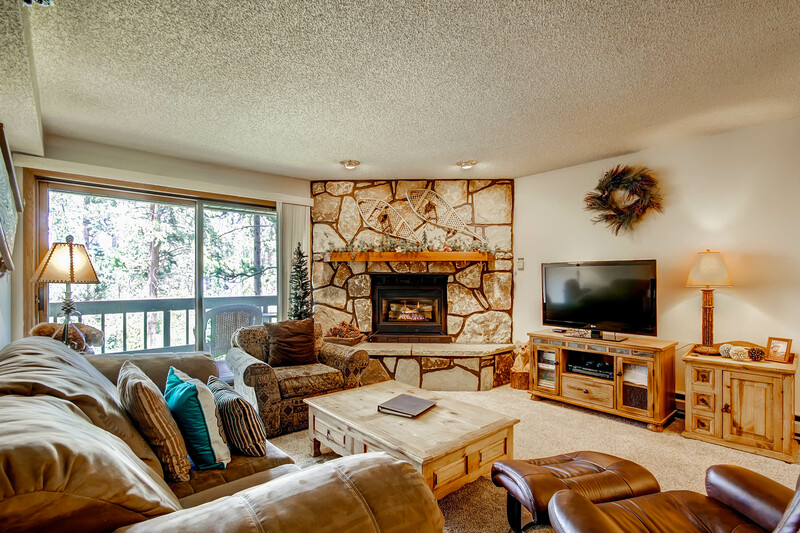 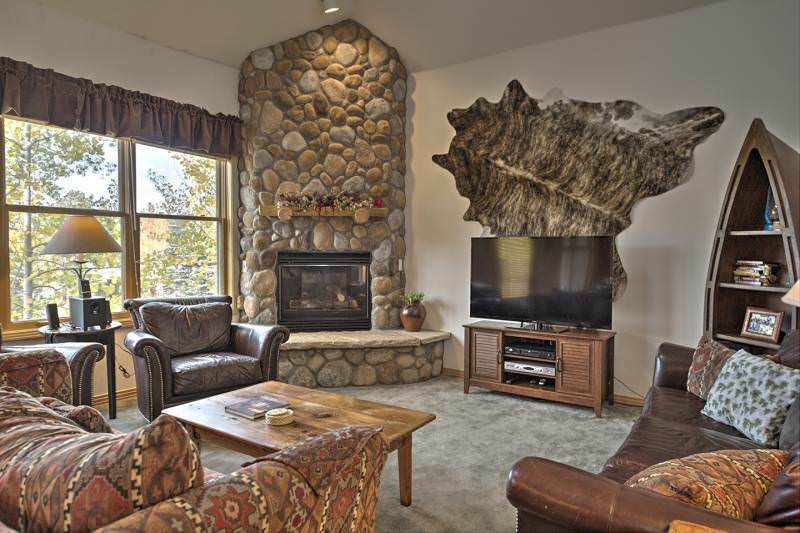 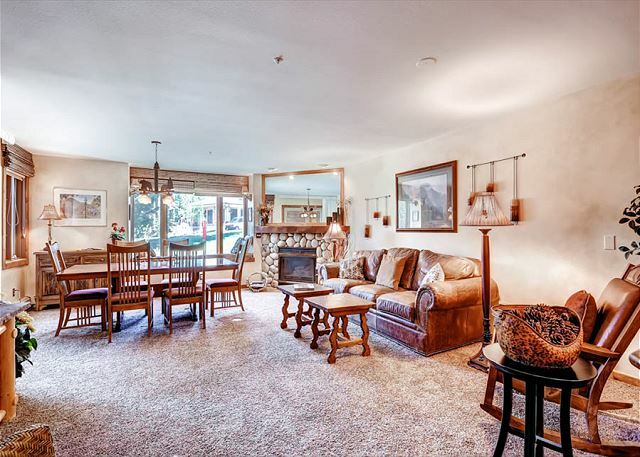 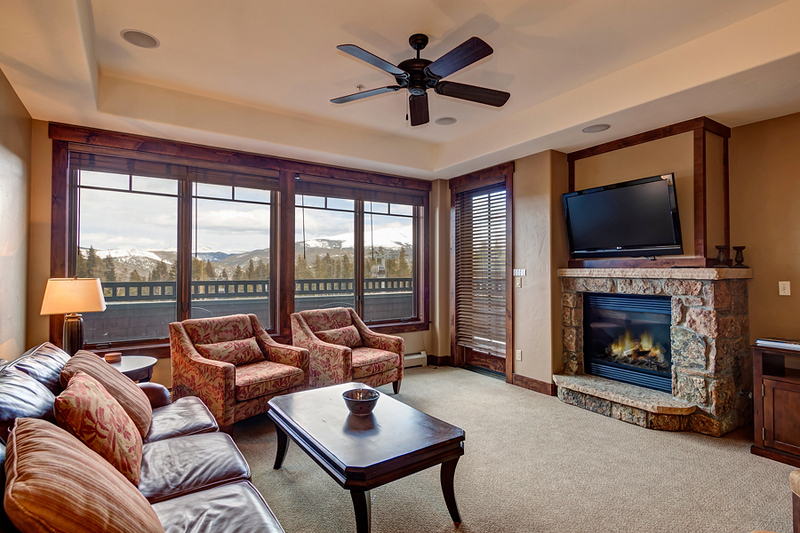 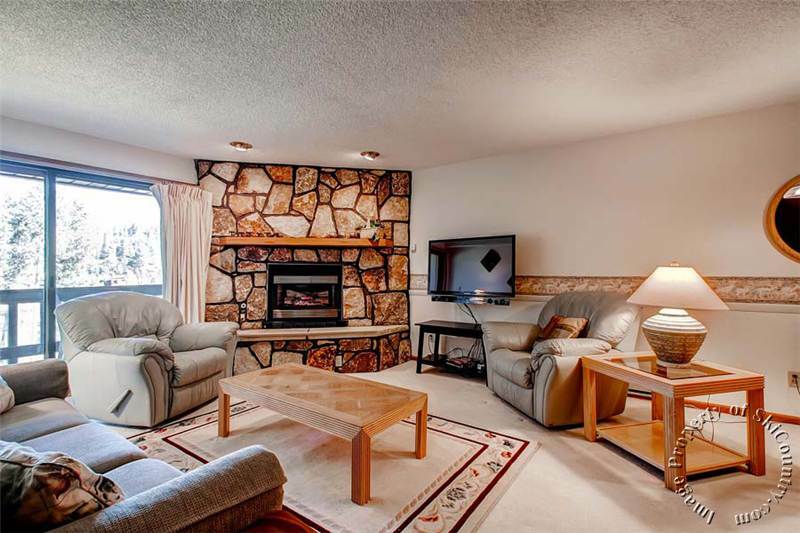 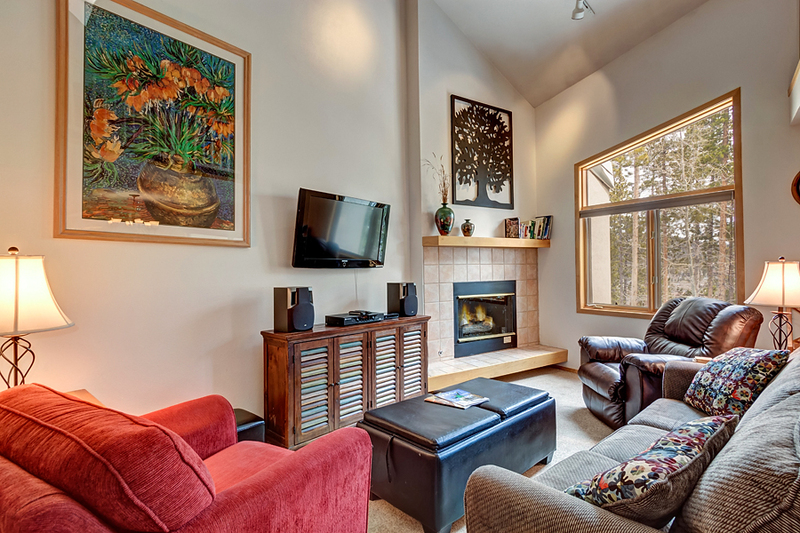 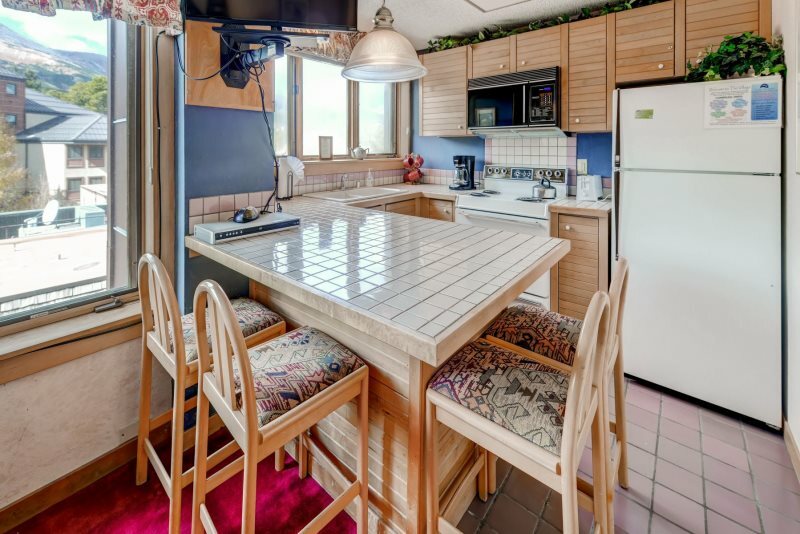 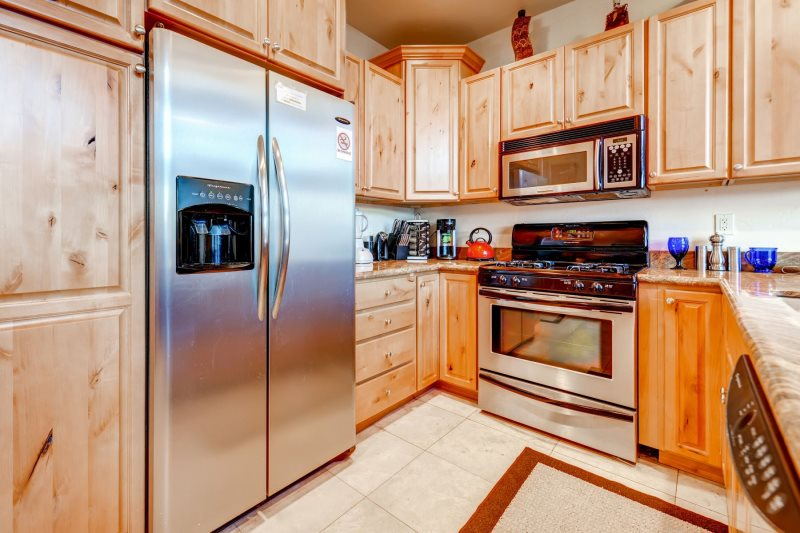 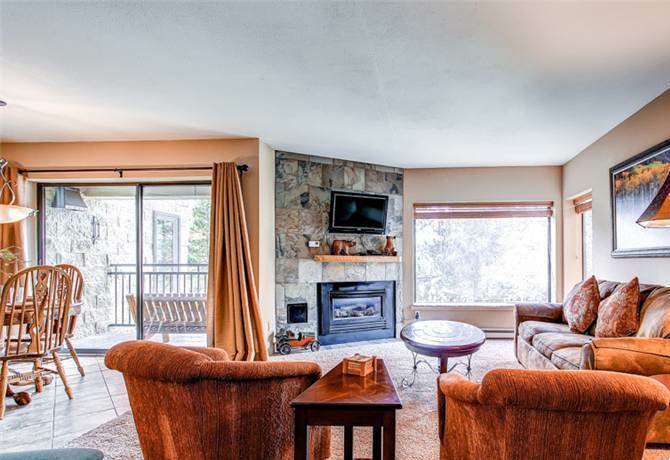 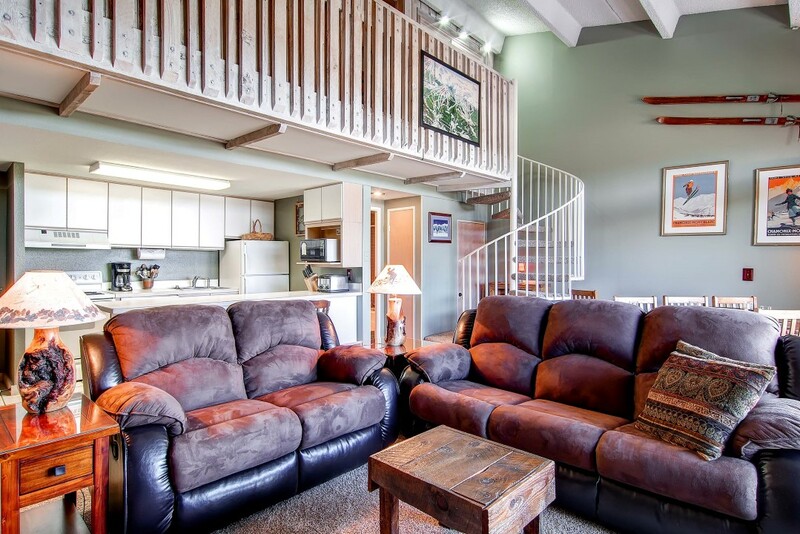 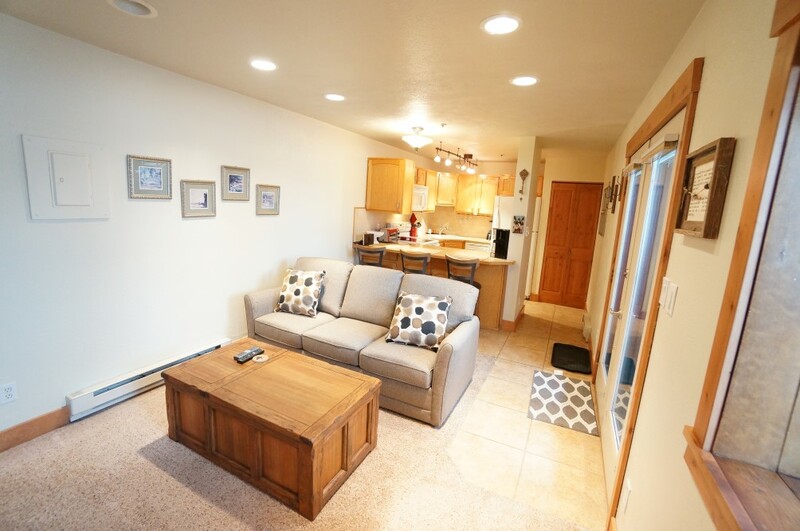 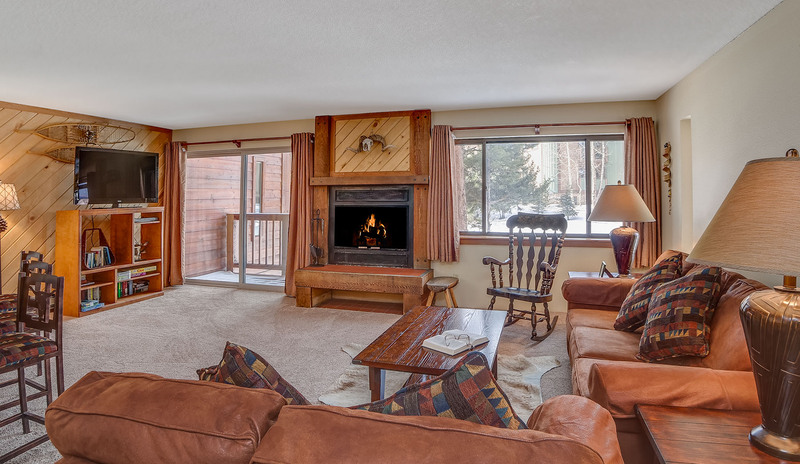 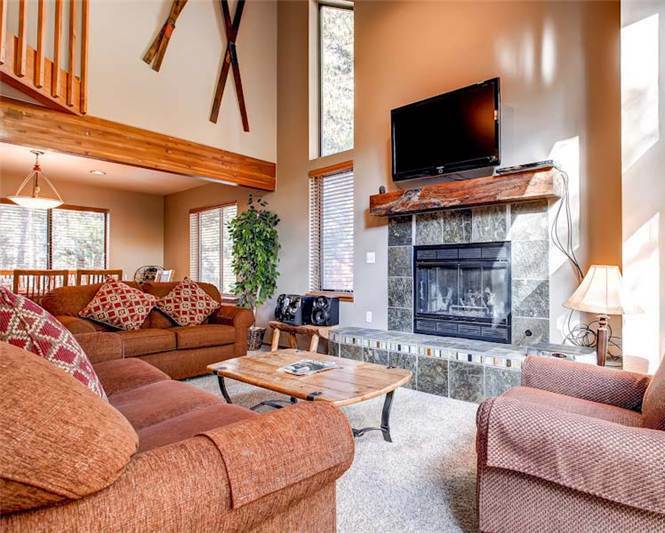 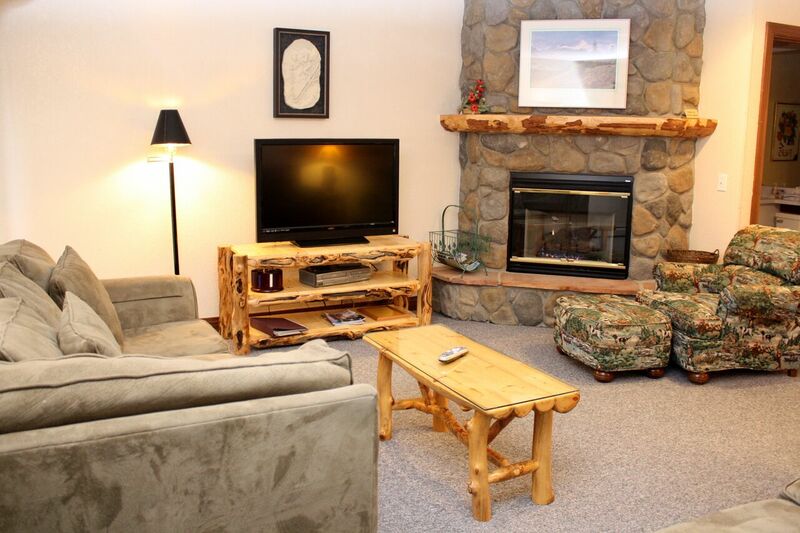 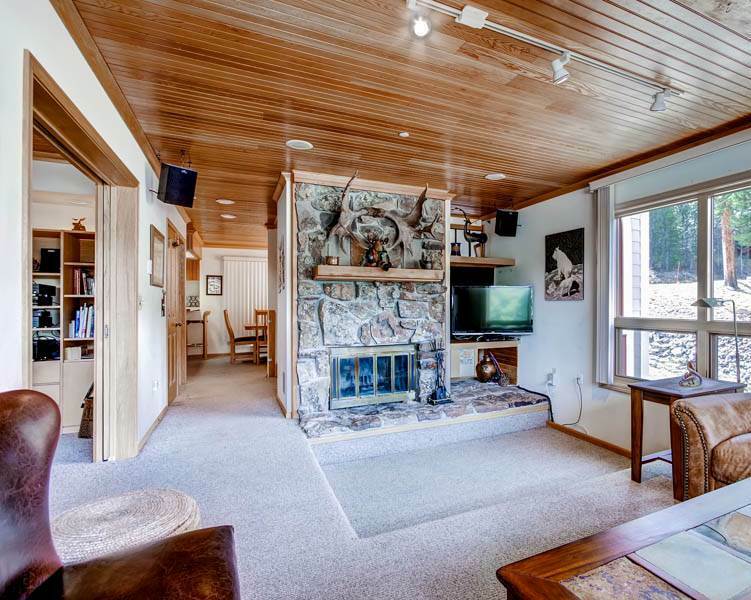 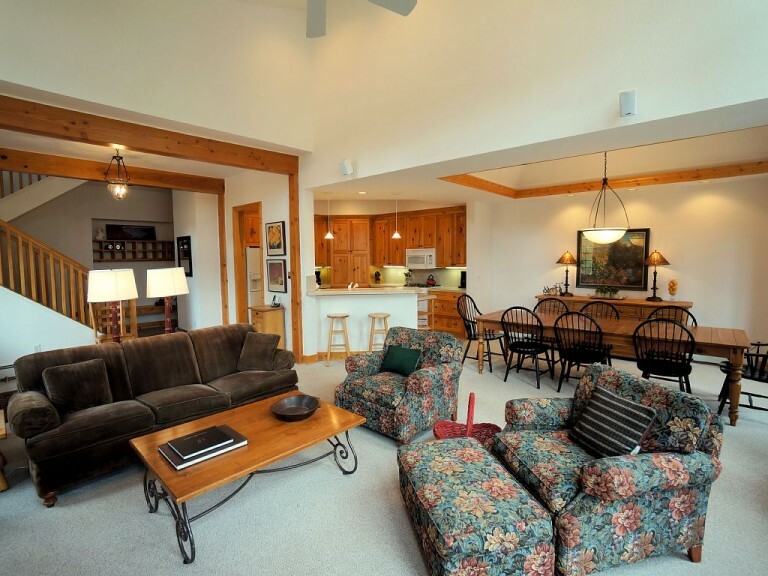 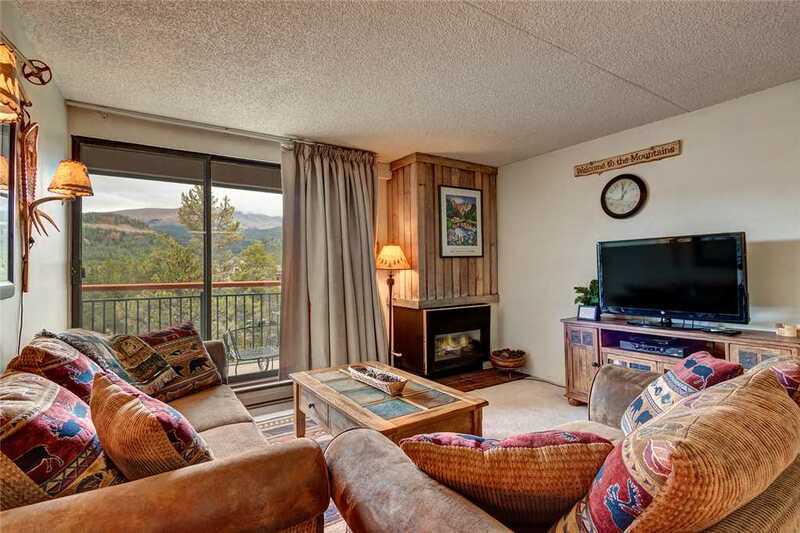 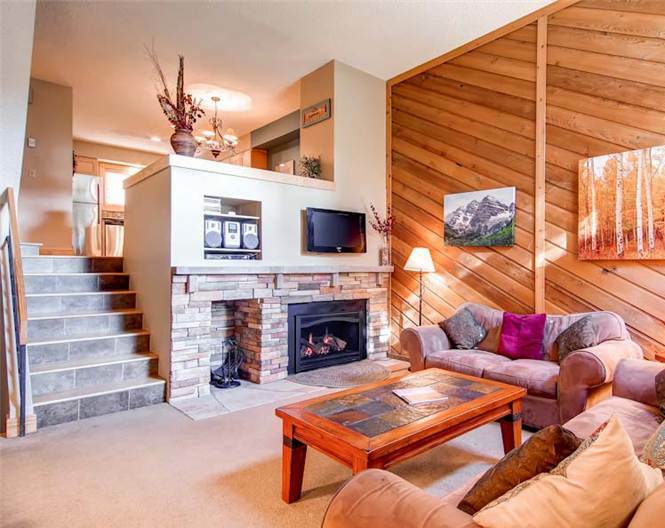 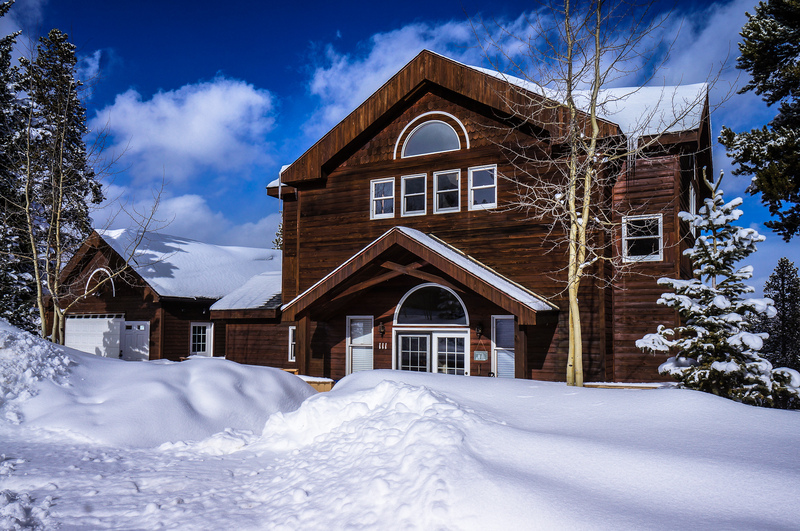 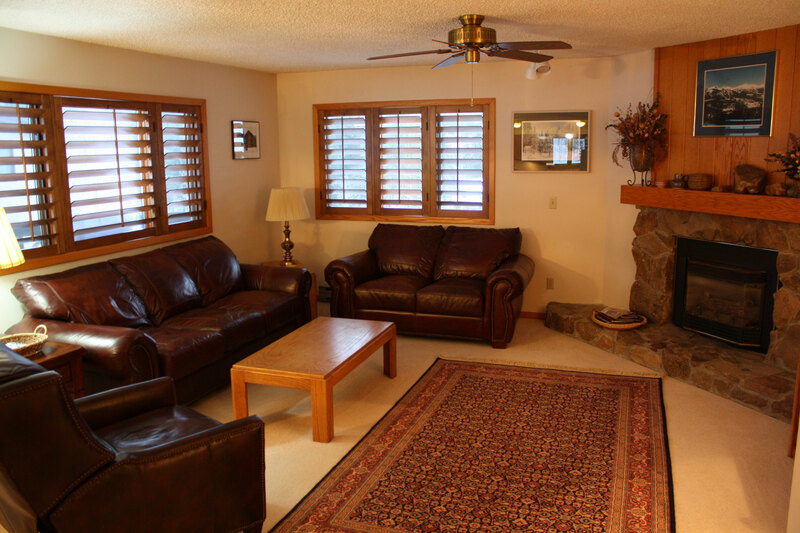 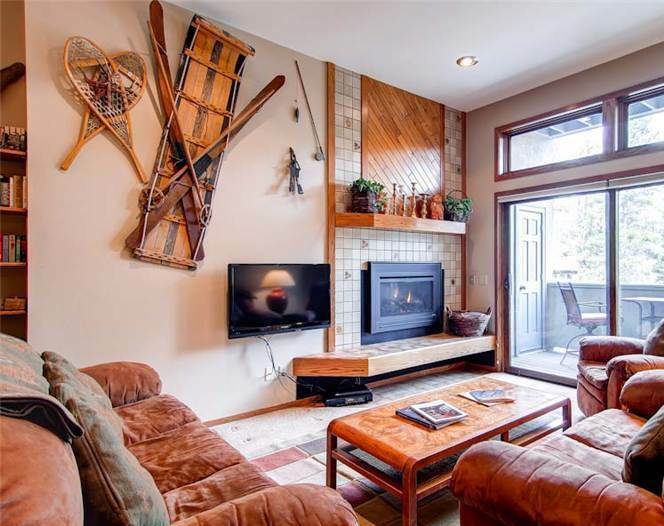 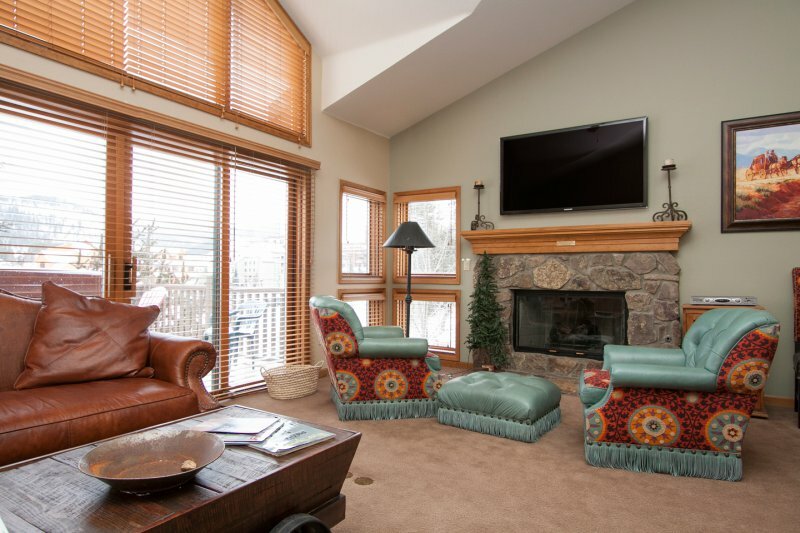 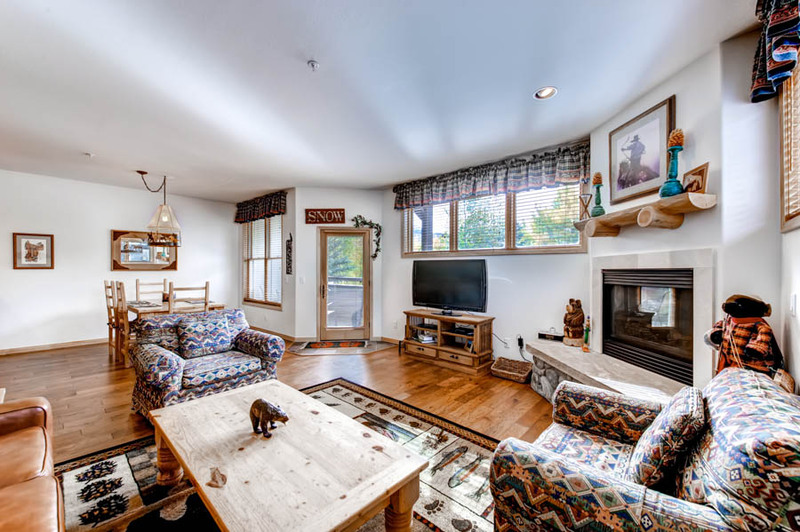 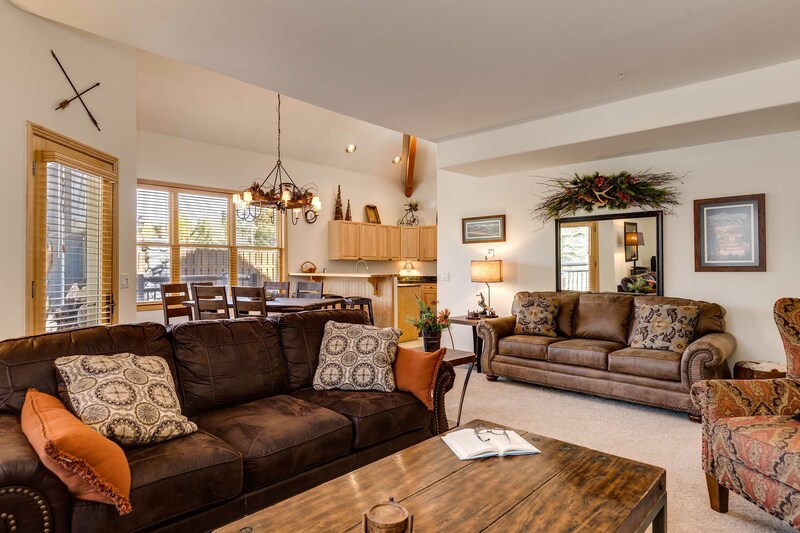 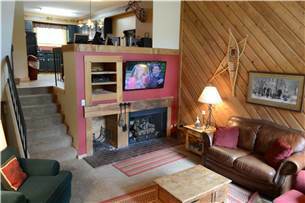 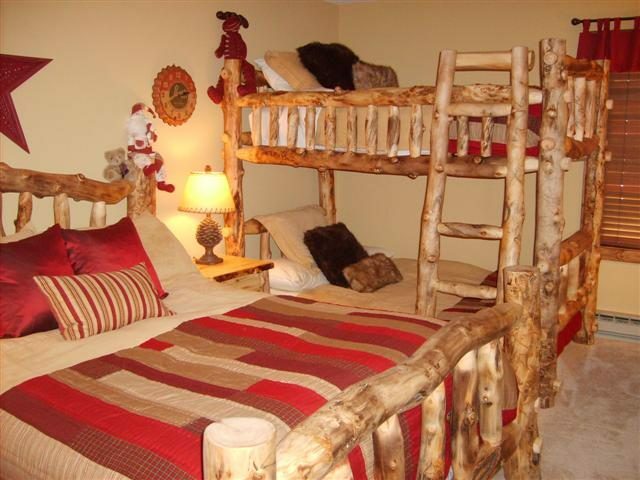 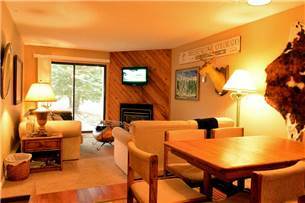 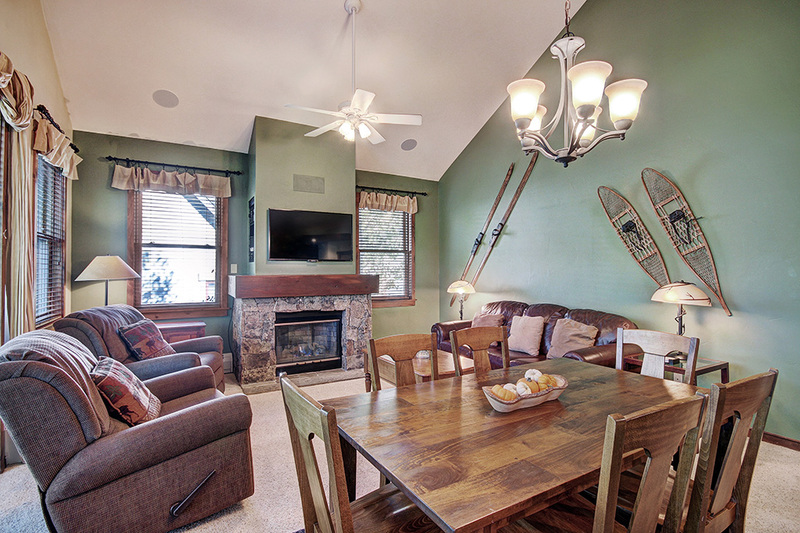 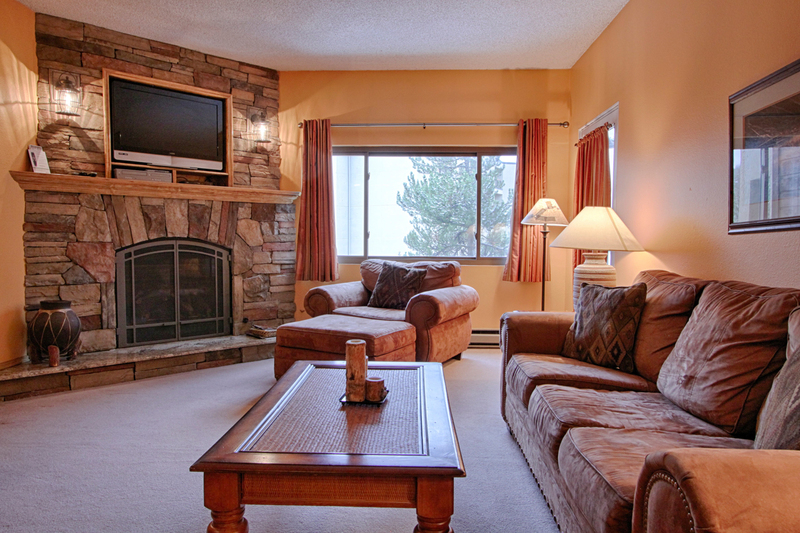 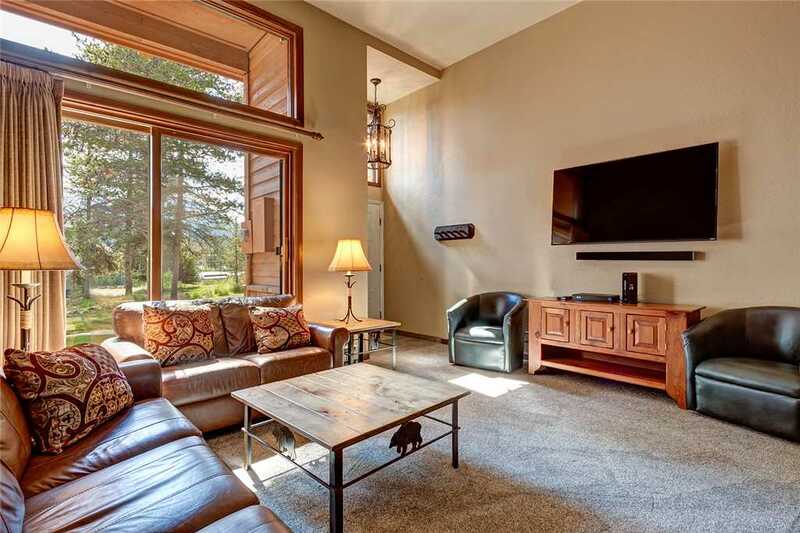 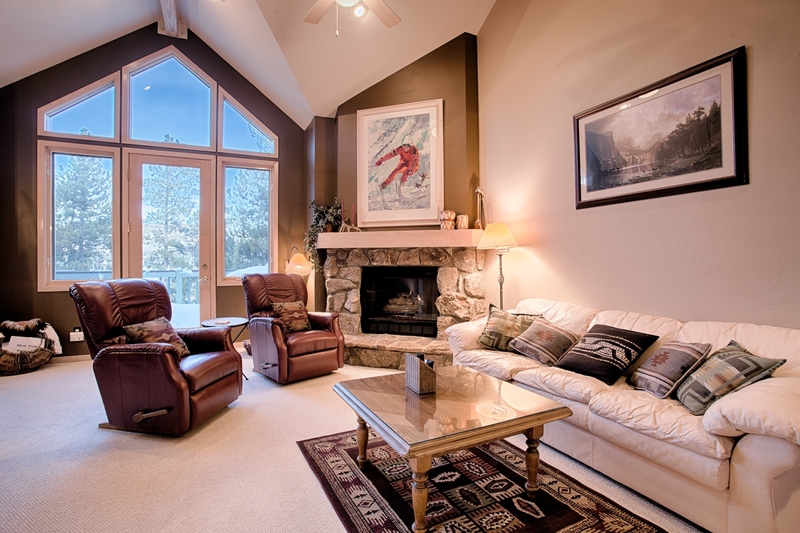 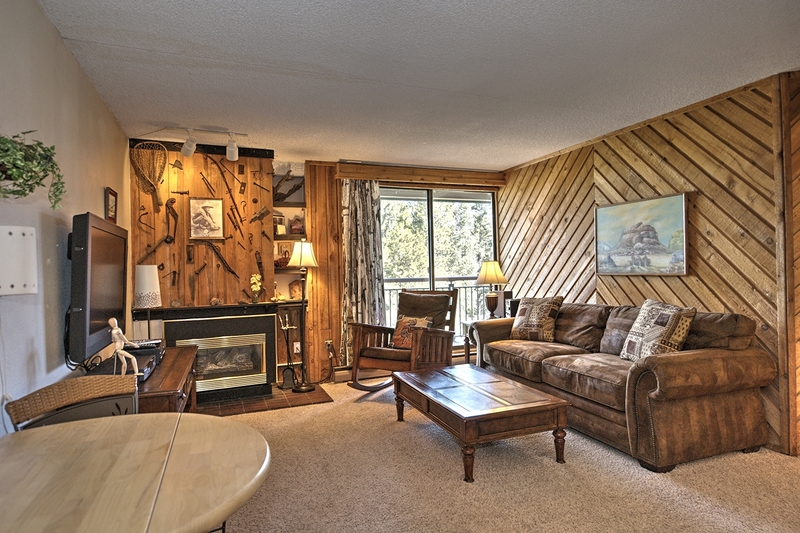 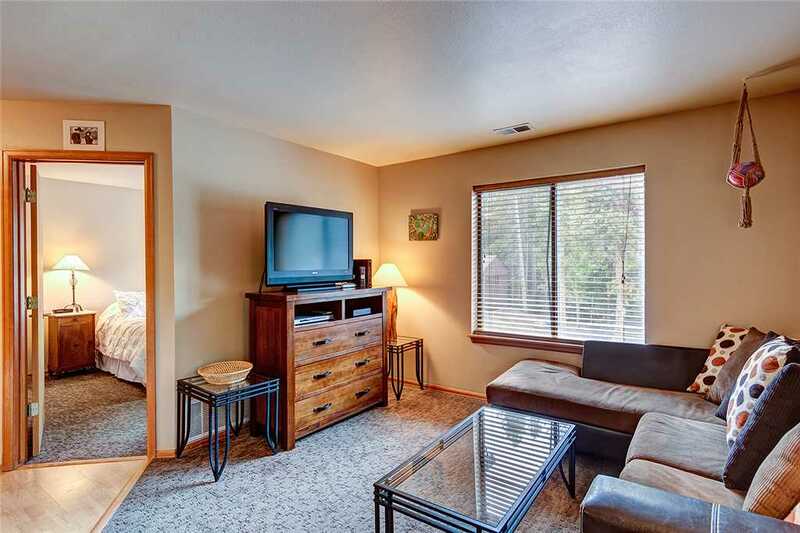 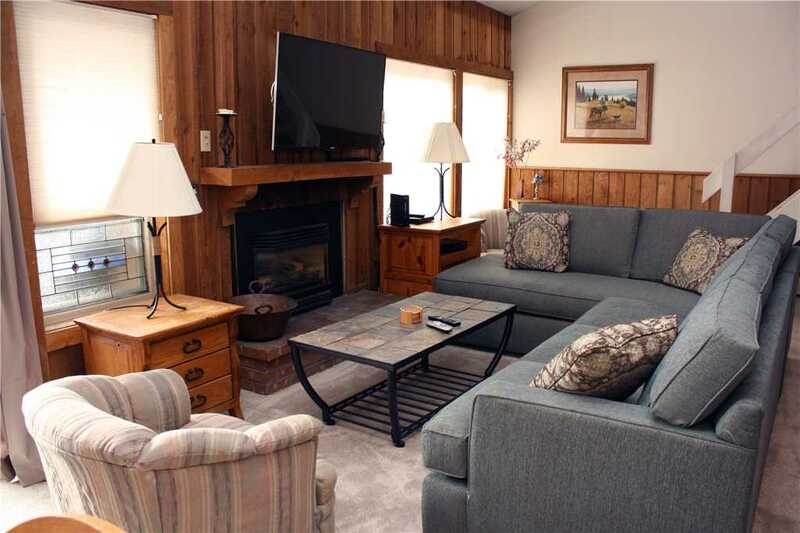 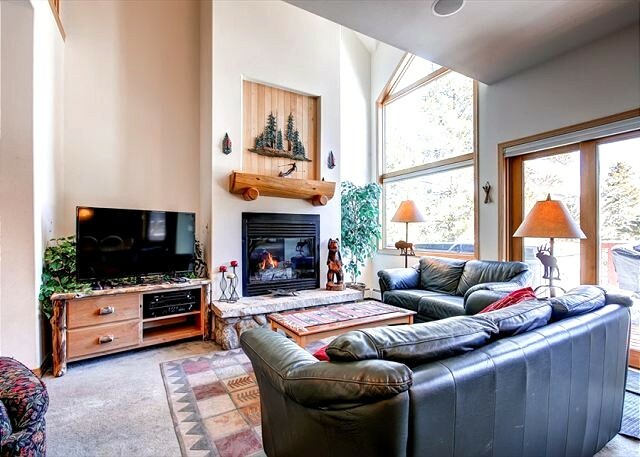 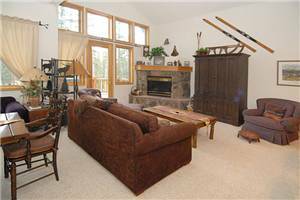 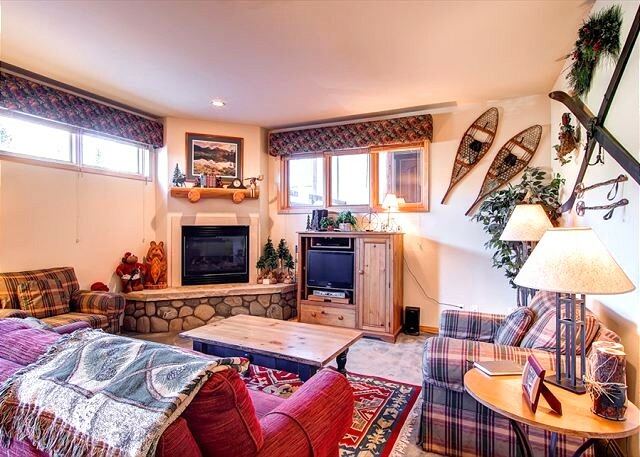 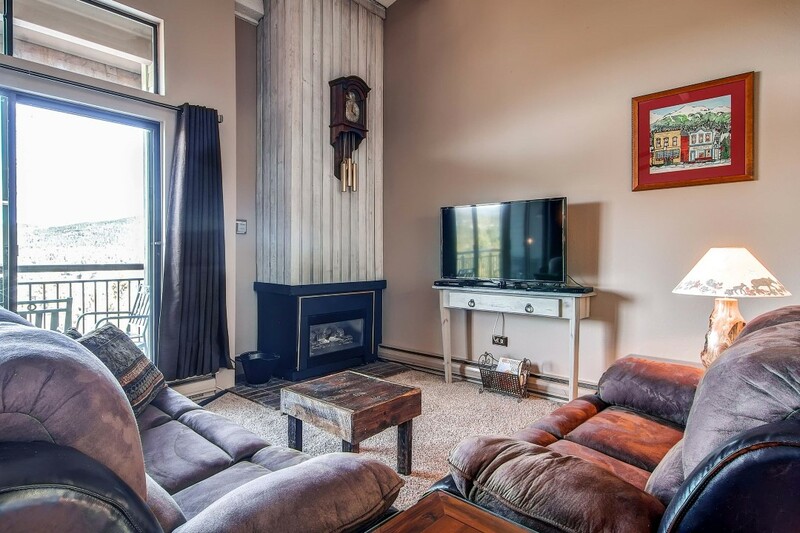 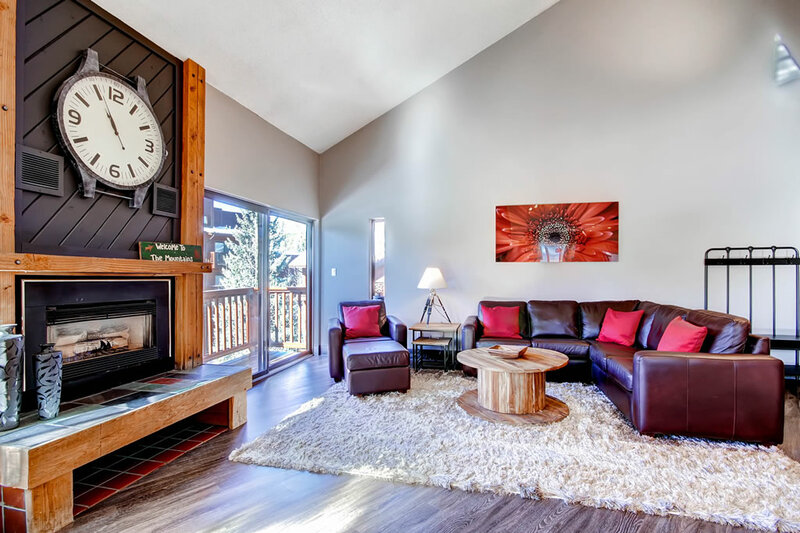 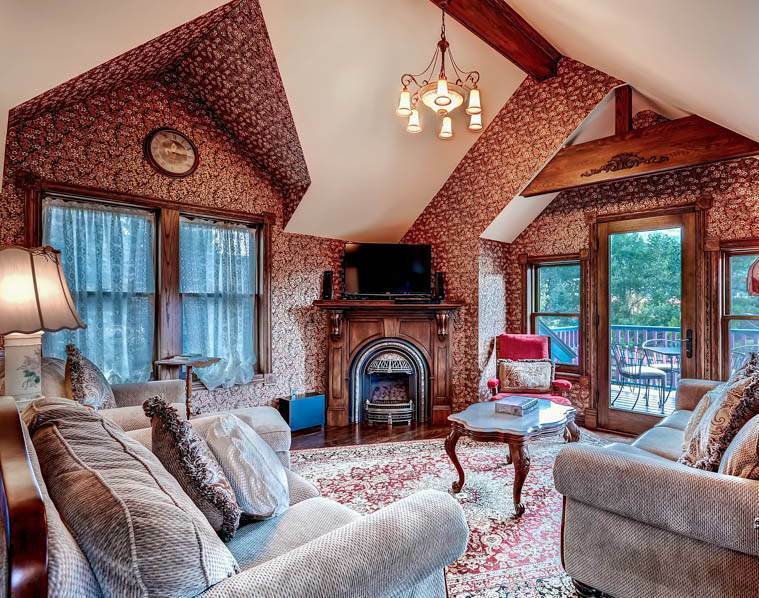 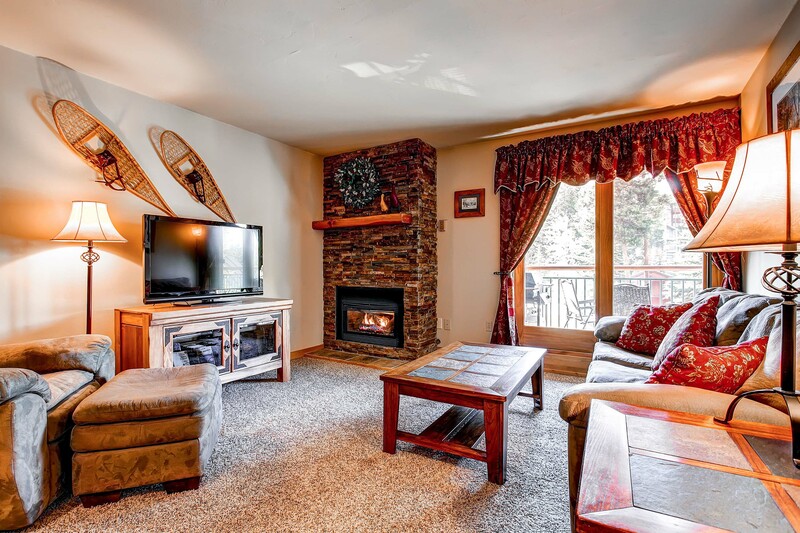 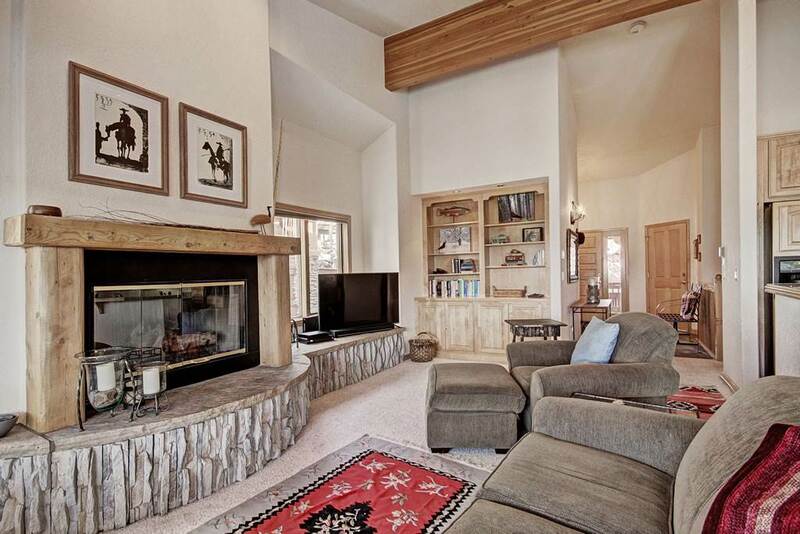 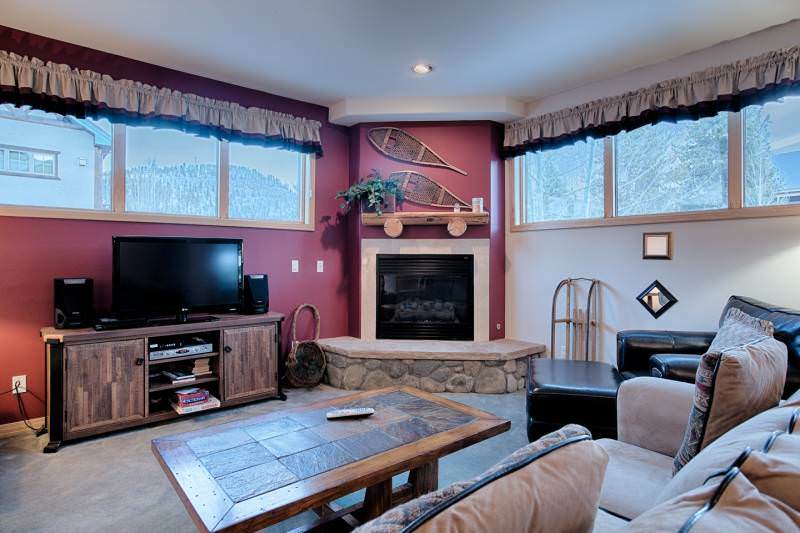 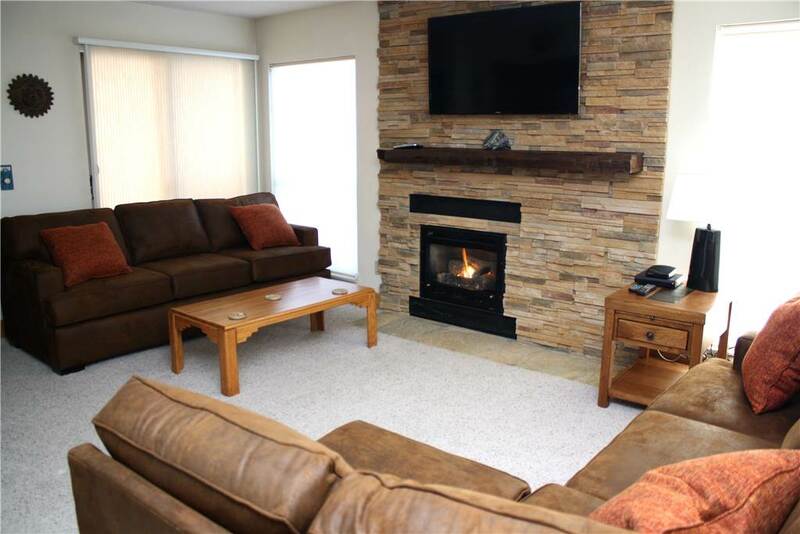 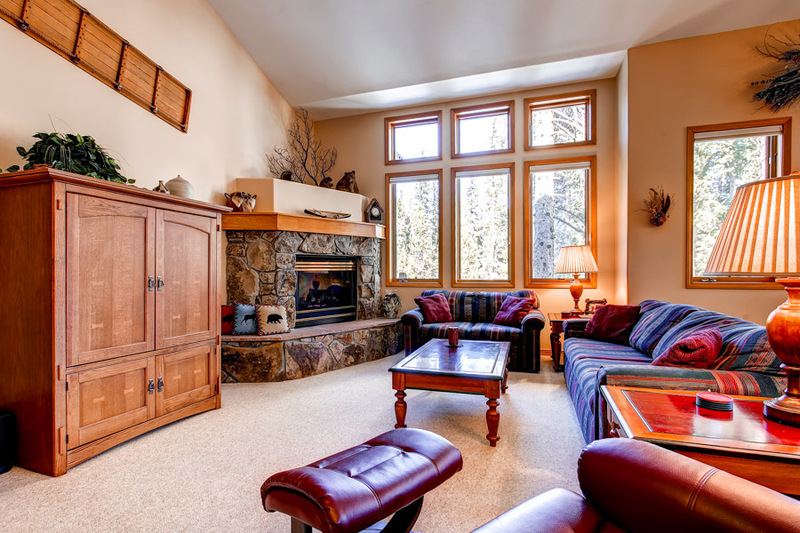 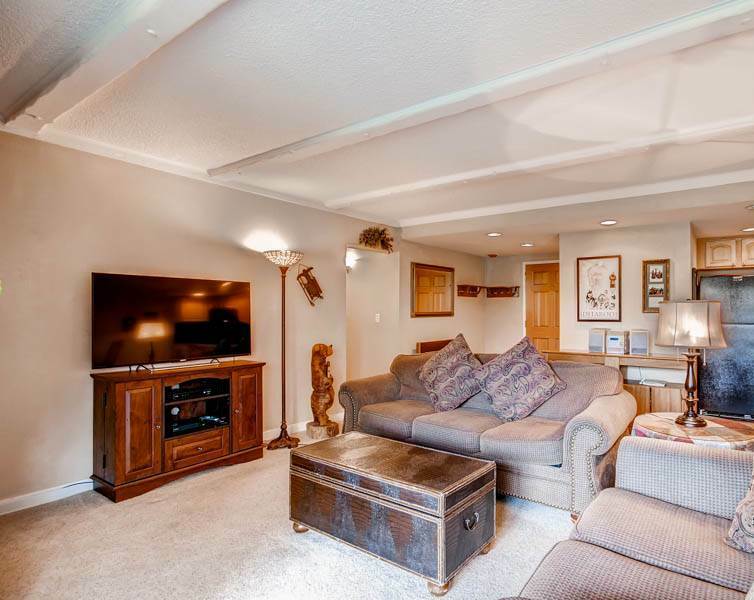 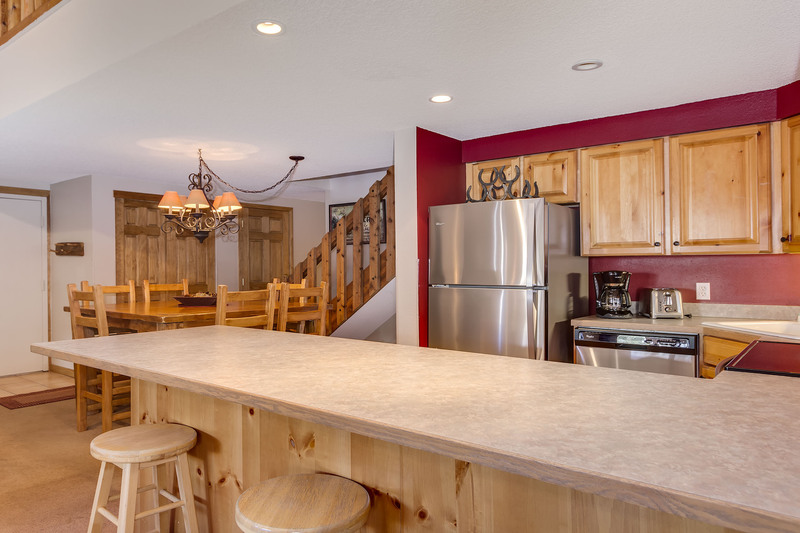 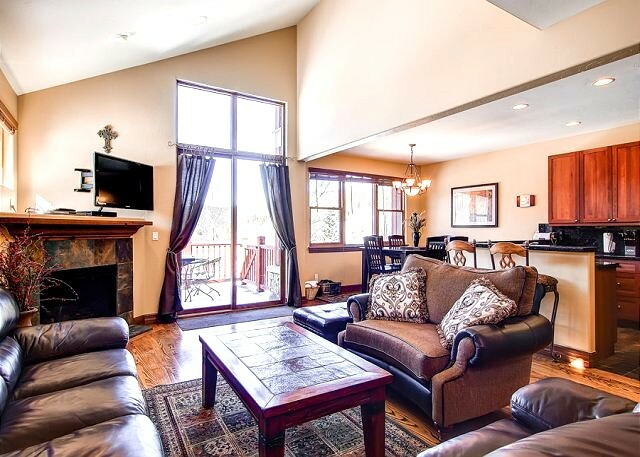 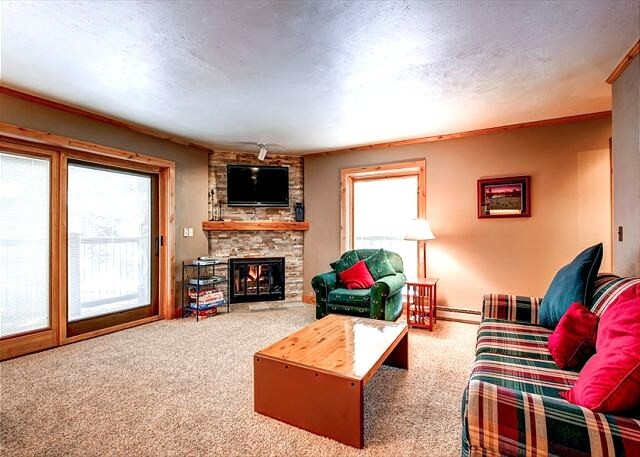 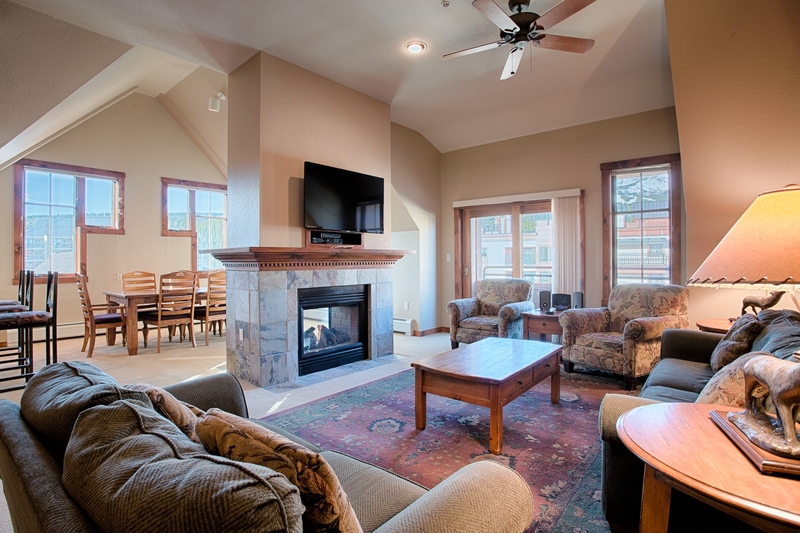 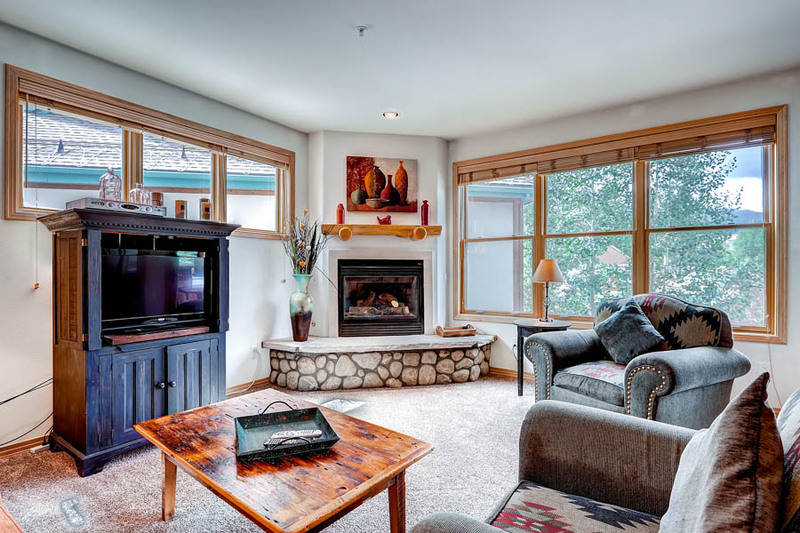 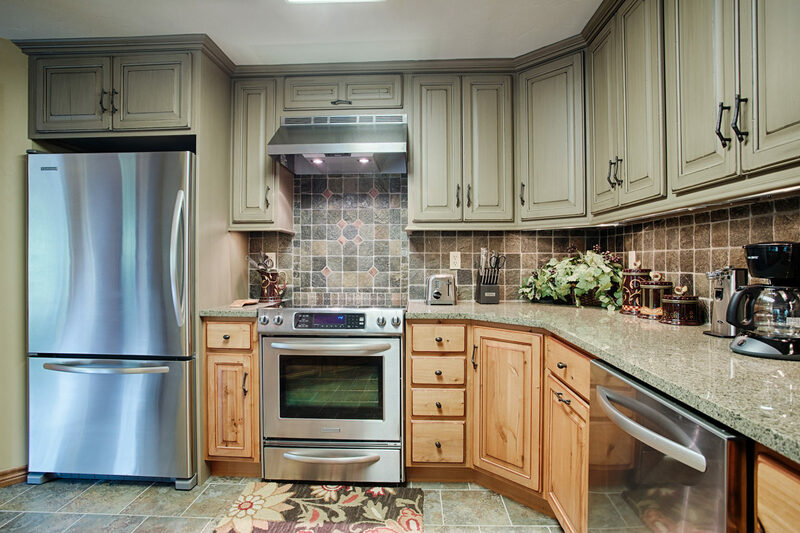 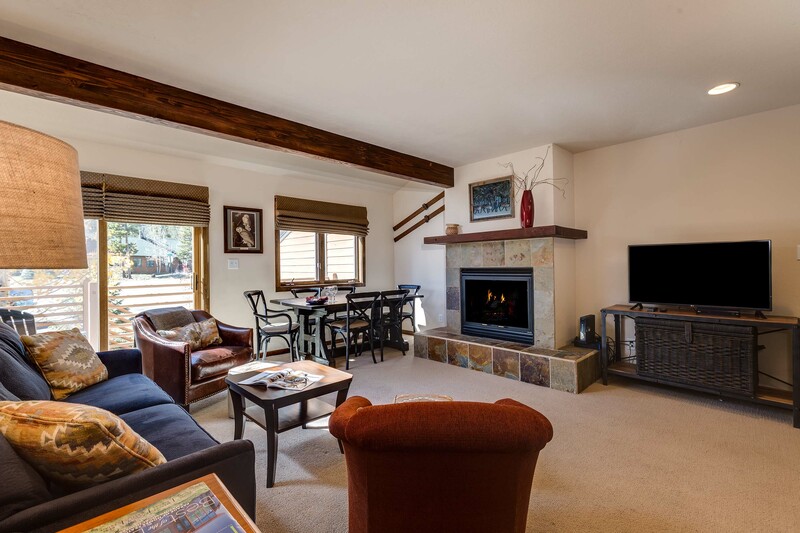 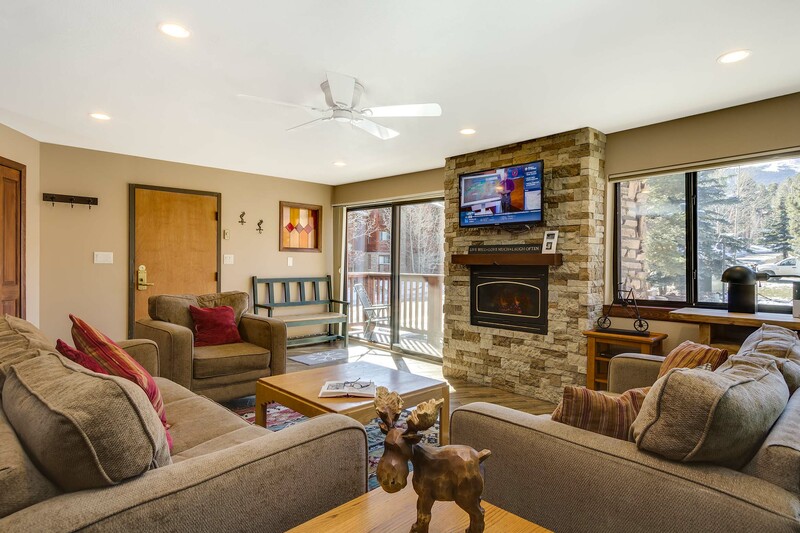 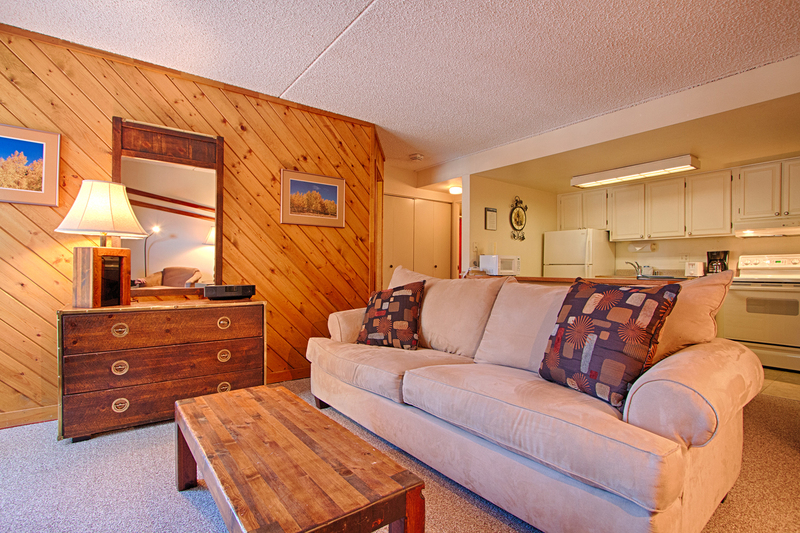 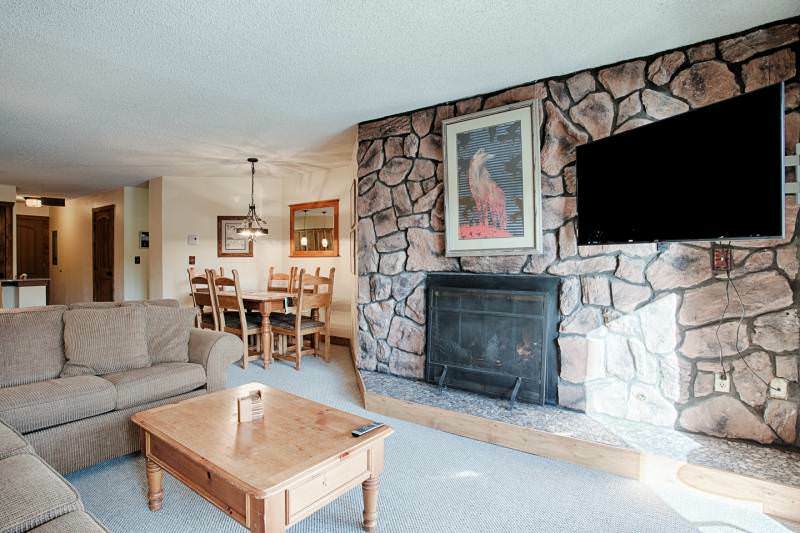 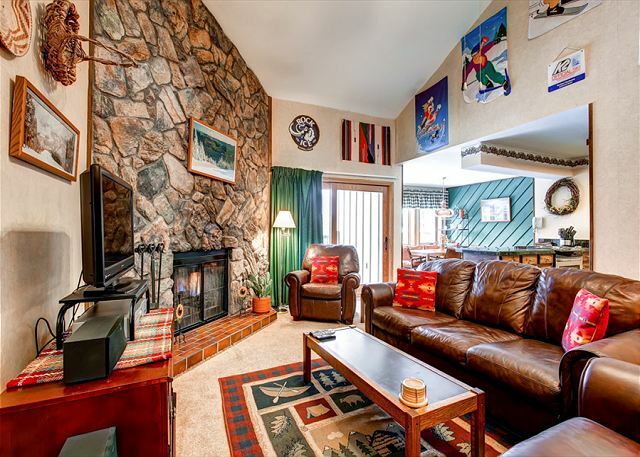 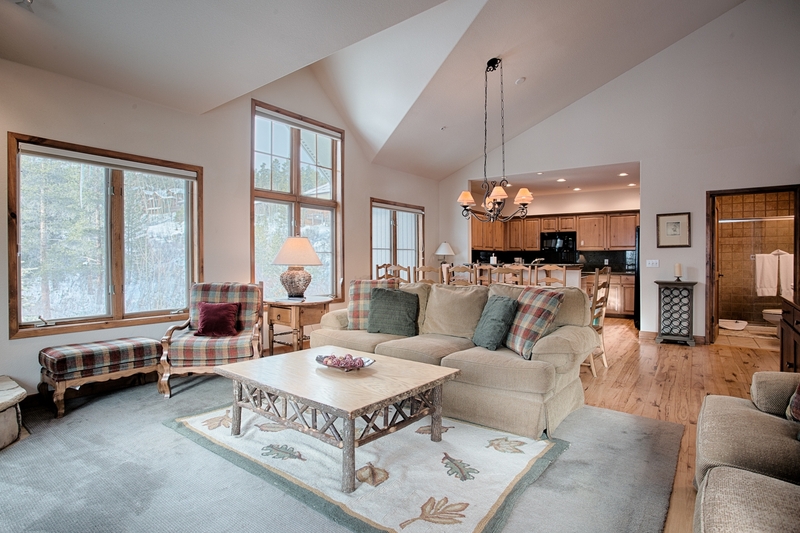 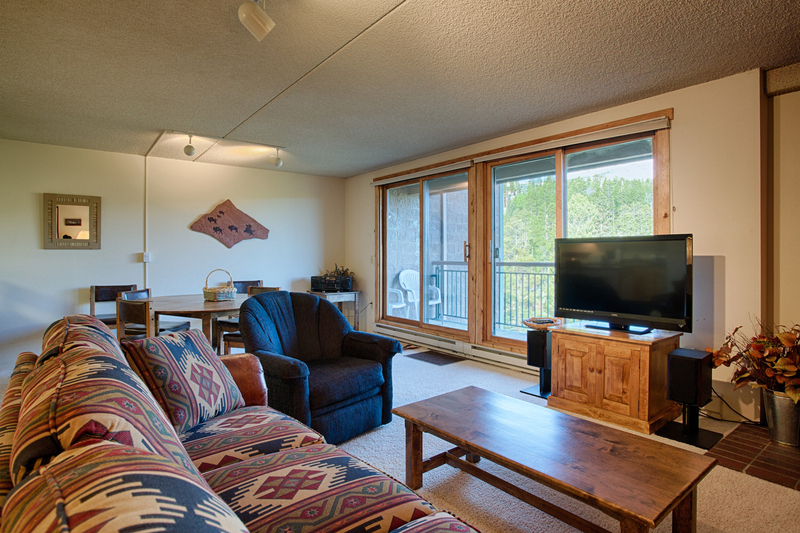 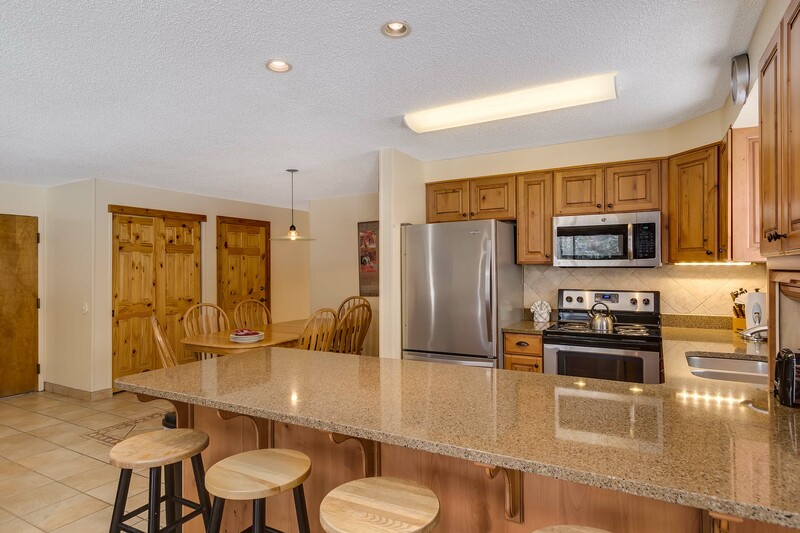 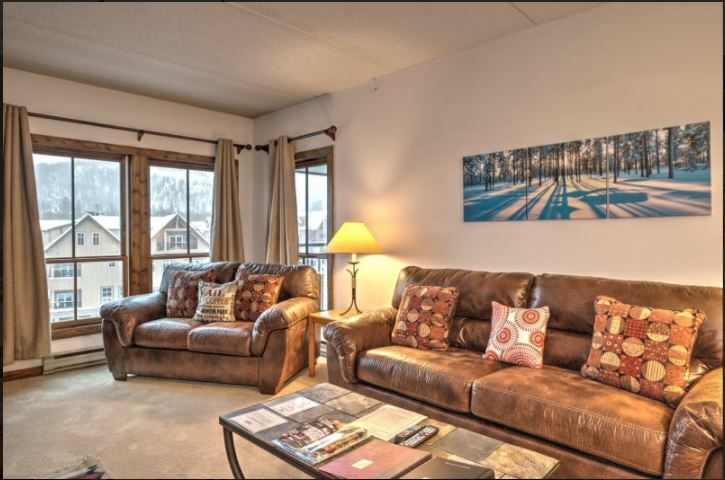 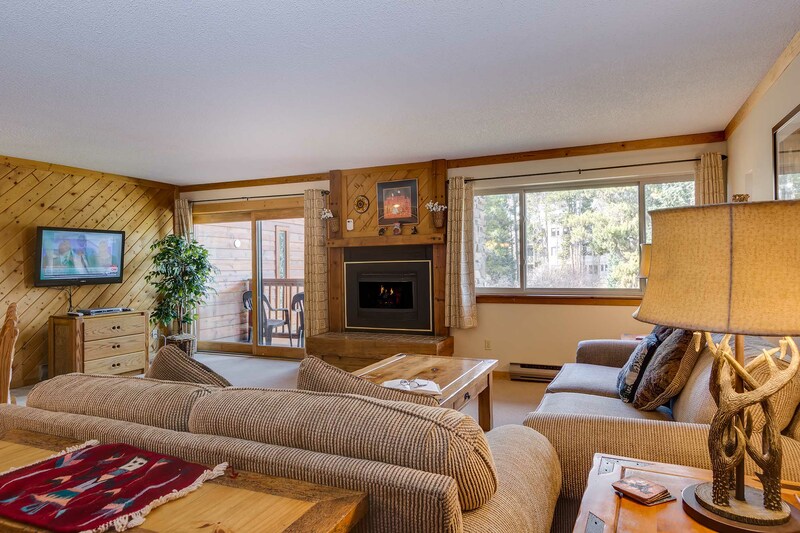 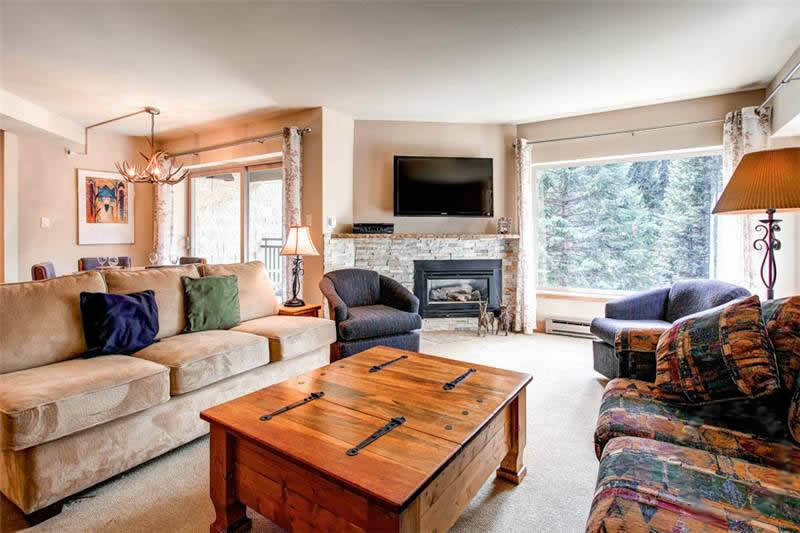 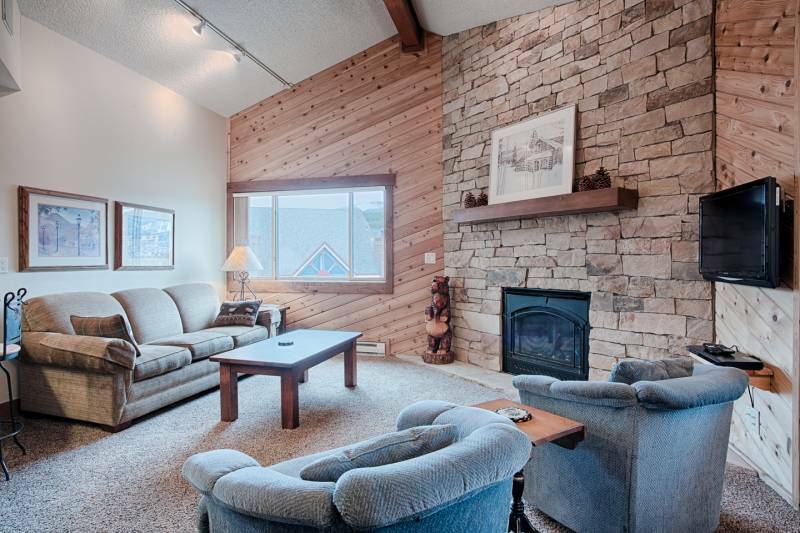 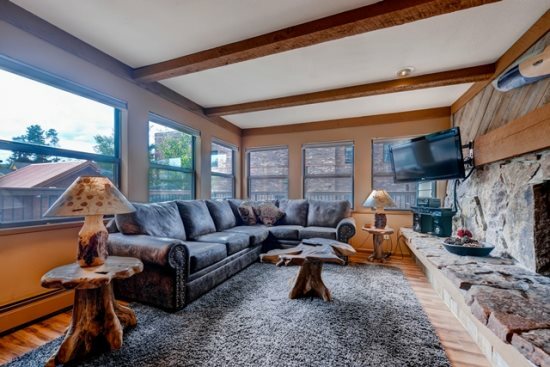 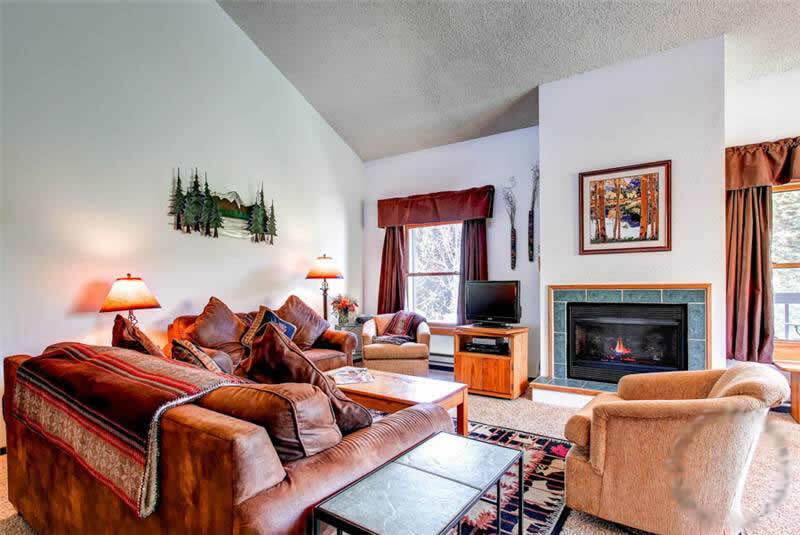 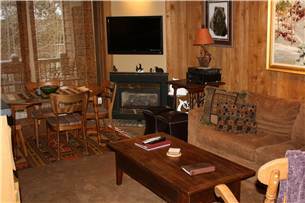 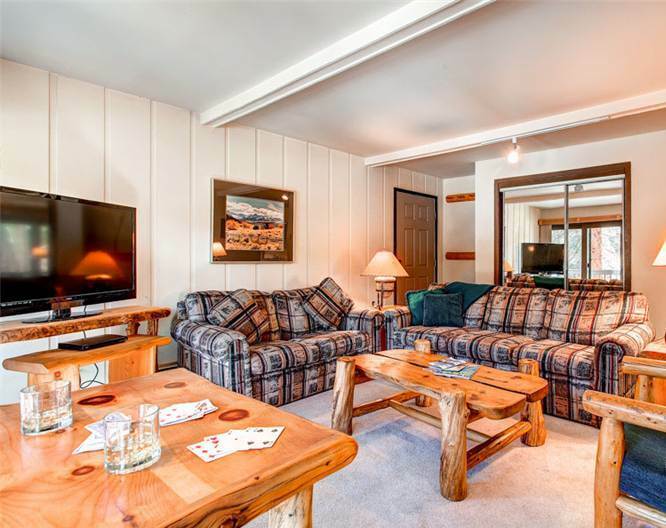 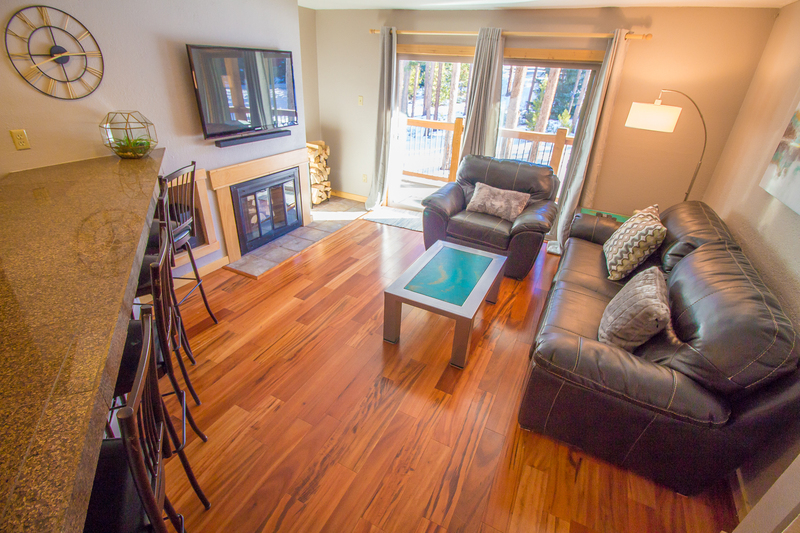 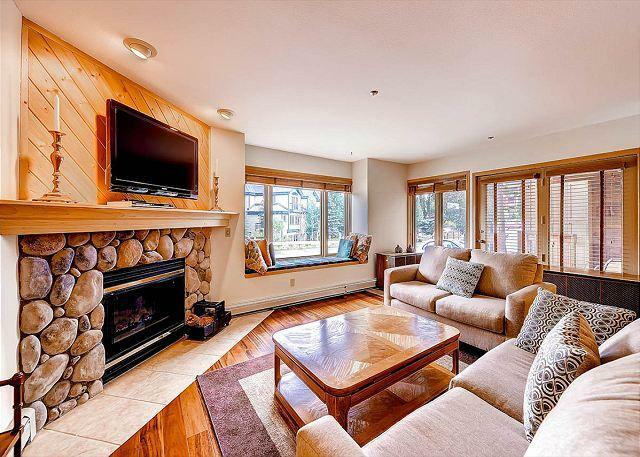 Enjoy all the amenities that Mountain Thunder Lodge and One Ski Hill Place have to offer: hot tubs, outdoor pool, work out facility, ski in access, bowling, game room and media room. 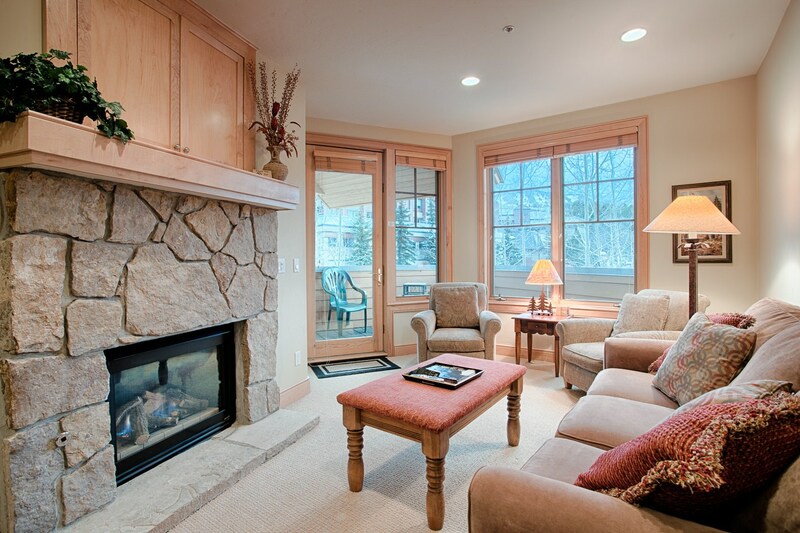 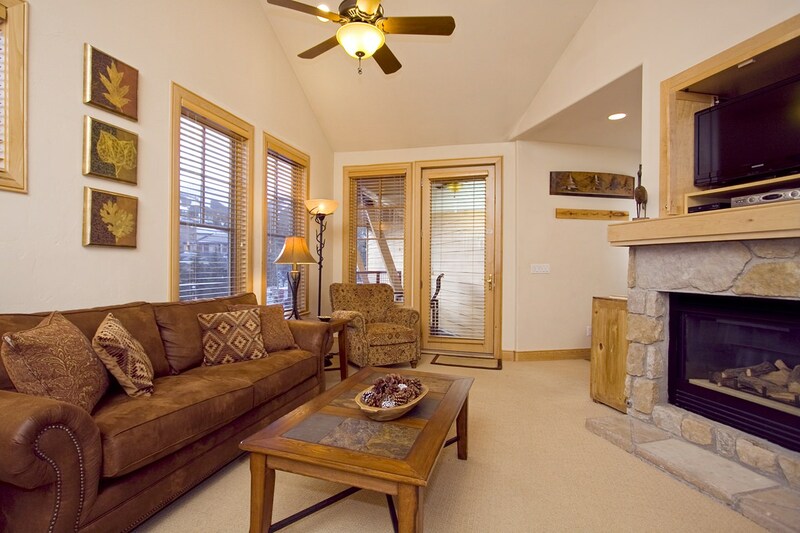 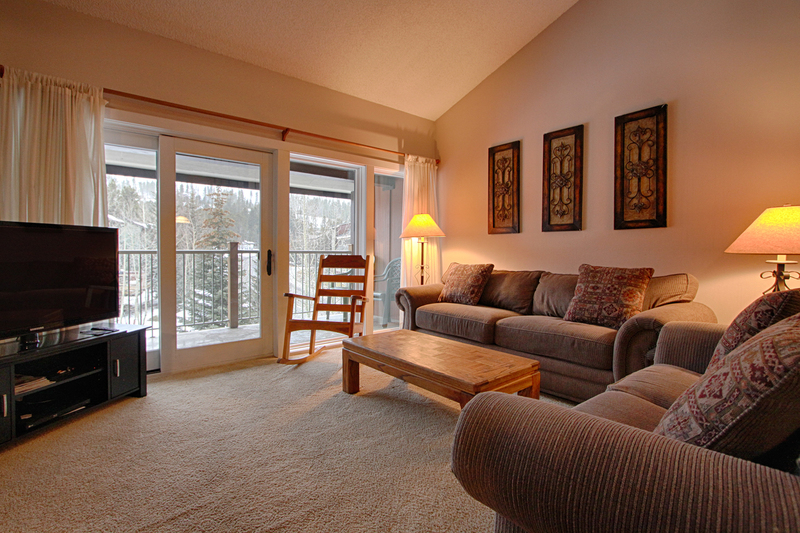 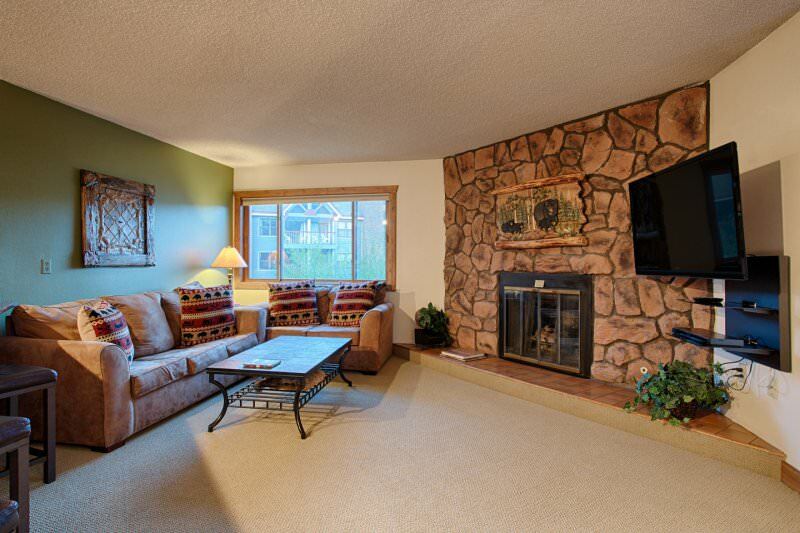 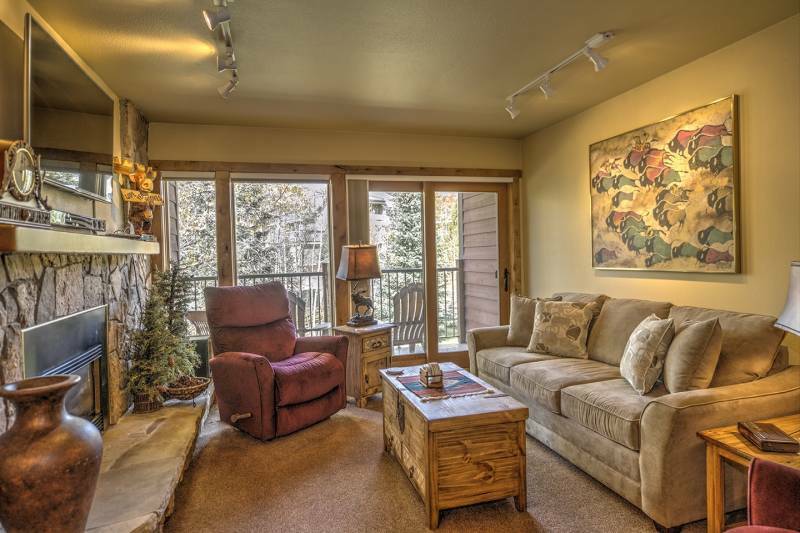 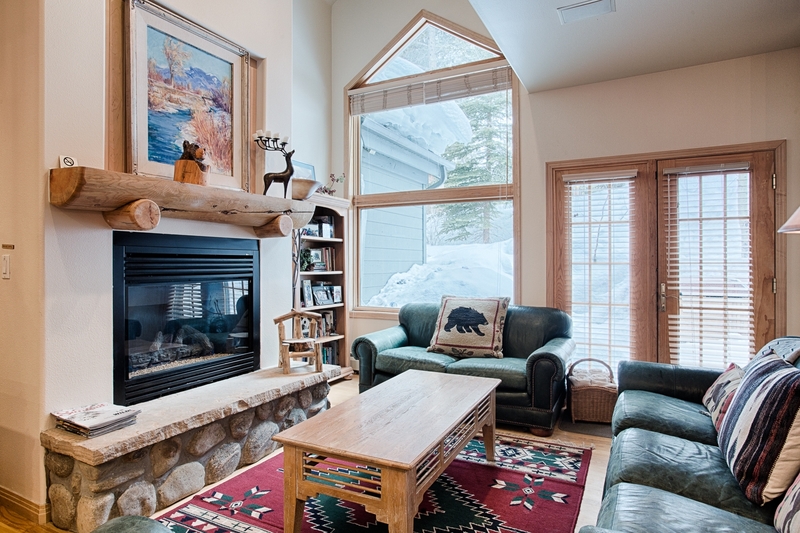 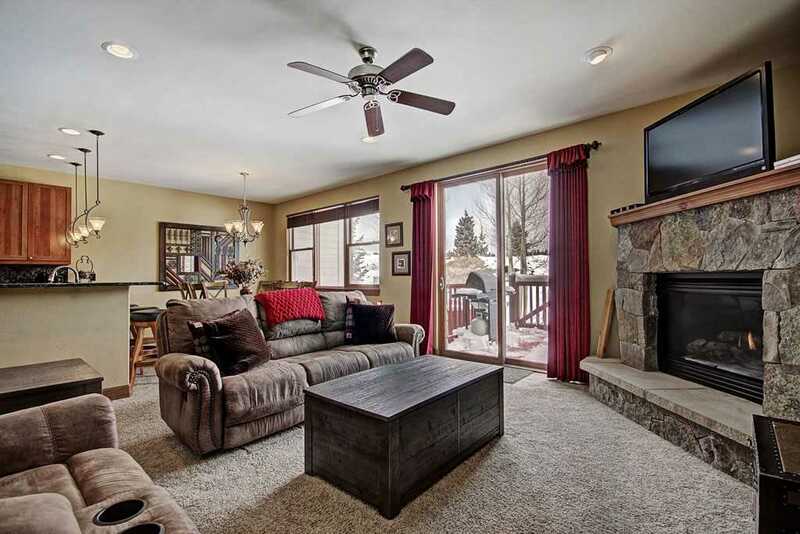 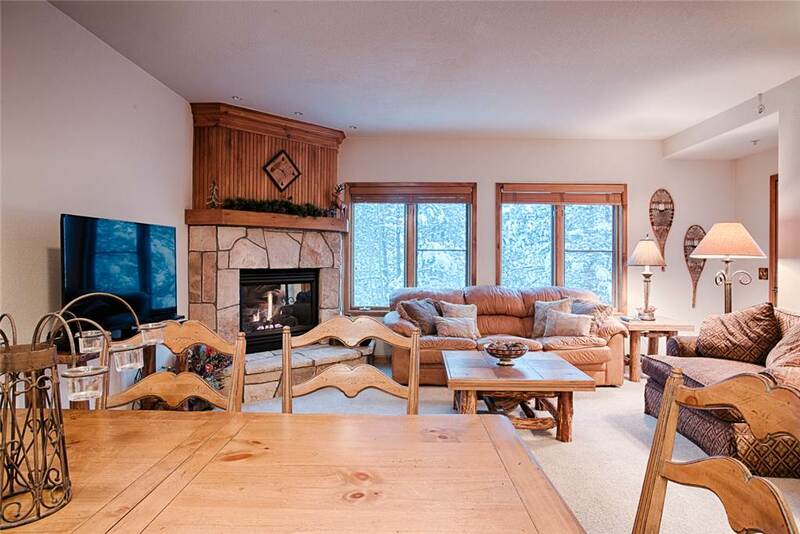 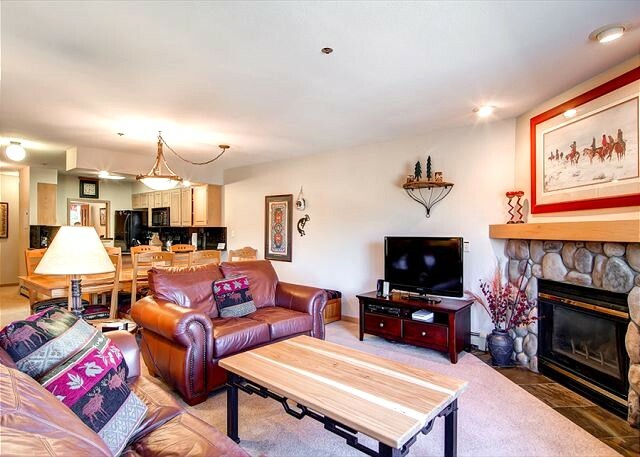 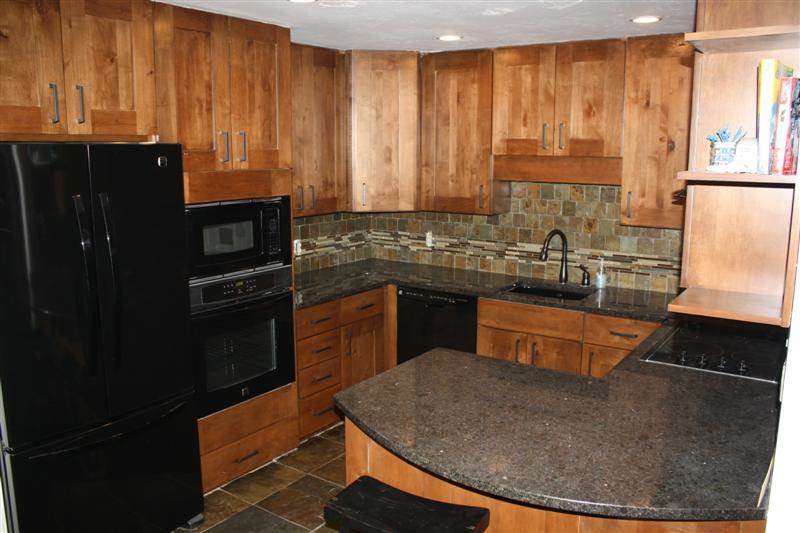 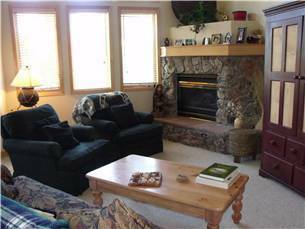 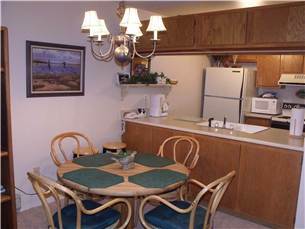 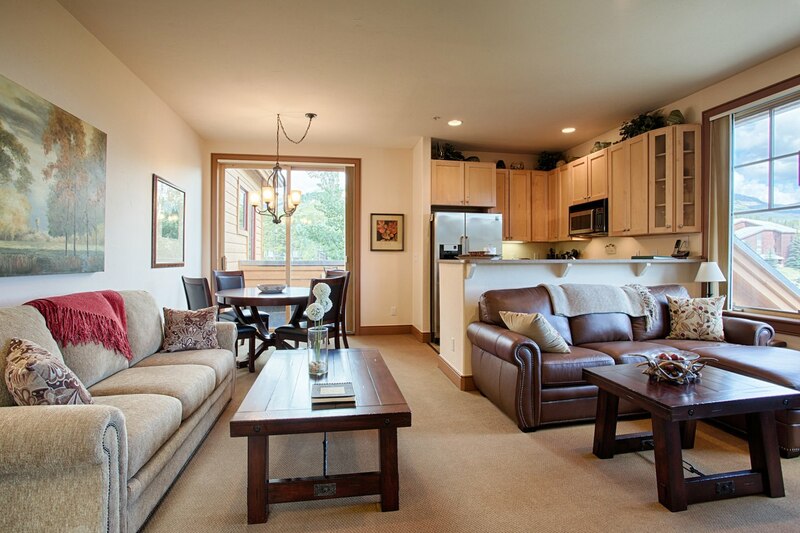 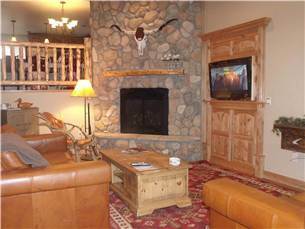 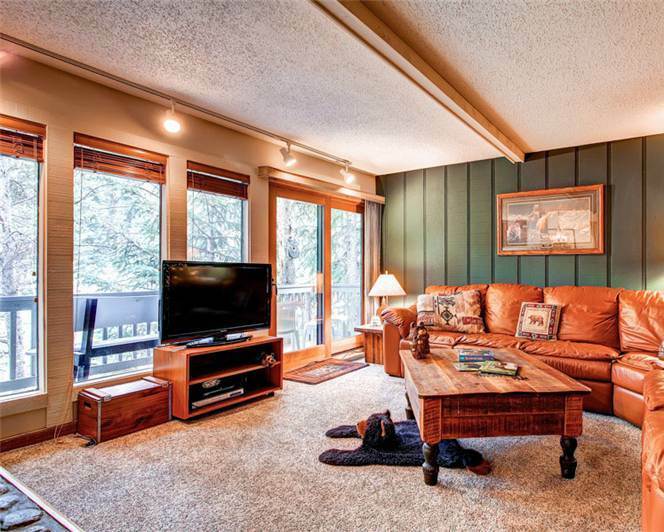 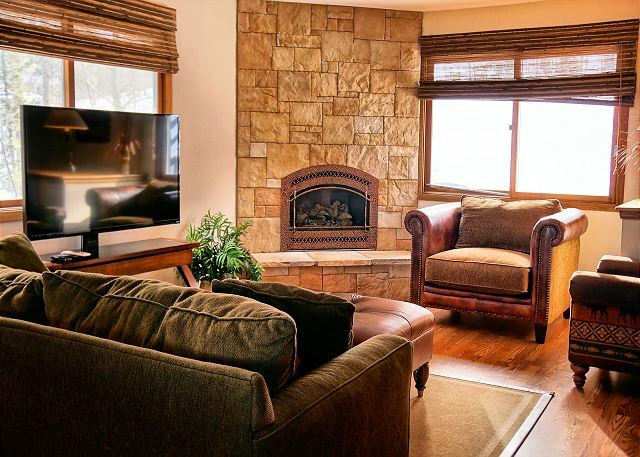 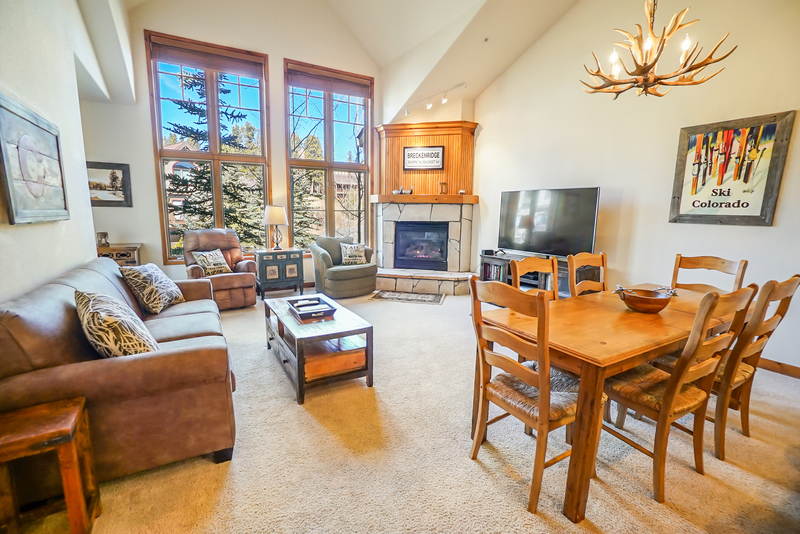 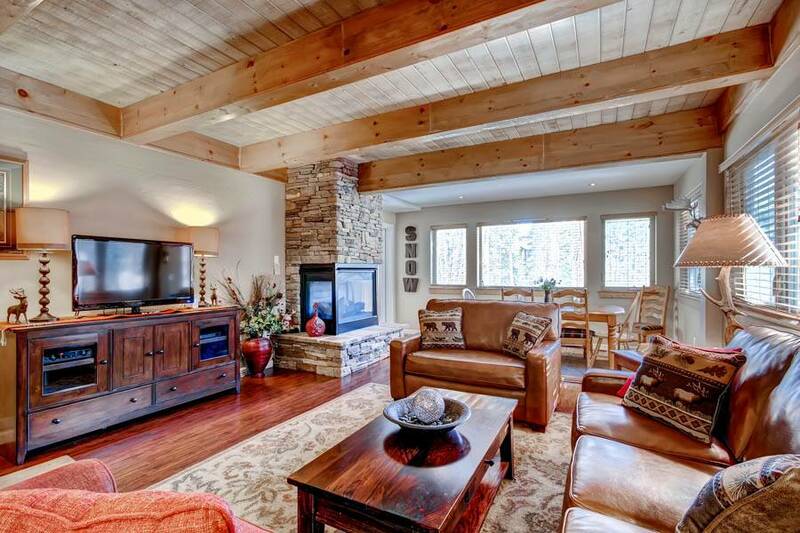 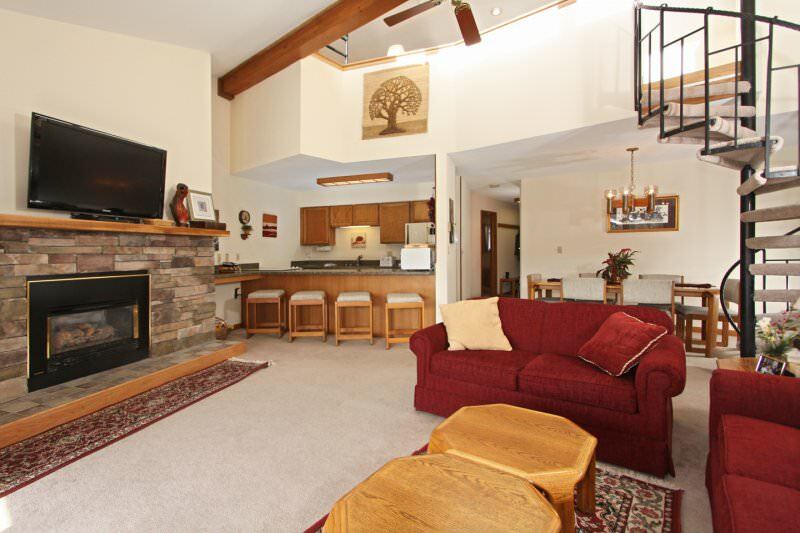 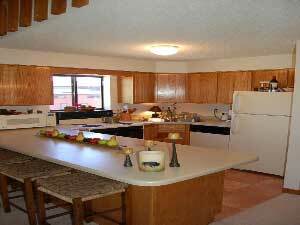 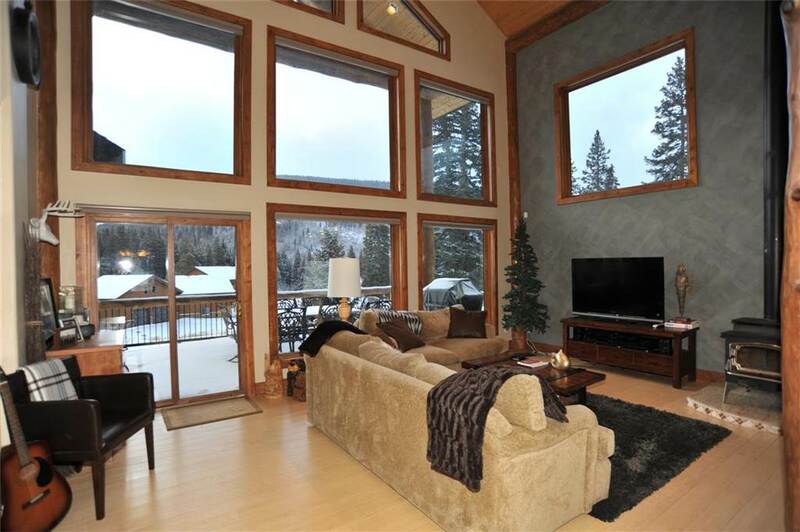 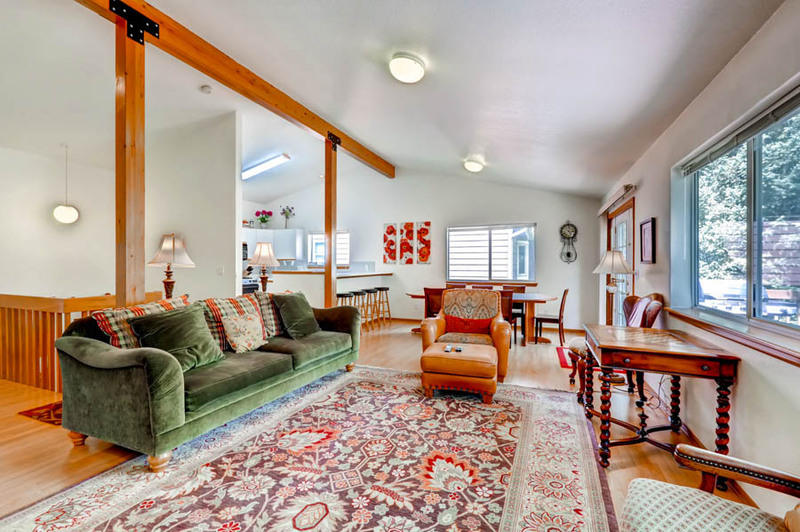 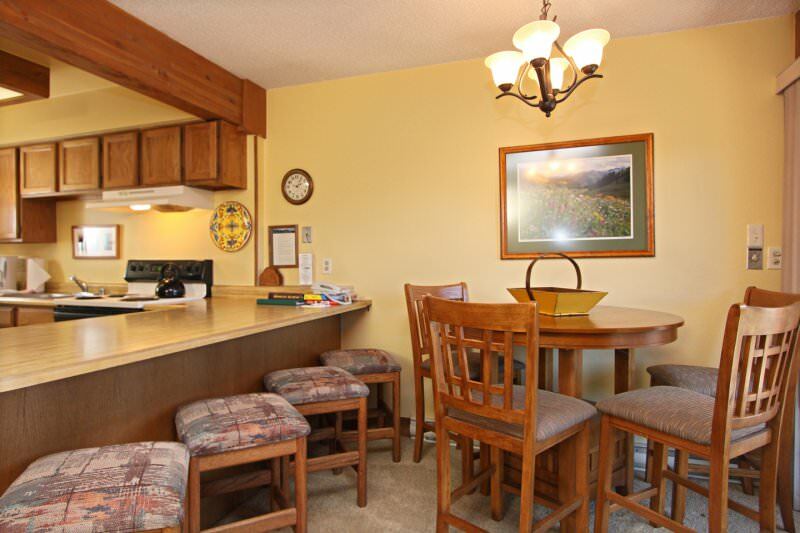 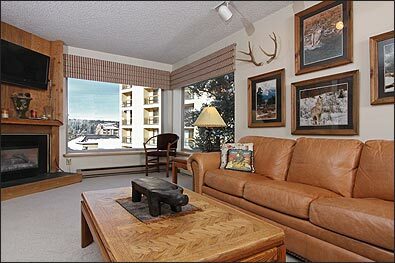 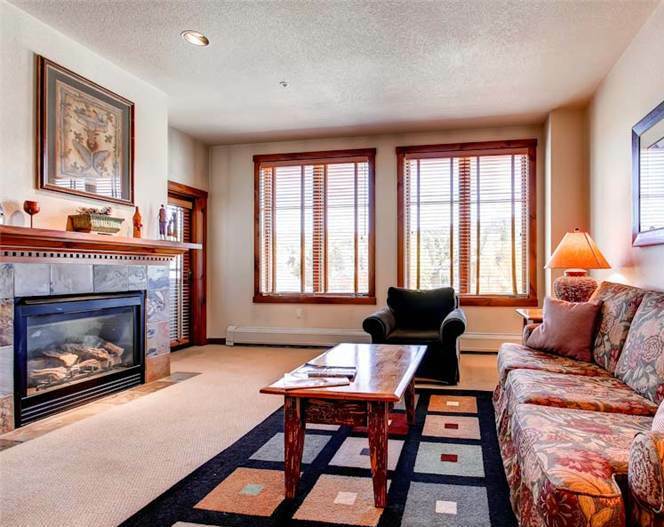 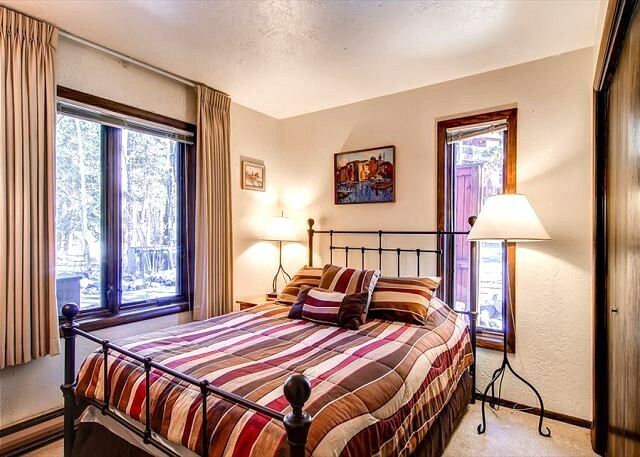 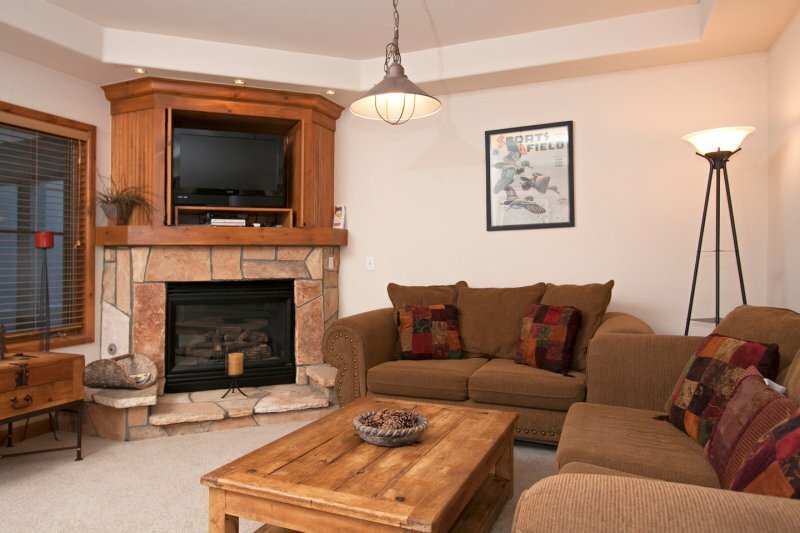 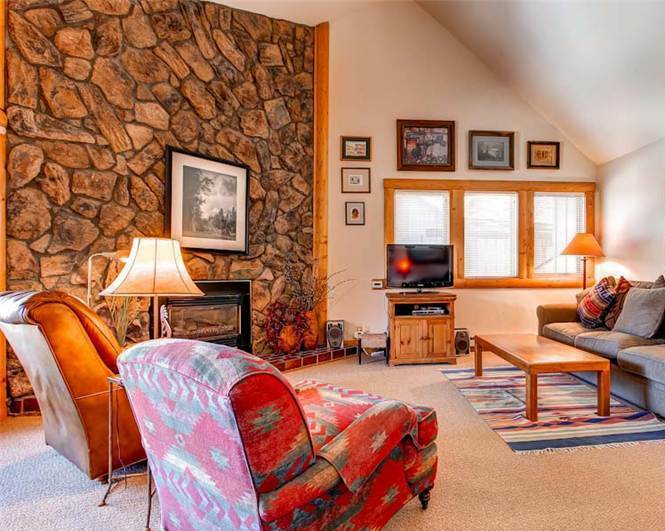 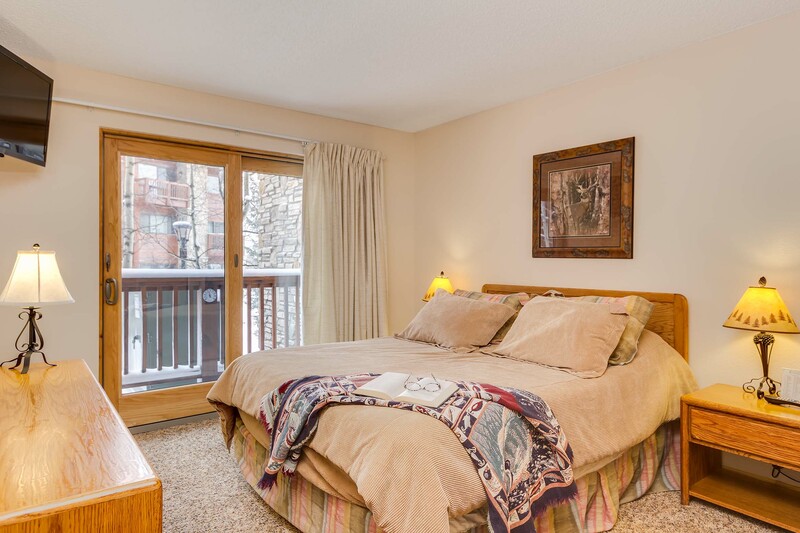 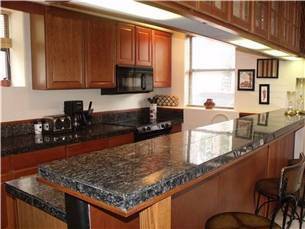 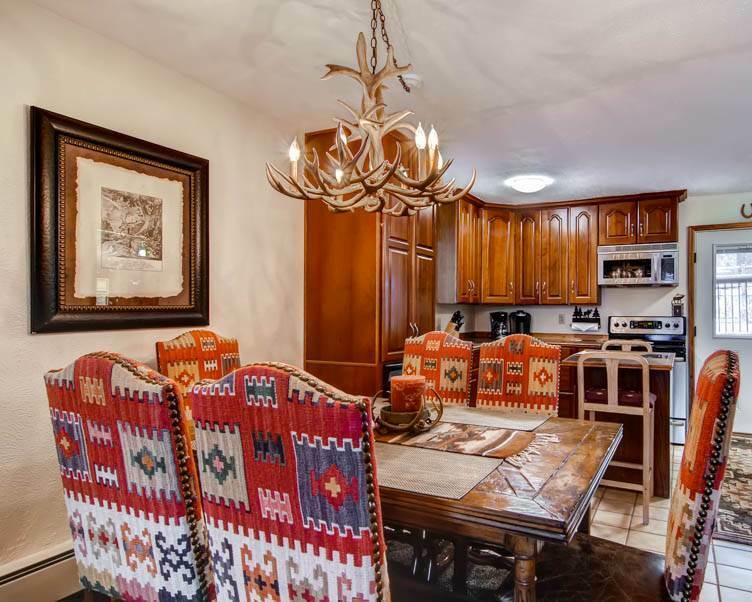 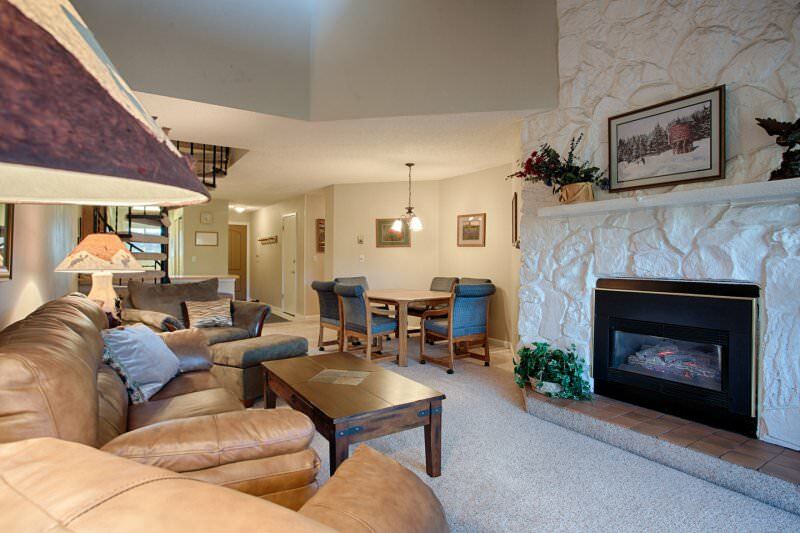 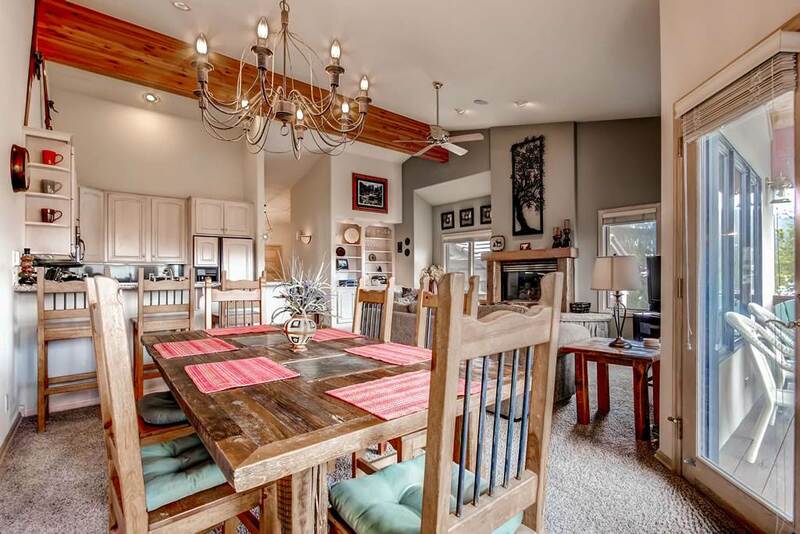 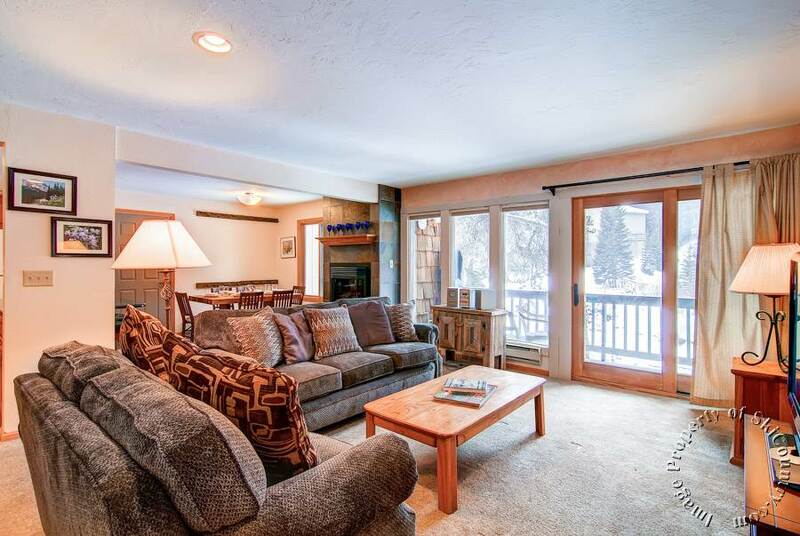 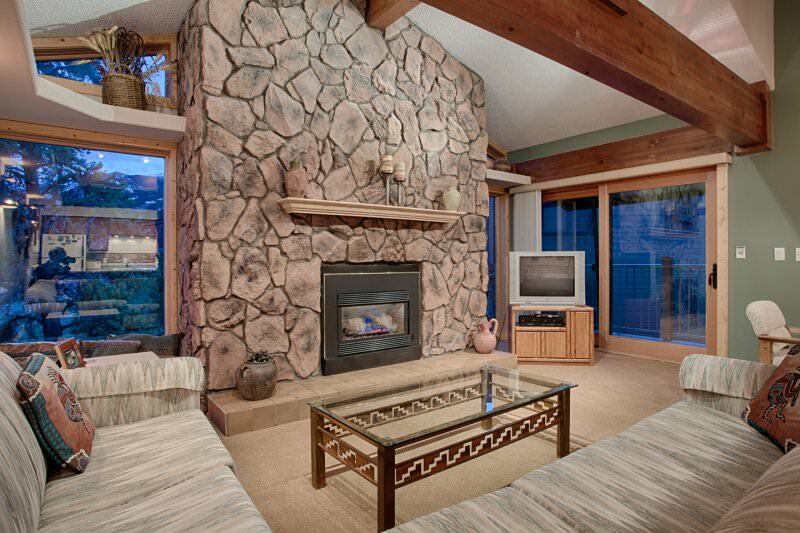 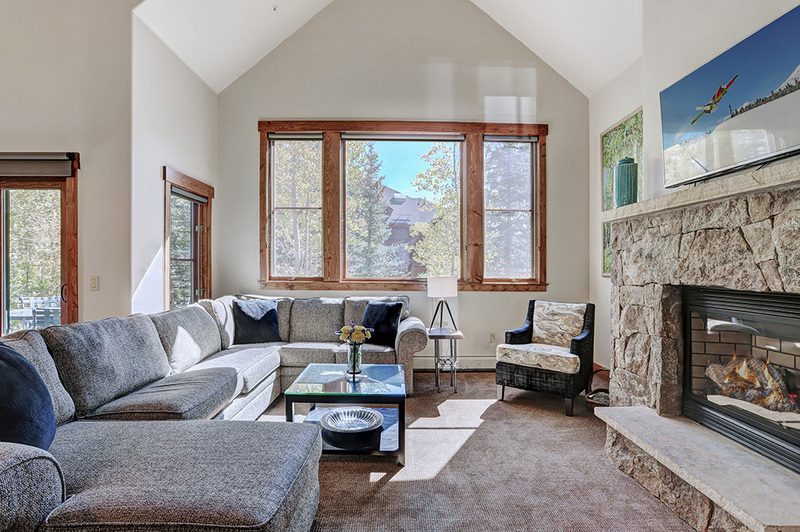 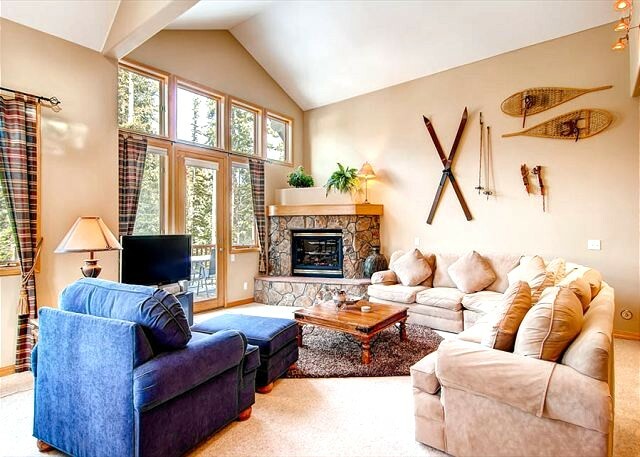 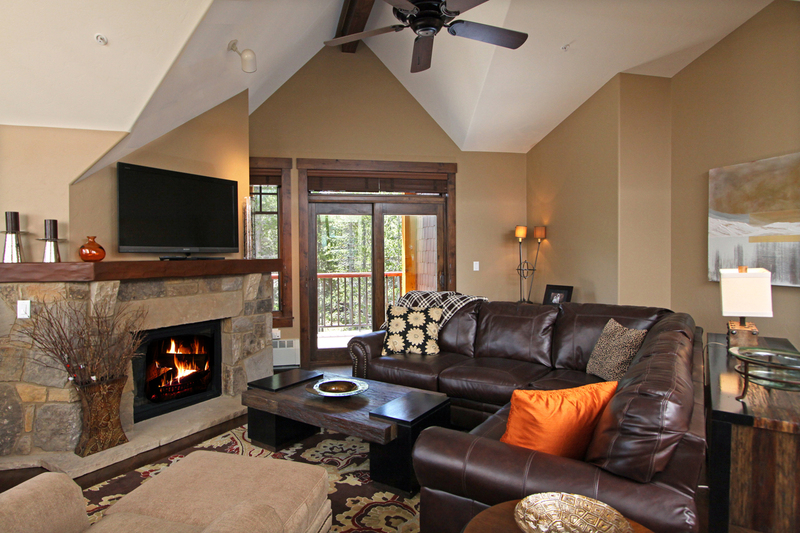 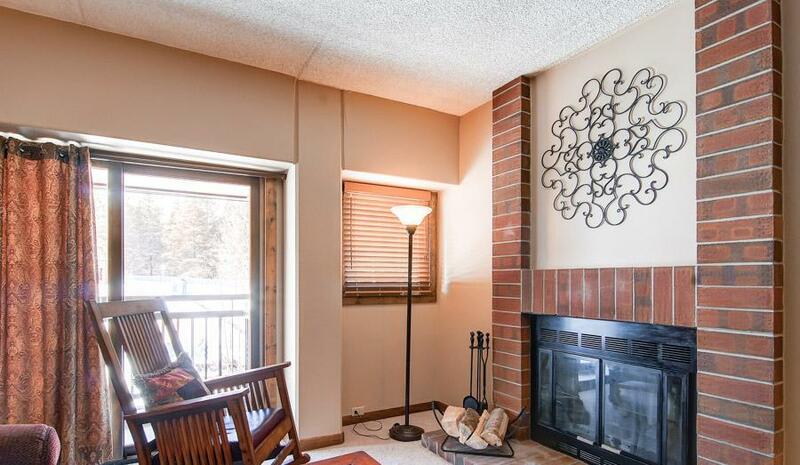 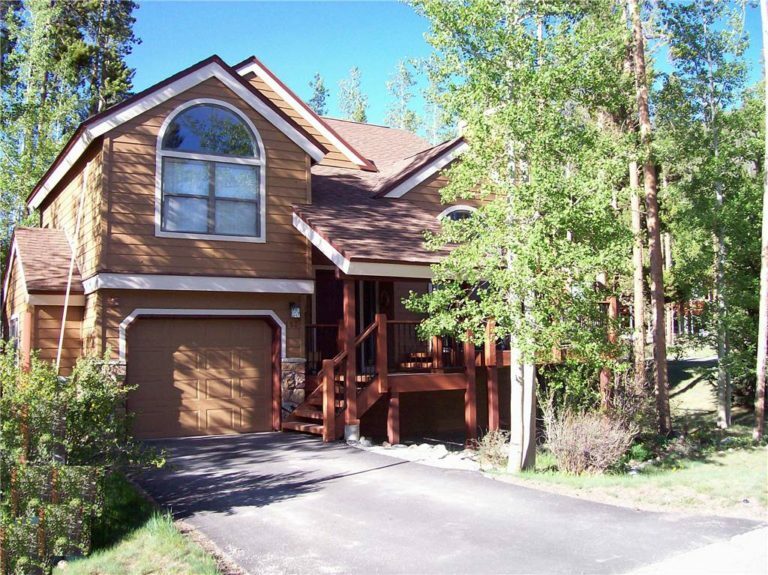 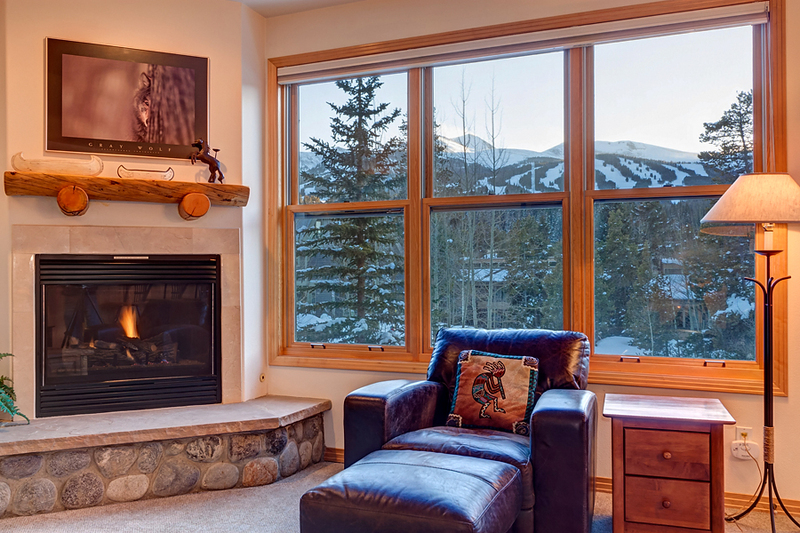 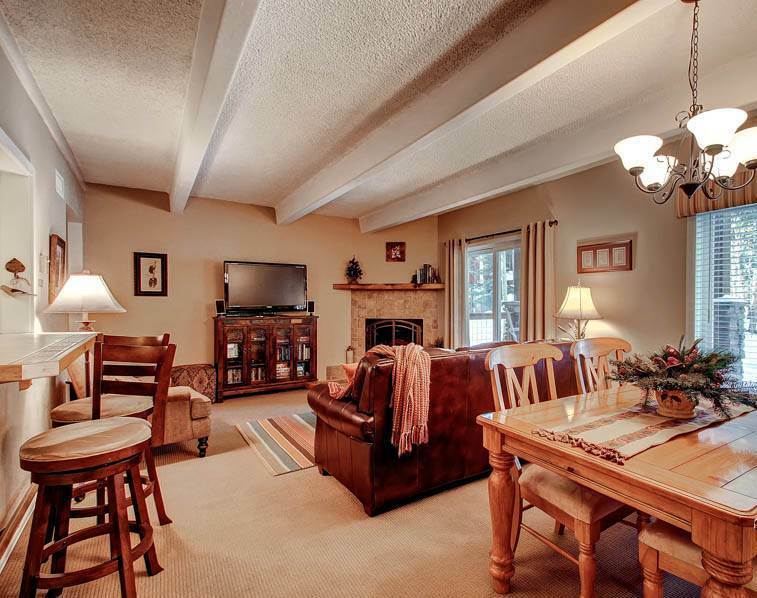 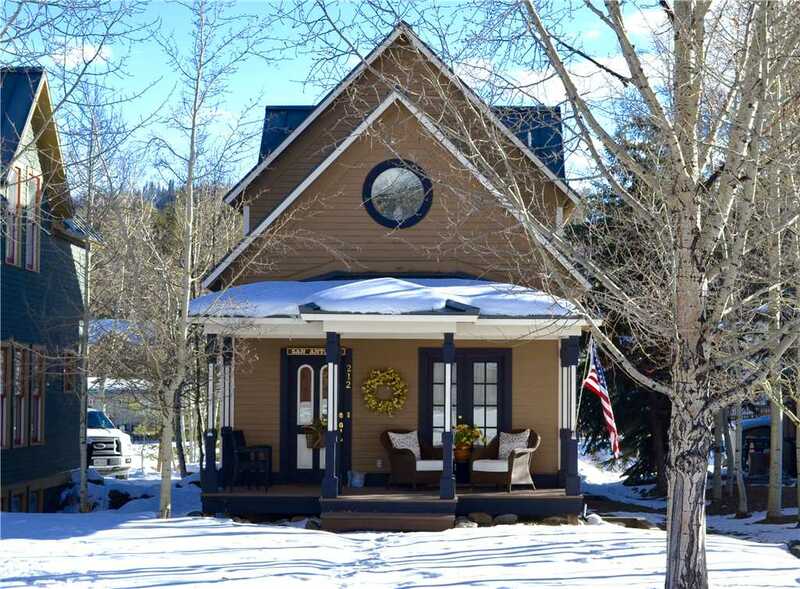 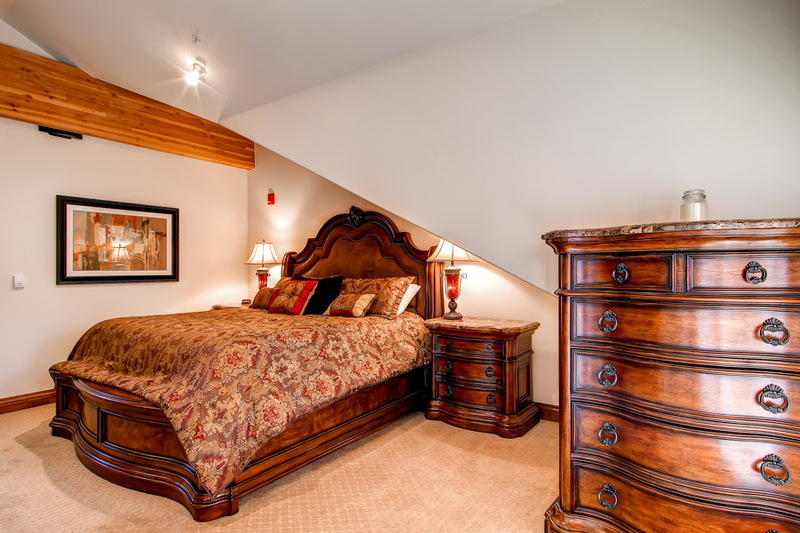 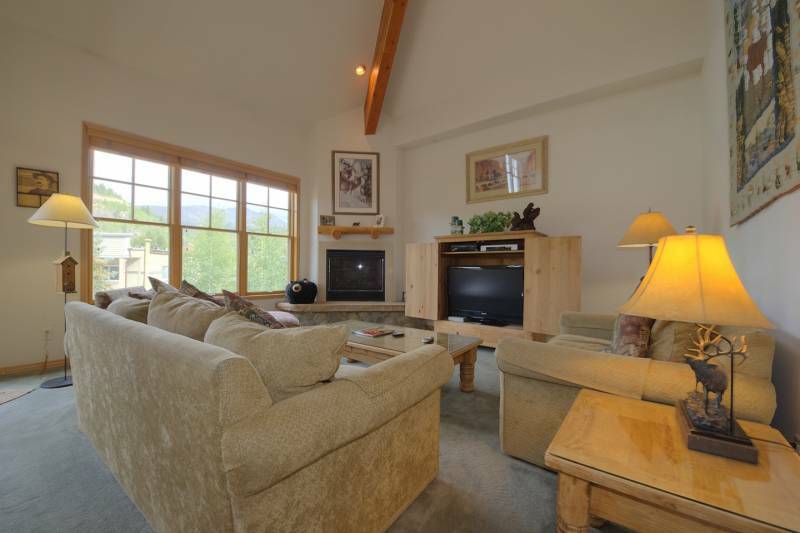 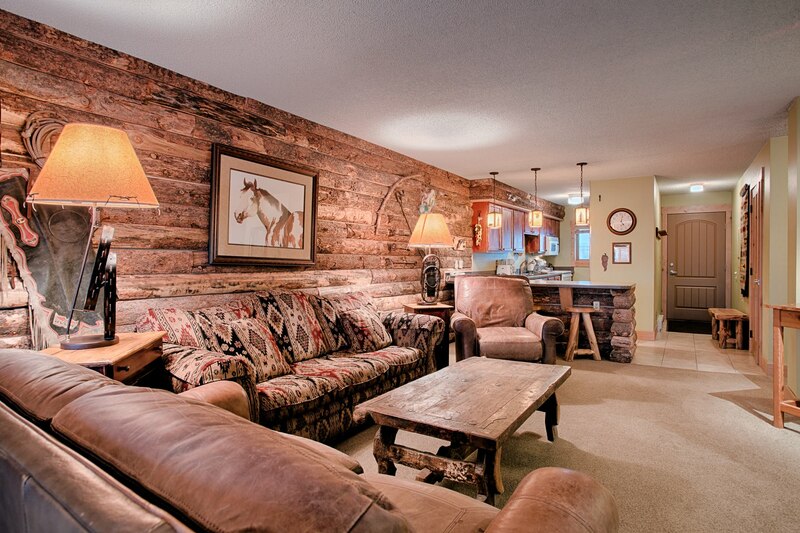 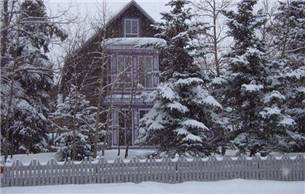 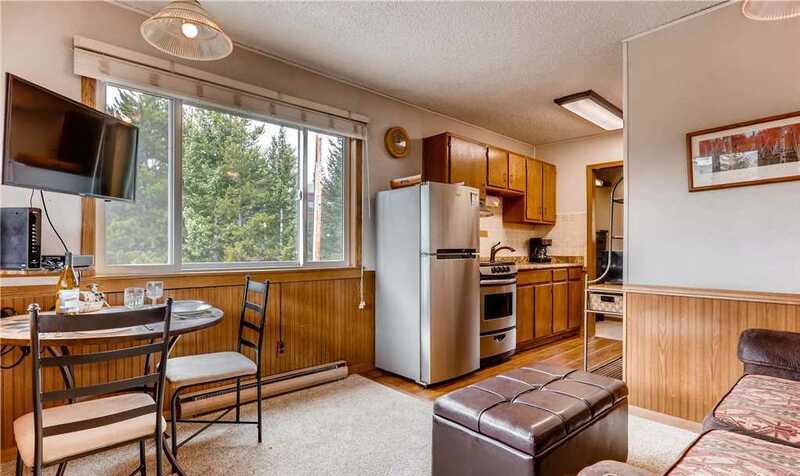 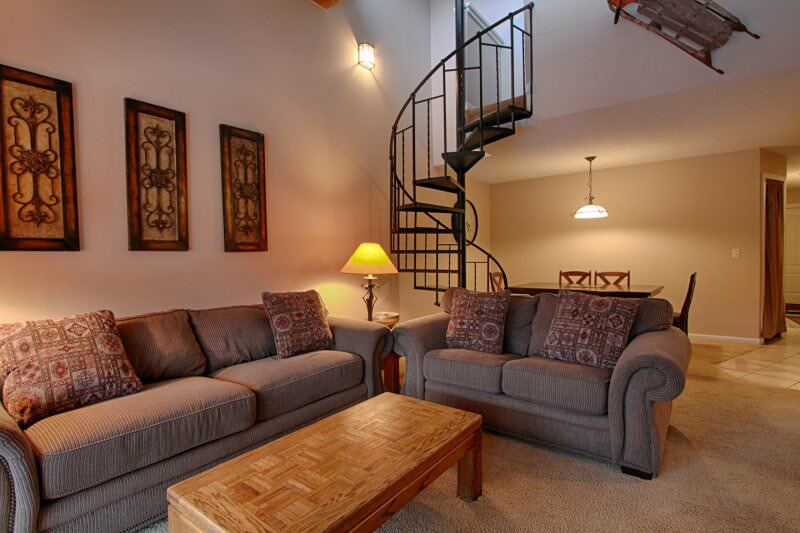 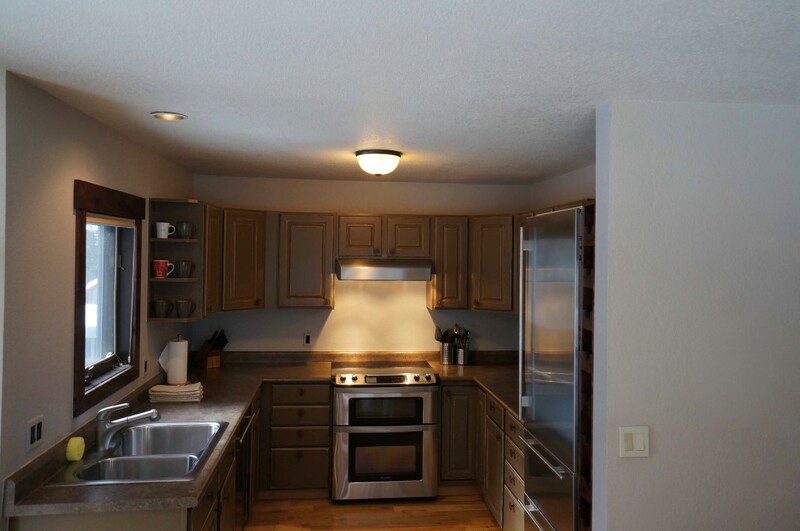 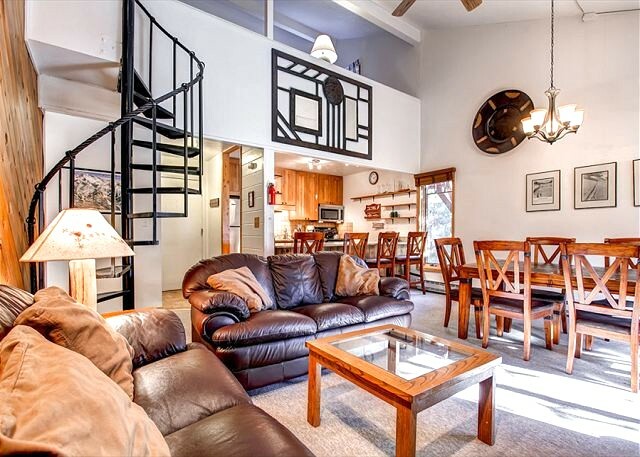 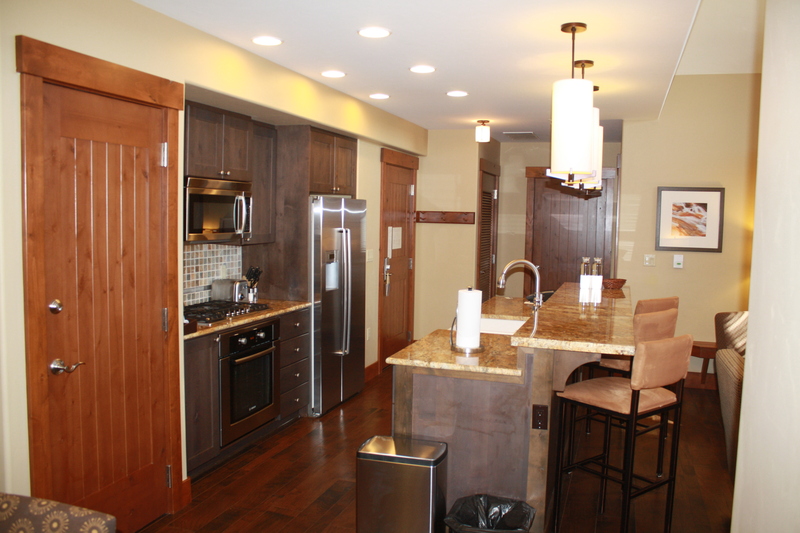 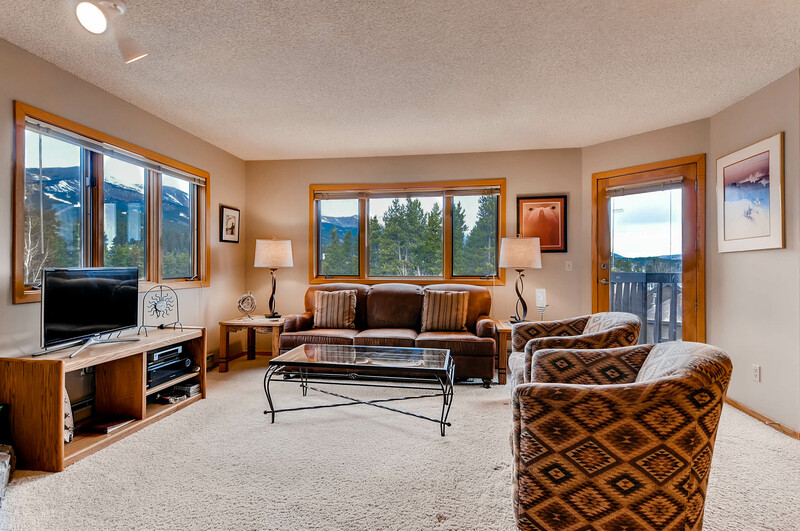 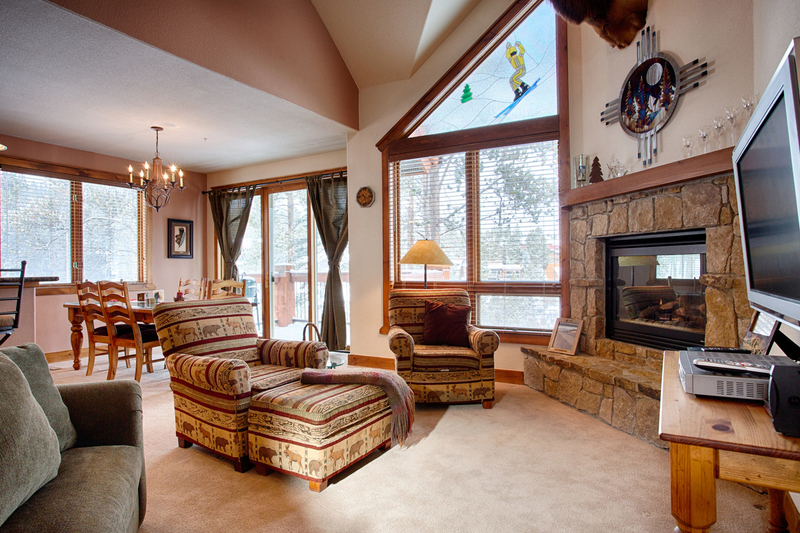 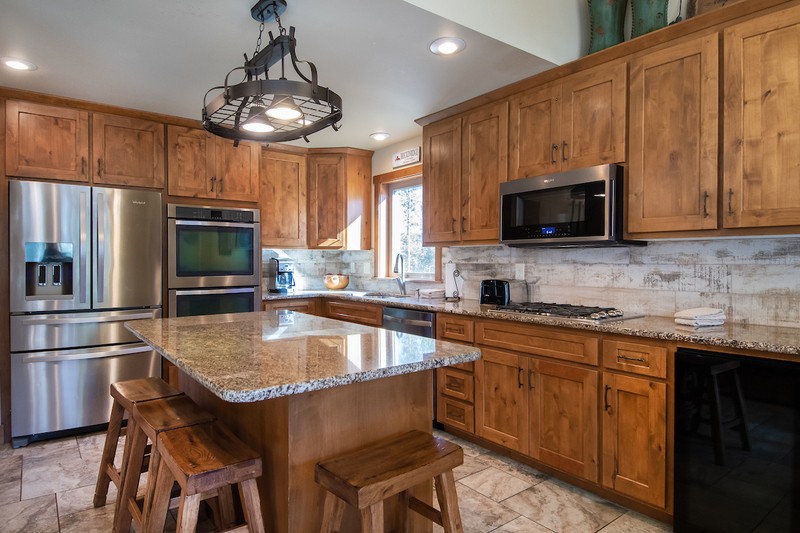 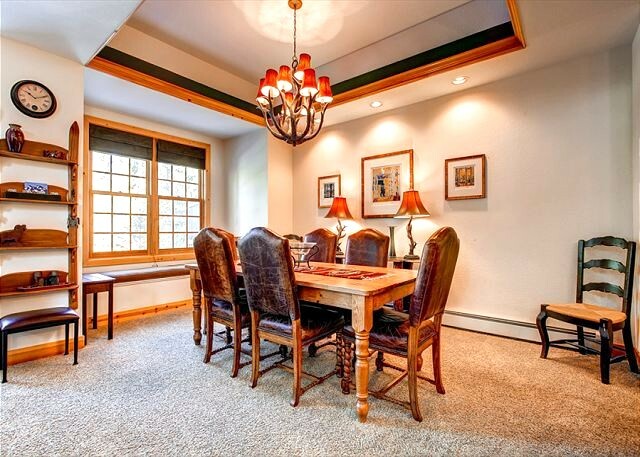 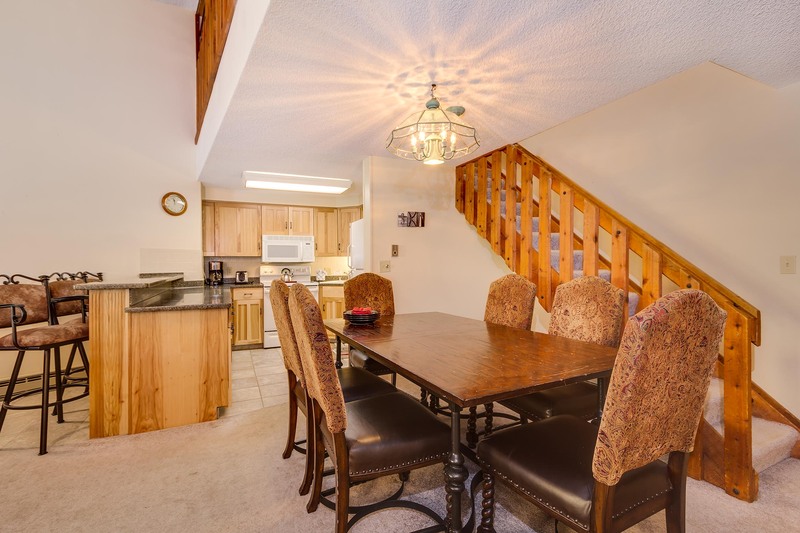 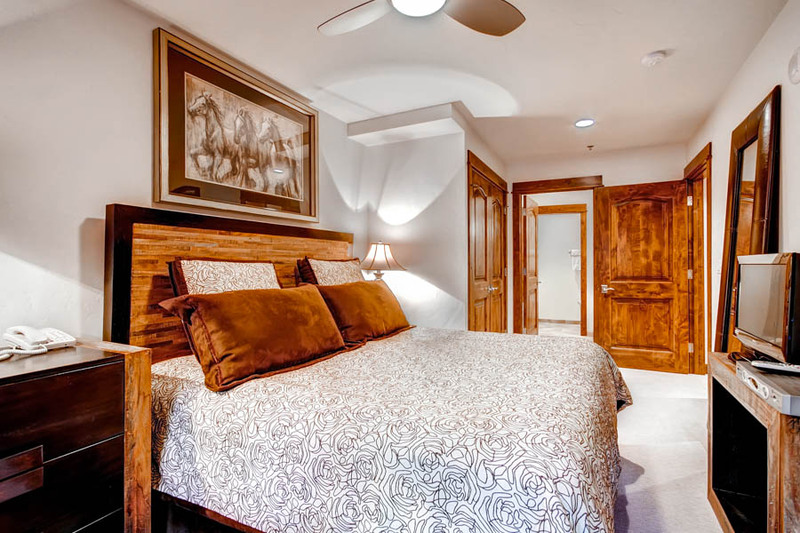 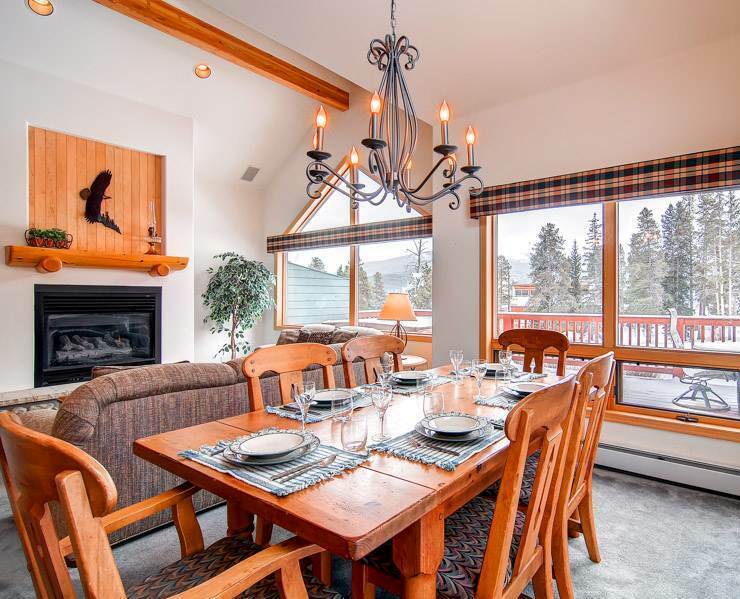 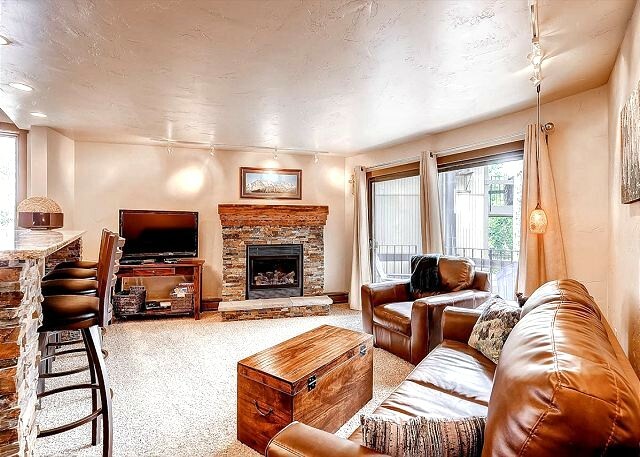 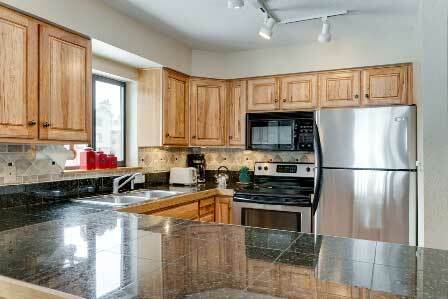 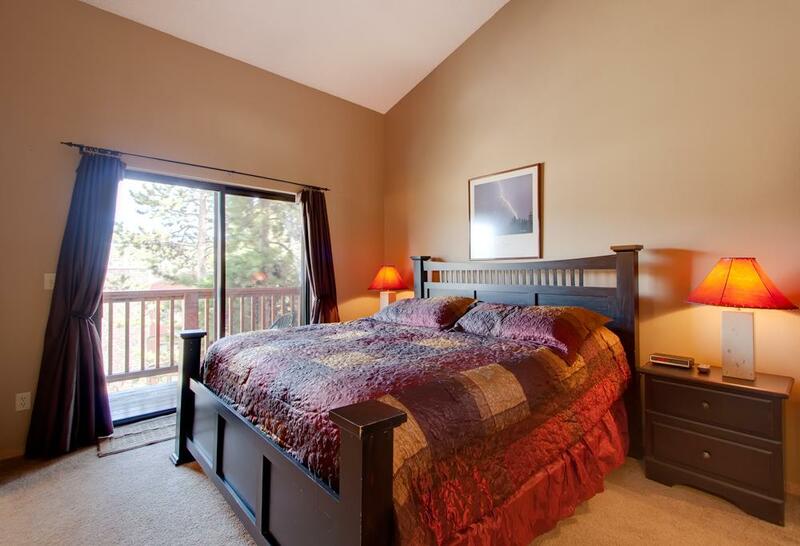 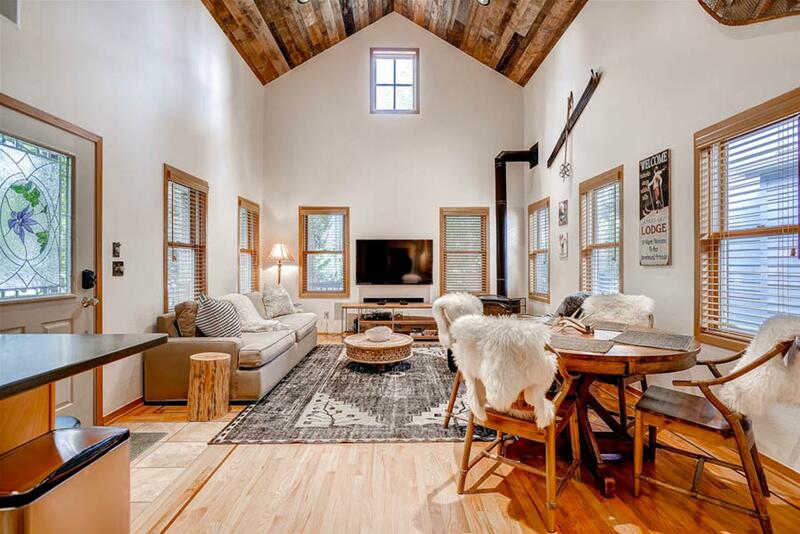 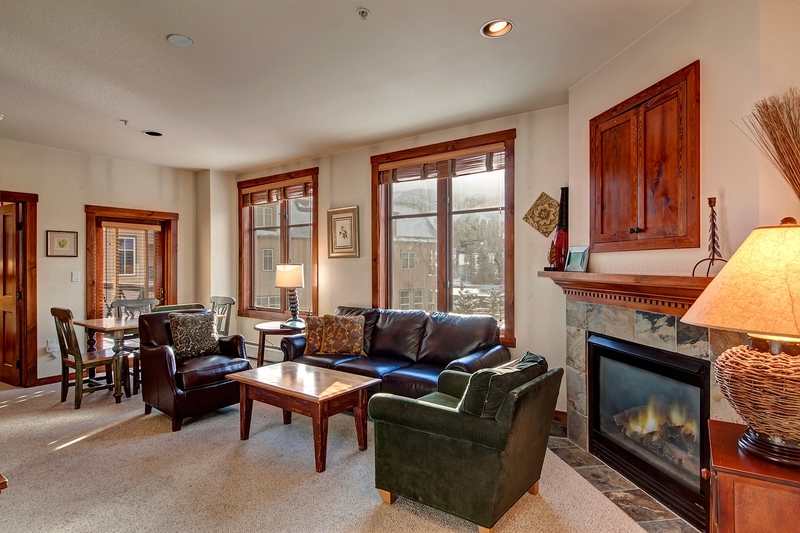 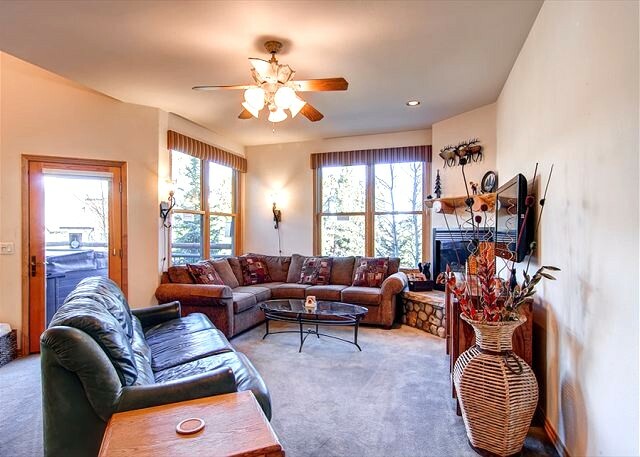 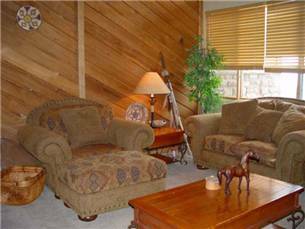 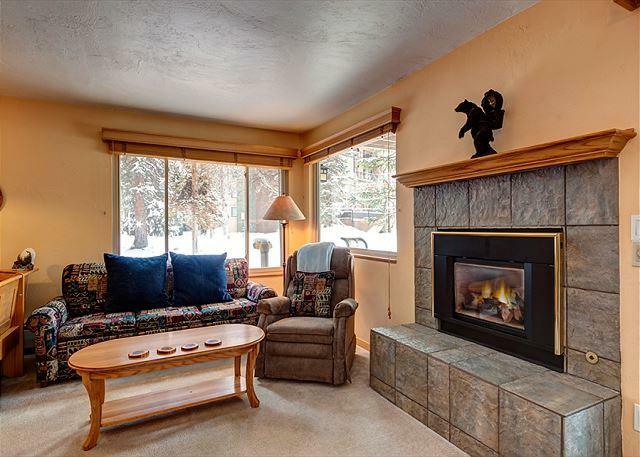 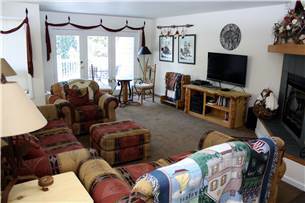 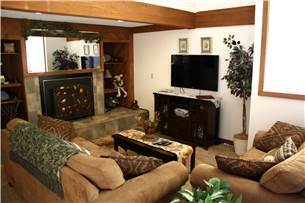 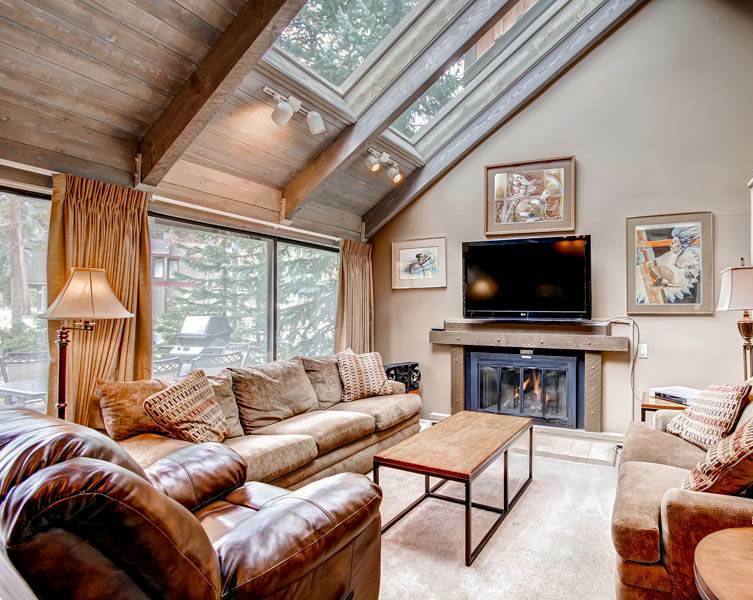 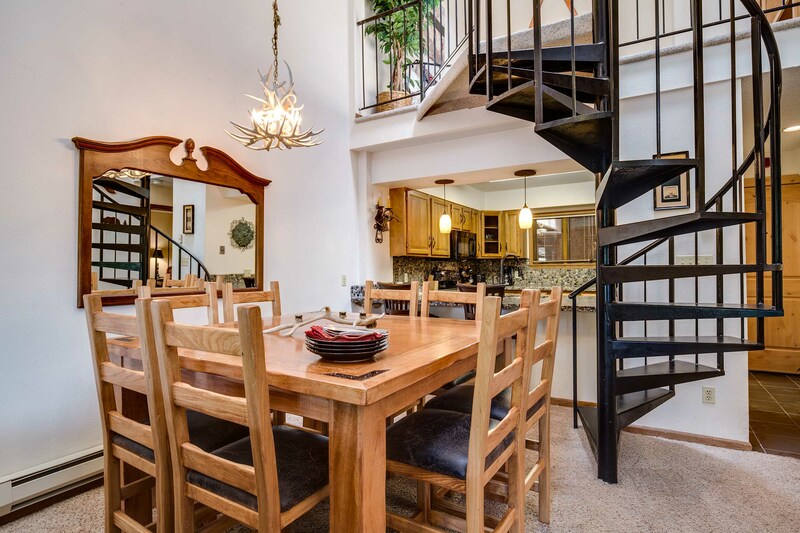 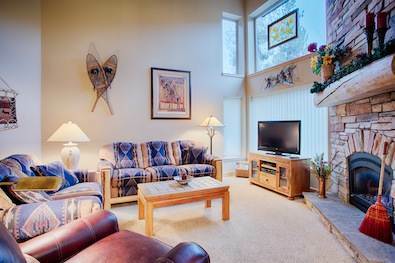 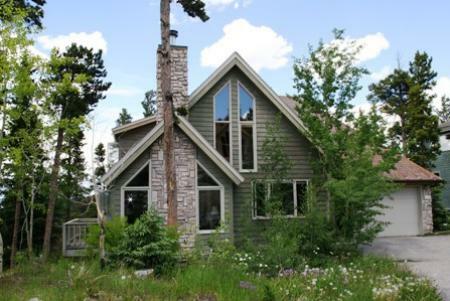 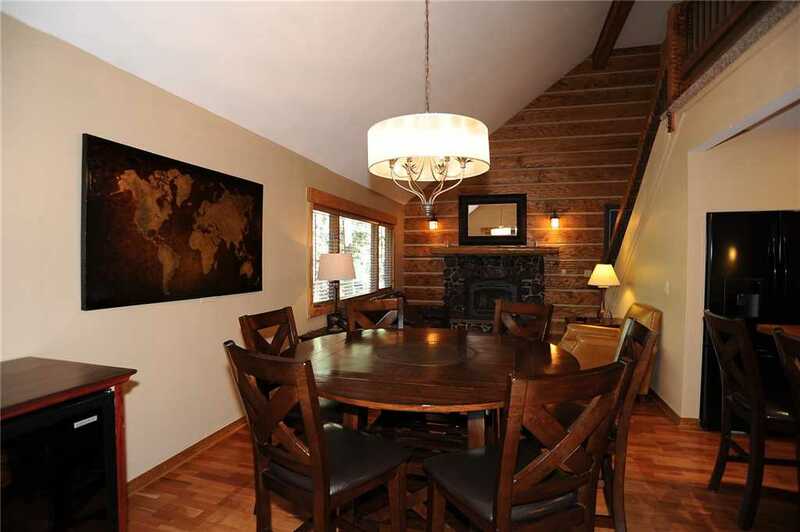 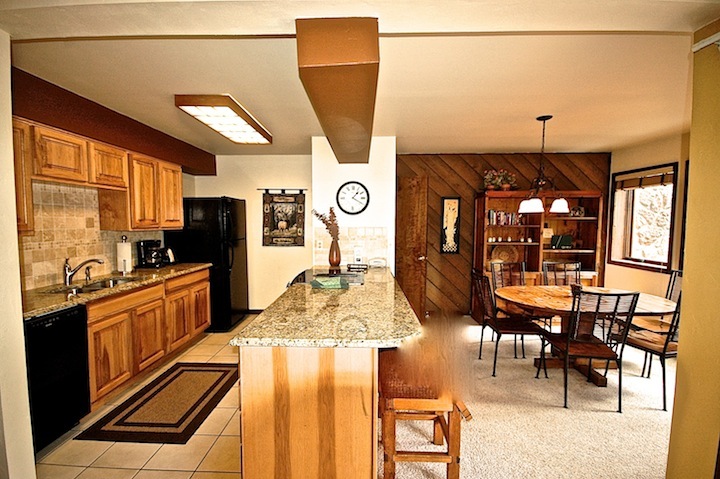 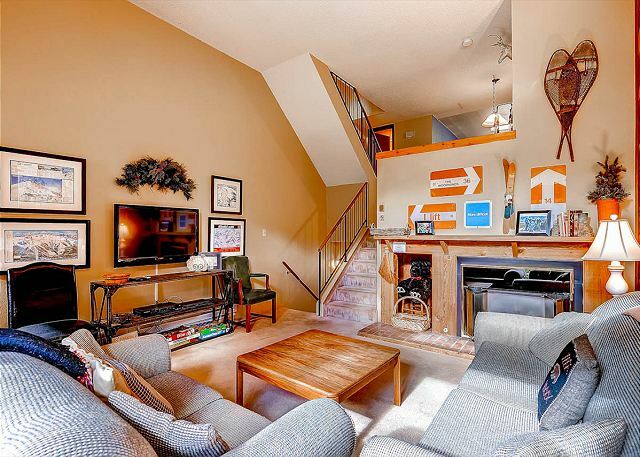 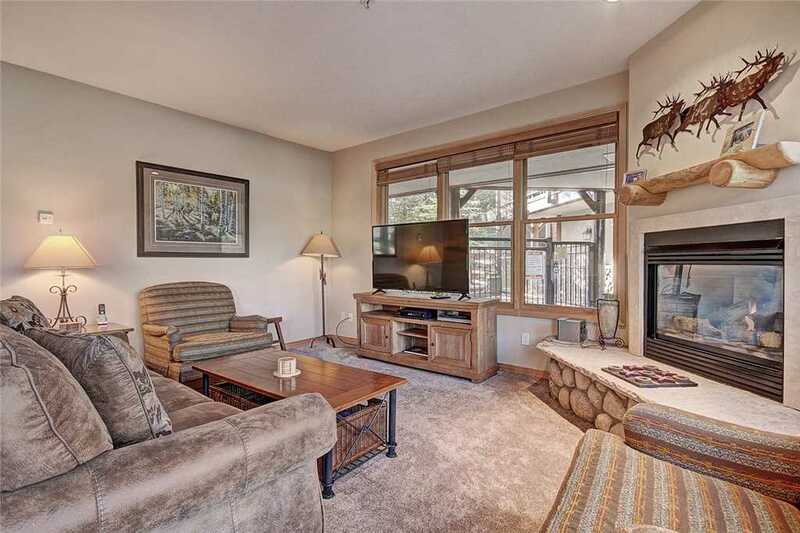 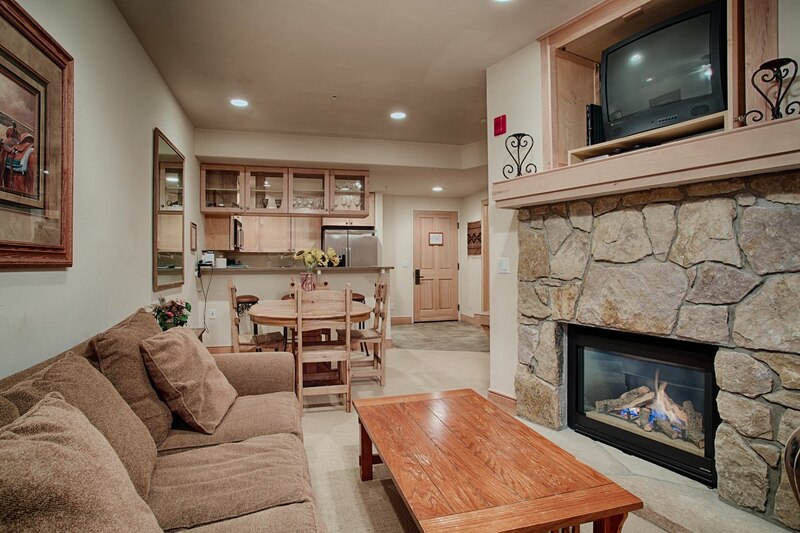 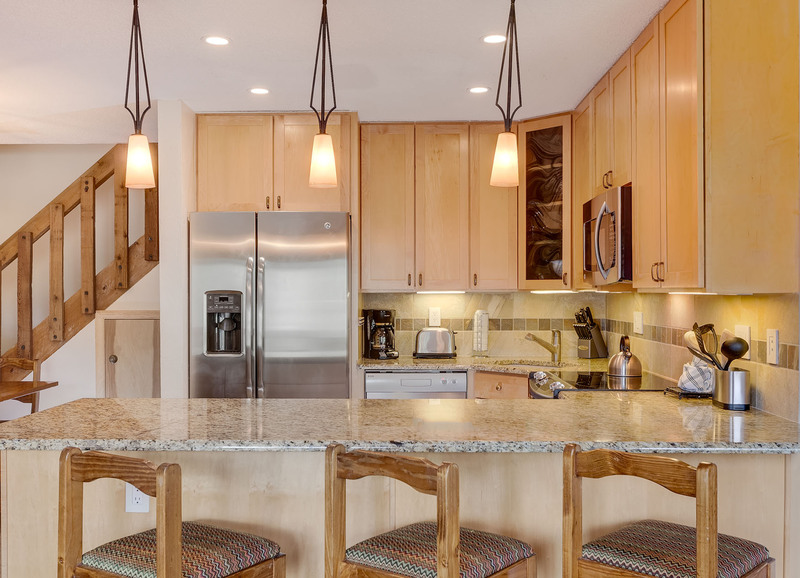 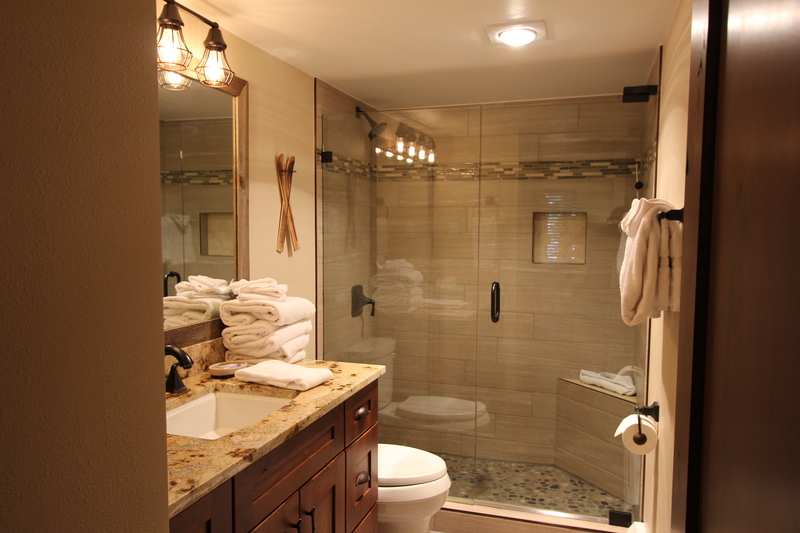 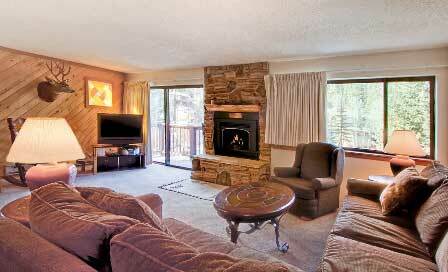 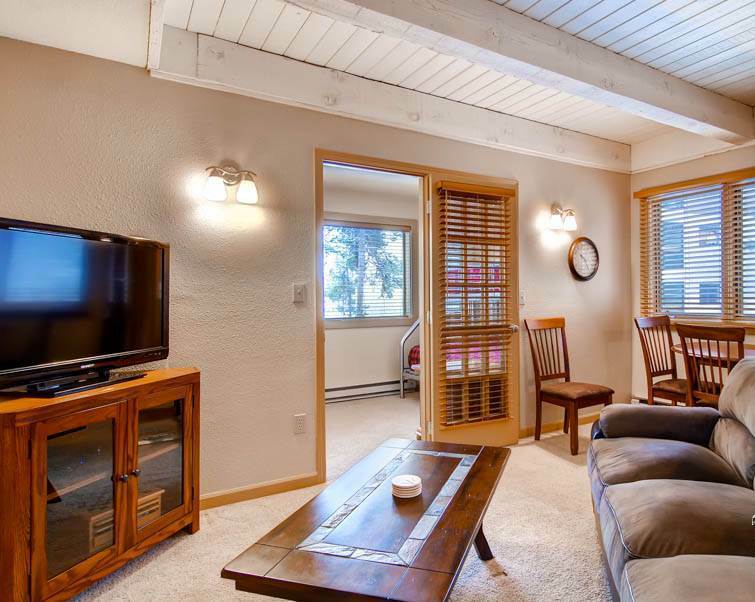 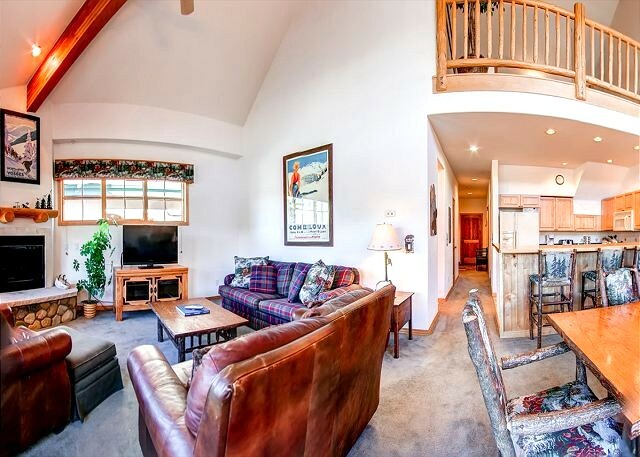 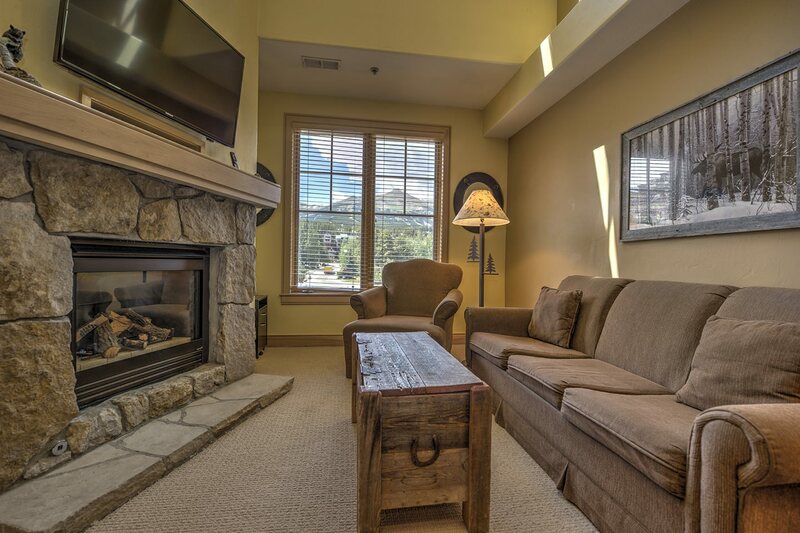 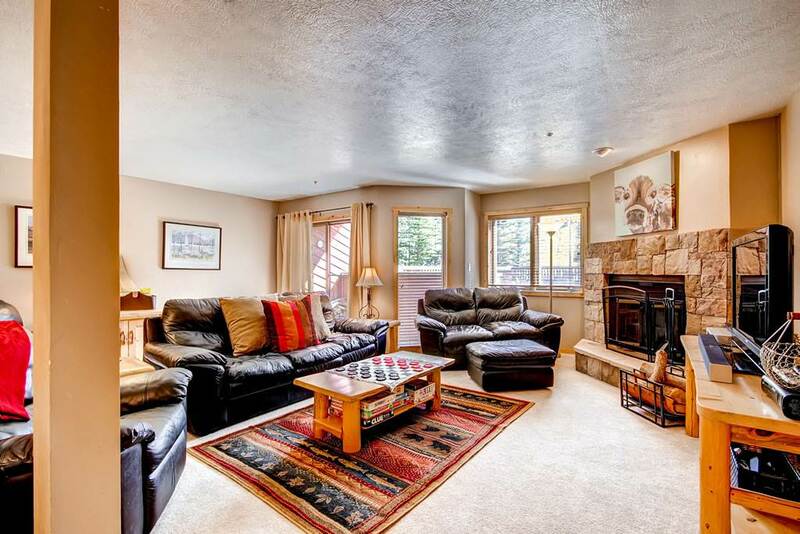 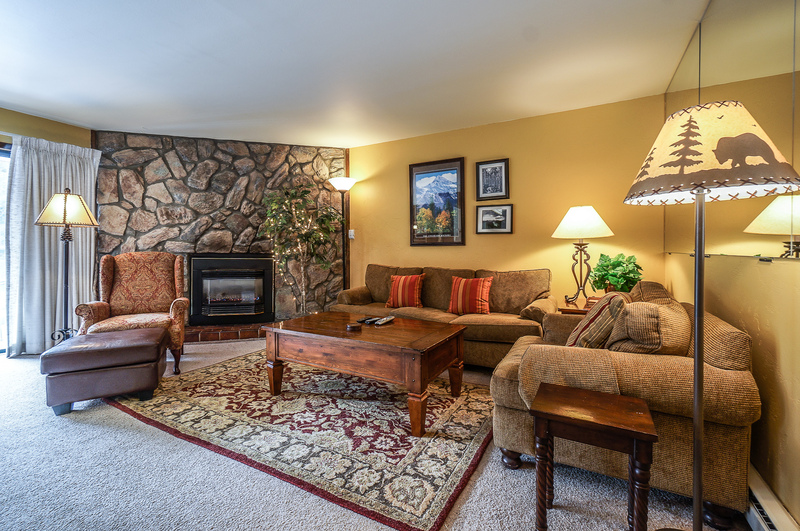 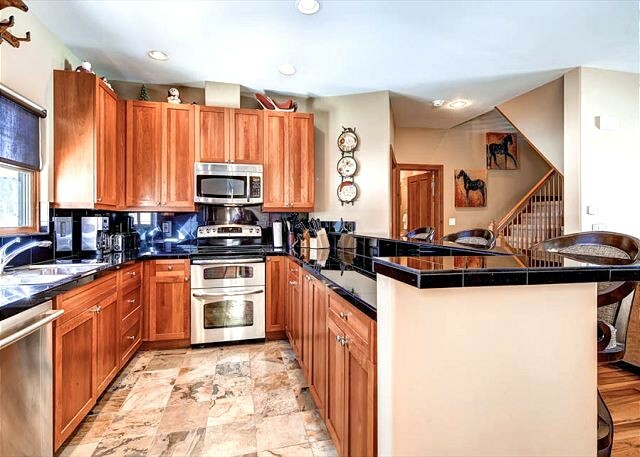 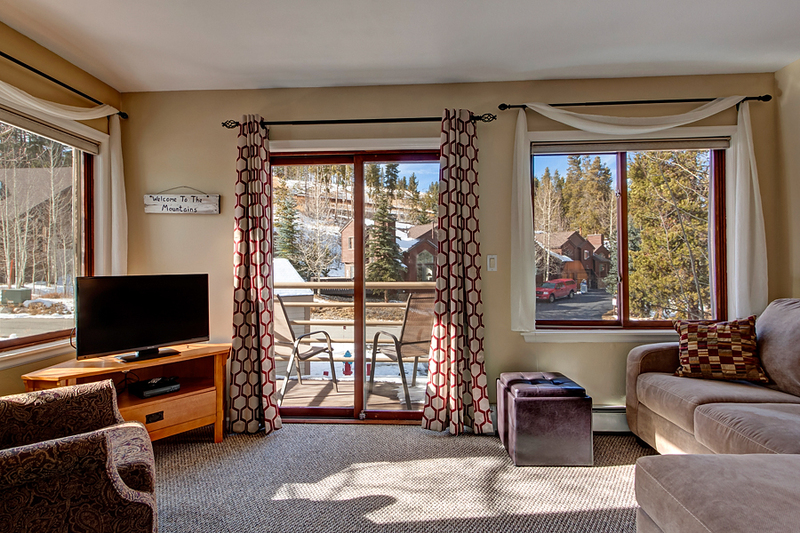 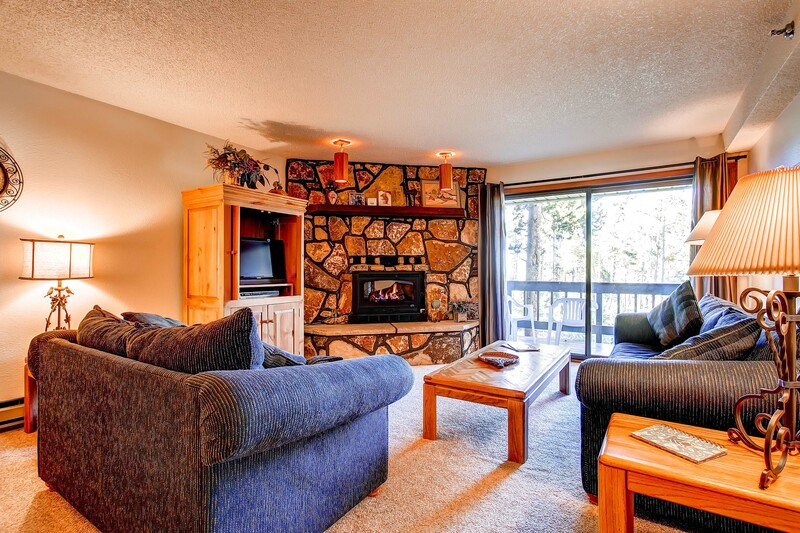 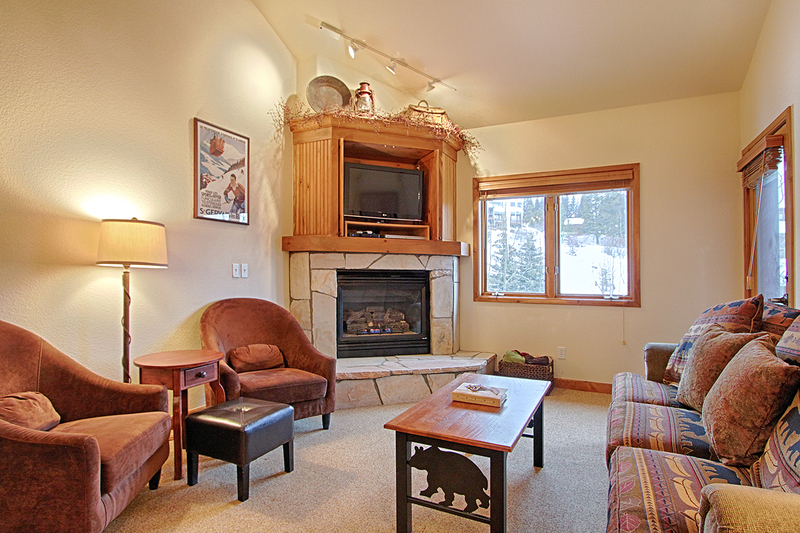 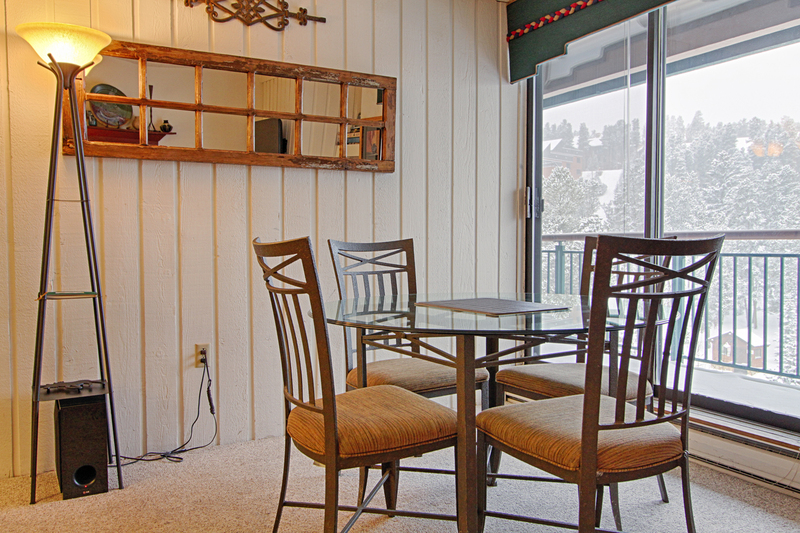 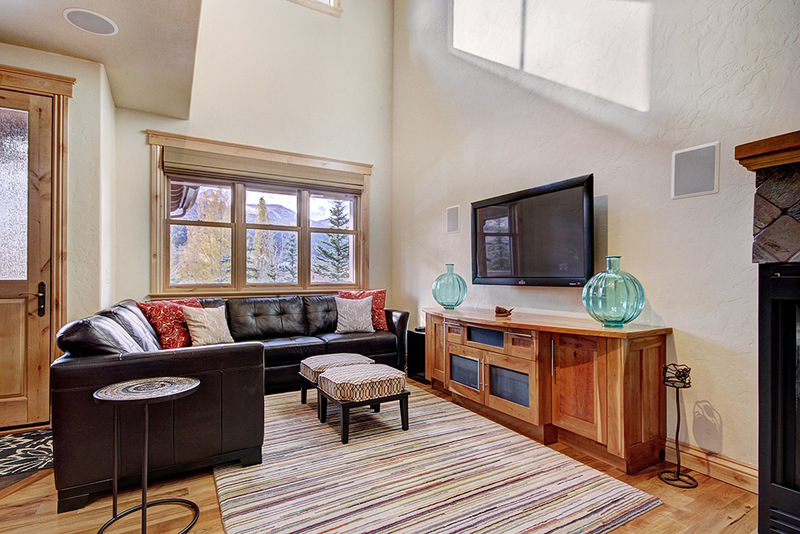 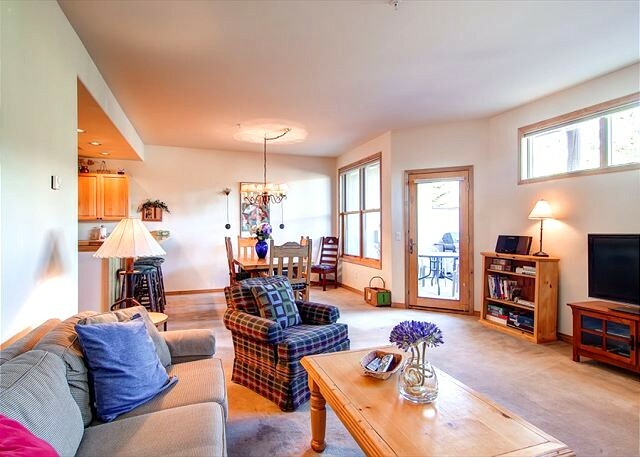 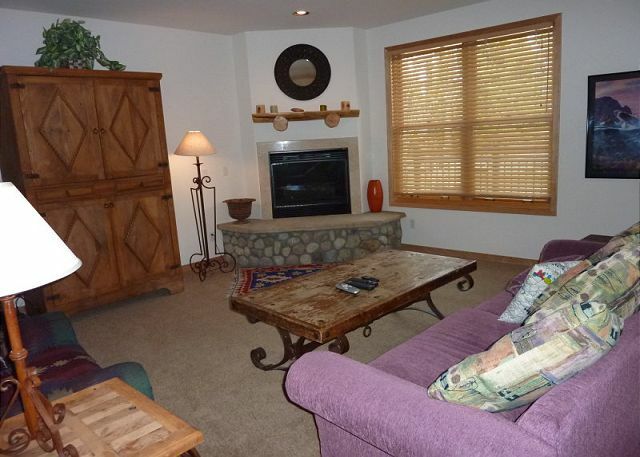 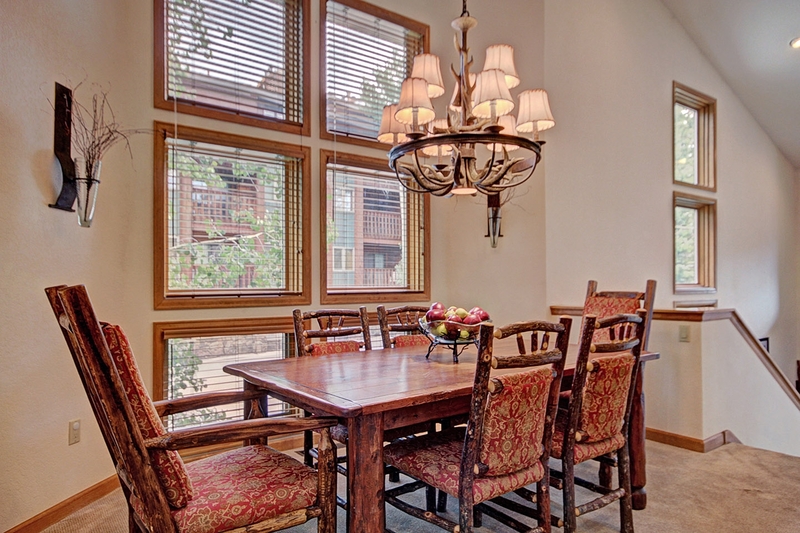 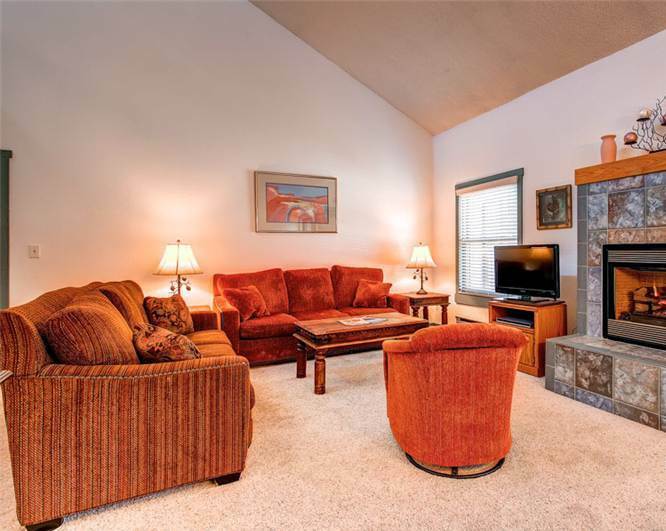 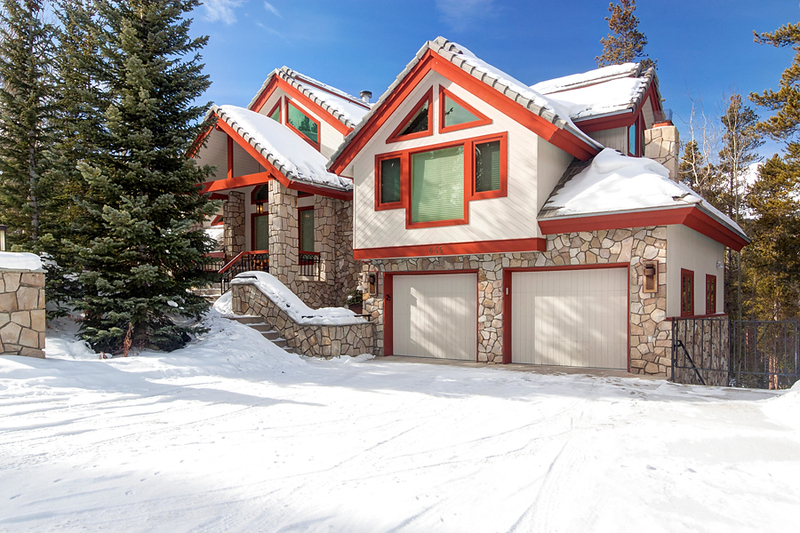 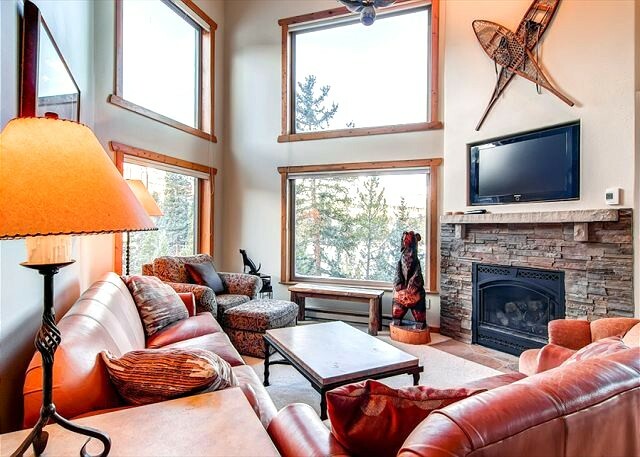 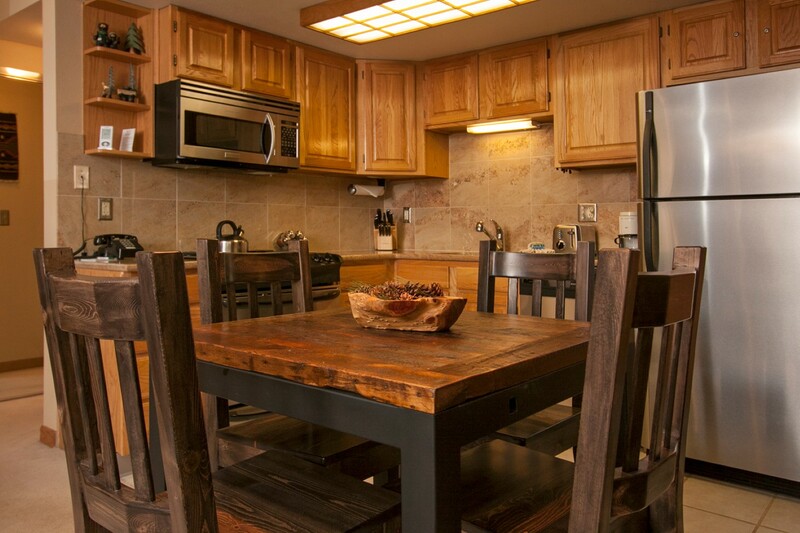 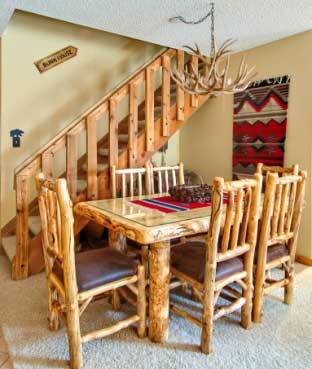 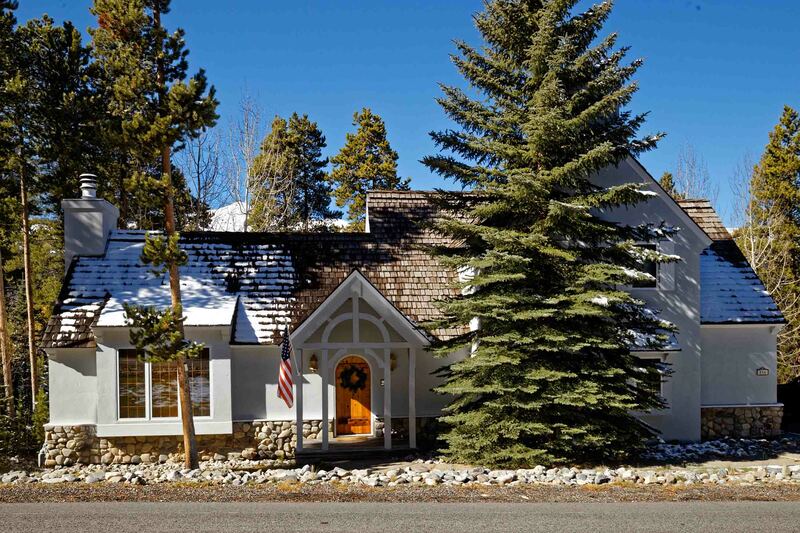 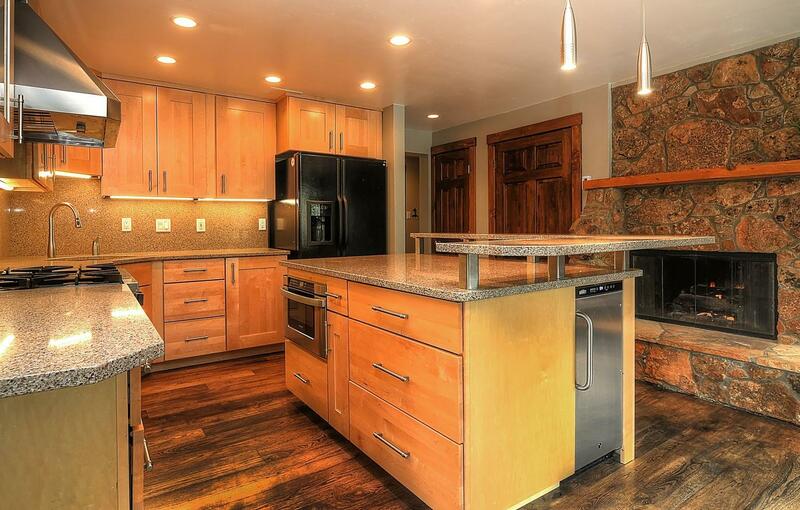 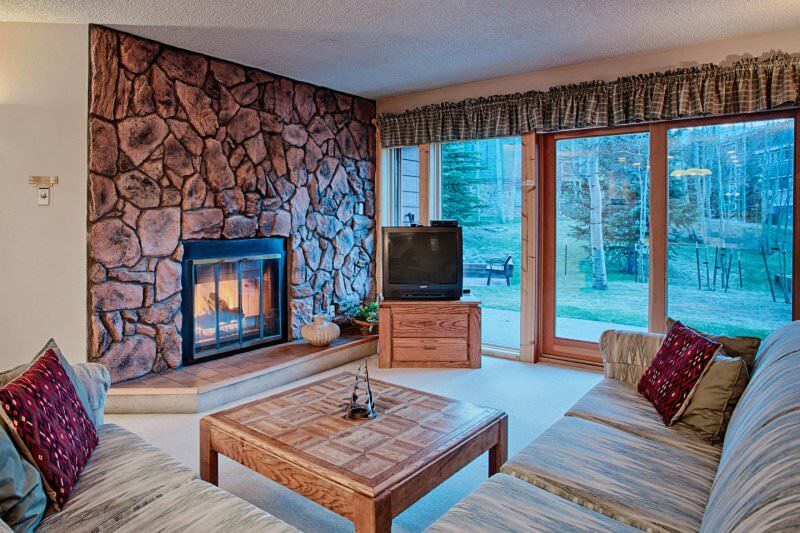 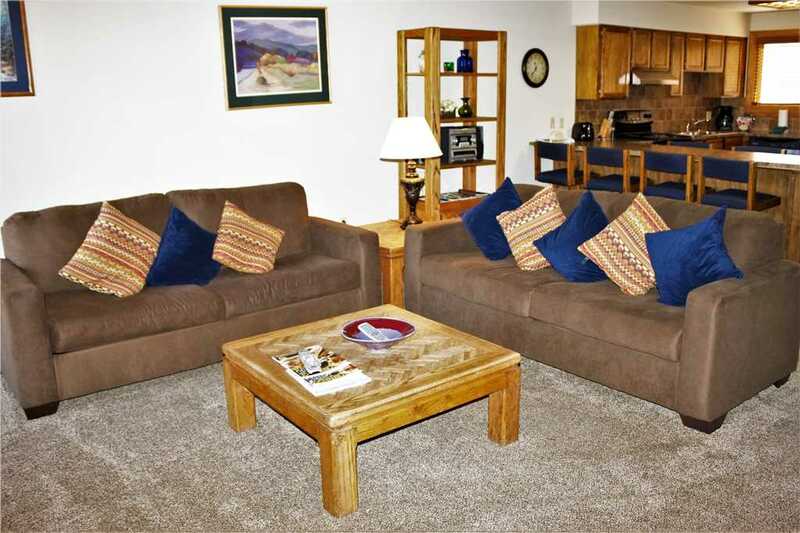 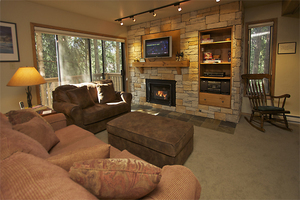 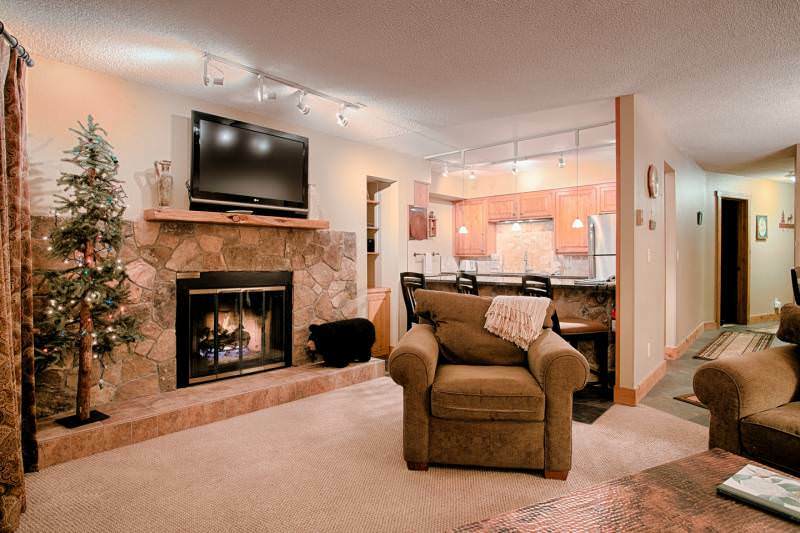 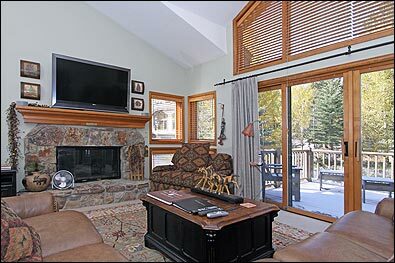 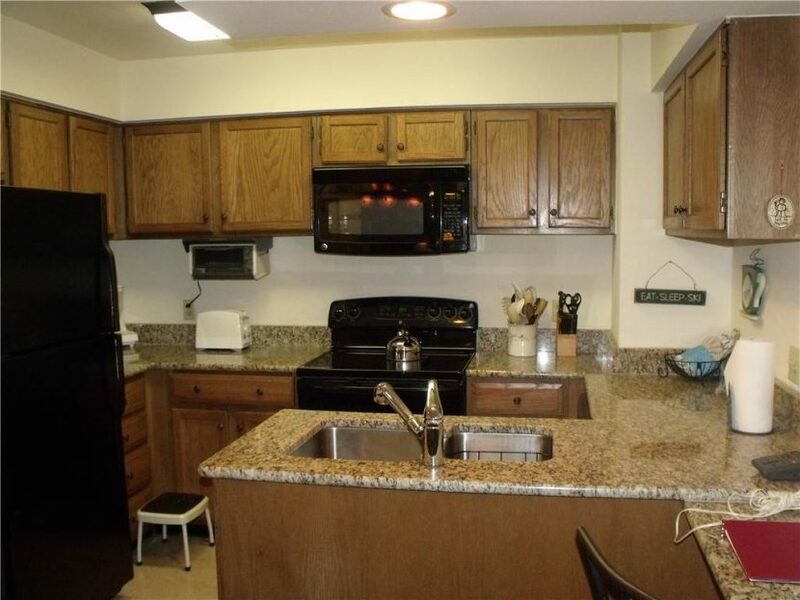 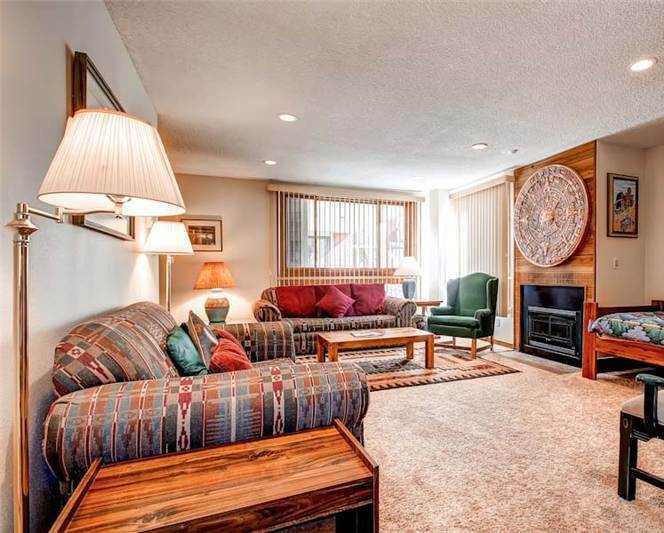 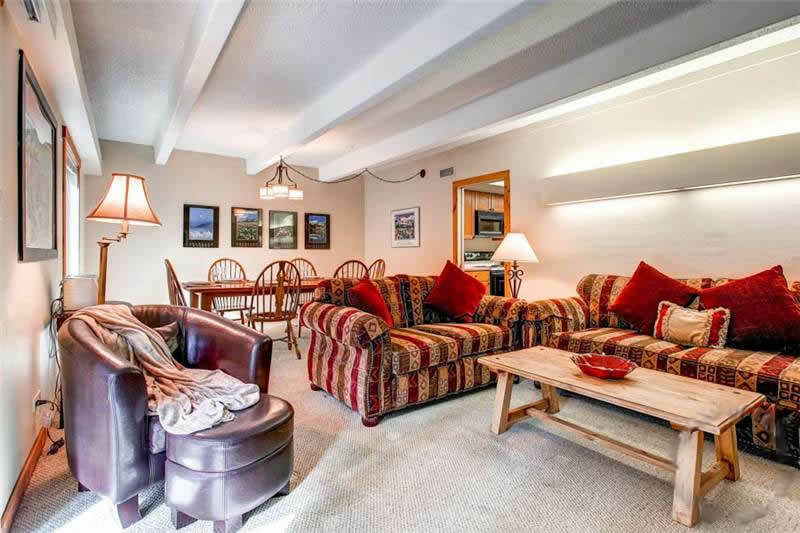 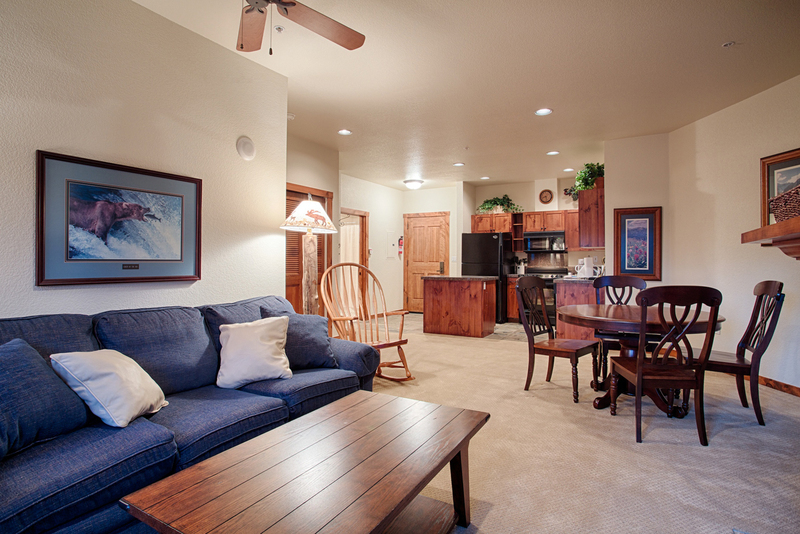 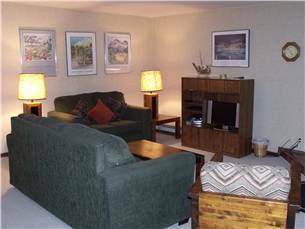 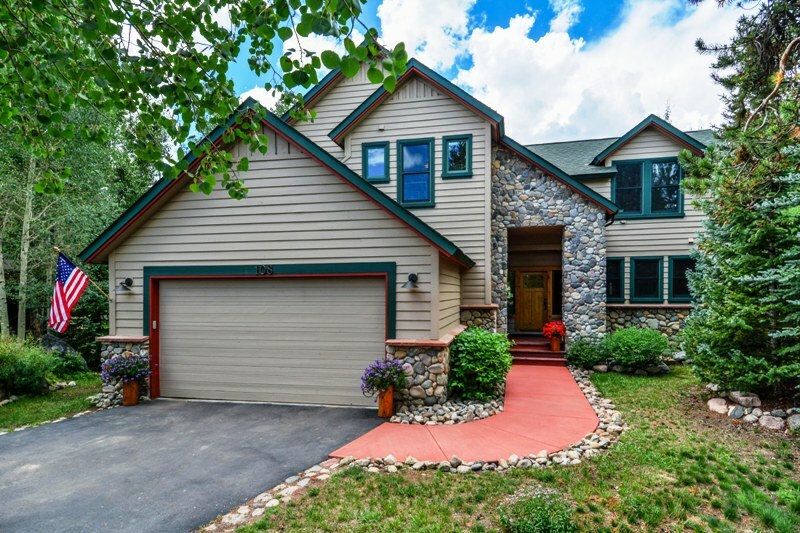 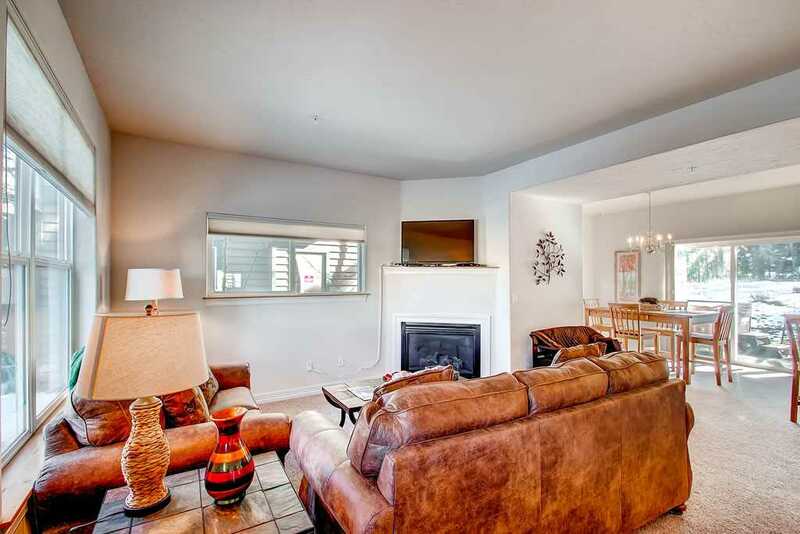 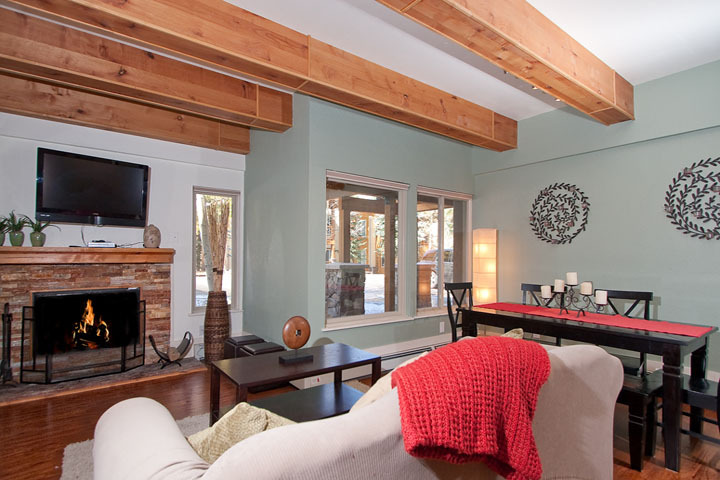 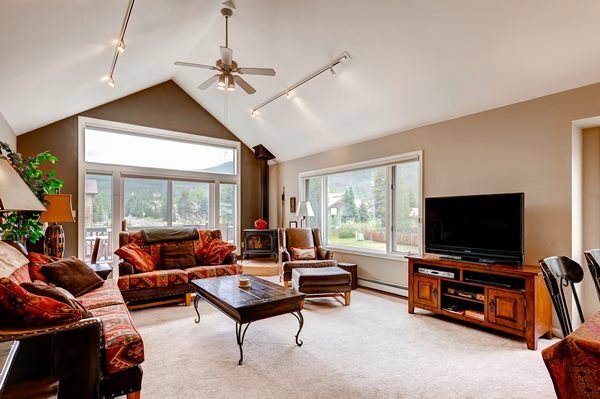 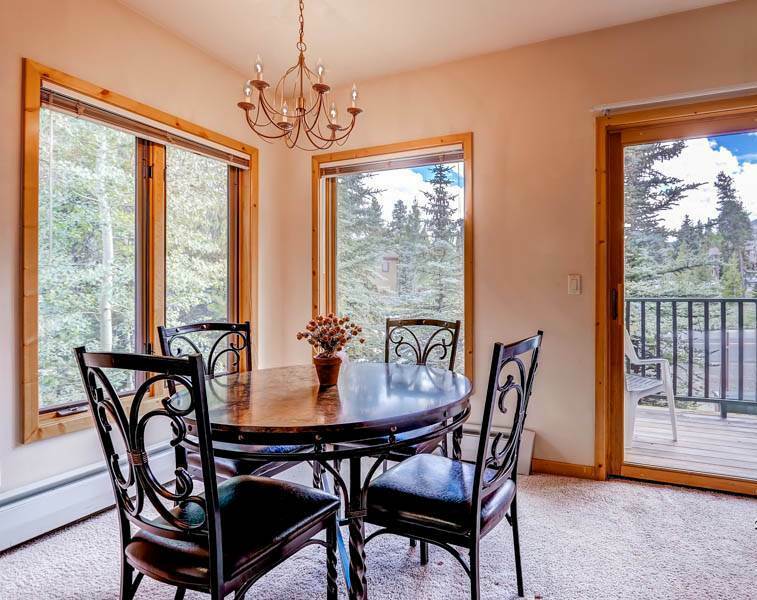 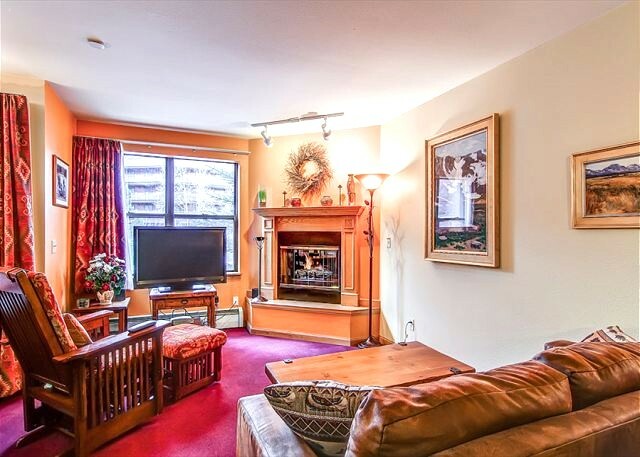 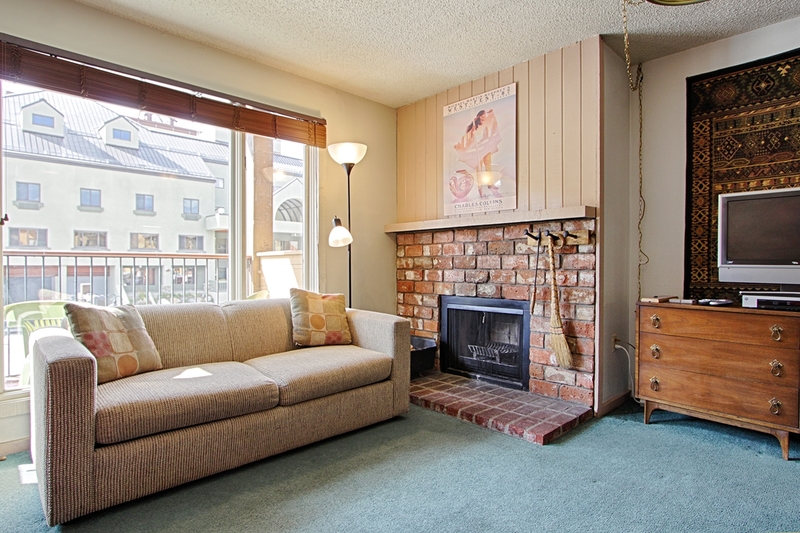 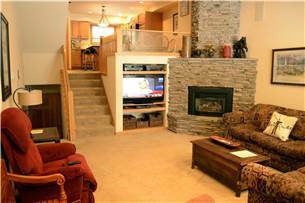 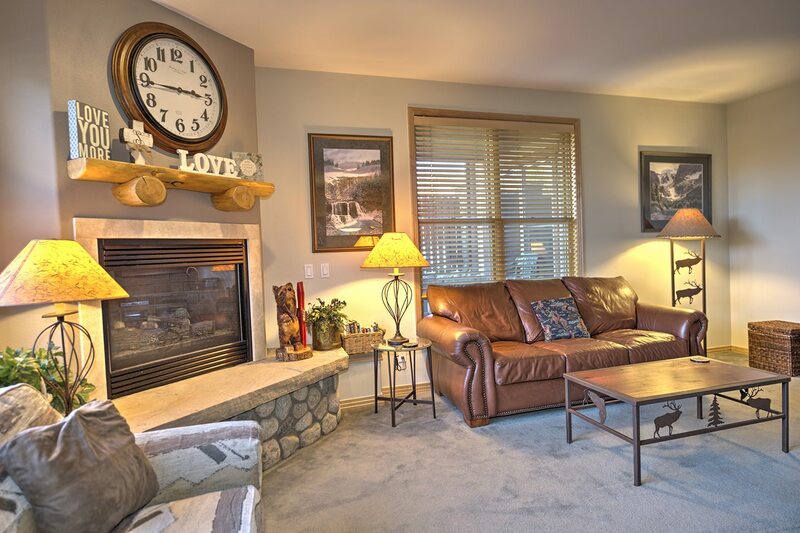 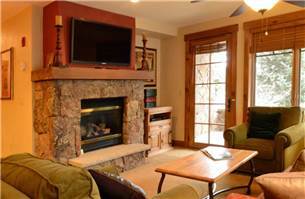 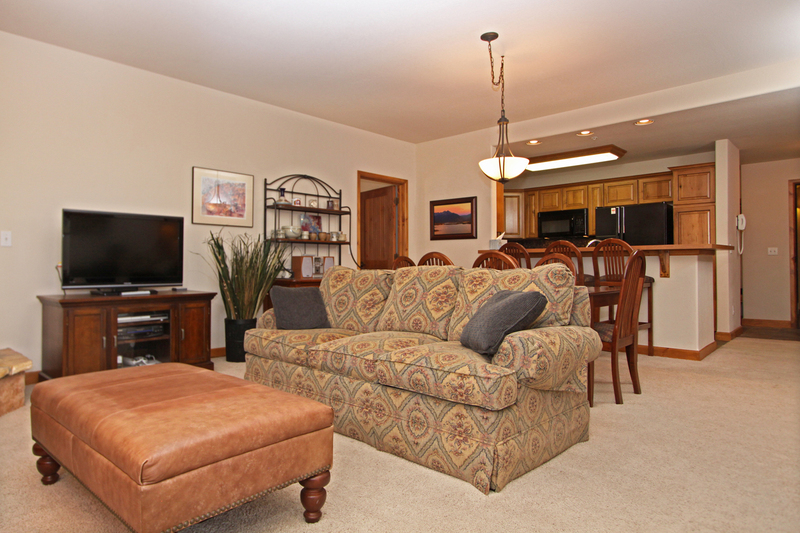 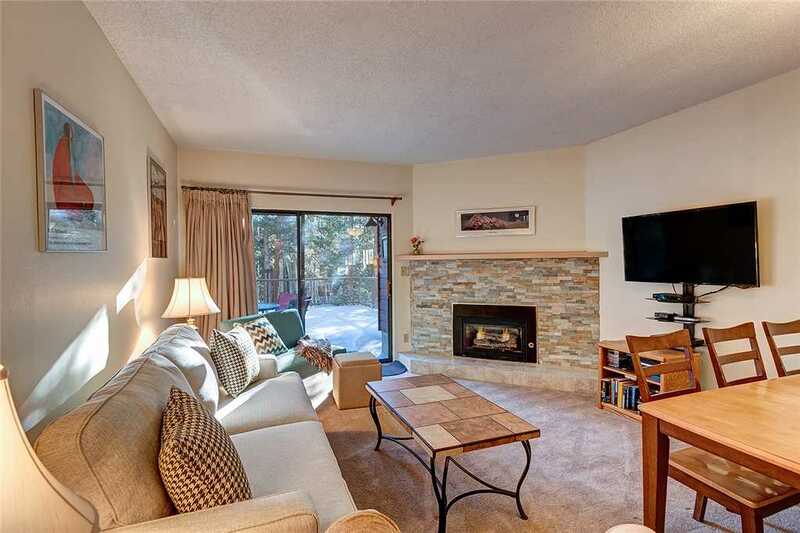 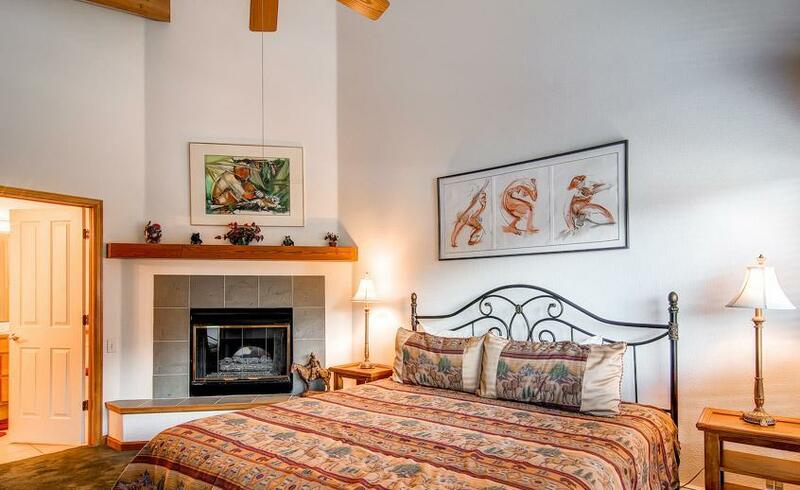 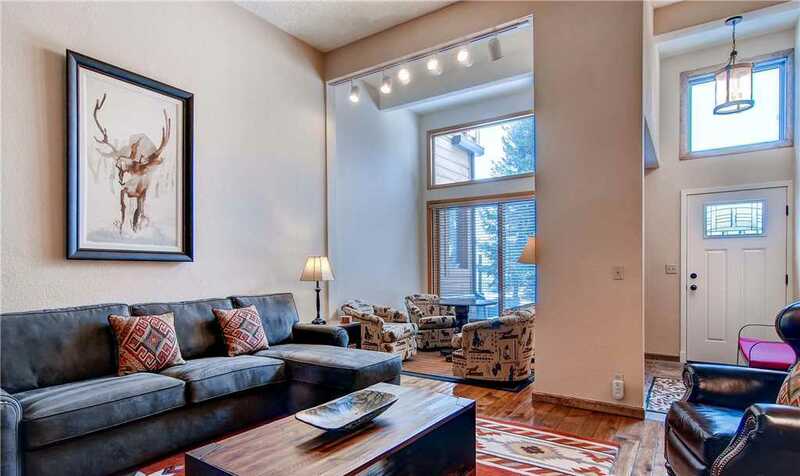 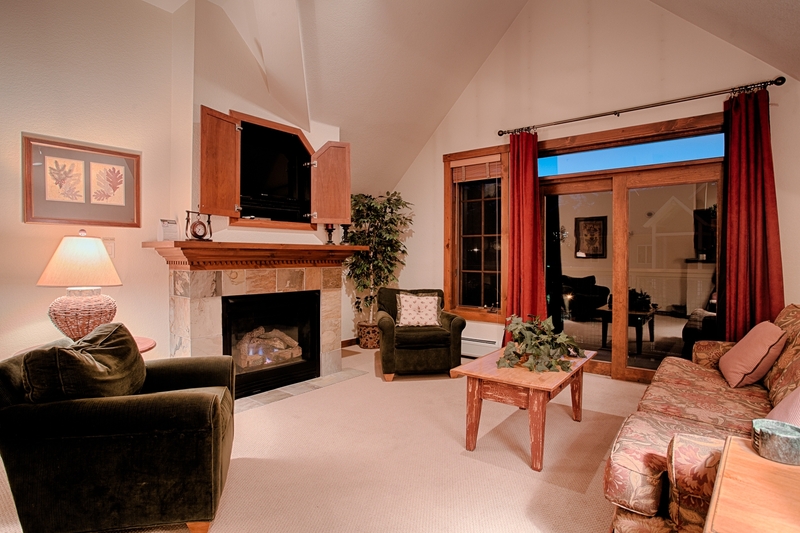 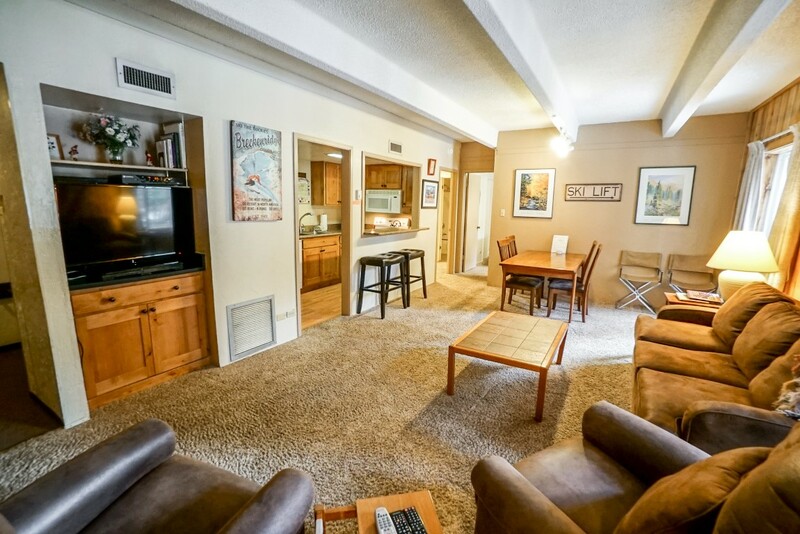 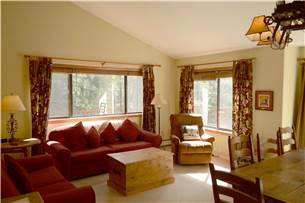 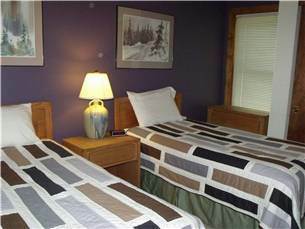 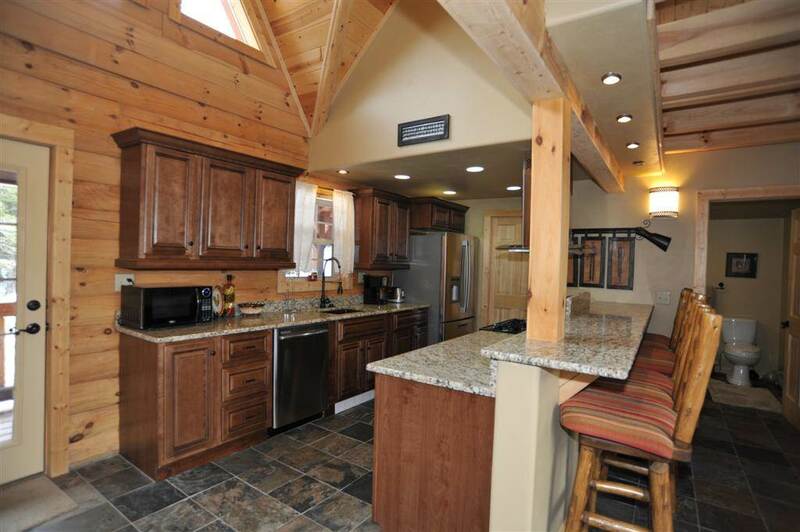 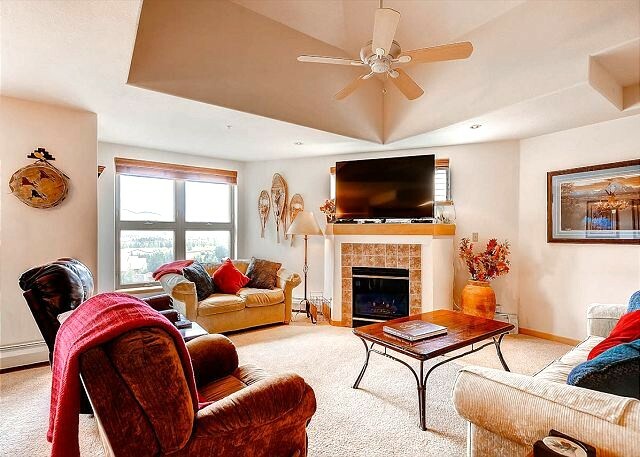 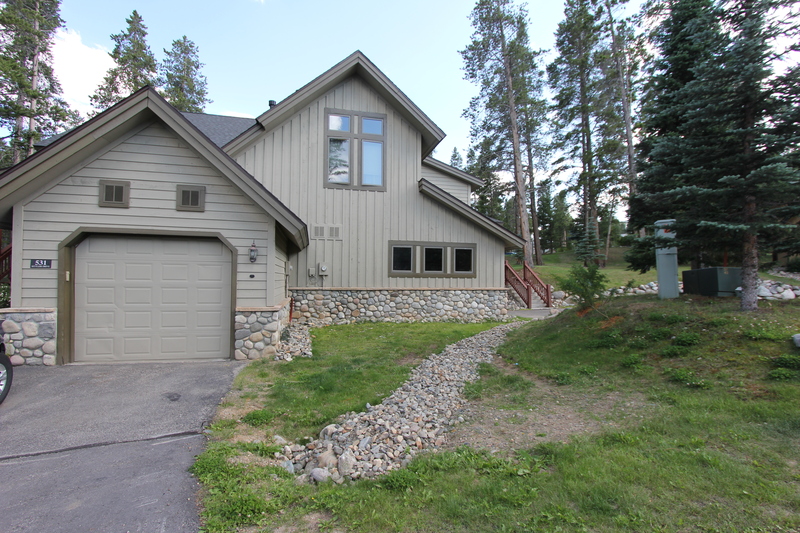 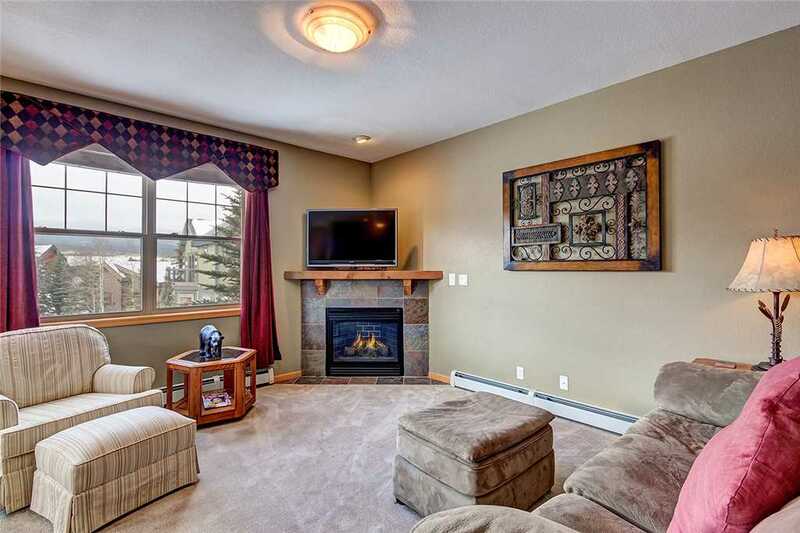 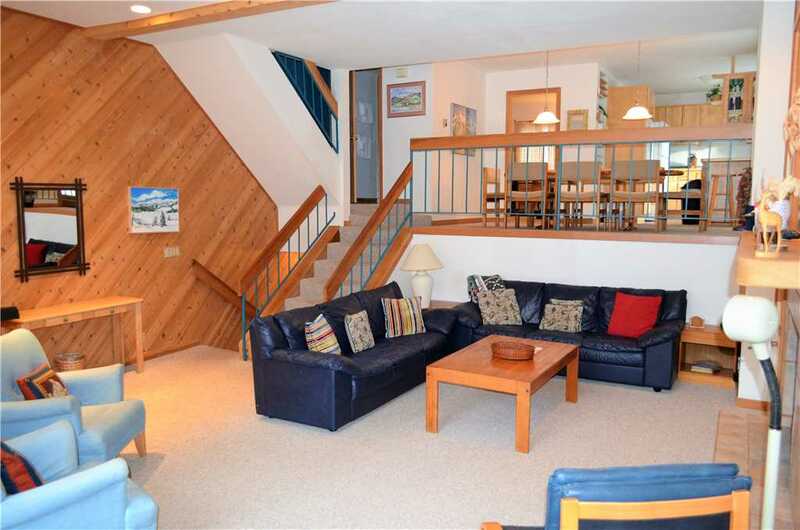 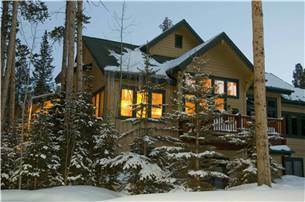 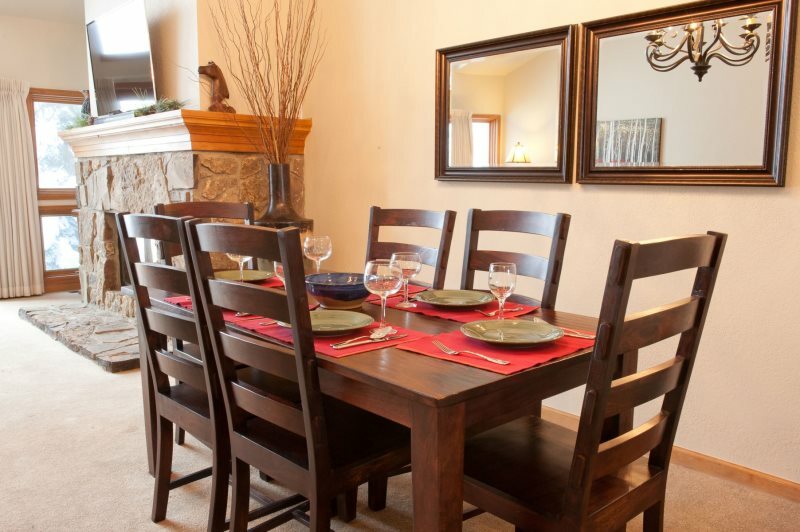 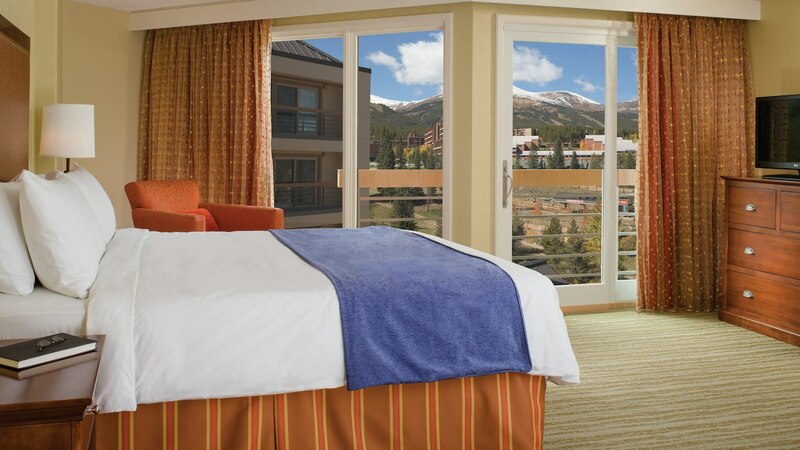 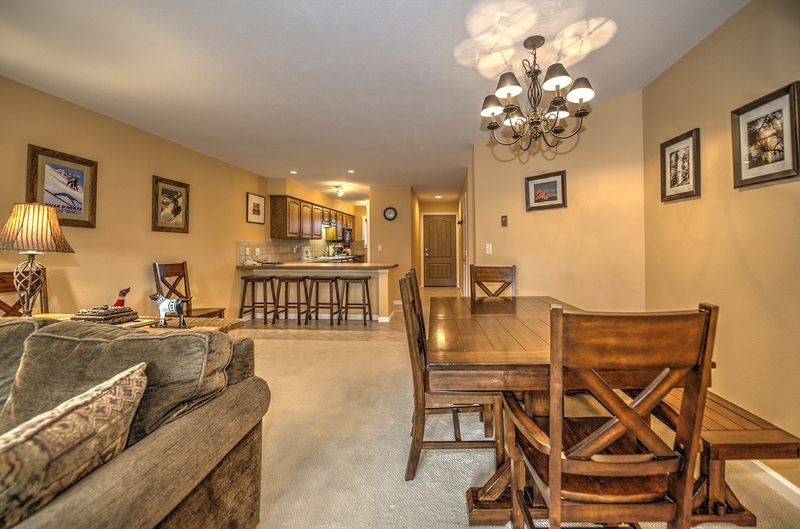 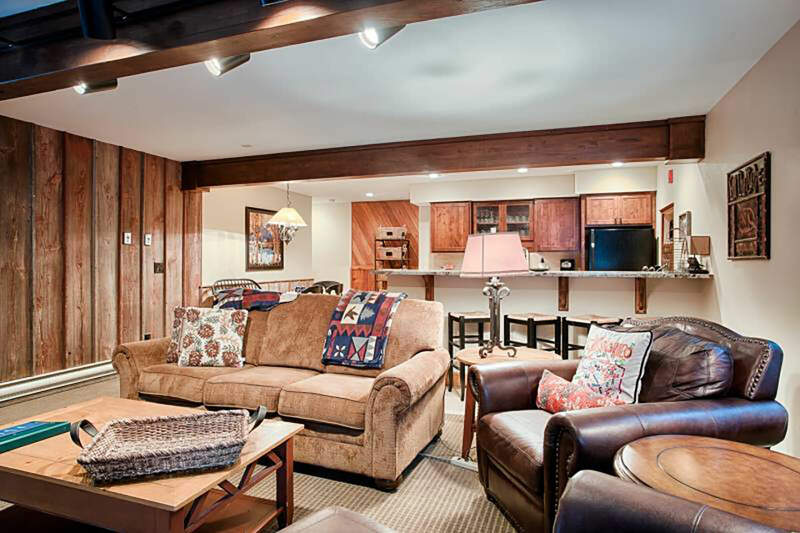 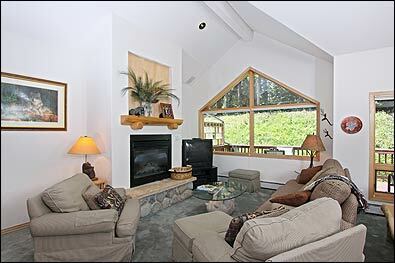 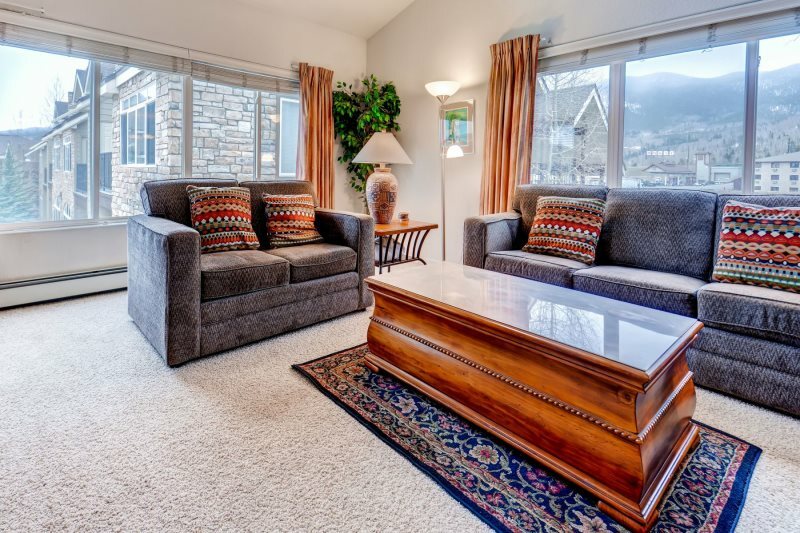 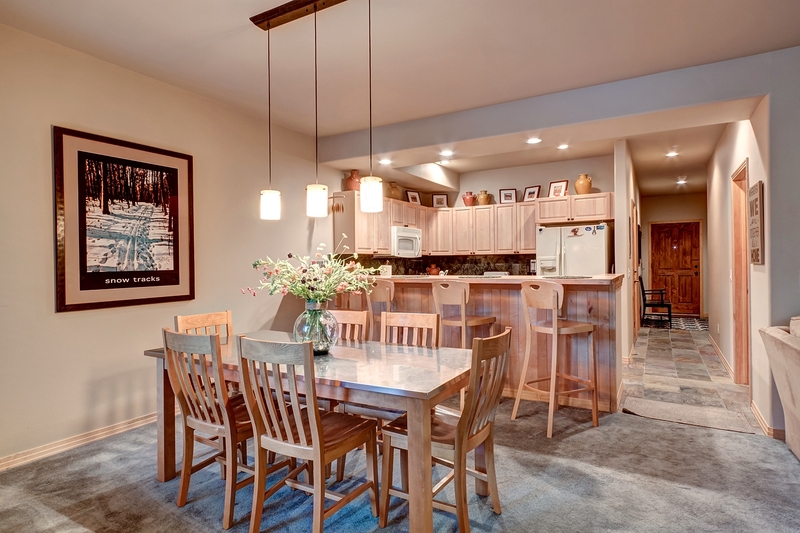 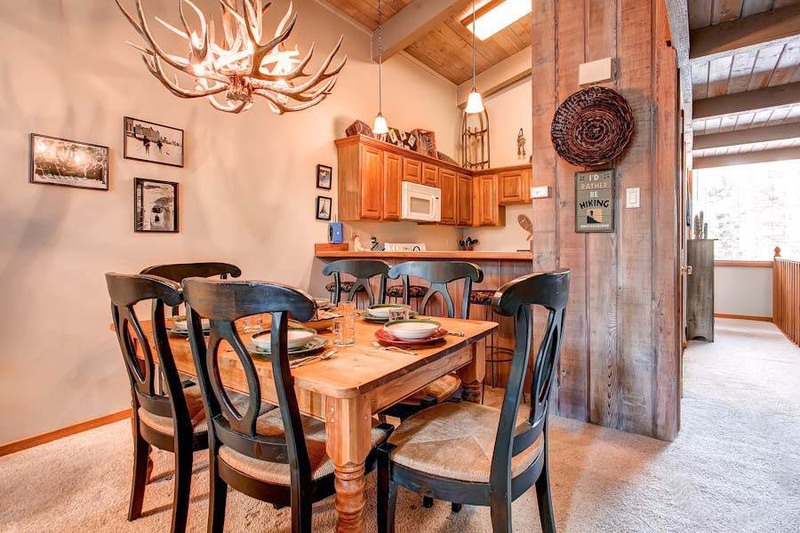 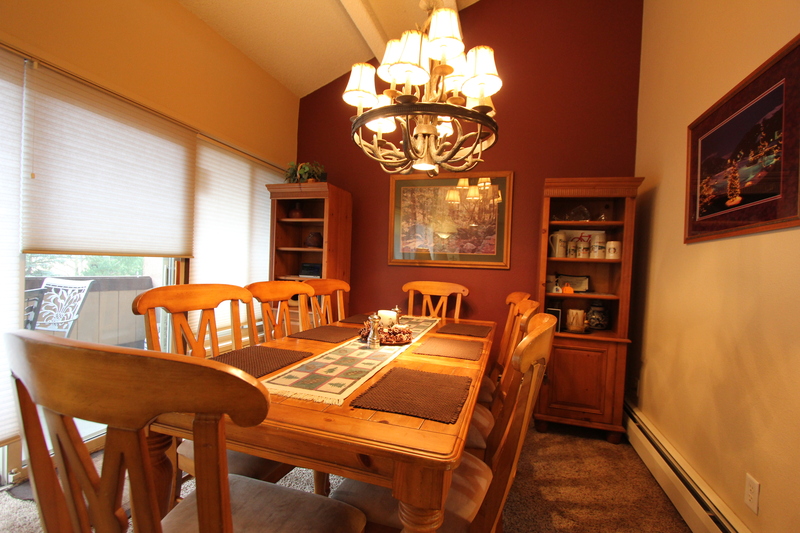 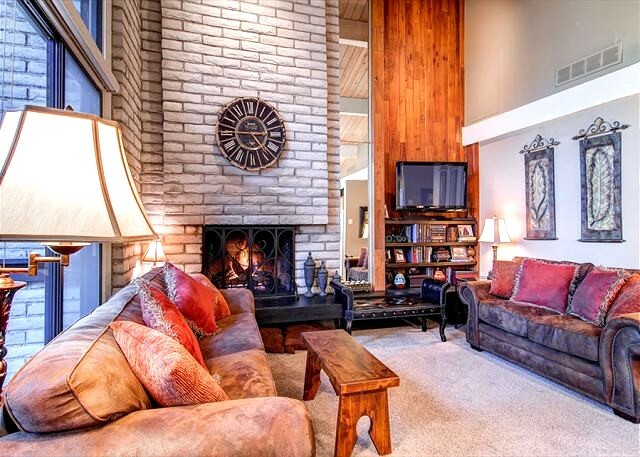 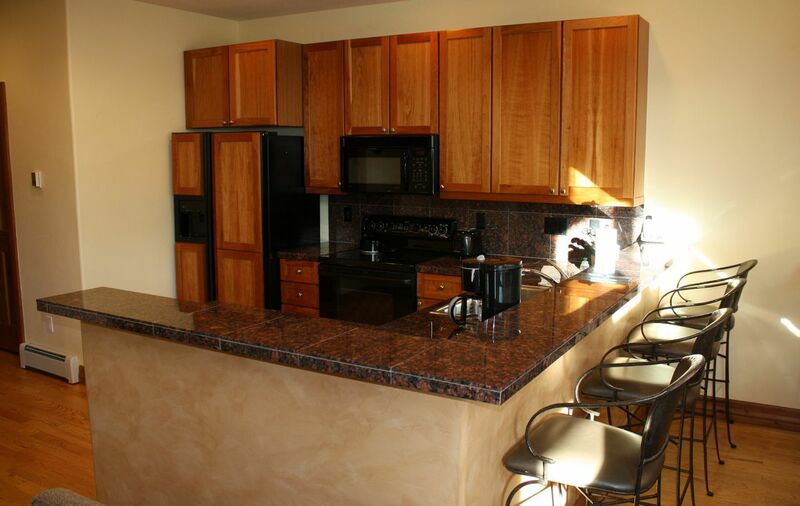 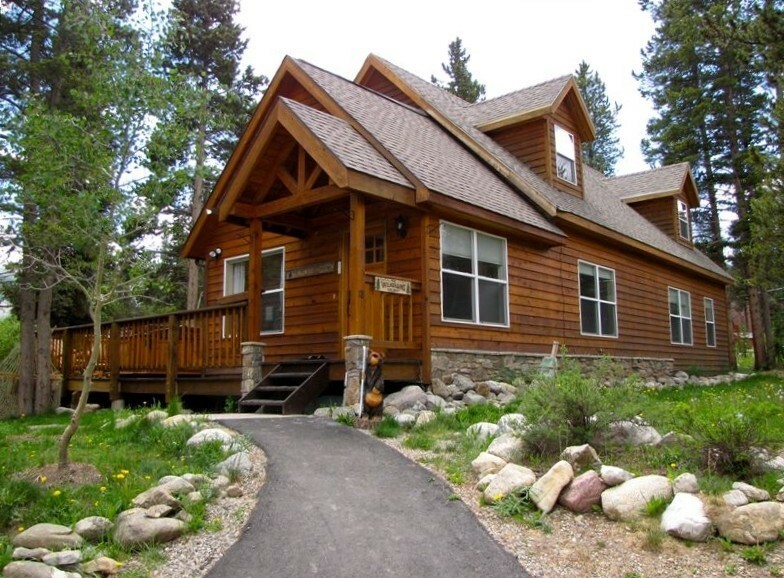 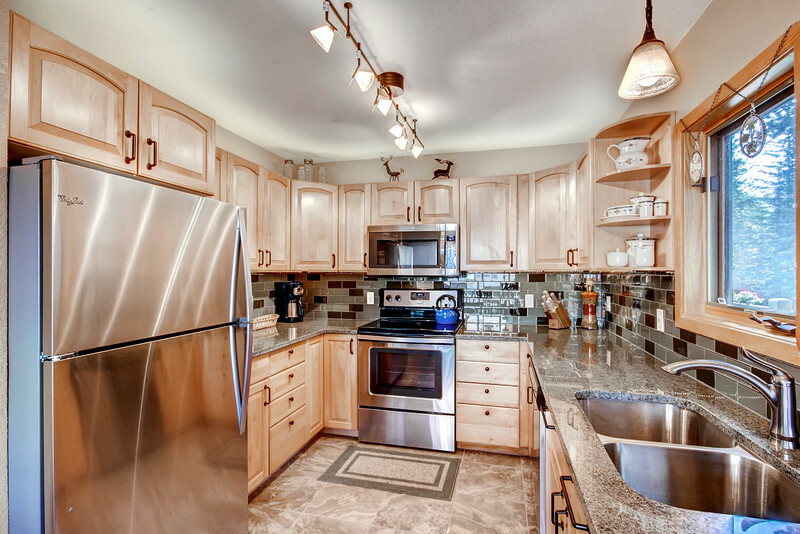 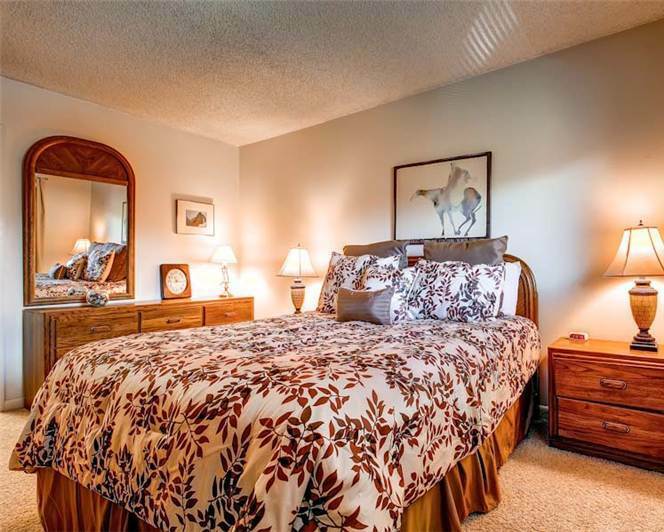 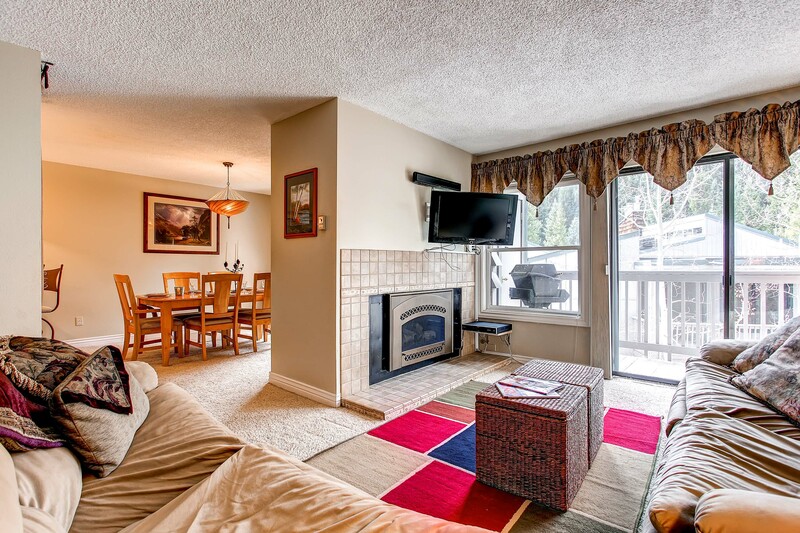 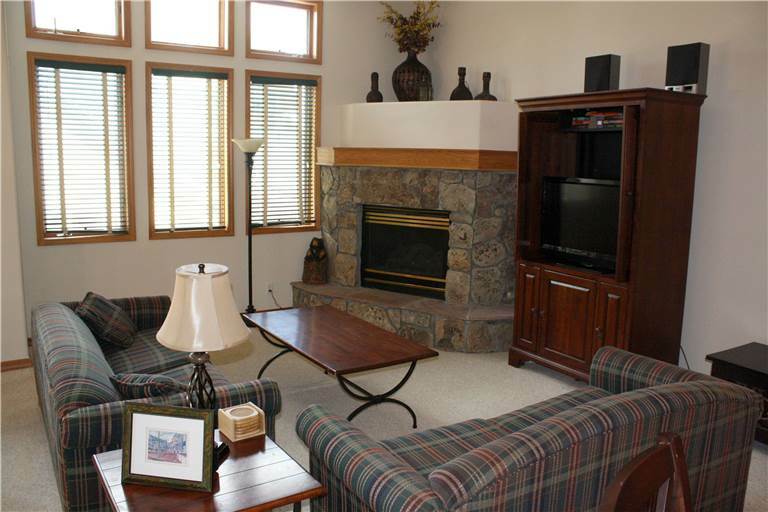 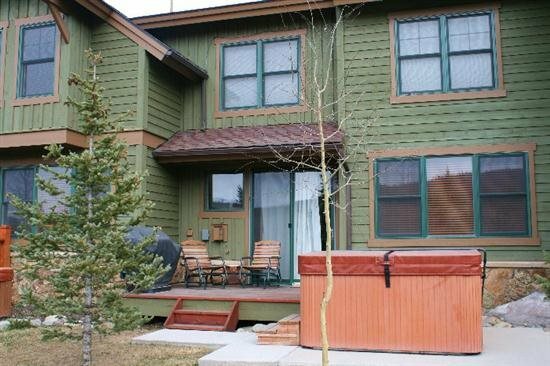 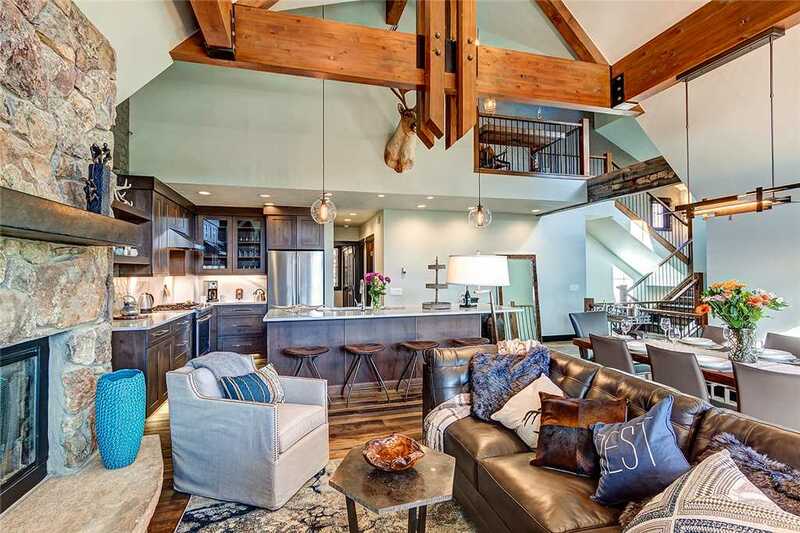 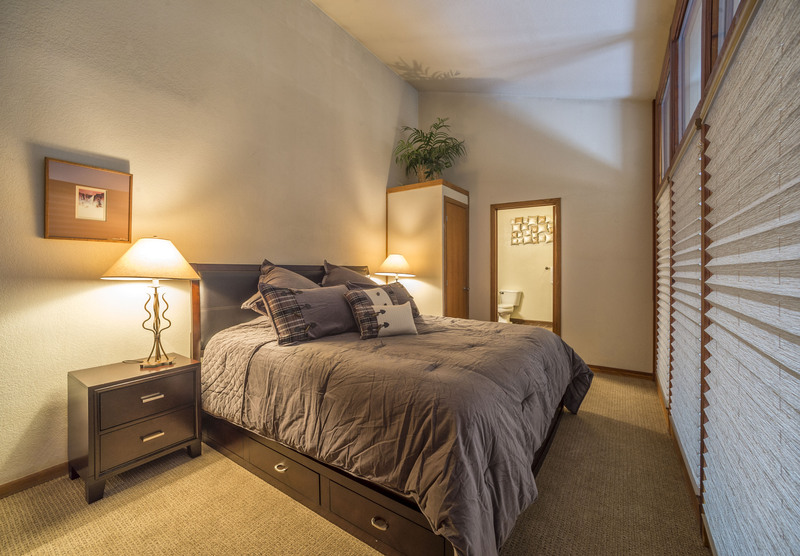 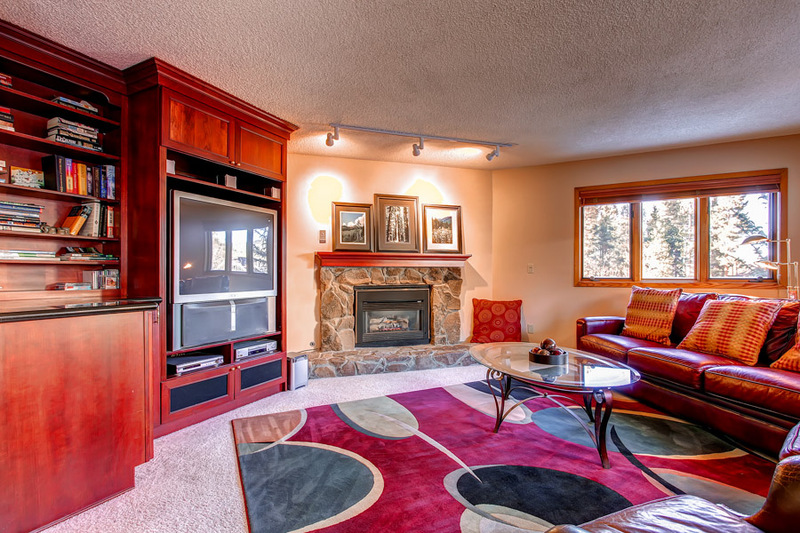 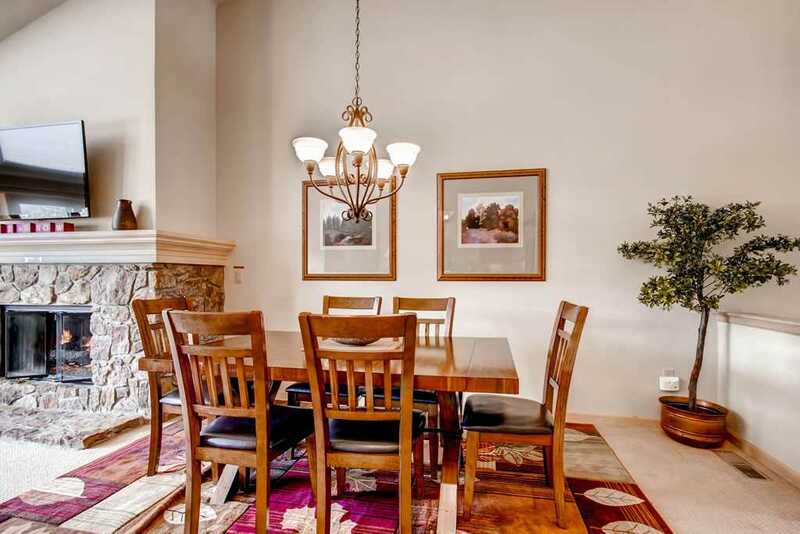 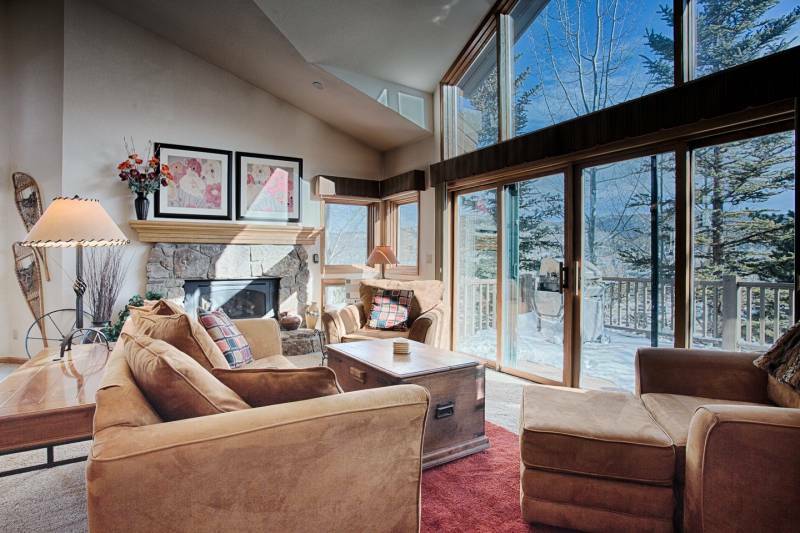 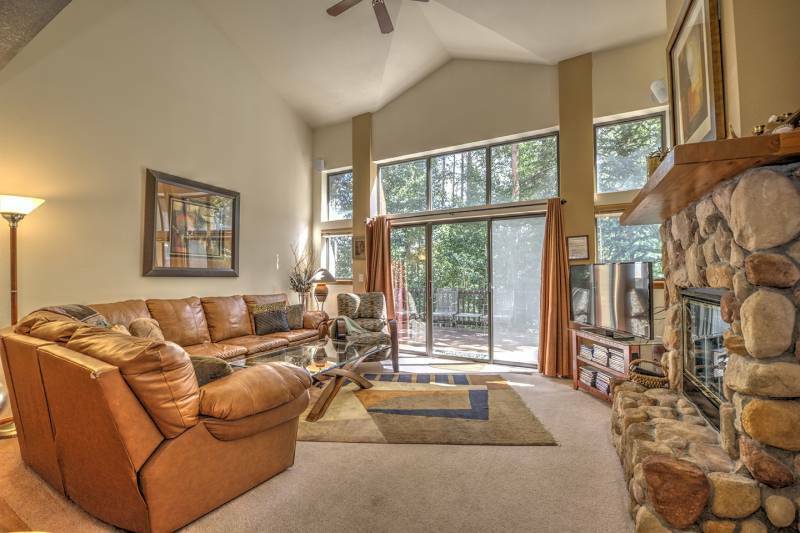 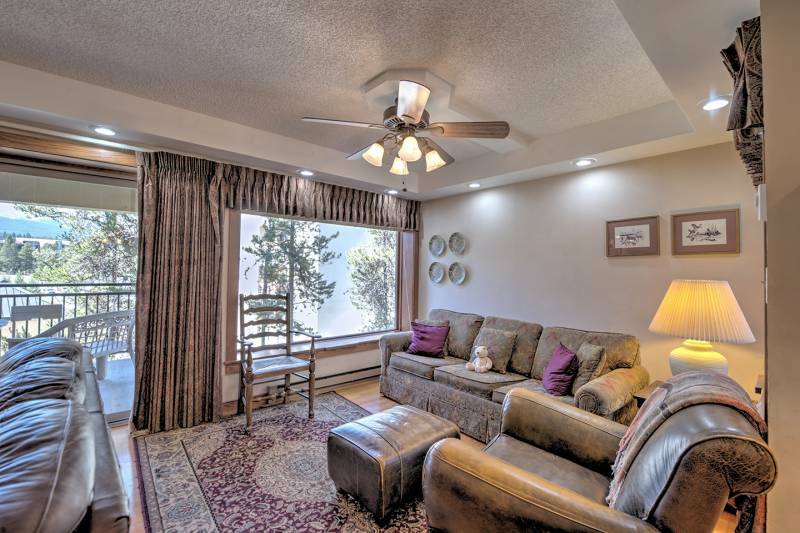 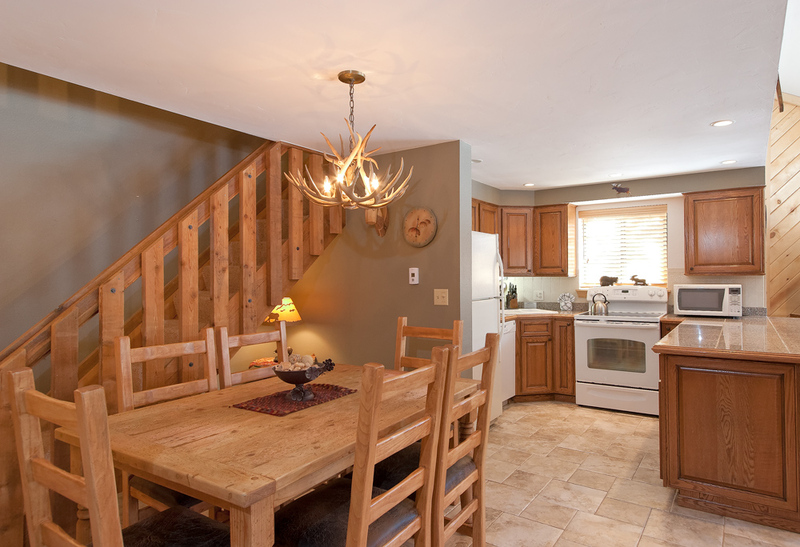 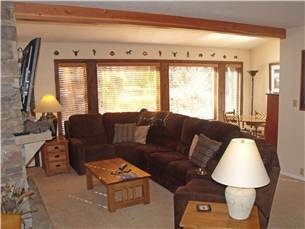 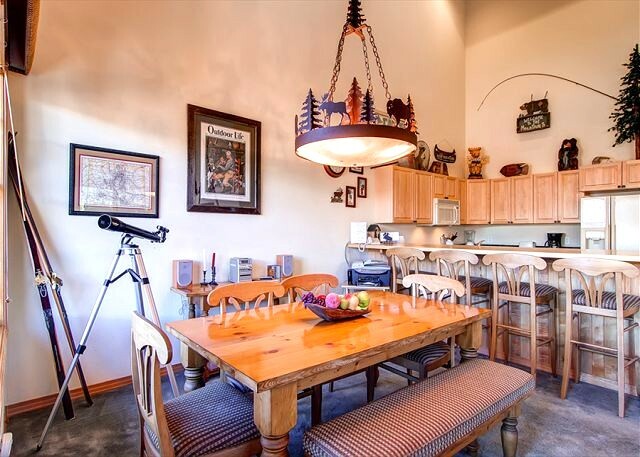 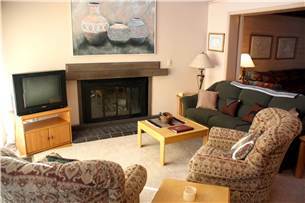 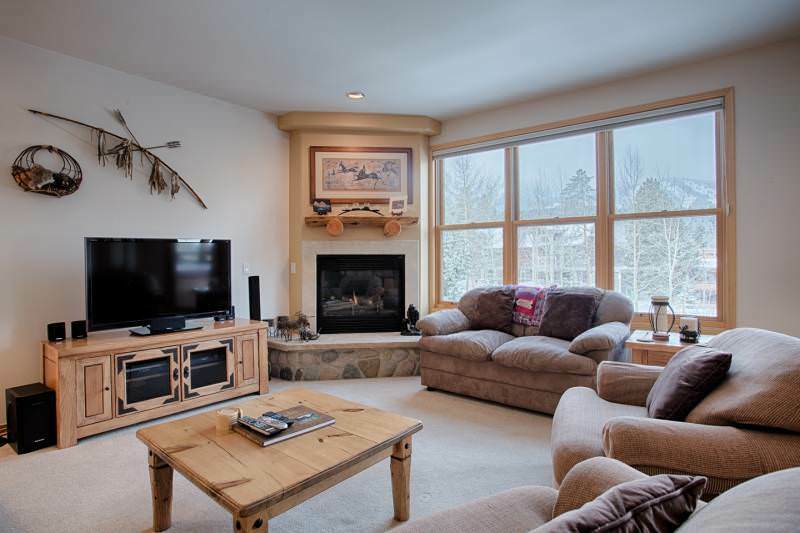 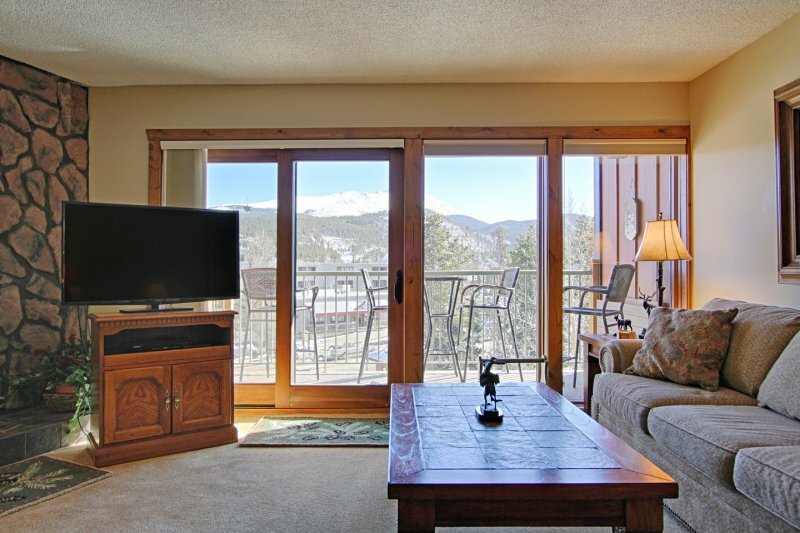 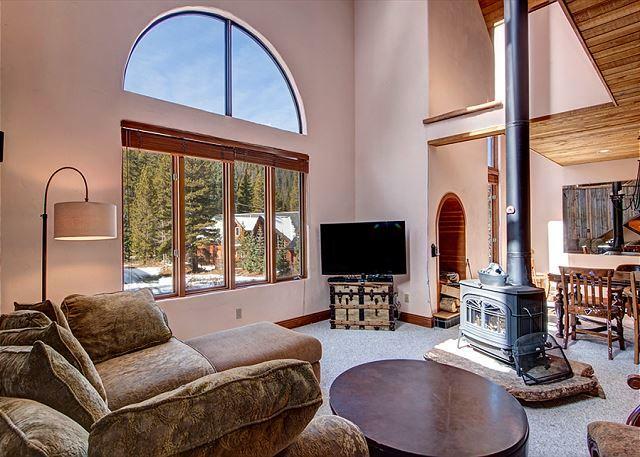 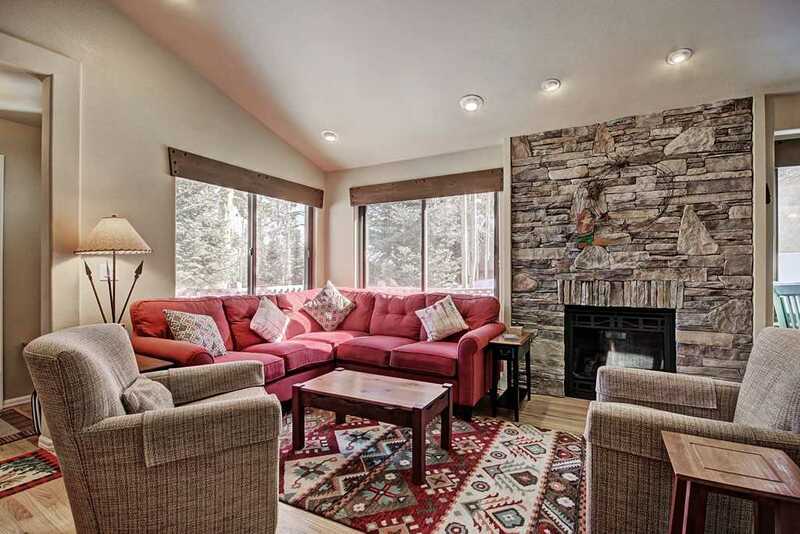 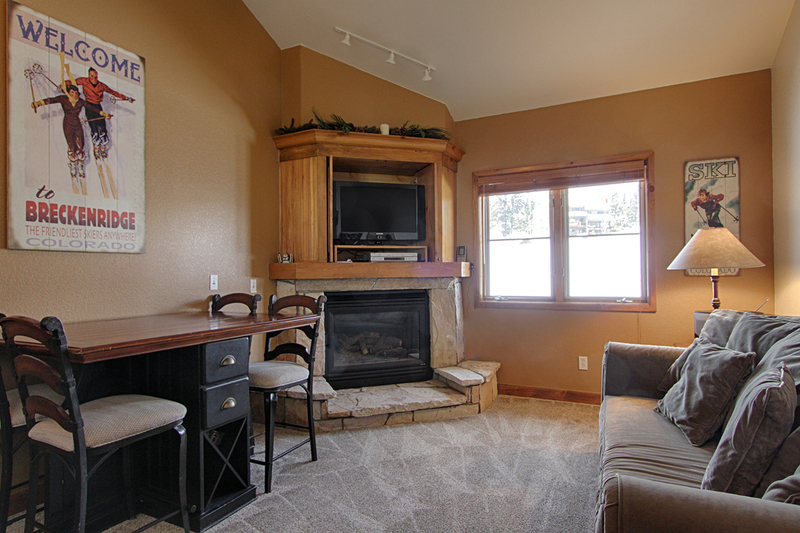 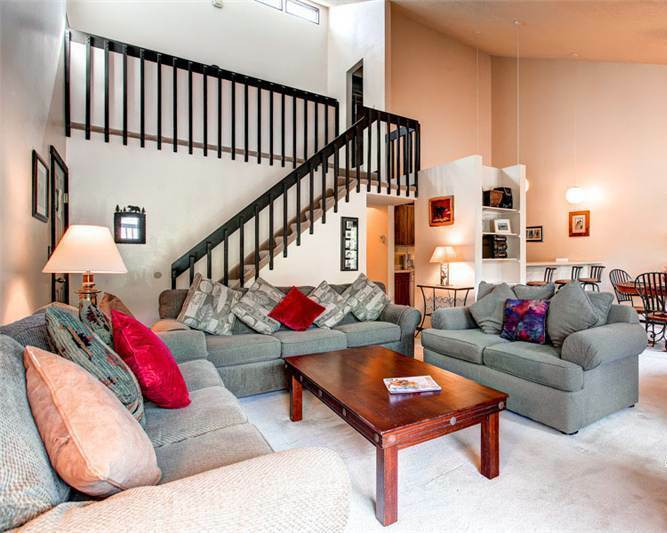 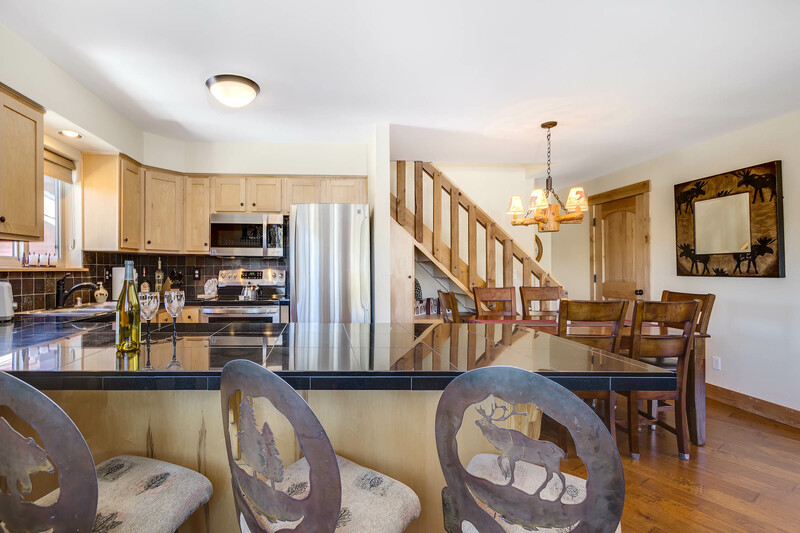 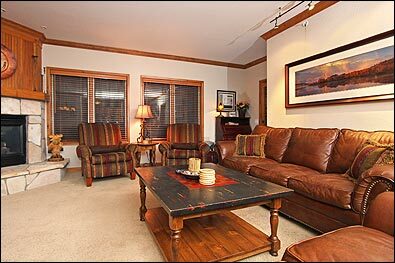 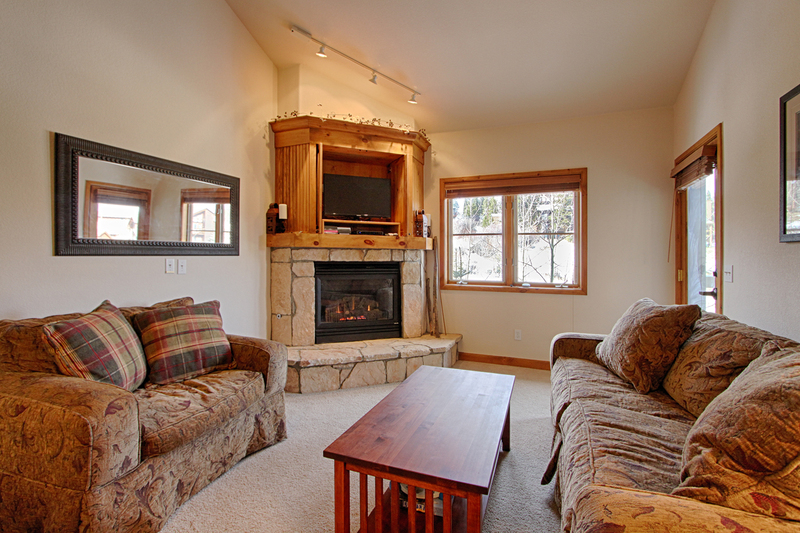 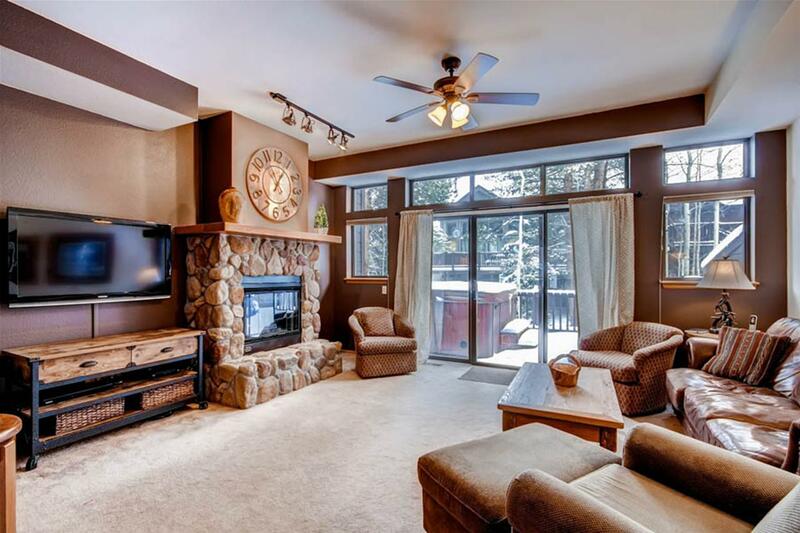 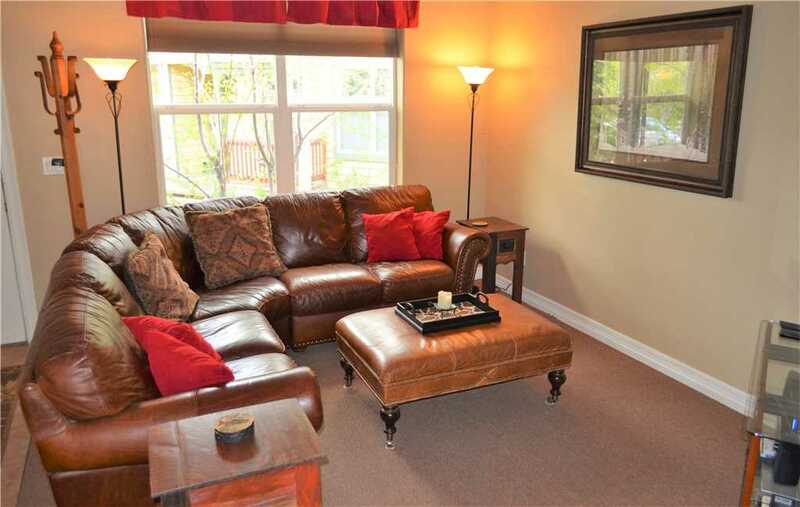 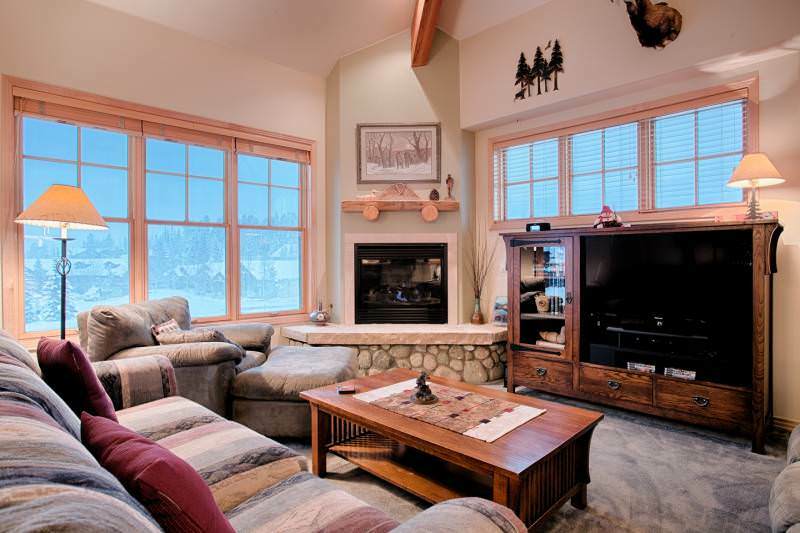 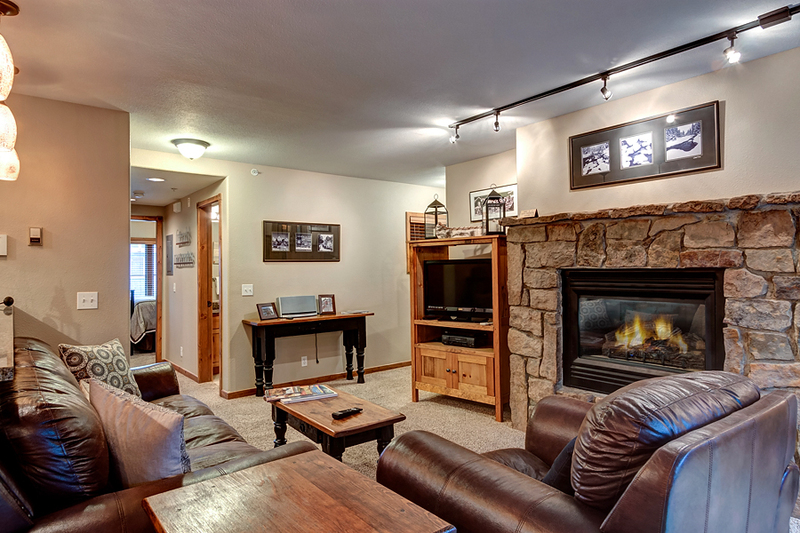 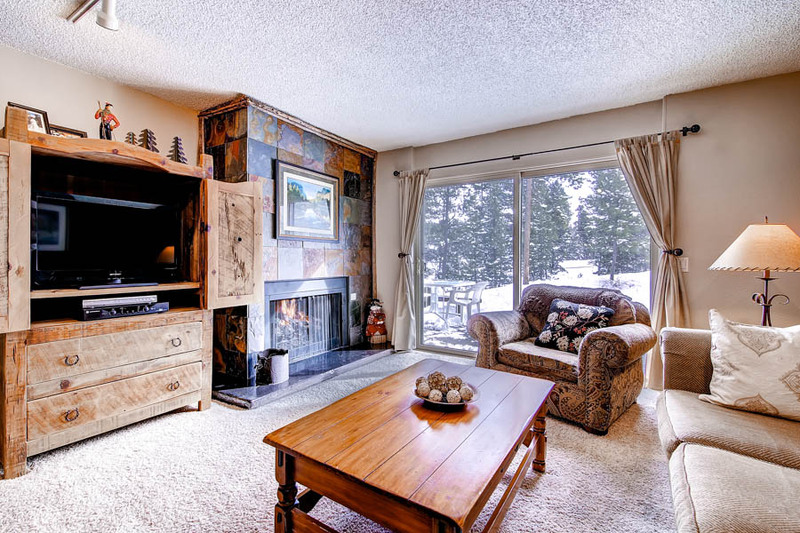 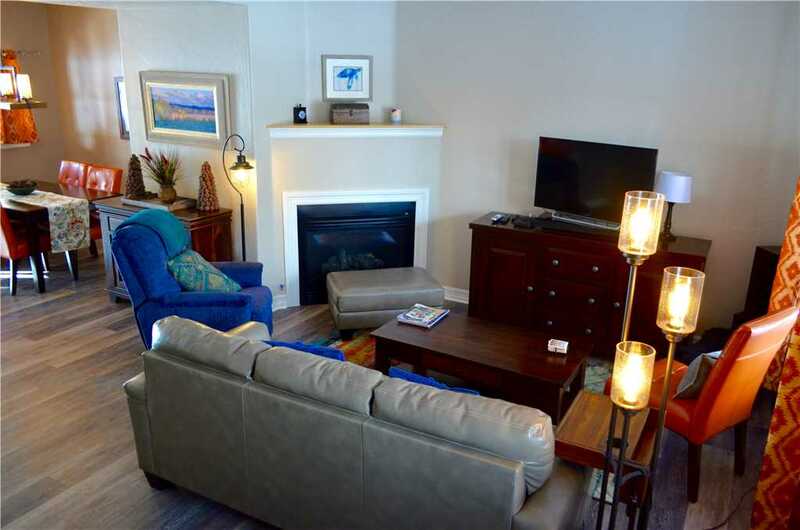 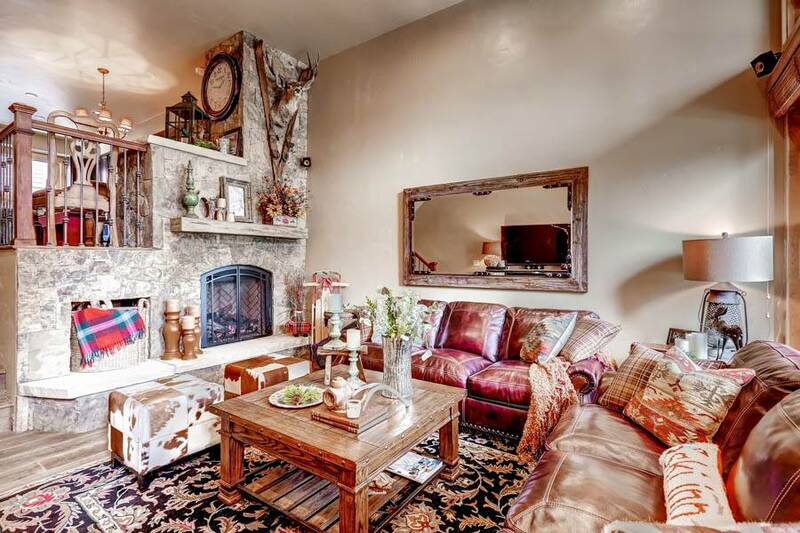 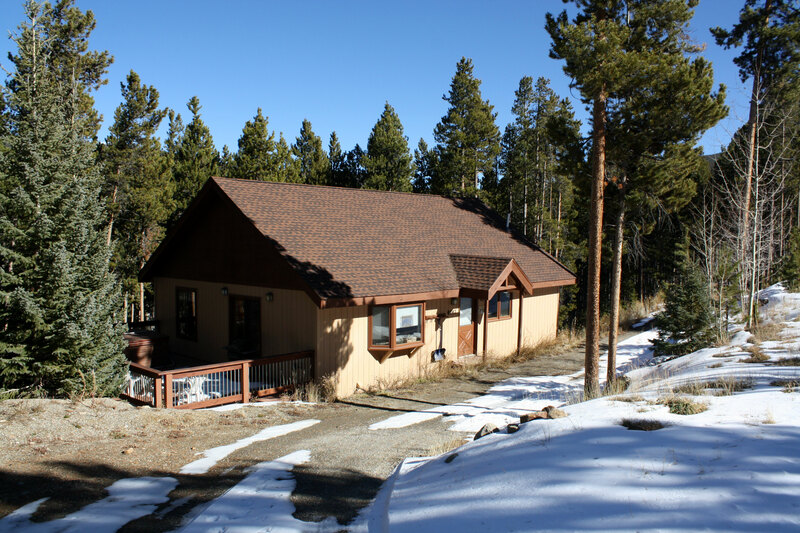 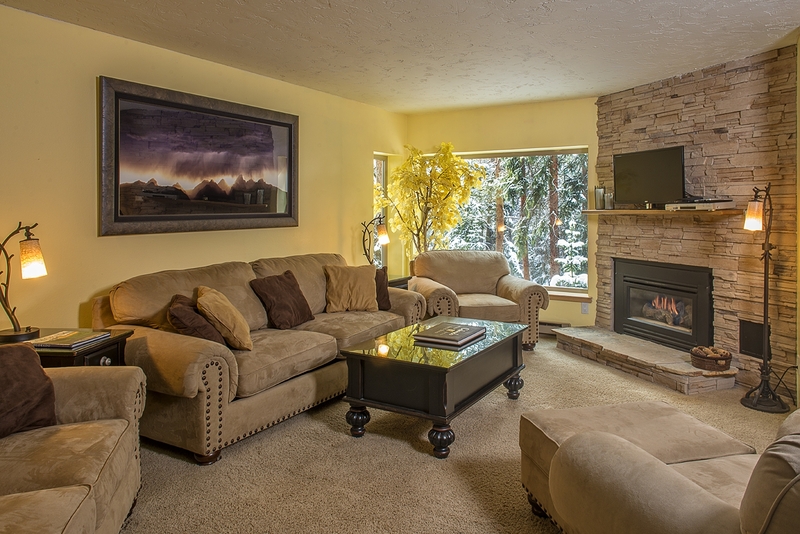 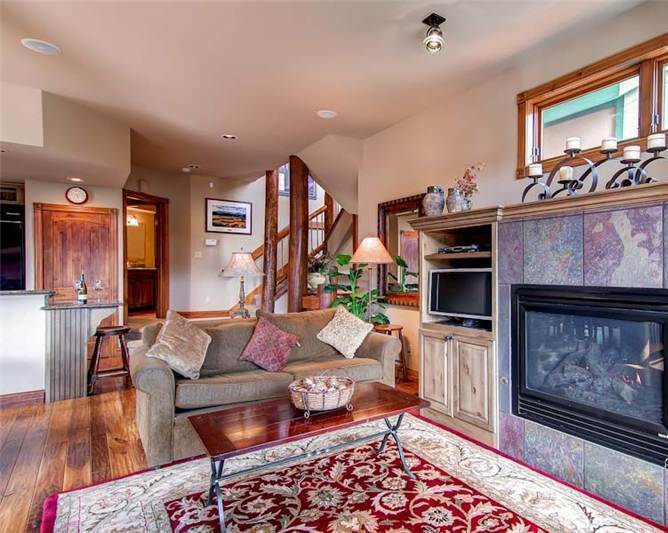 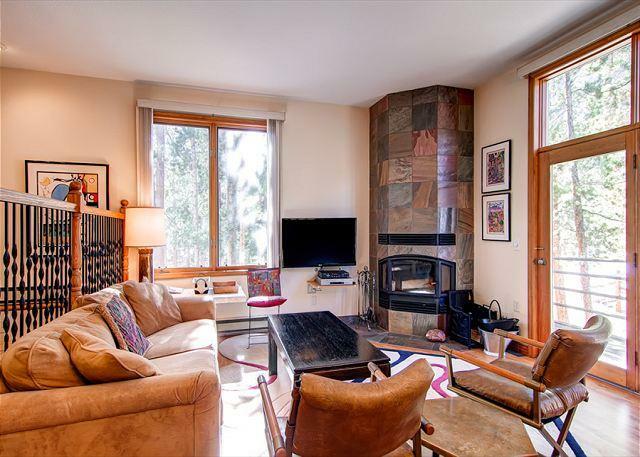 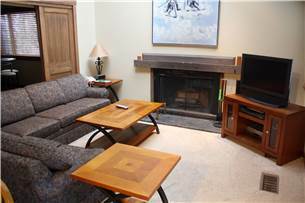 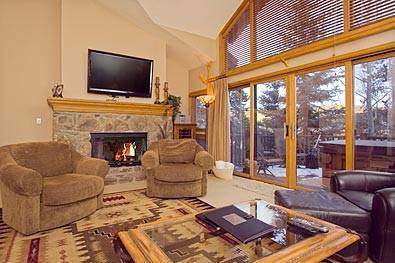 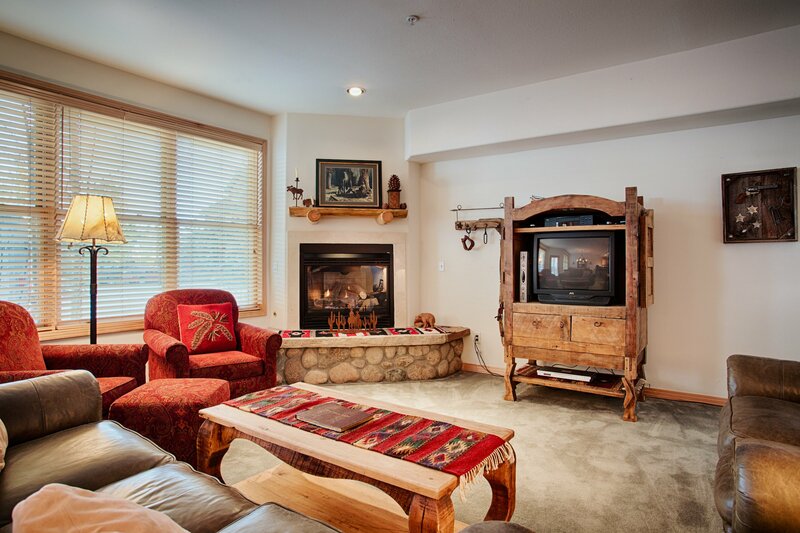 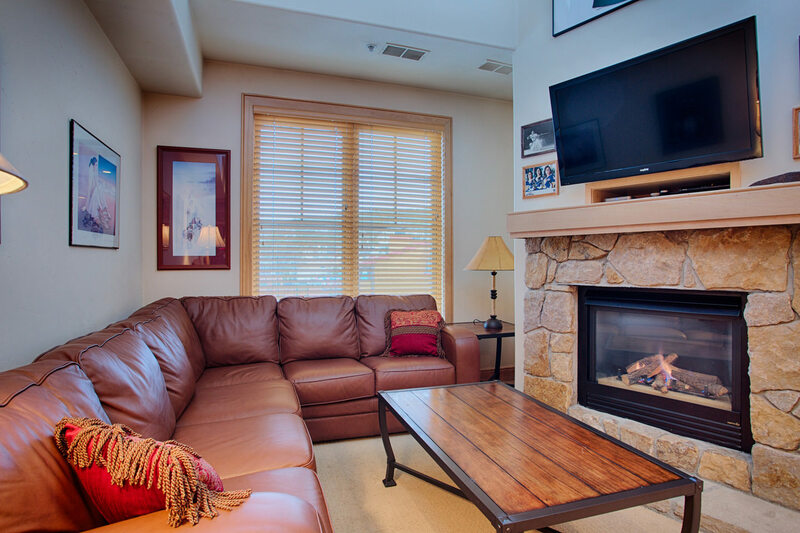 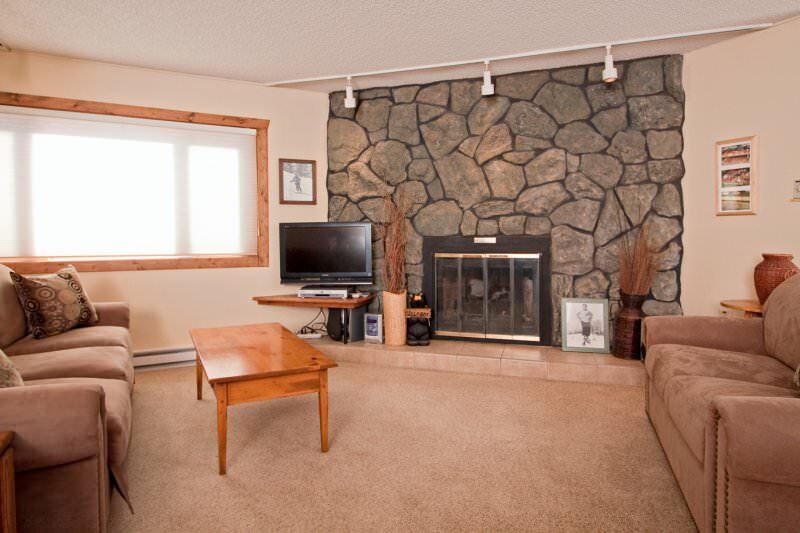 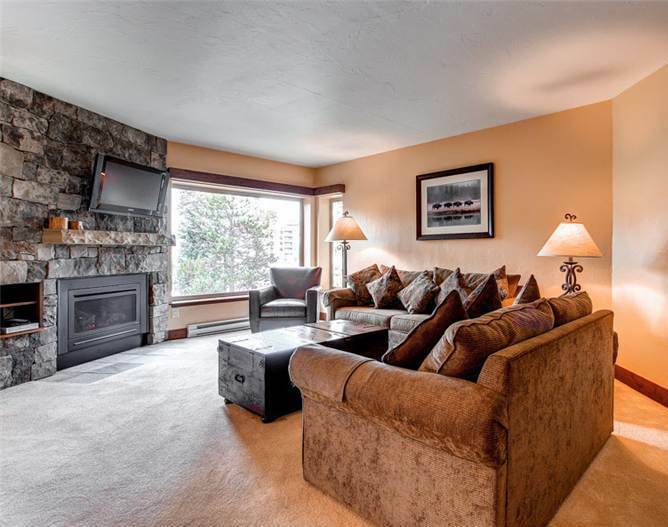 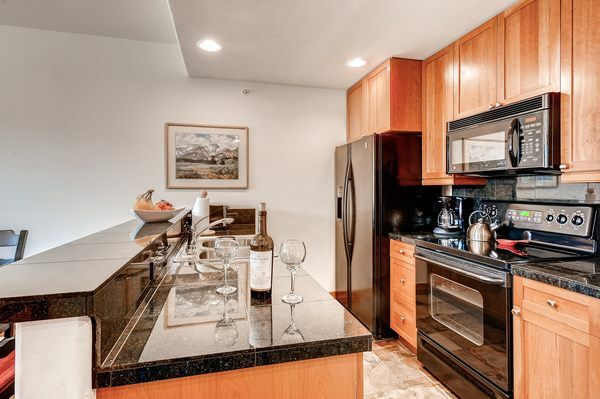 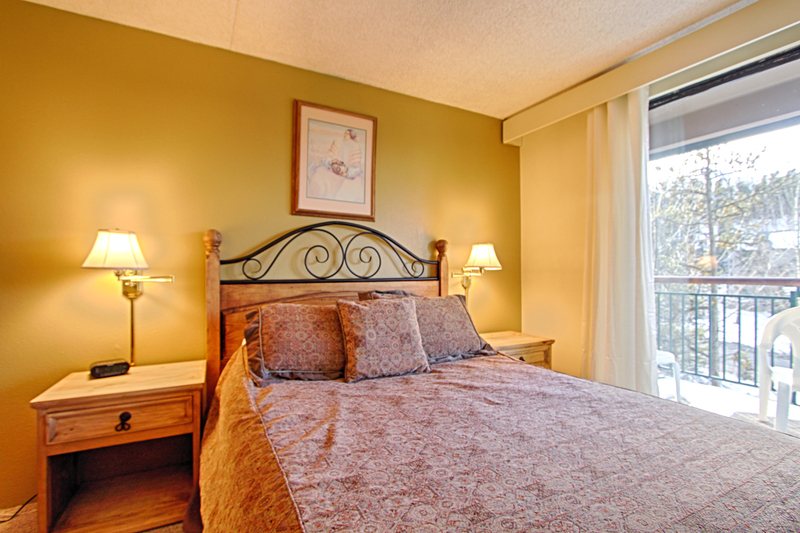 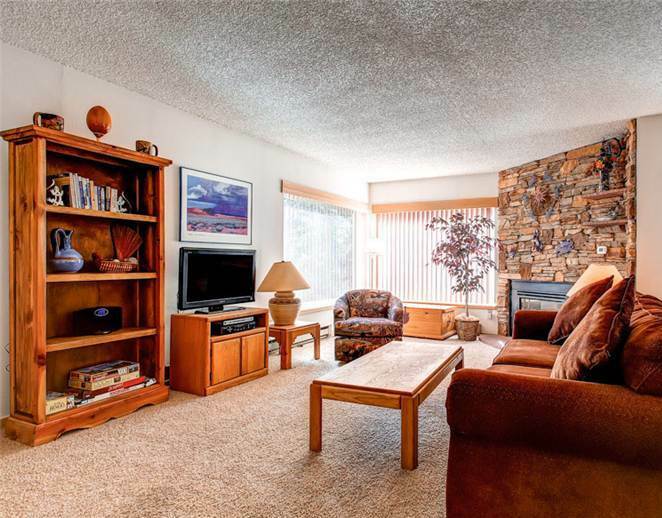 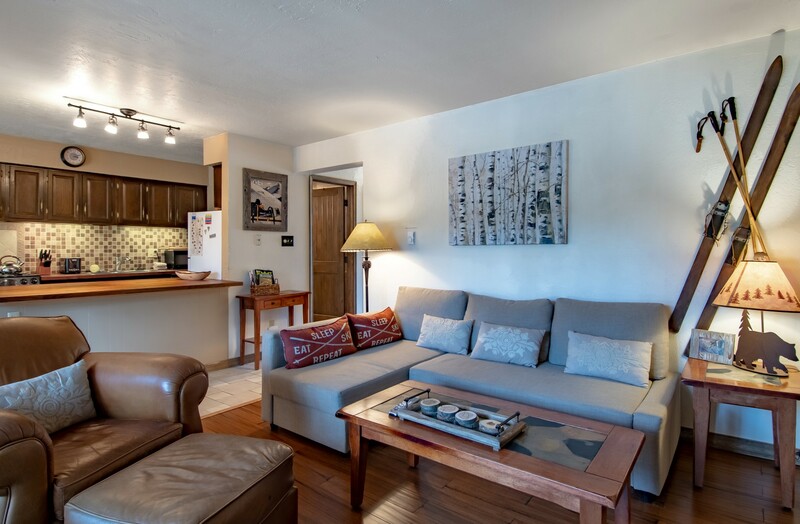 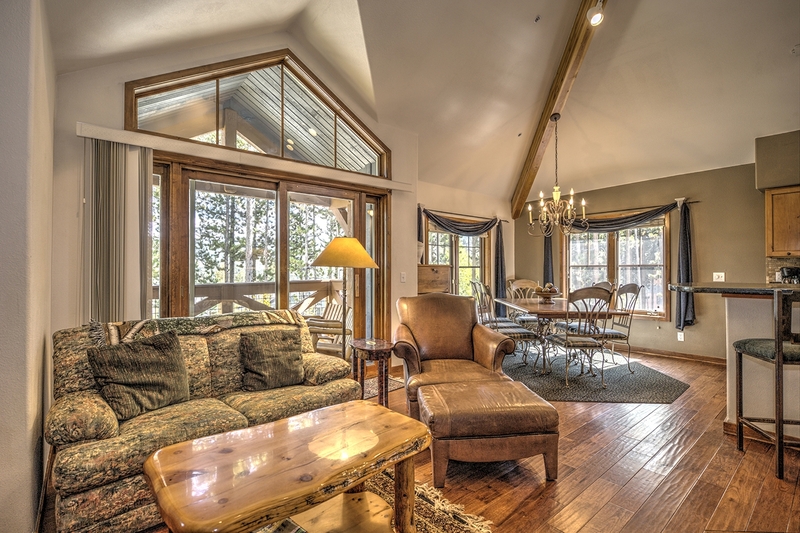 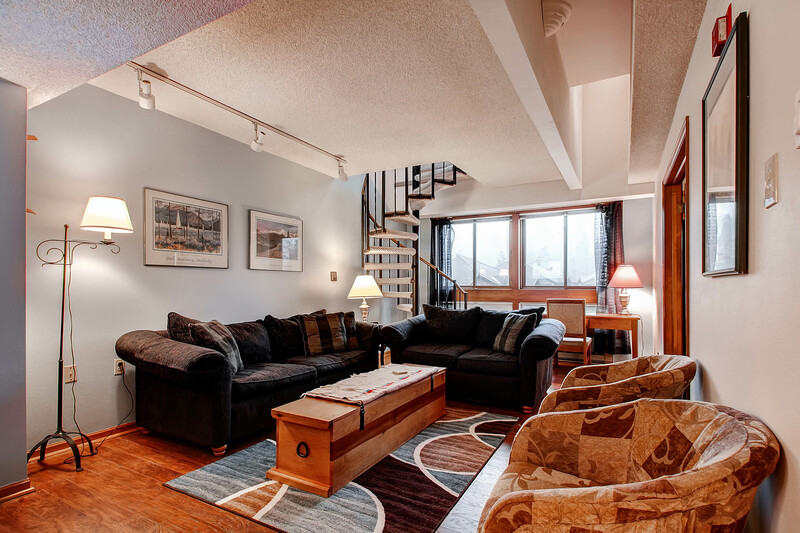 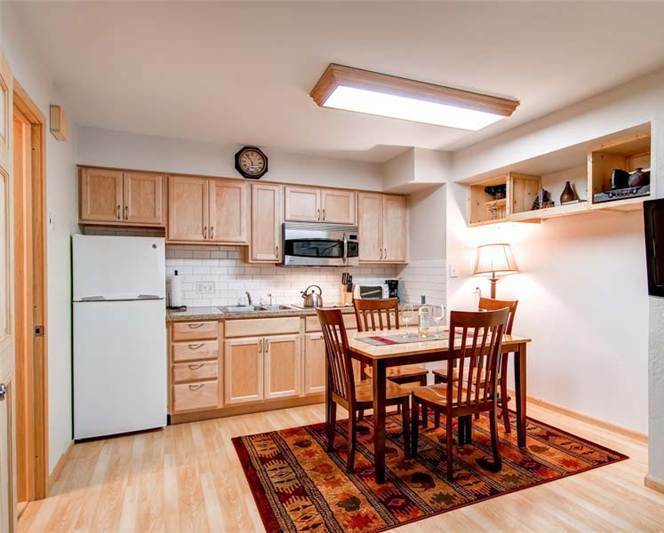 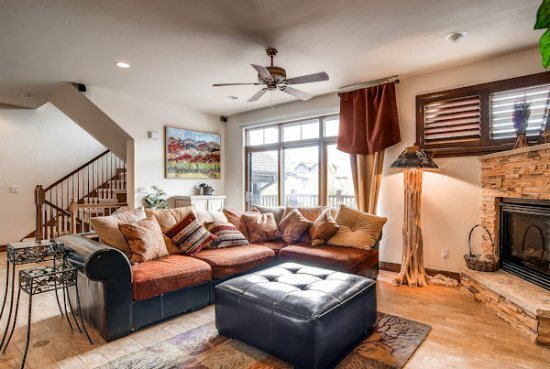 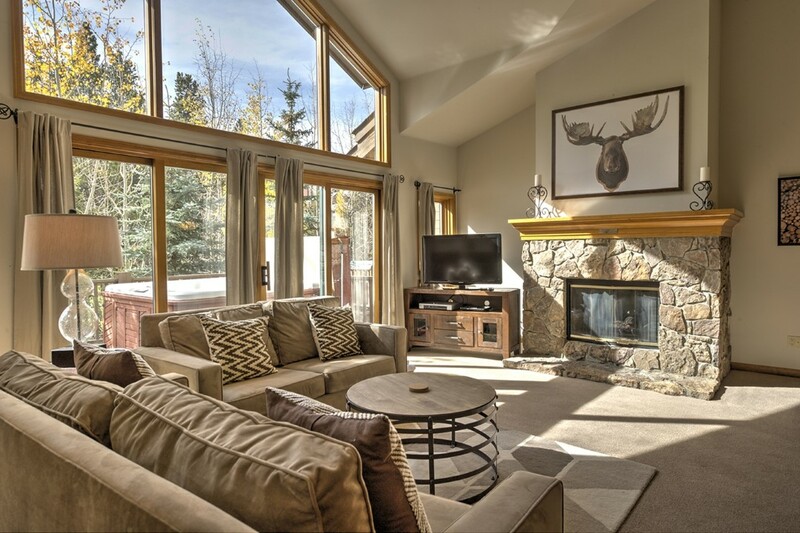 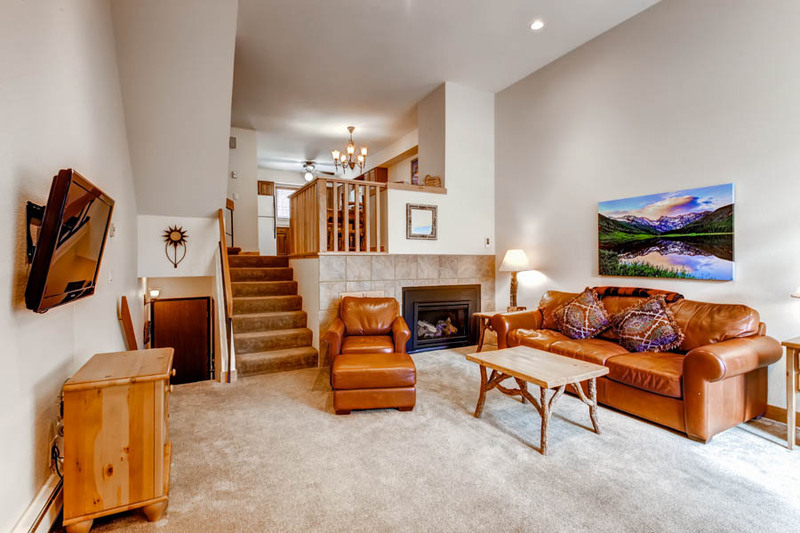 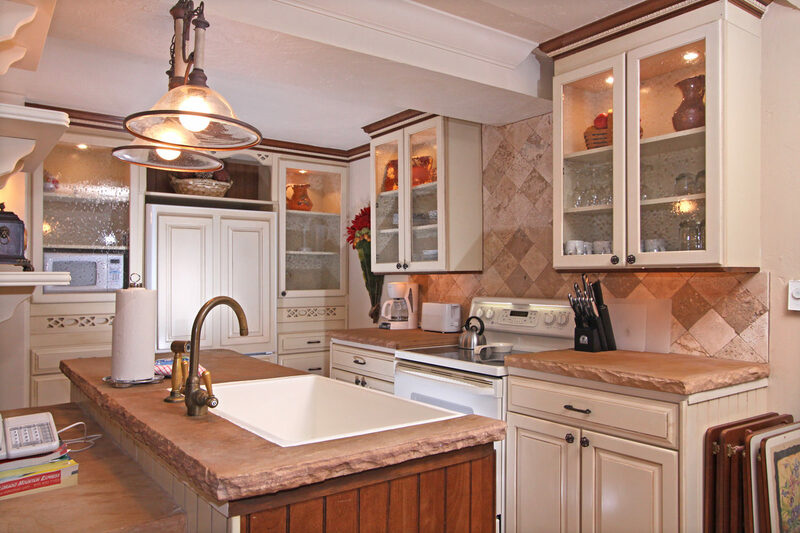 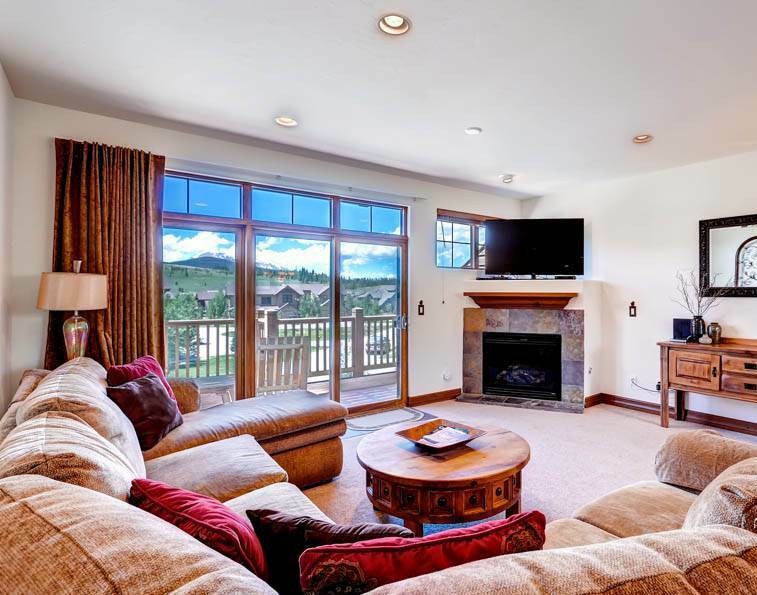 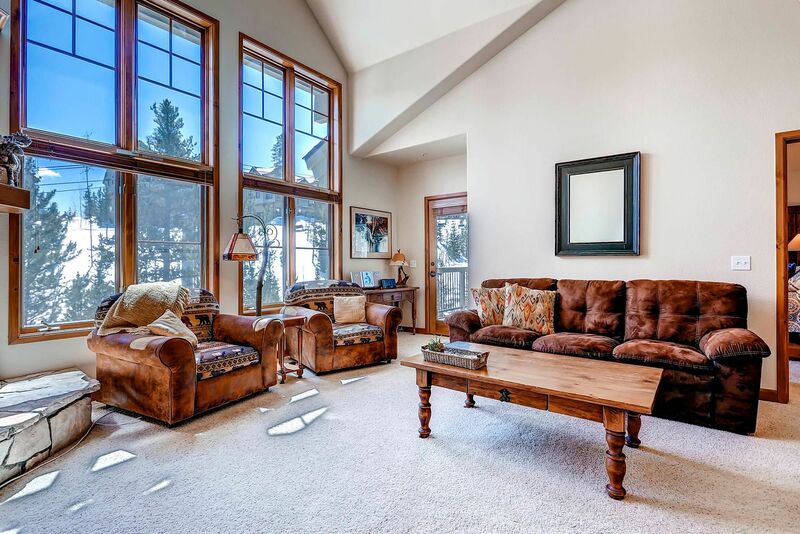 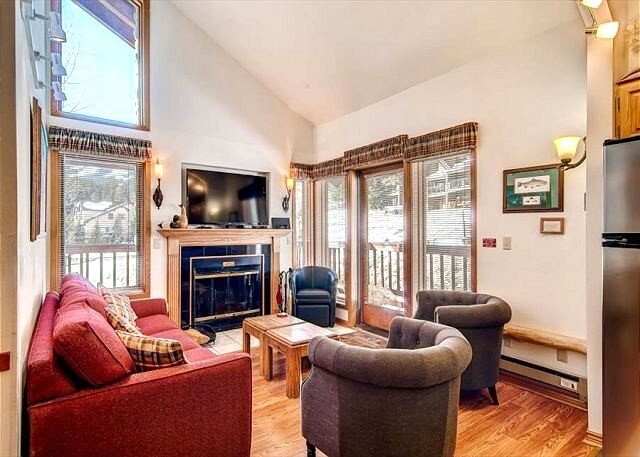 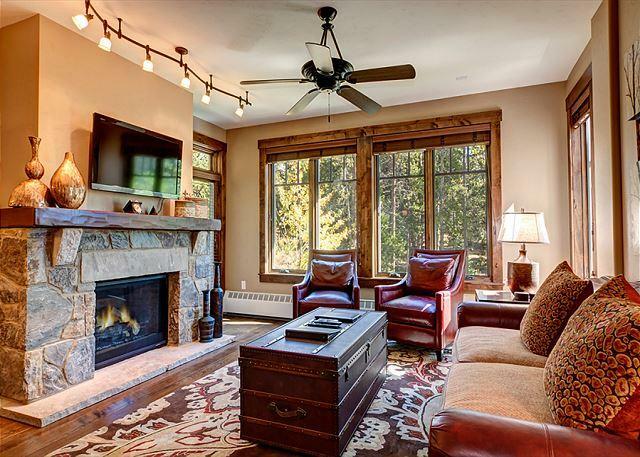 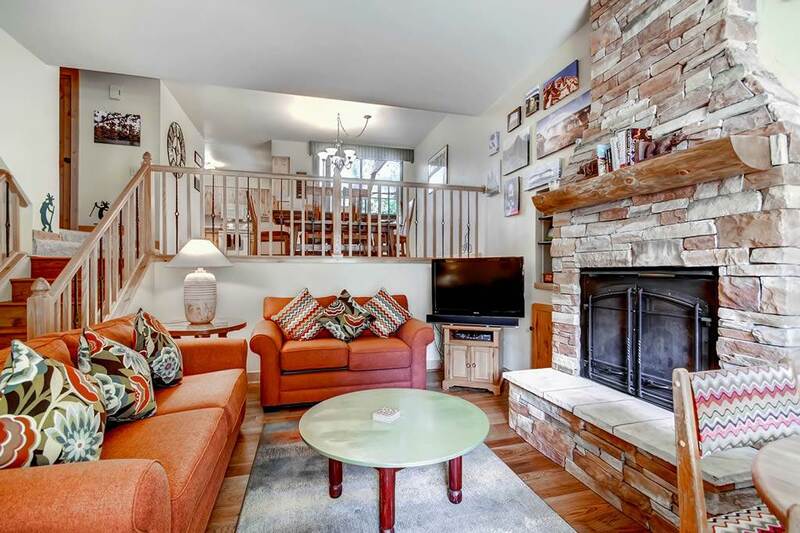 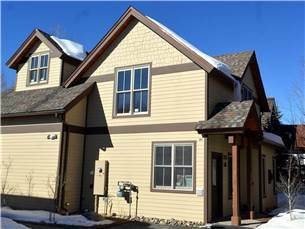 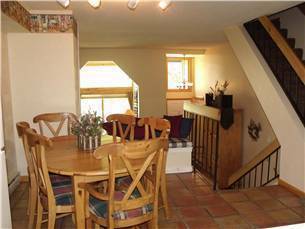 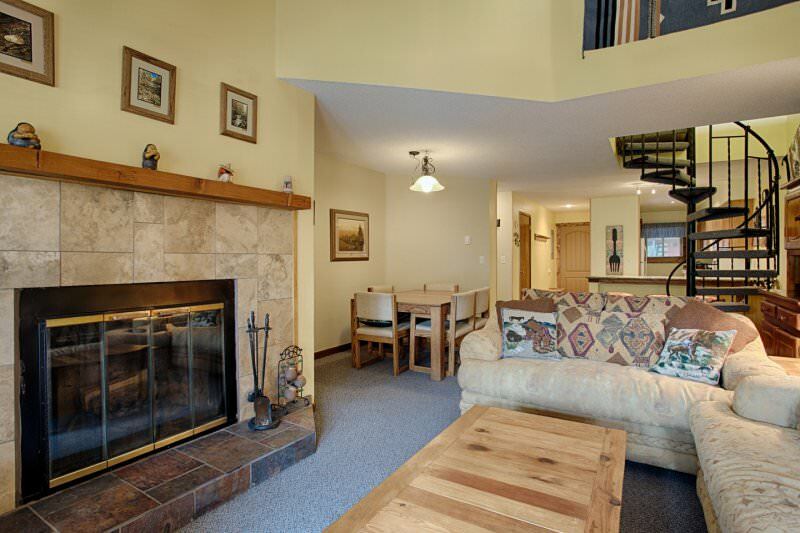 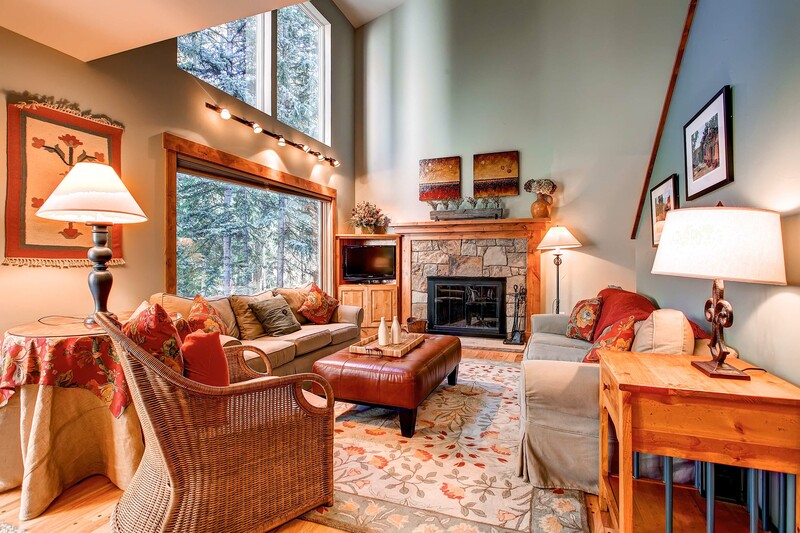 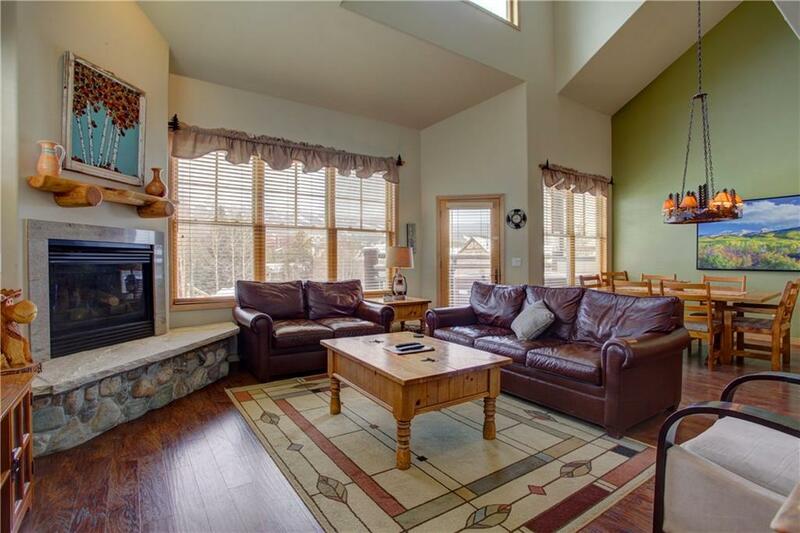 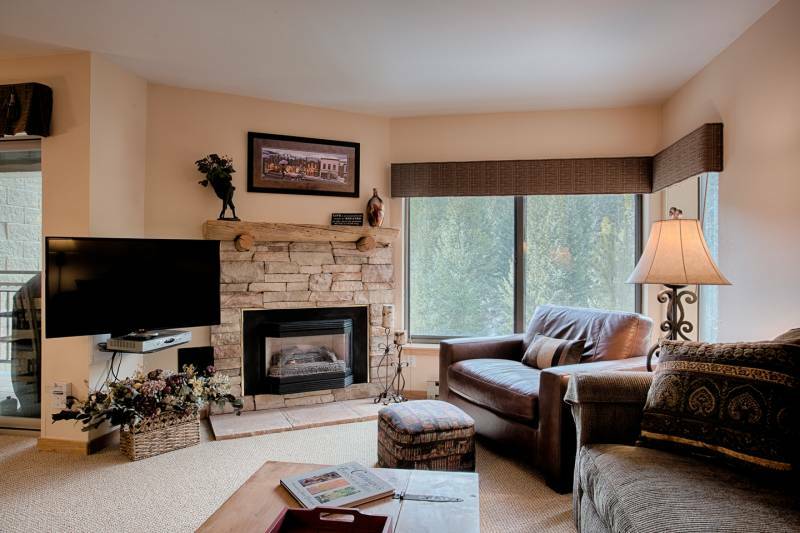 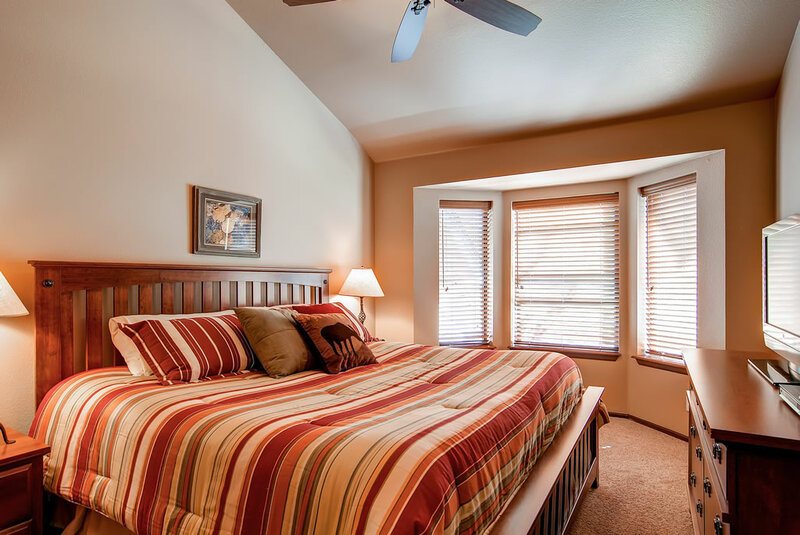 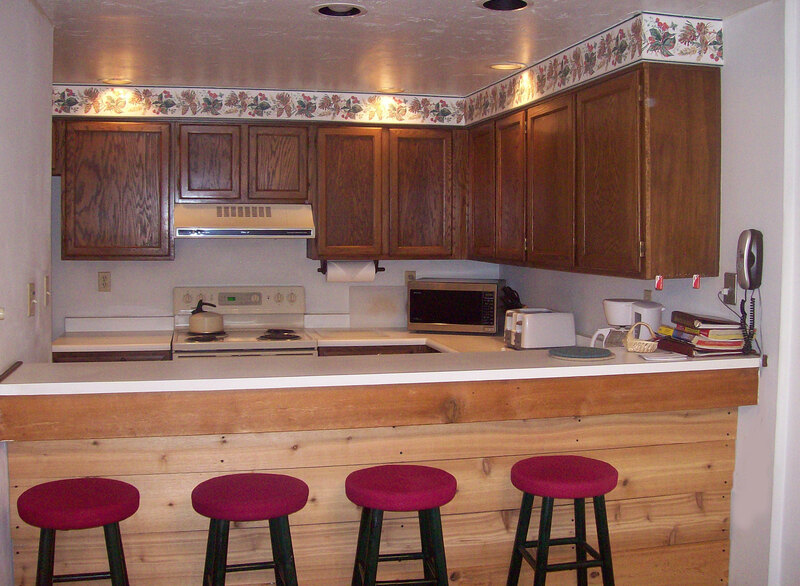 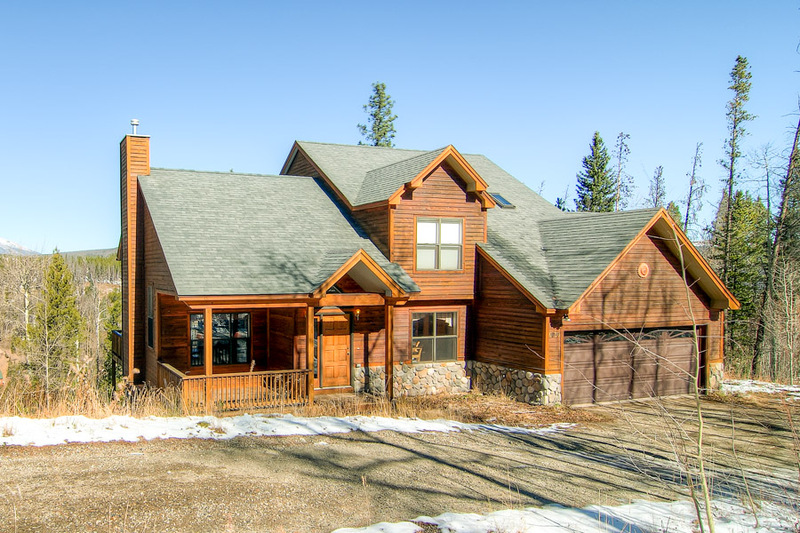 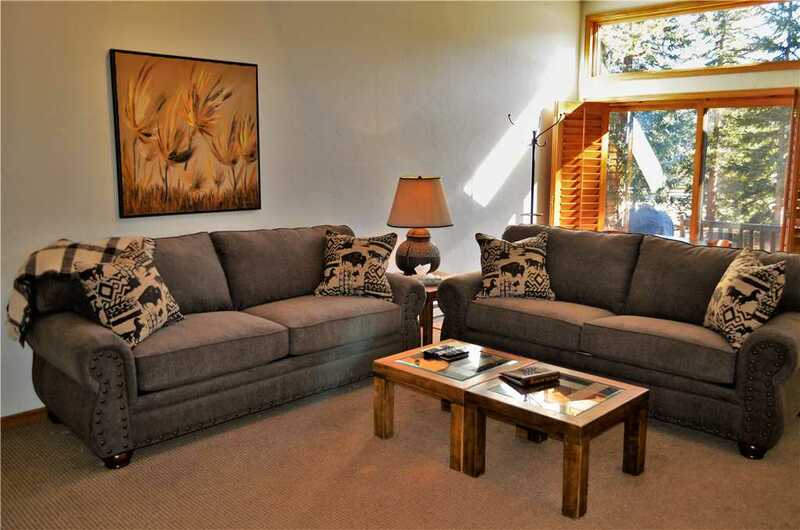 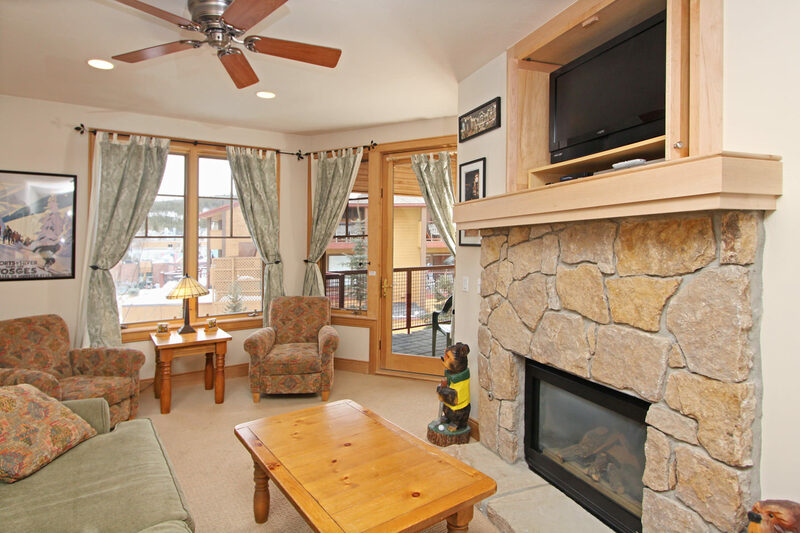 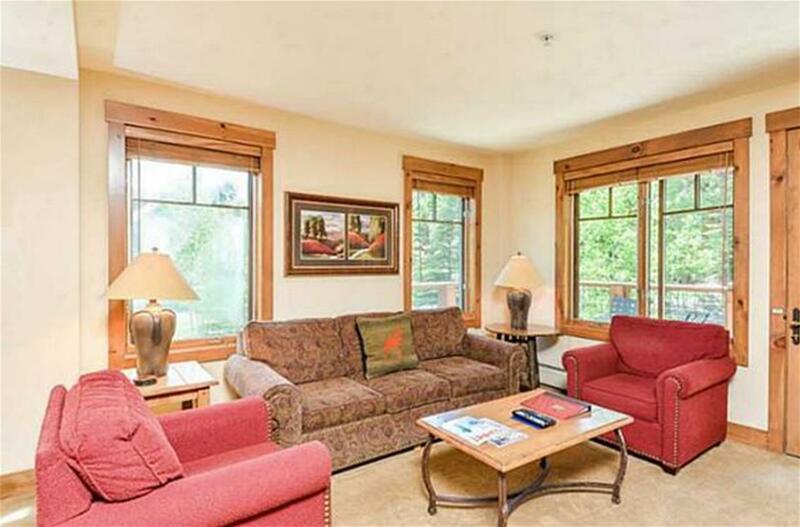 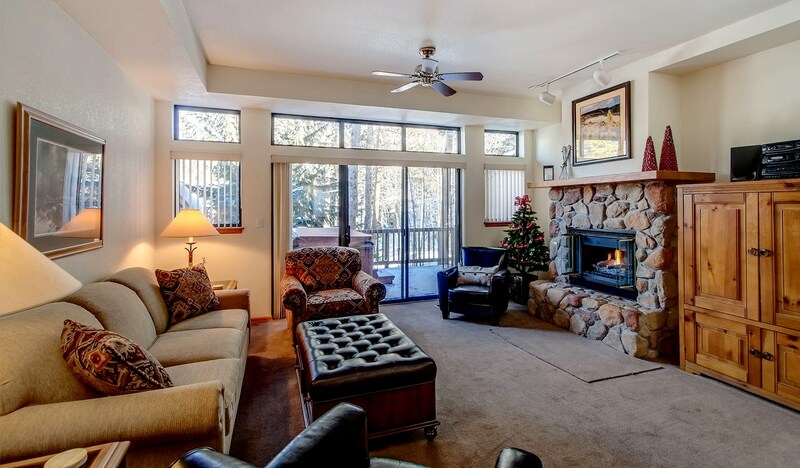 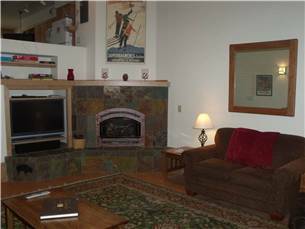 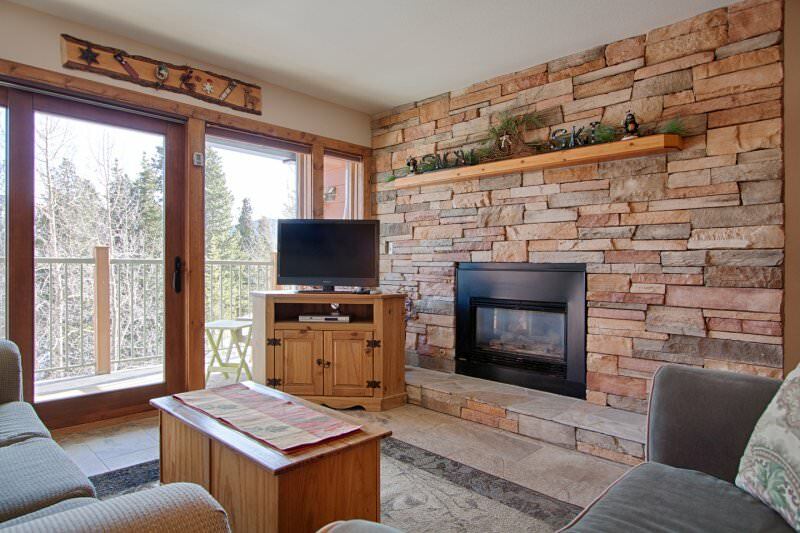 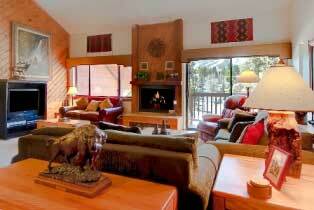 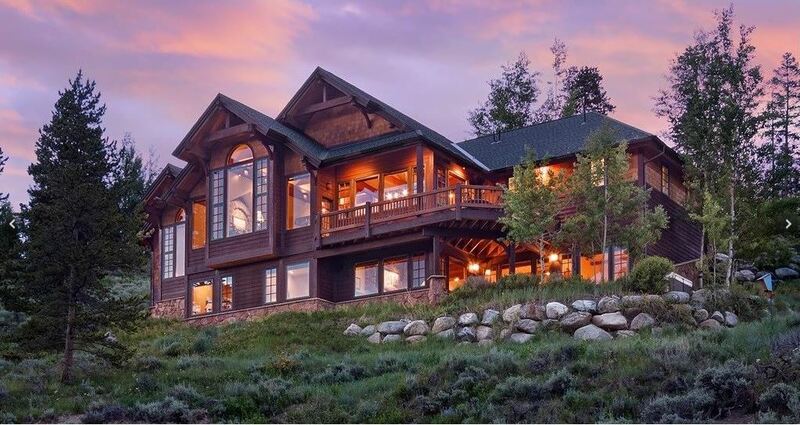 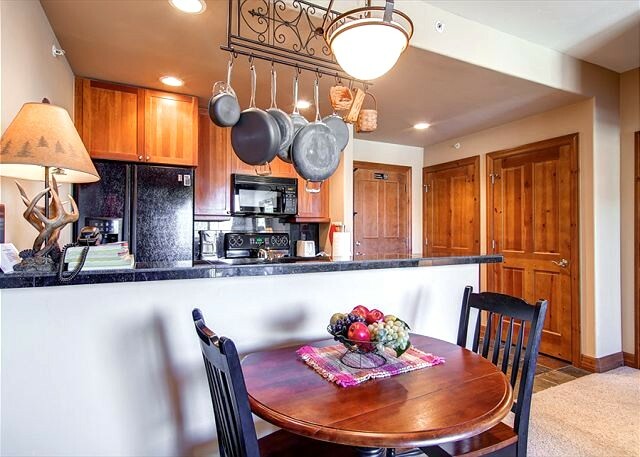 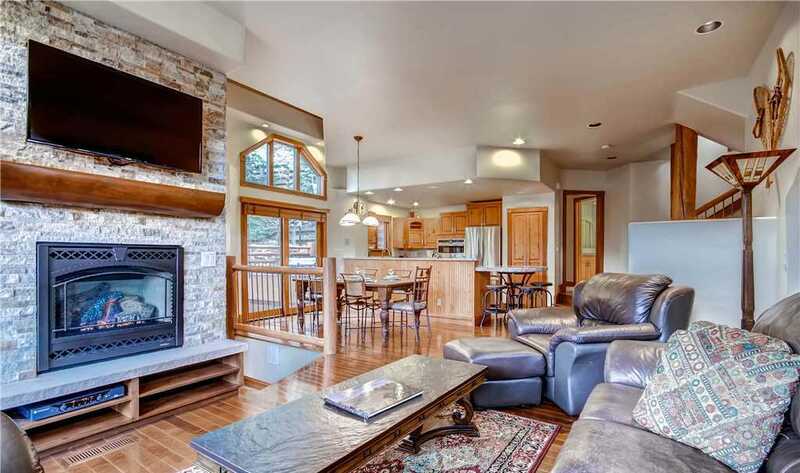 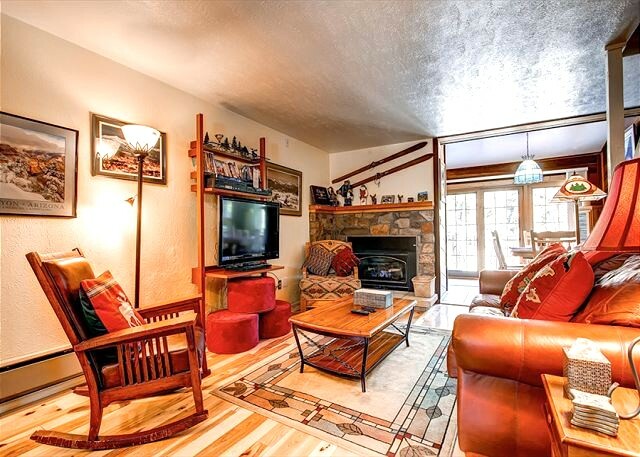 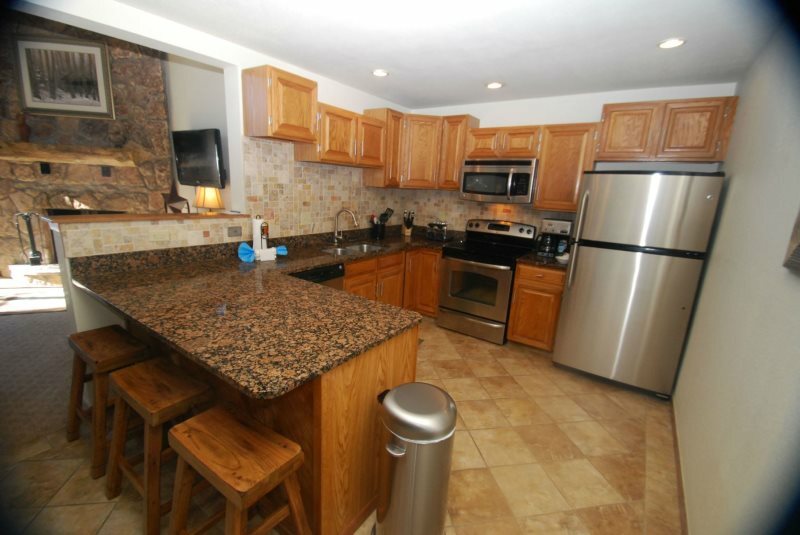 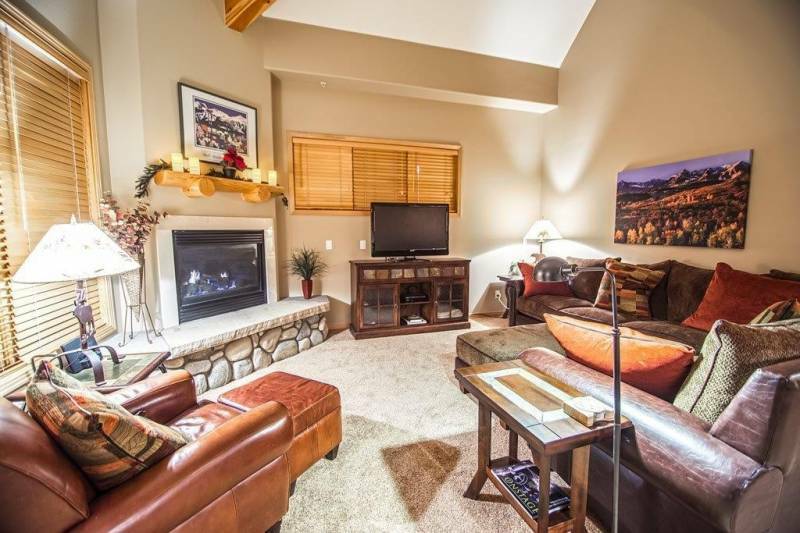 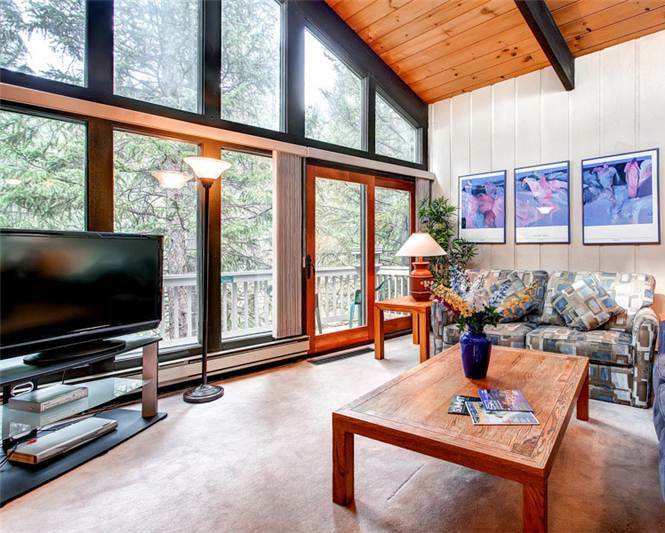 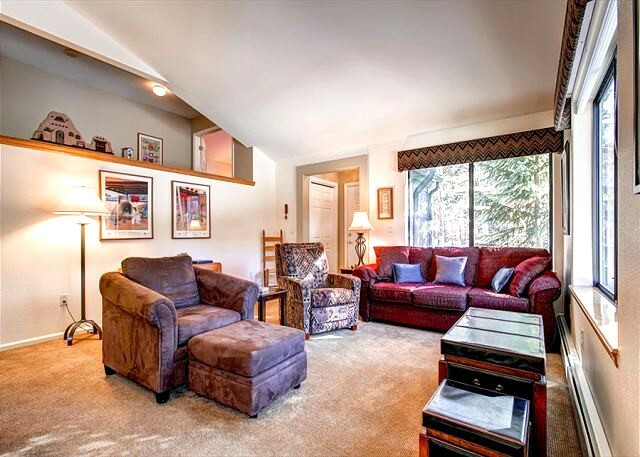 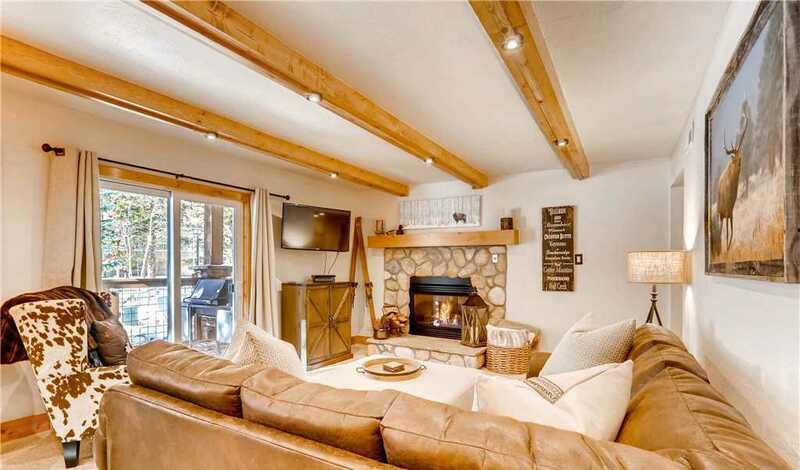 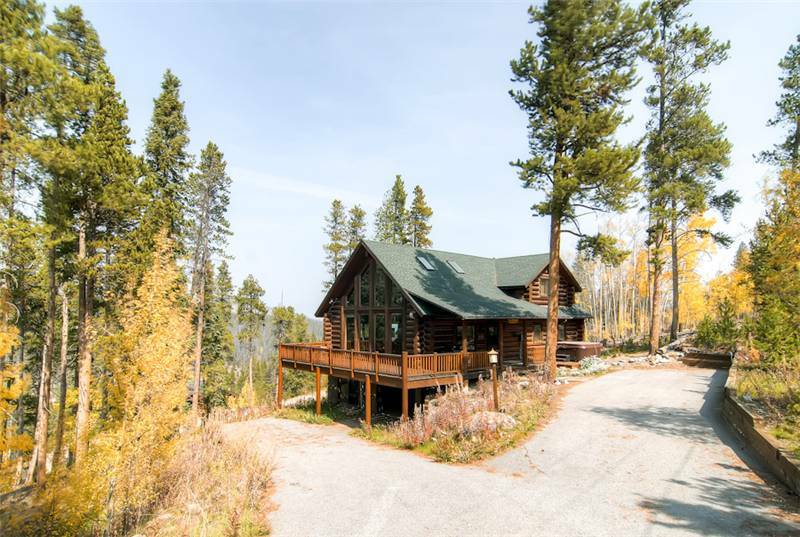 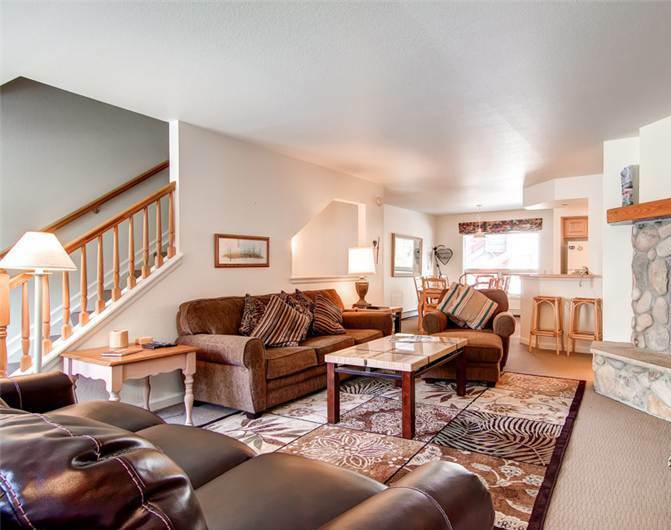 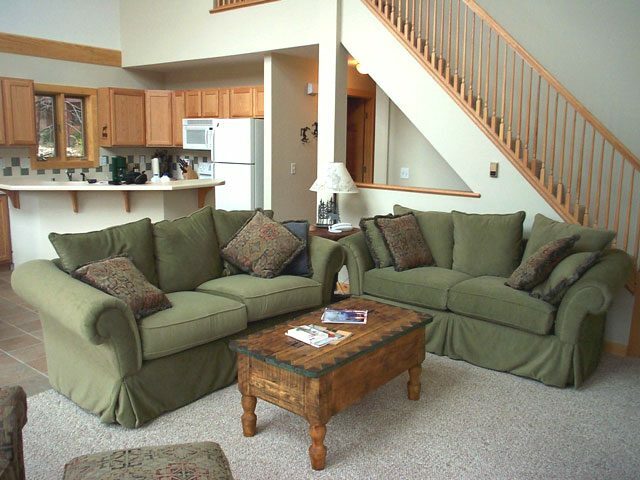 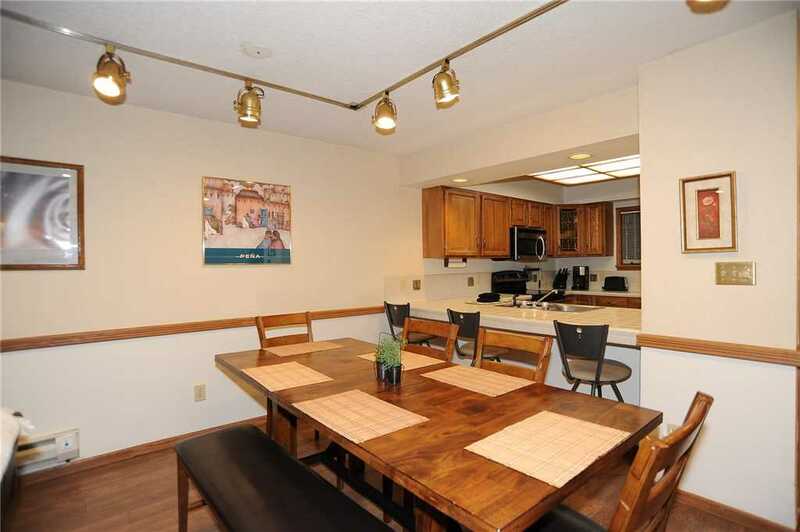 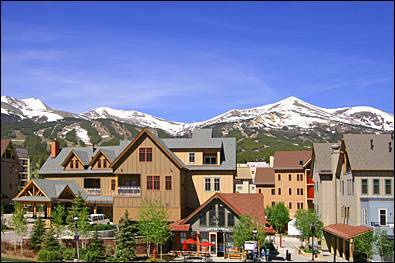 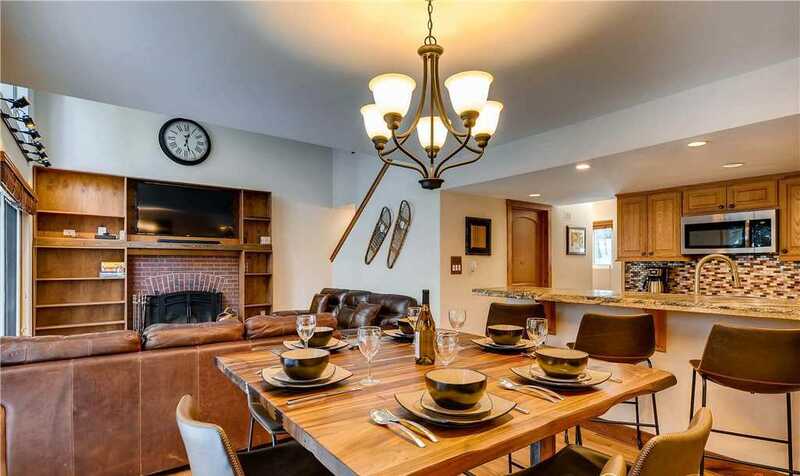 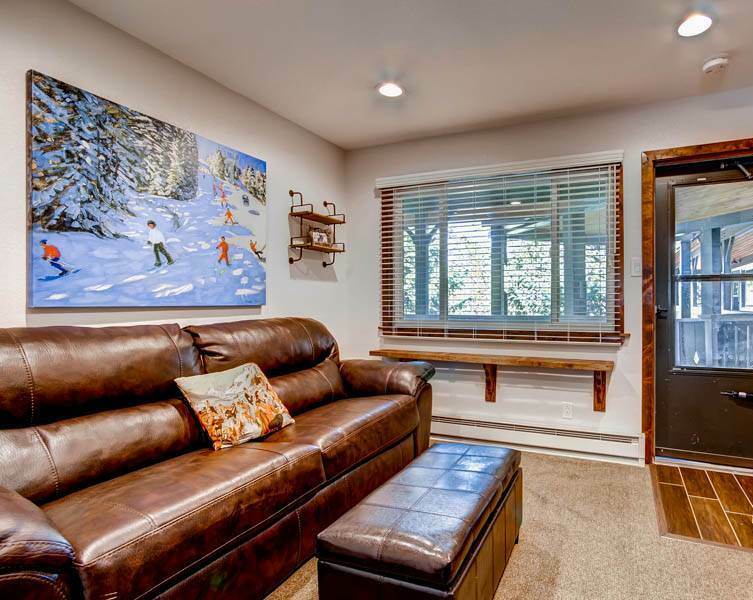 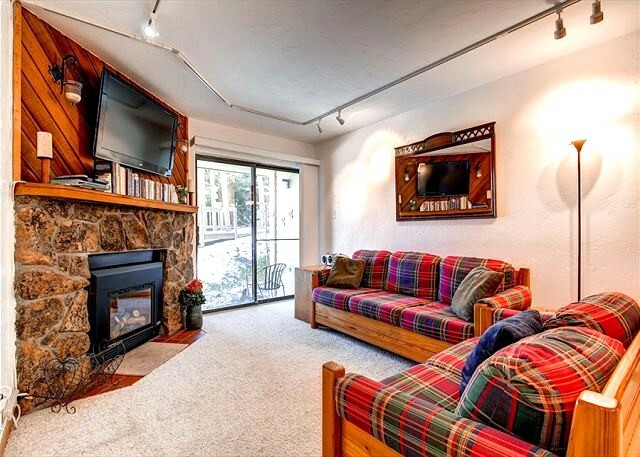 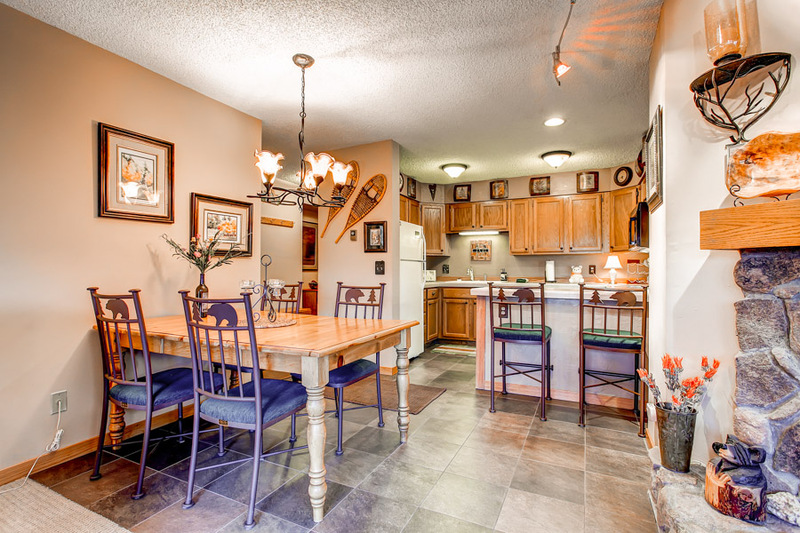 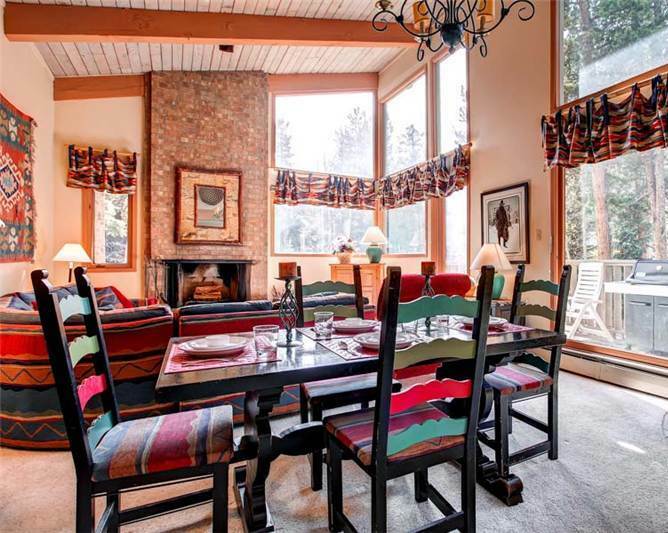 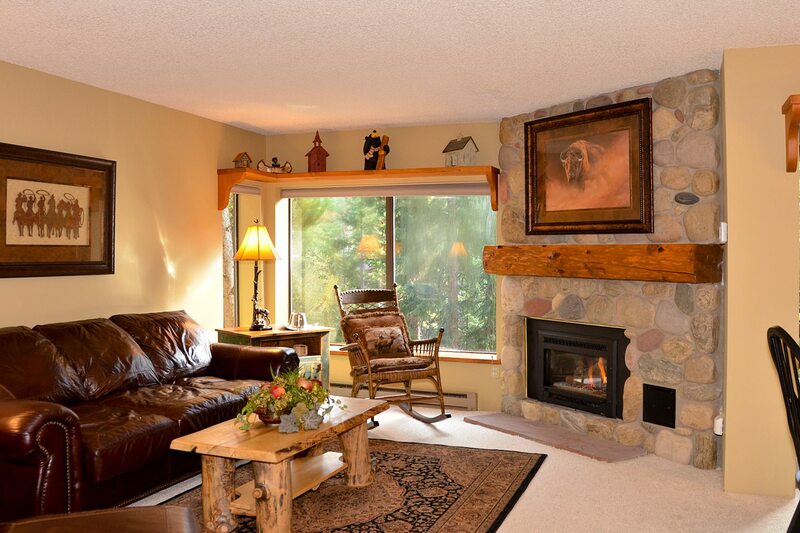 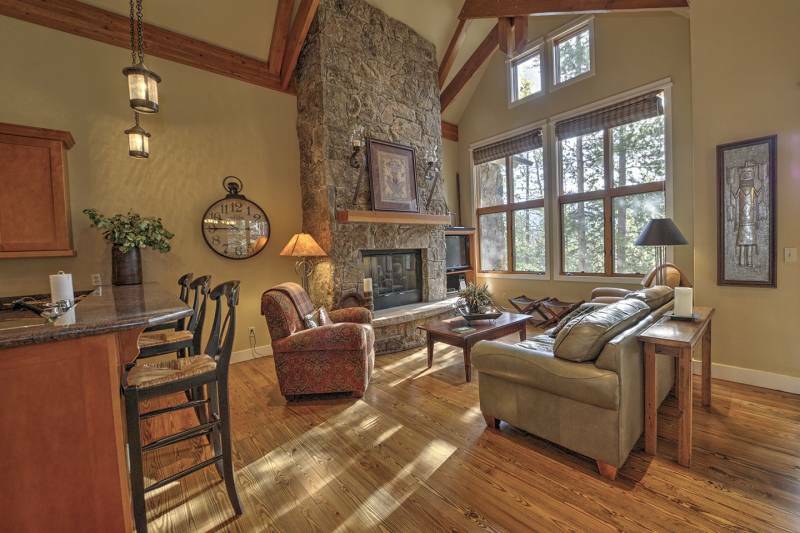 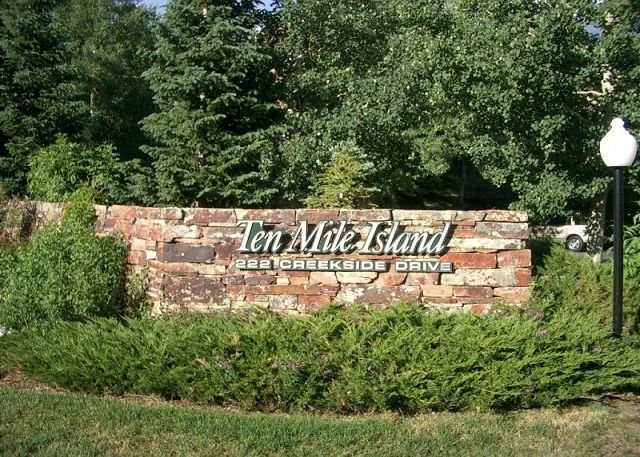 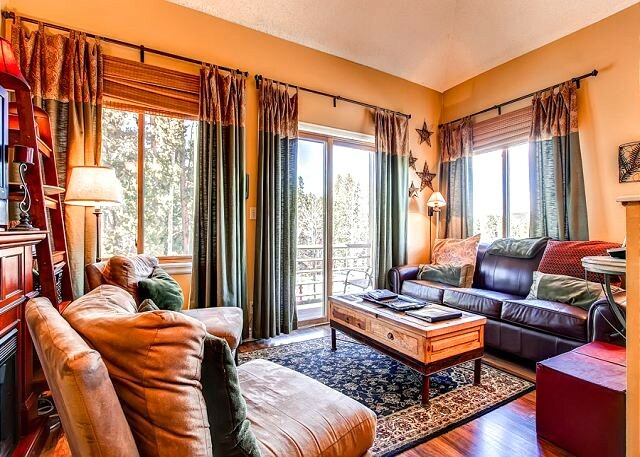 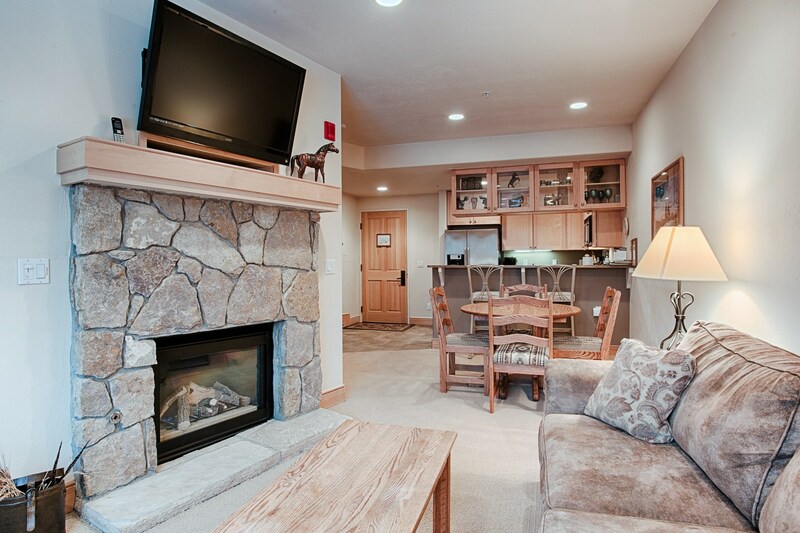 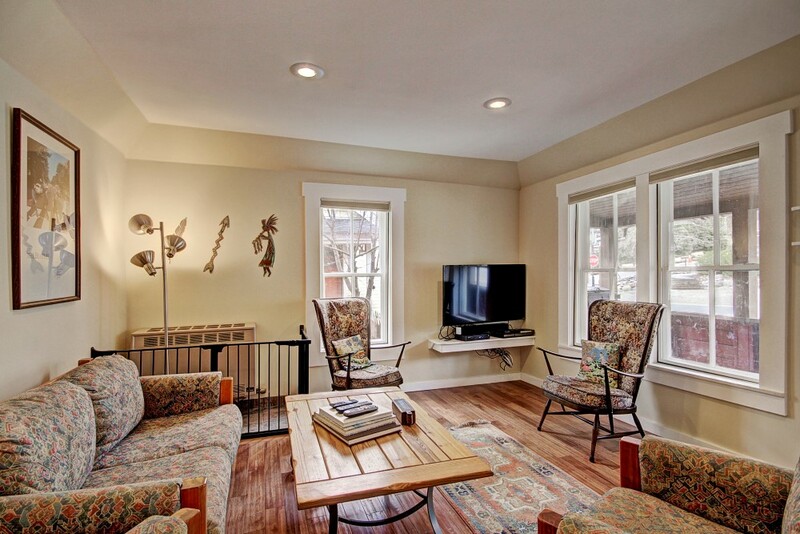 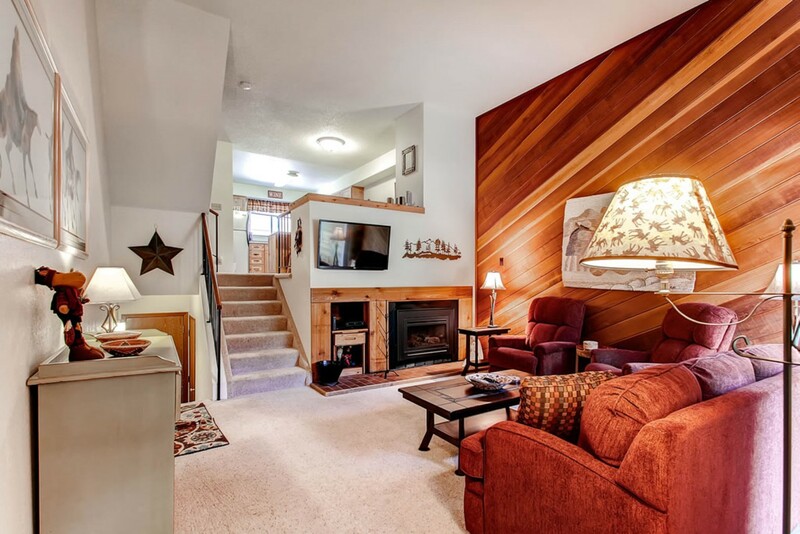 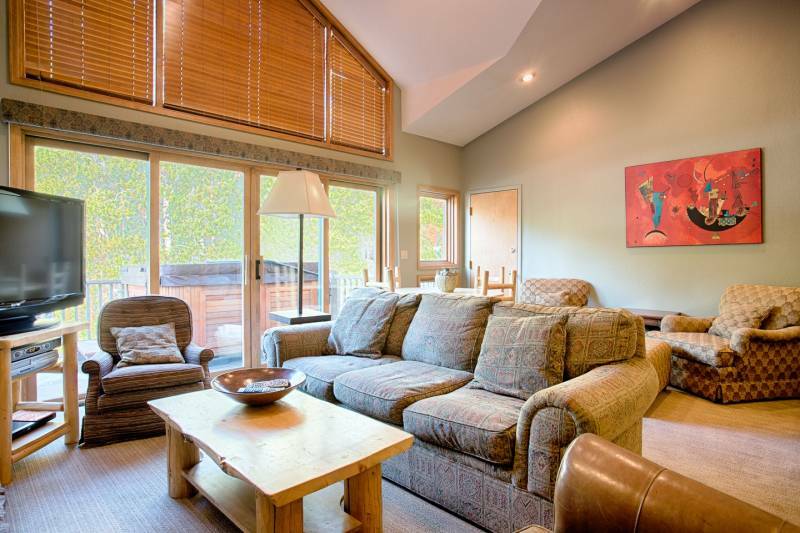 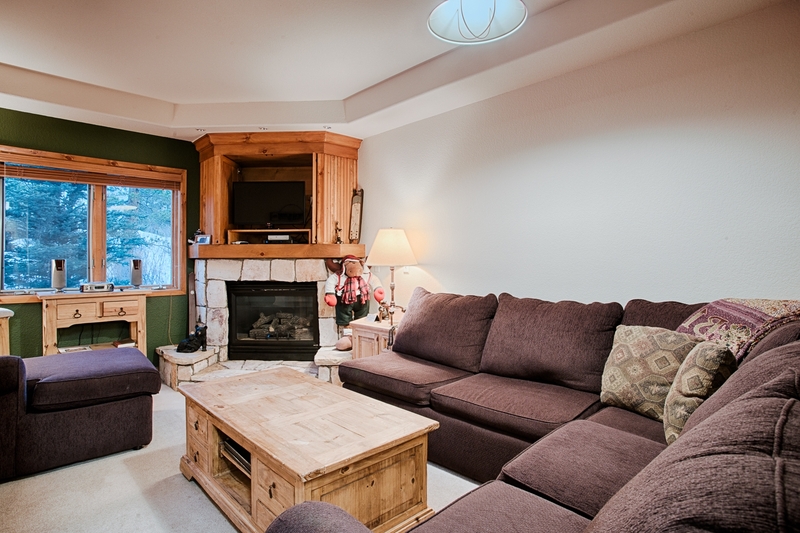 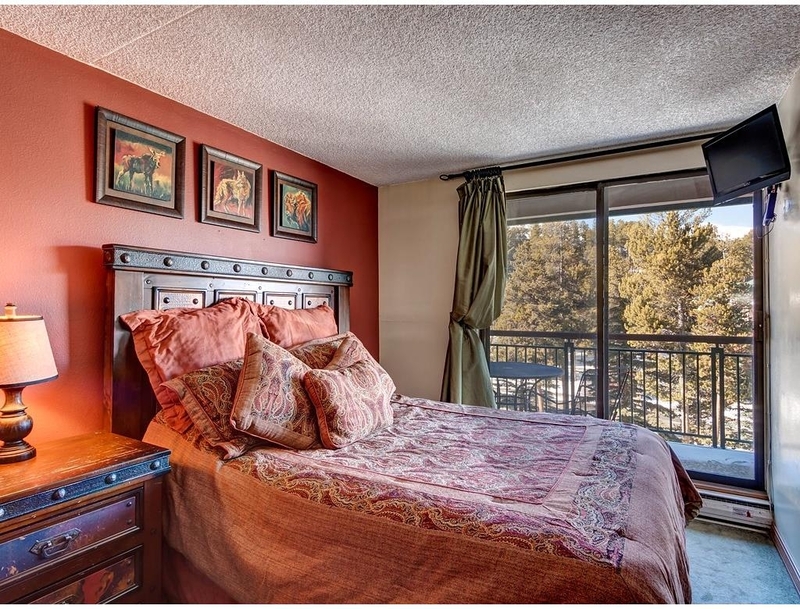 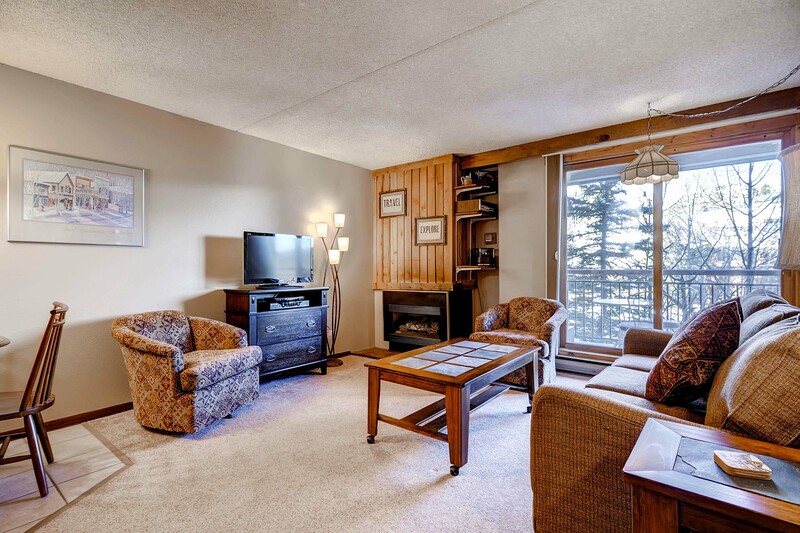 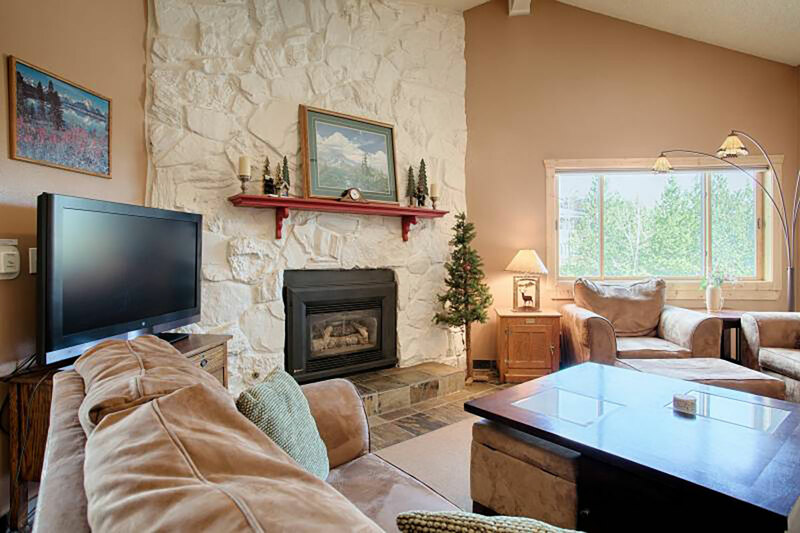 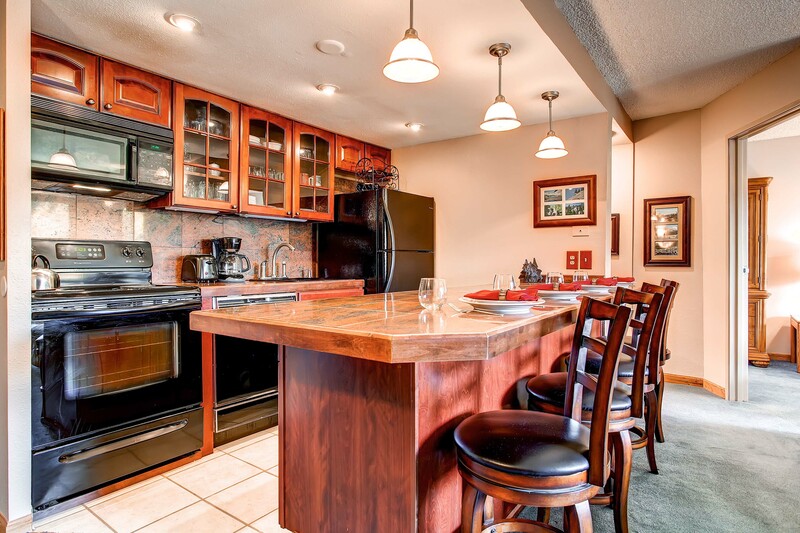 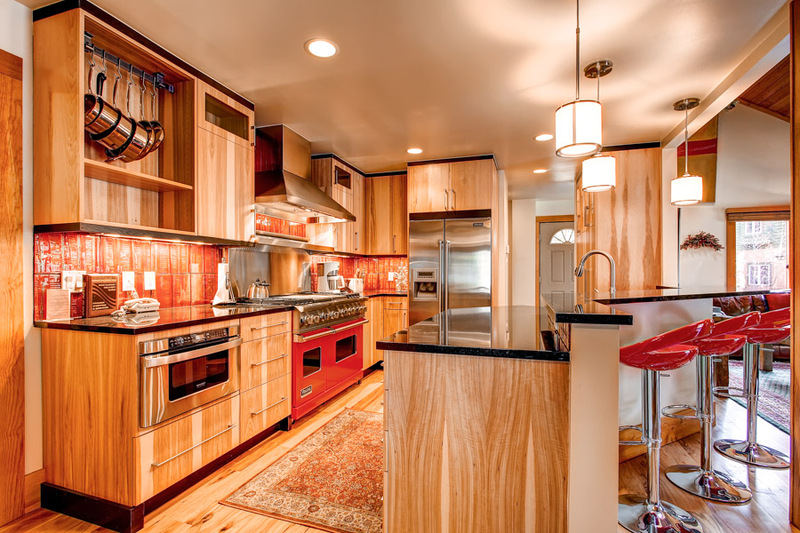 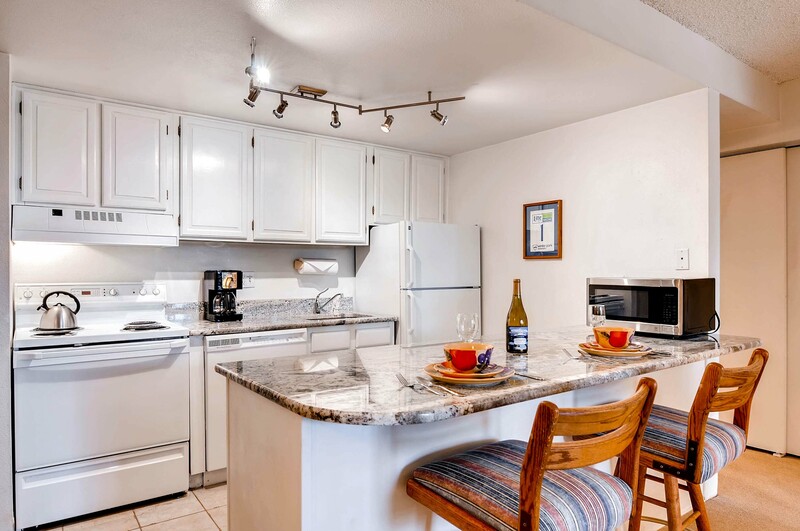 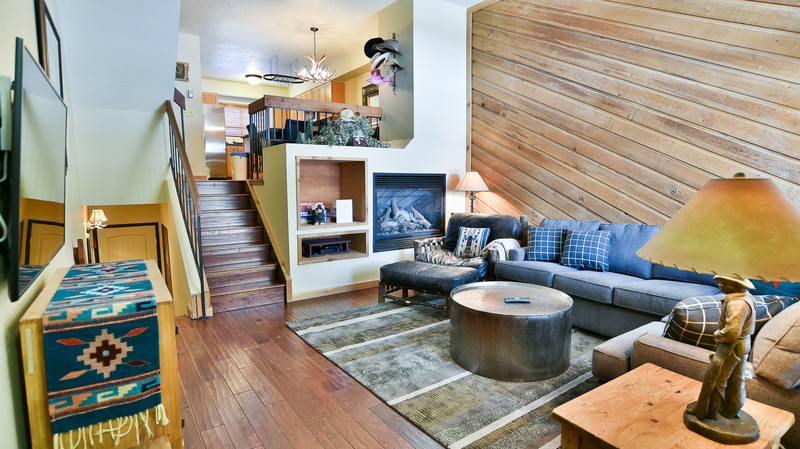 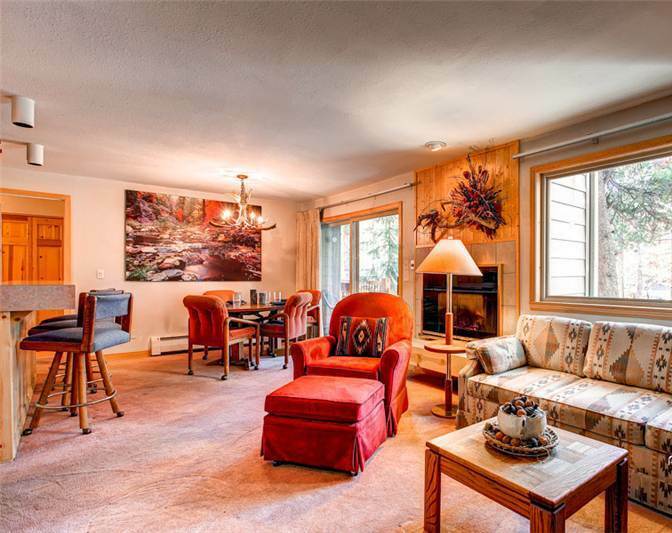 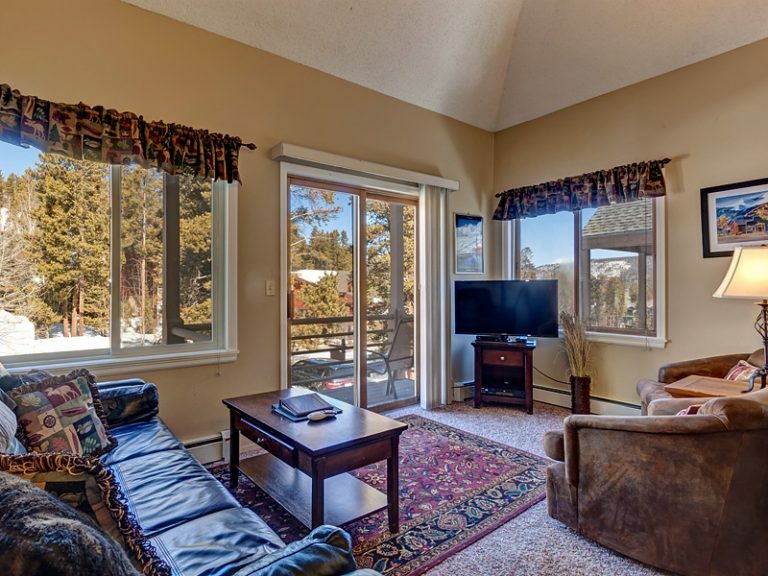 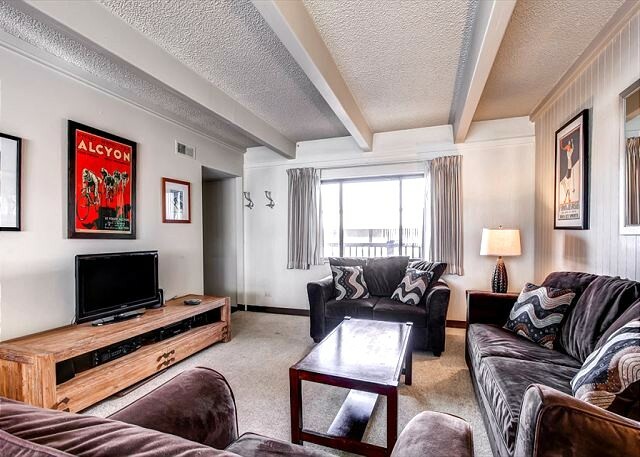 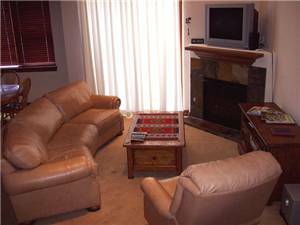 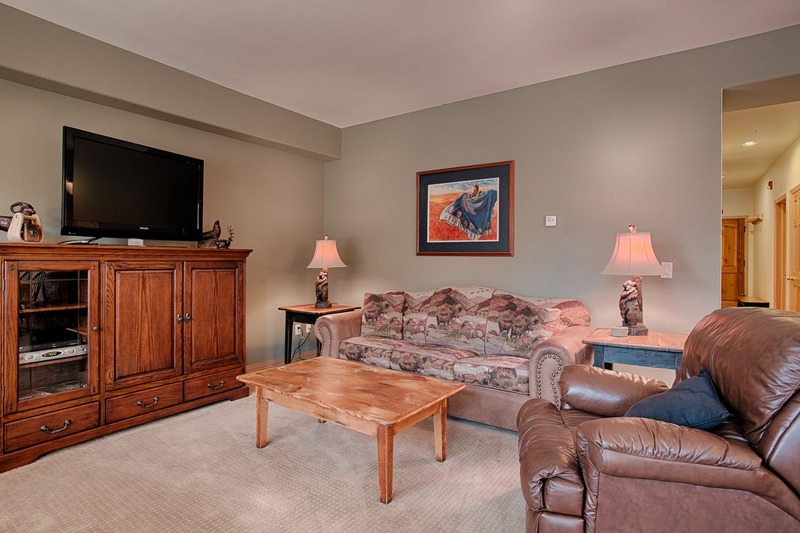 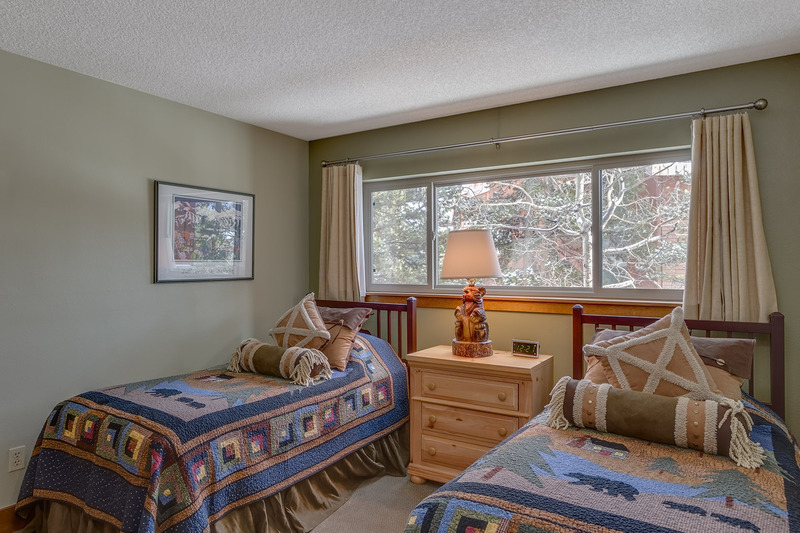 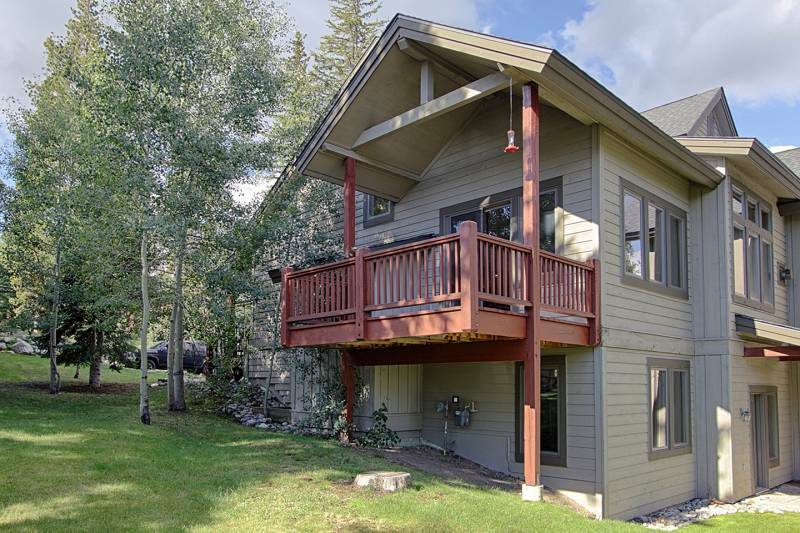 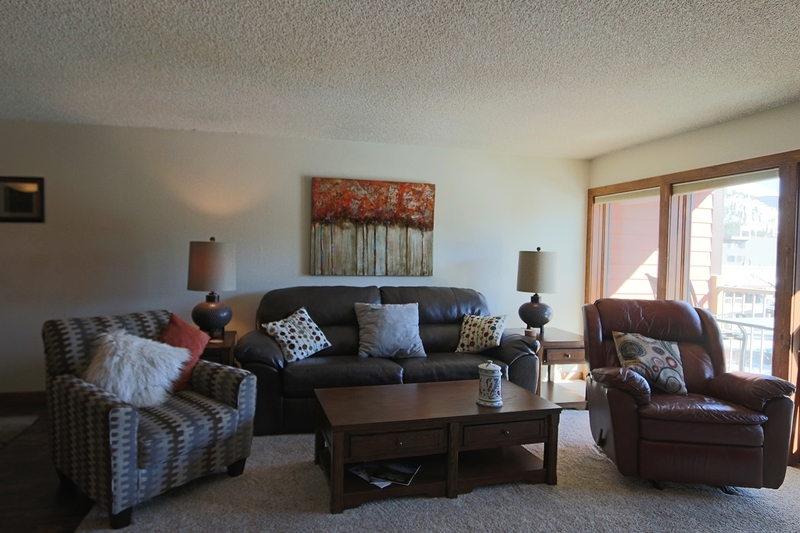 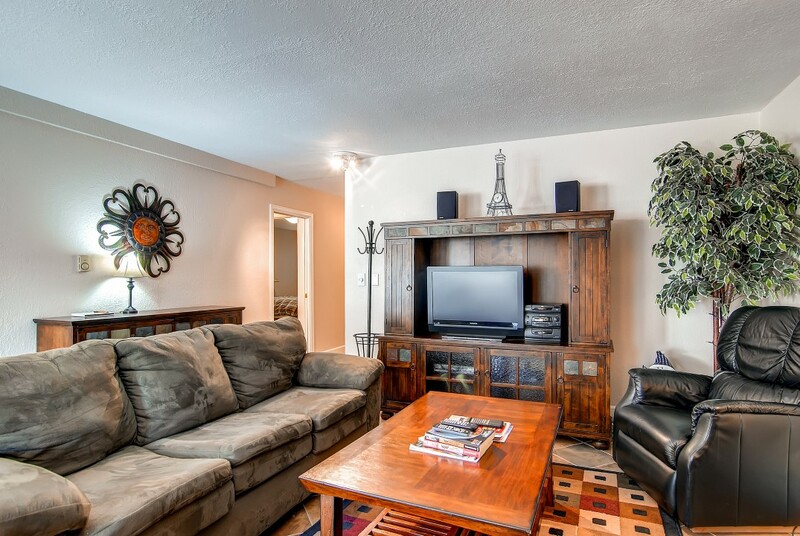 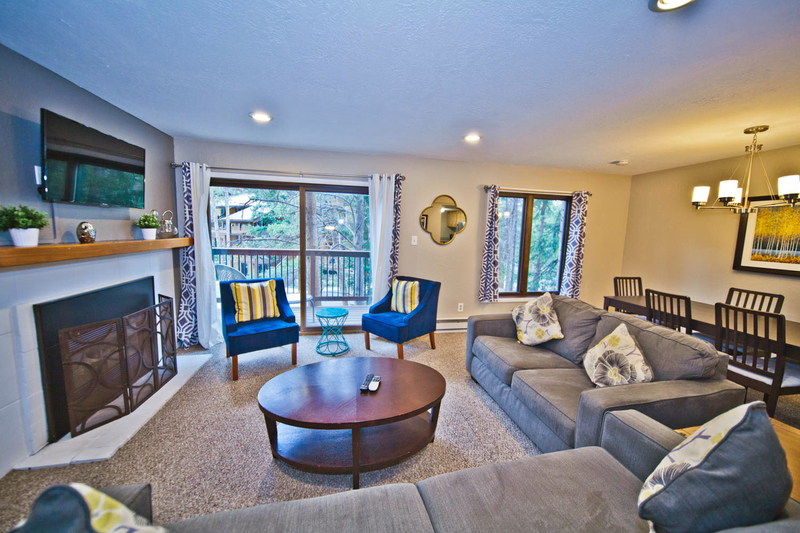 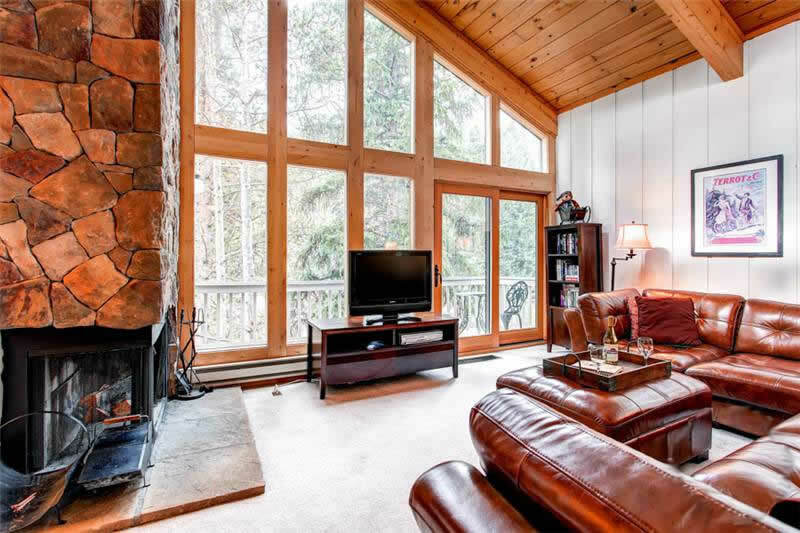 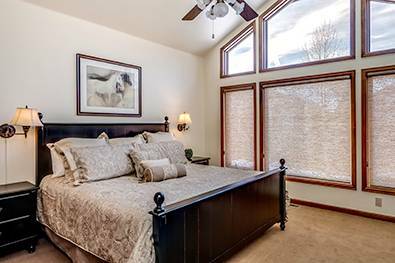 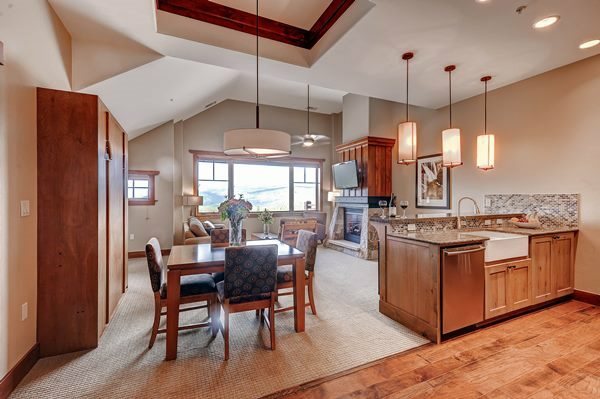 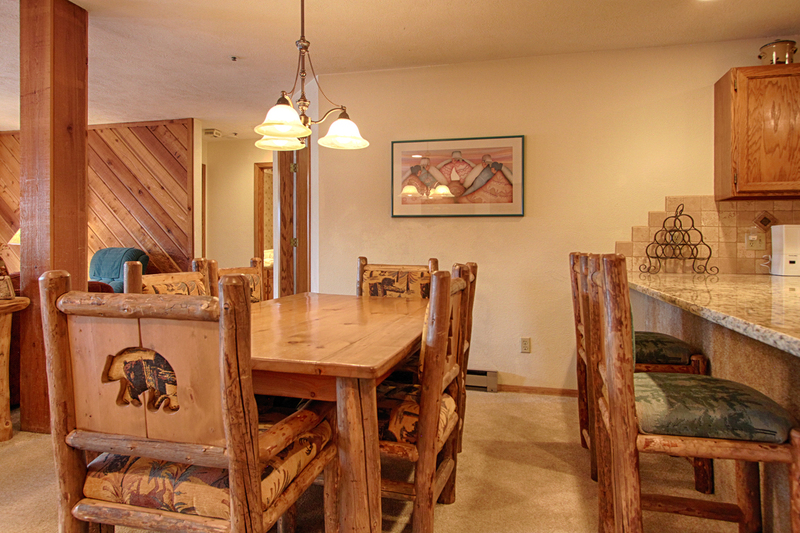 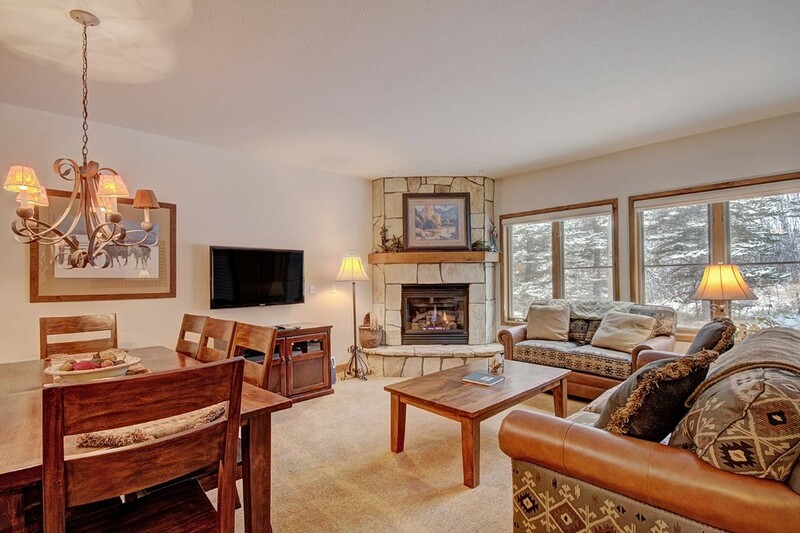 Just a short walk to downtown Breckenridge for shopping and wonderful restaurants.